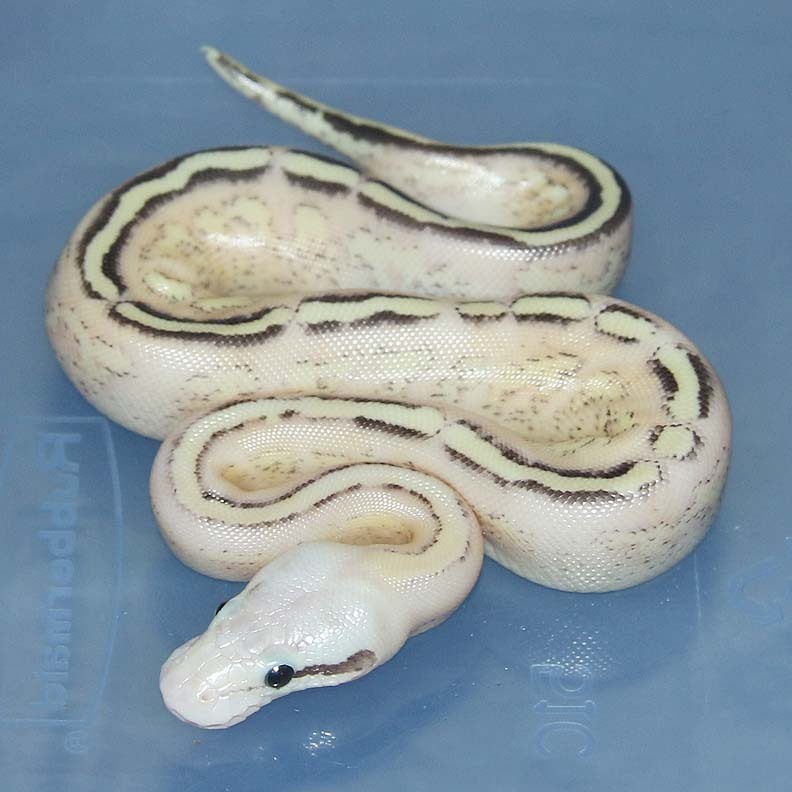 Description: Pastel HRA DH Caramel/Pied 3/13 x HRA DH Caramel/Pied 4/13. 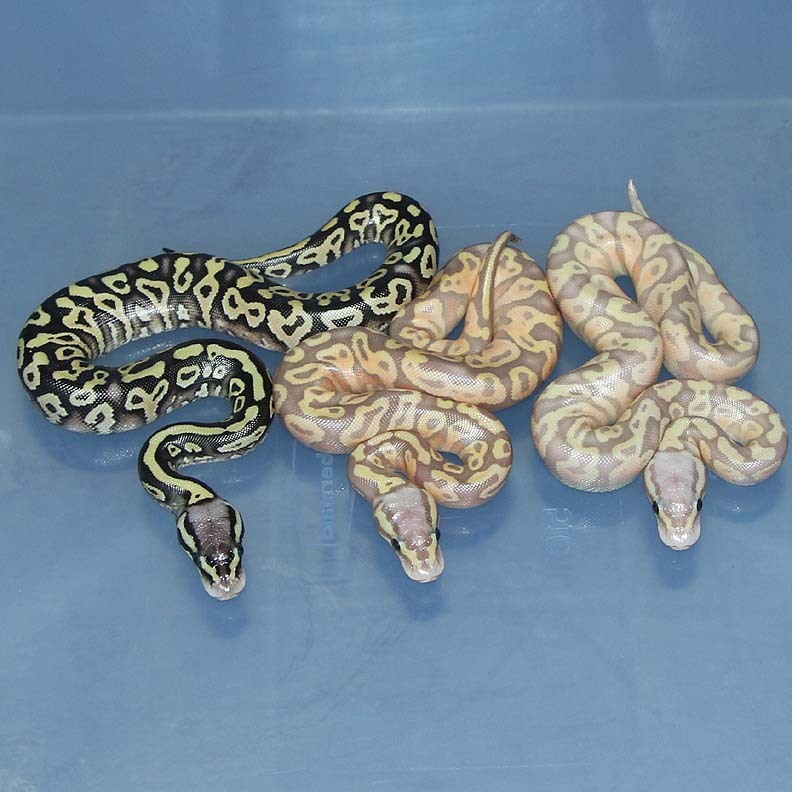 If you are interested in animals from clutch #1 please email or call 519-824-7377. 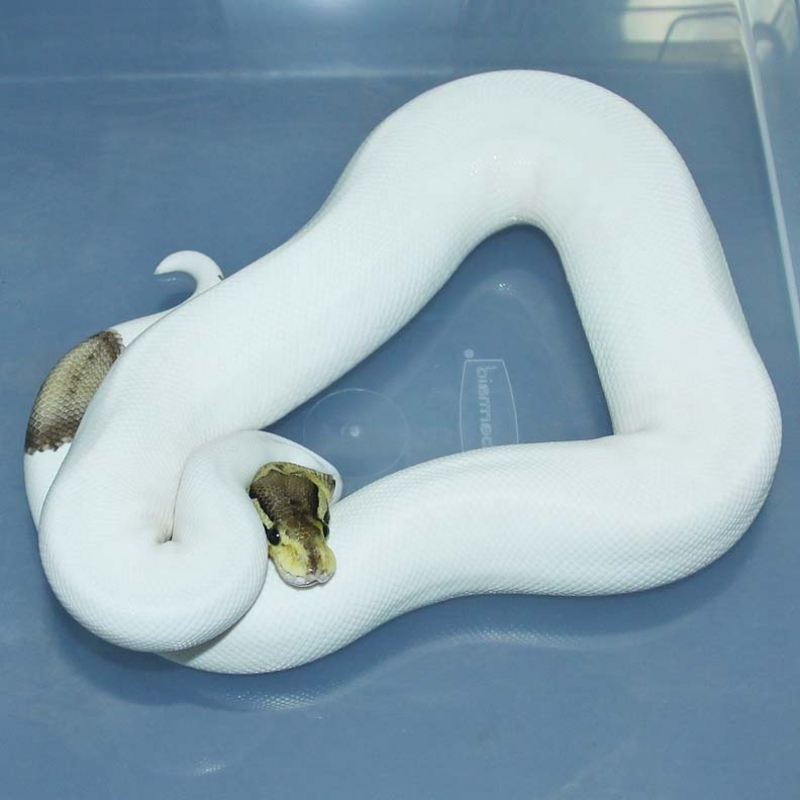 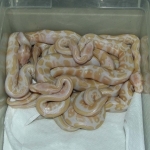 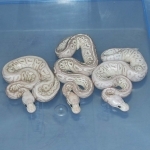 Description: DH Albino/Banded 3/10 x DH Albino/Banded 2/10. If you are interested in animals from clutch #2 please email or call 519-824-7377. 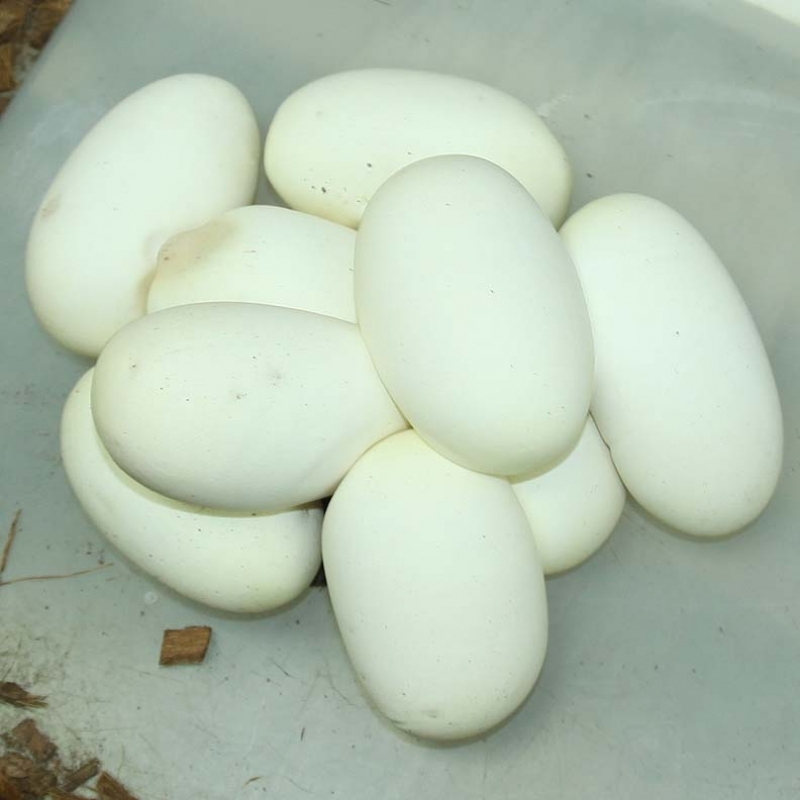 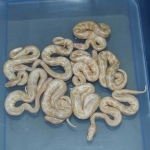 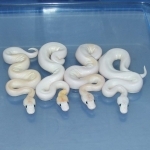 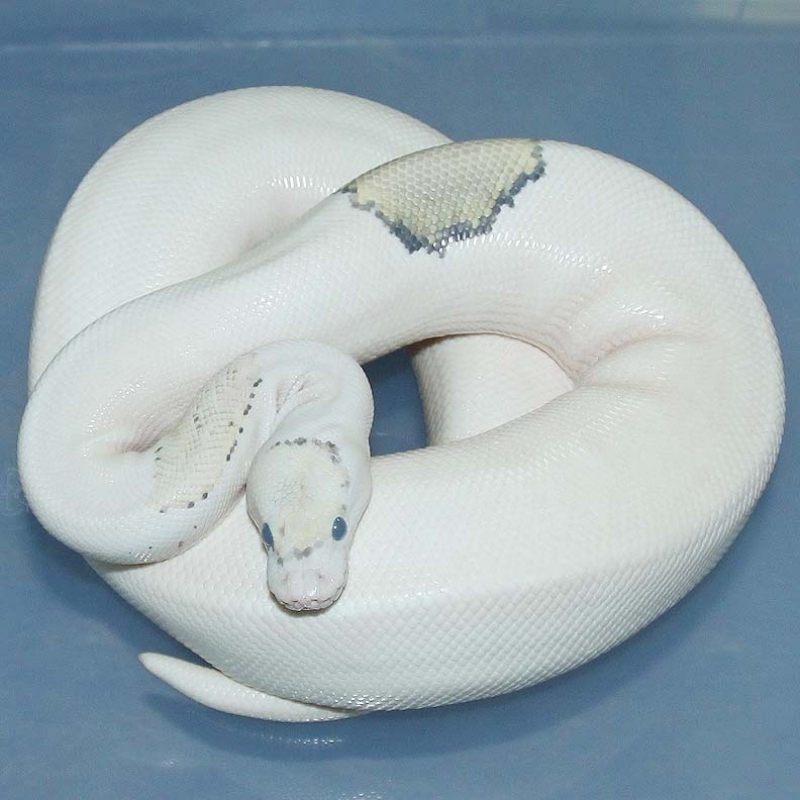 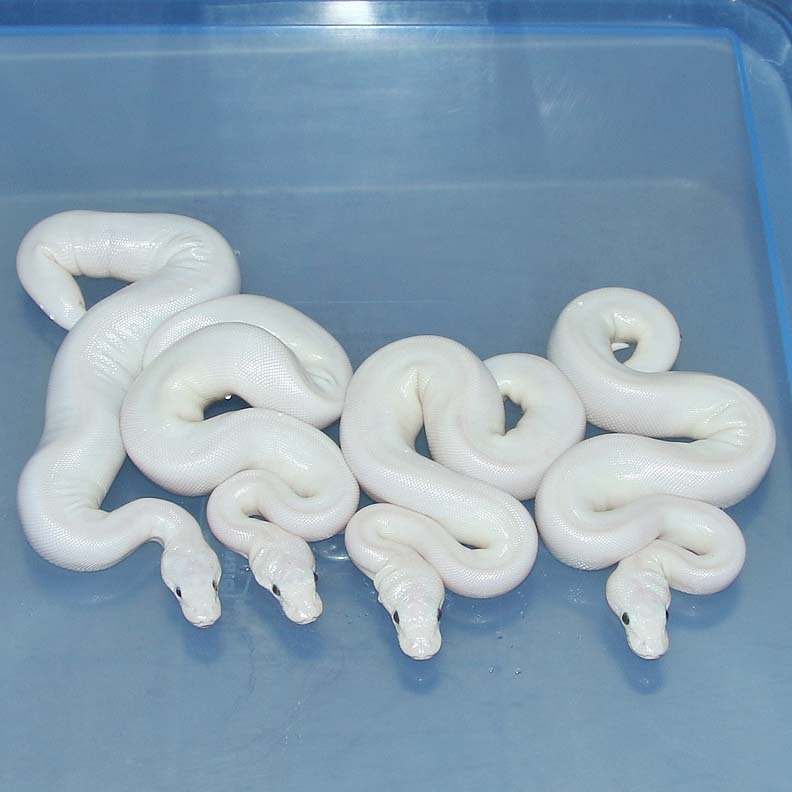 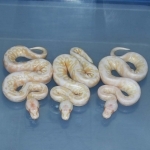 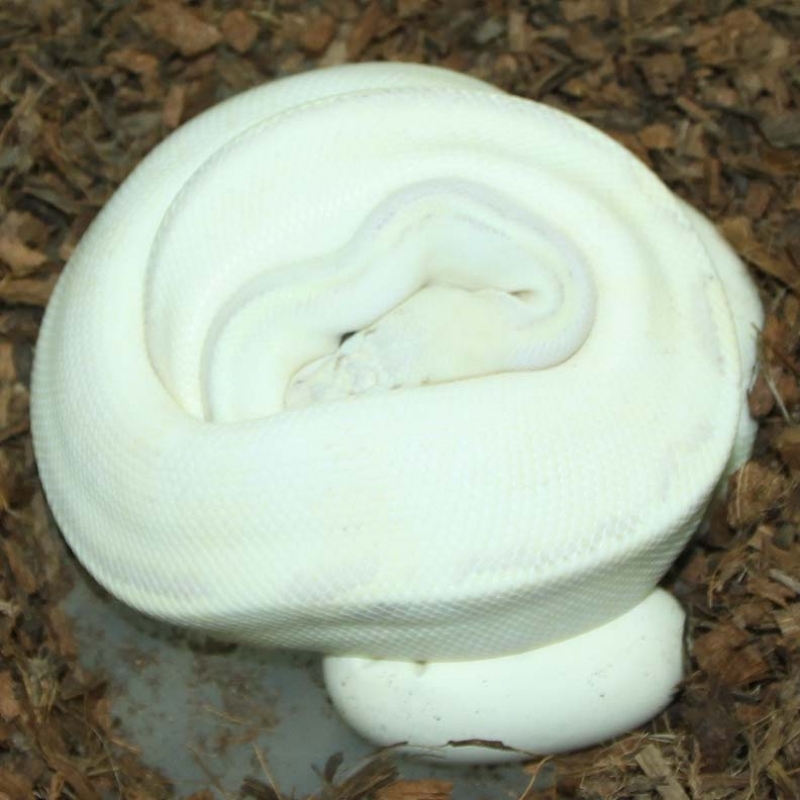 Description: DH Albino/Banded 3/10 x DH Albino/Banded 1/10. 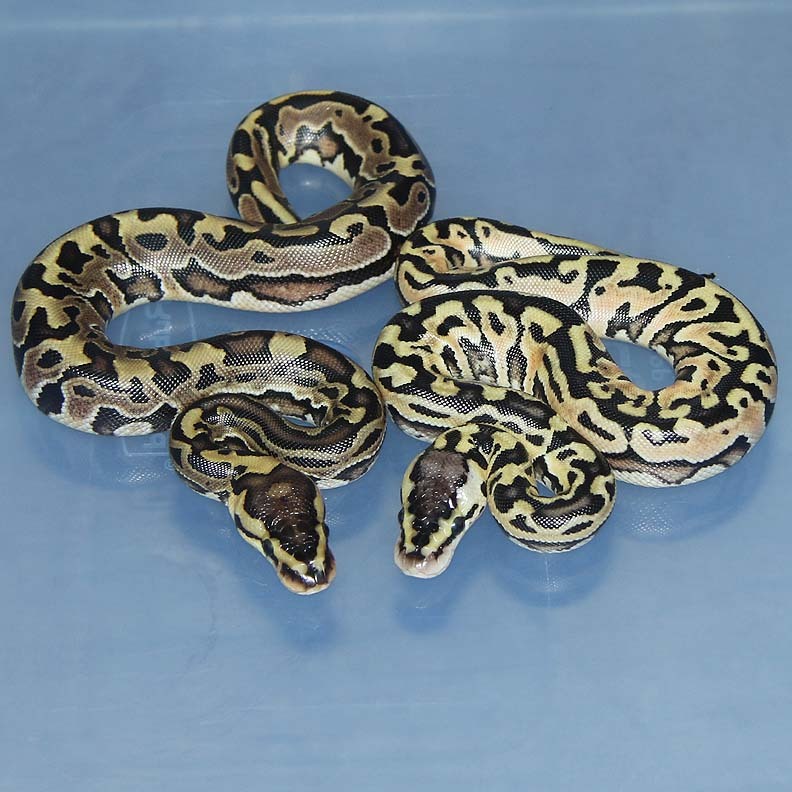 If you are interested in animals from clutch #3 please email or call 519-824-7377. 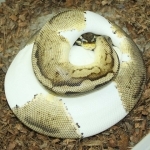 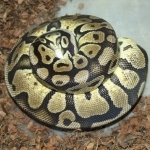 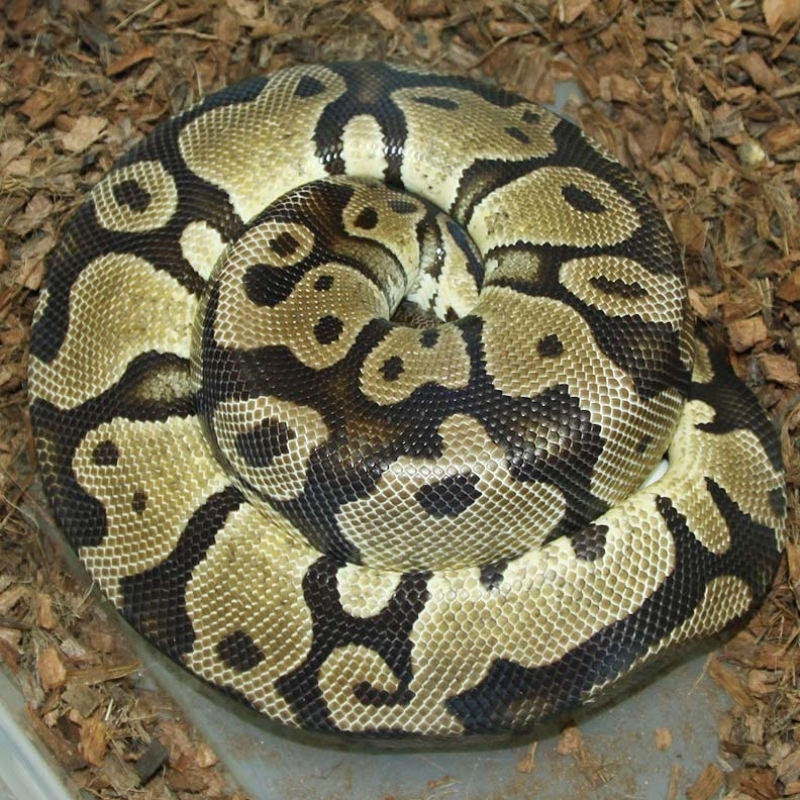 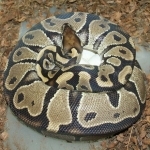 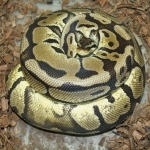 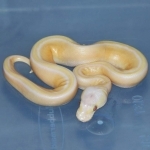 Description: Pastel HRA DH Caramel/Pied 3/13 x HRA DH Caramel/Pied 3/13. The white snake doesn't make sense to me but most things don't make sense so how is this any different? I do see some pattern so we will have to wait for this girl to colour up. 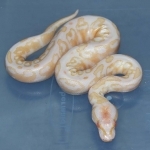 Could be a Pastel Red Axanthic Caramel Pied???? 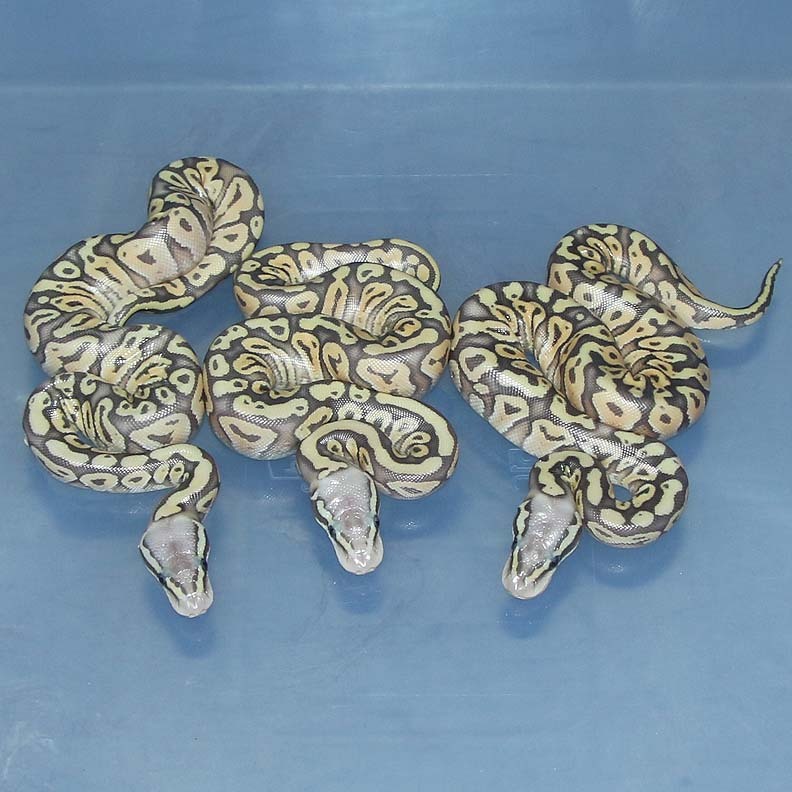 If you are interested in animals from clutch #4 please email or call 519-824-7377. 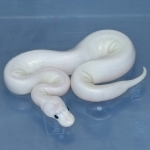 Description: SPRA DM Vanishing 1/14 x Spider RA 1/11. 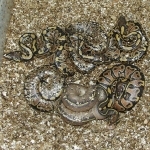 If you are interested in animals from clutch #5 please email or call 519-824-7377. 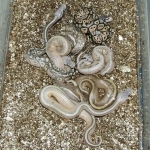 Description: Lesser Chocolate Het Albino 1/14 x Albino 1/10 "Henry". 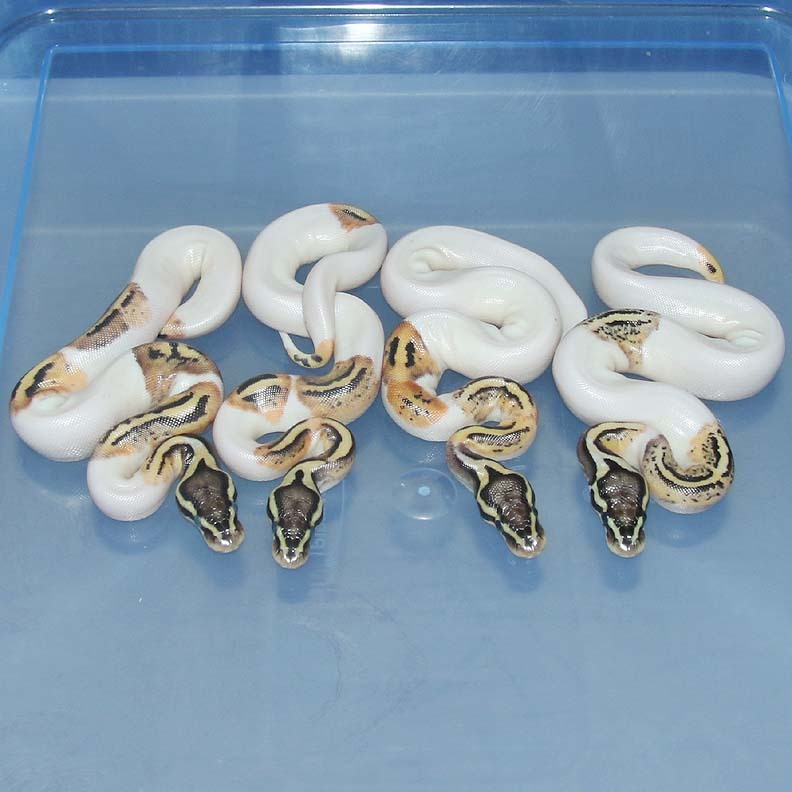 If you are interested in animals from clutch #6 please email or call 519-824-7377. 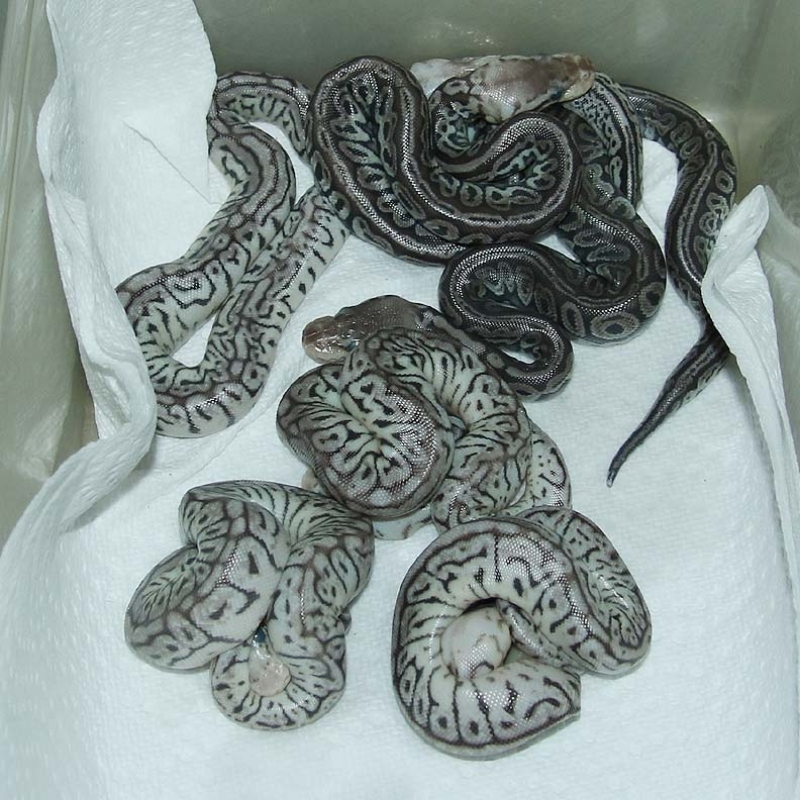 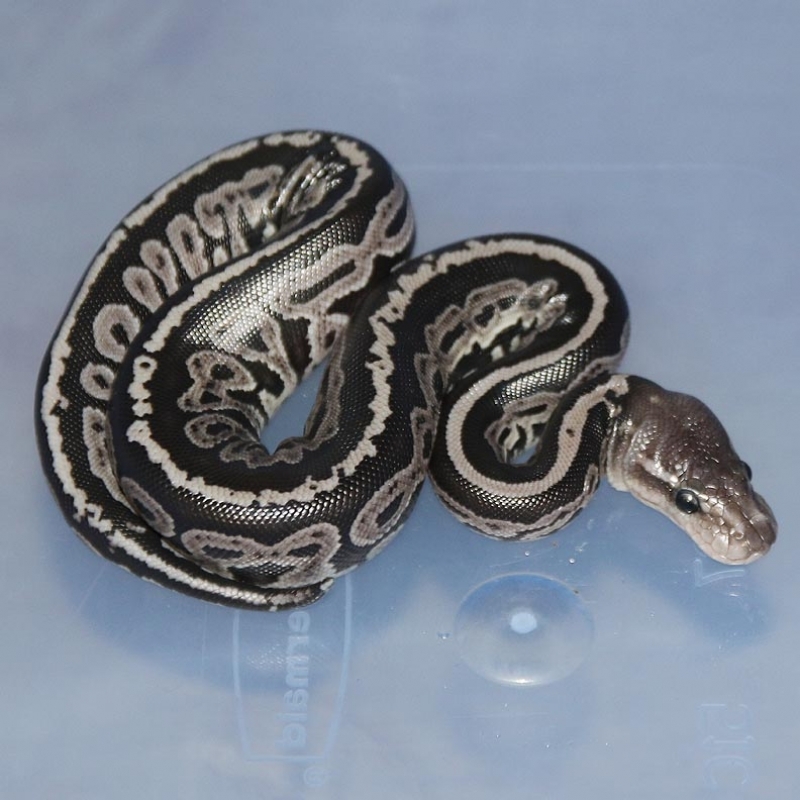 Description: Pastel Lavender Genetic Stripe 1/15 x Pastel Genetic Stripe Het Lavender 2/13. 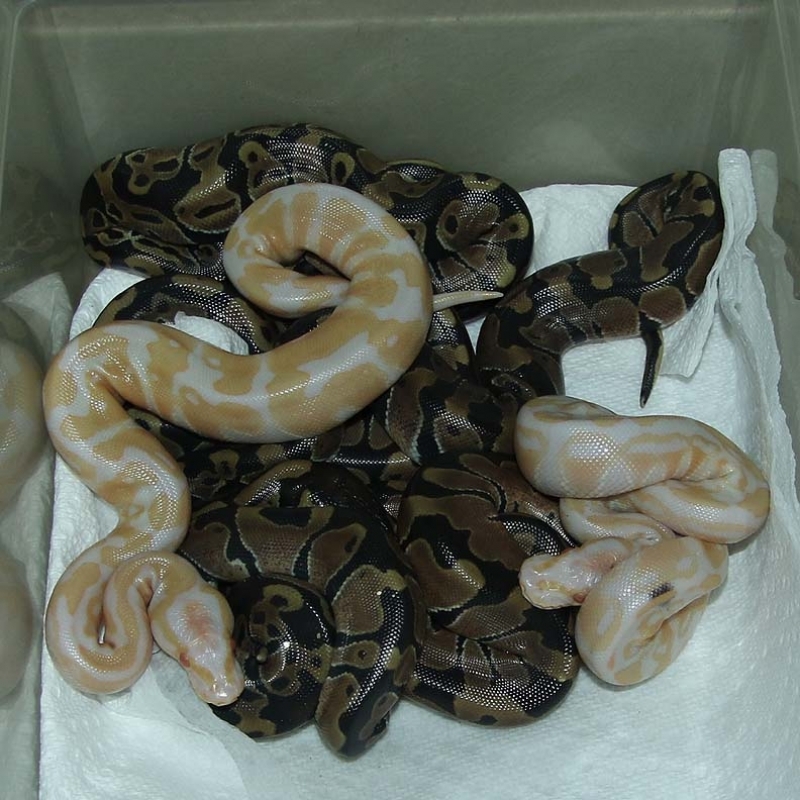 If you are interested in animals from clutch #7 please email or call 519-824-7377. 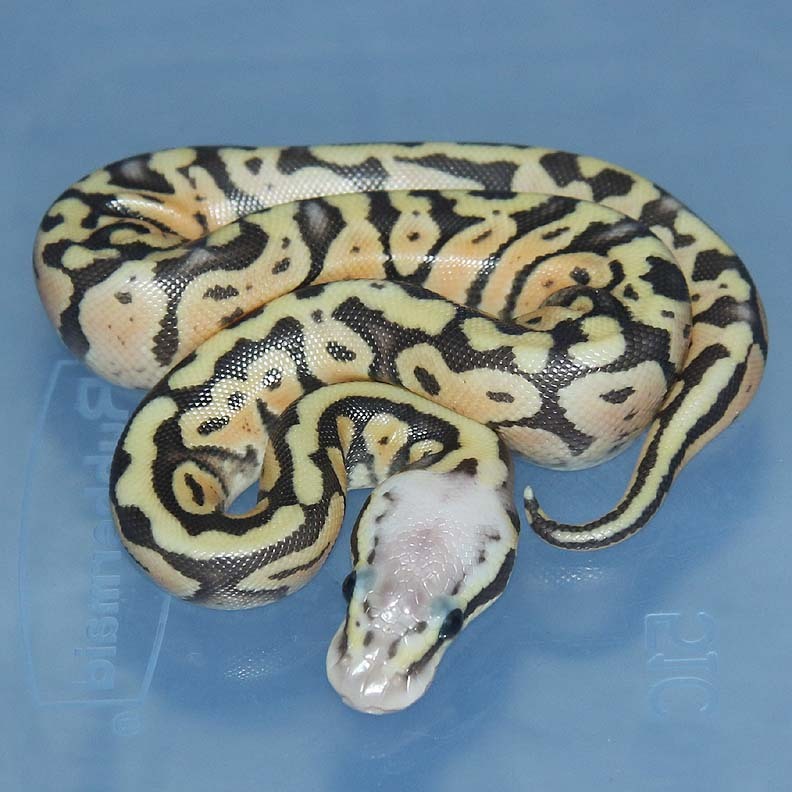 Description: POG Pied 1/14 x Pastel DH OG/Pied 3/10. 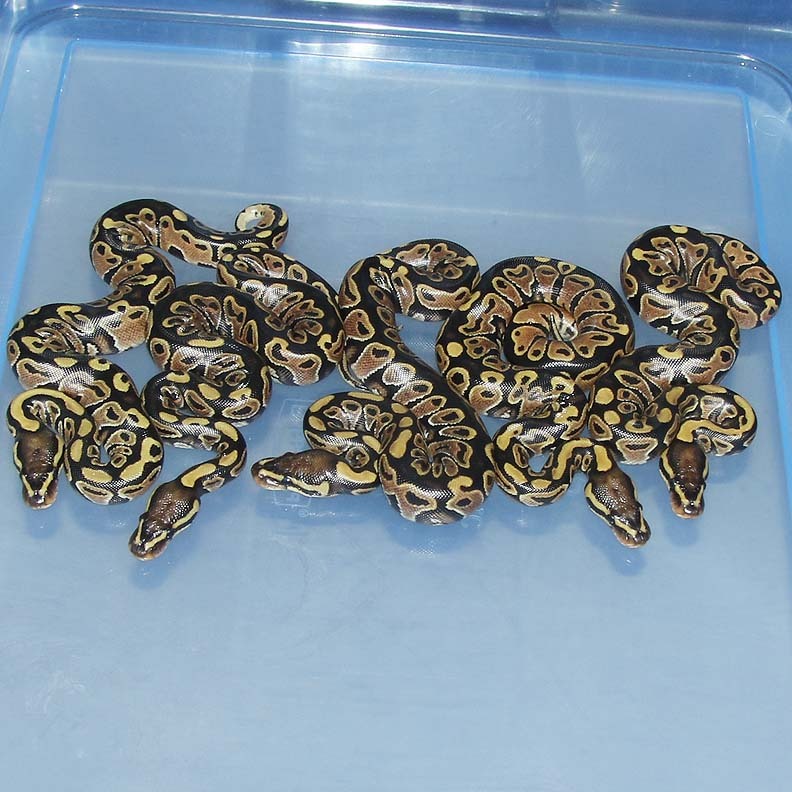 If you are interested in animals from clutch #8 please email or call 519-824-7377. 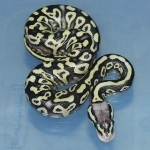 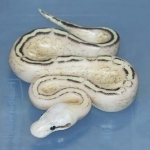 Description: Citrus Bamboo PH Pied 1/14 x Lesser Spider HRA 1/11. 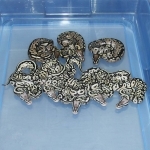 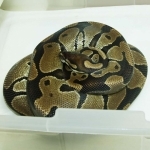 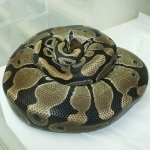 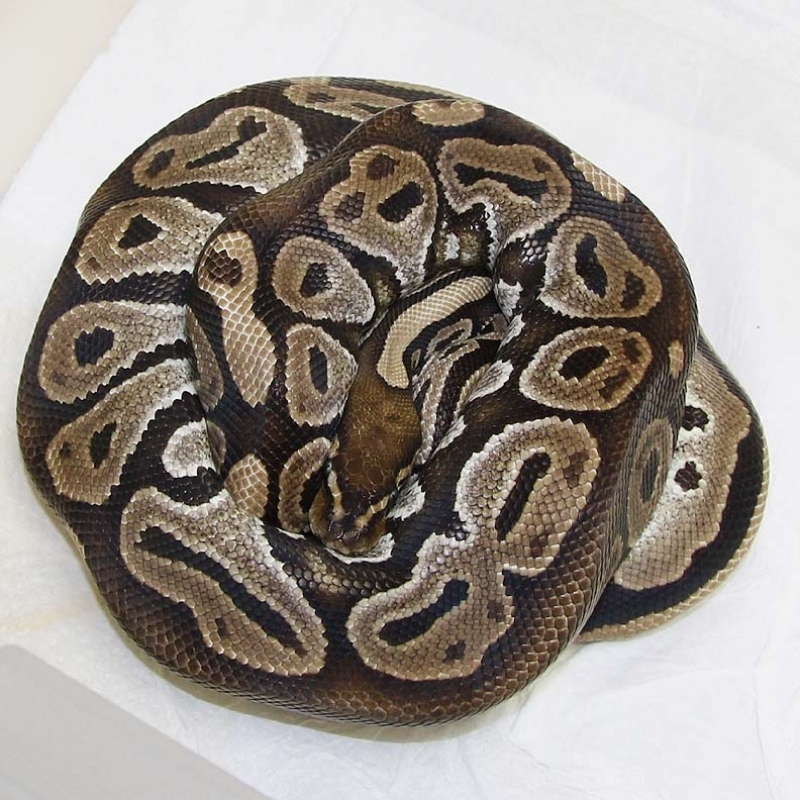 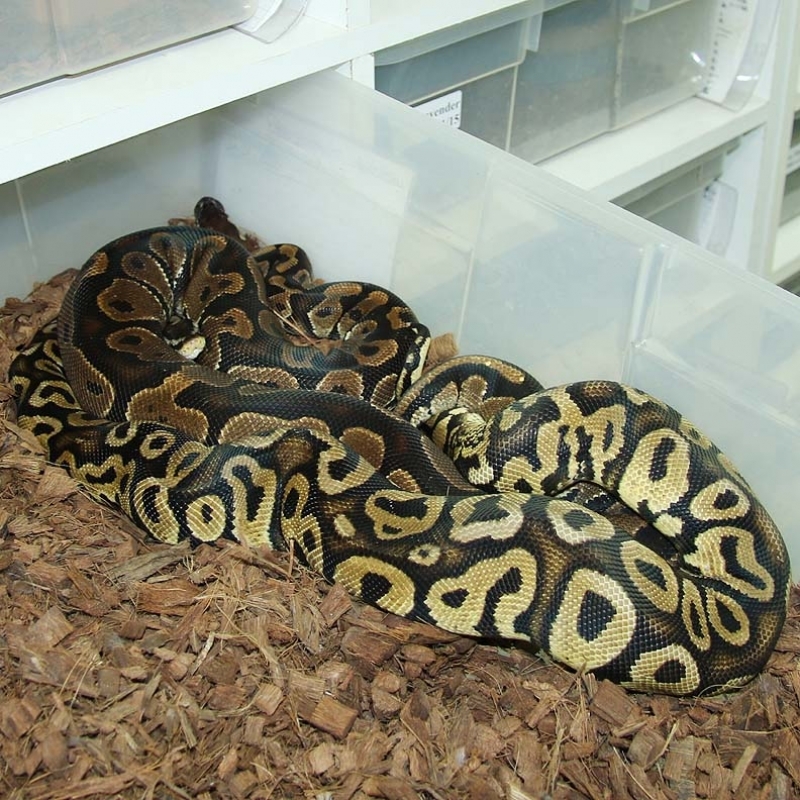 If you are interested in animals from clutch #9 please email or call 519-824-7377. 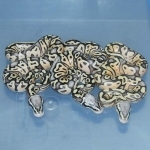 Description: POG GS 1/14 x Pastel Lesser DH OG/GS 1/11. 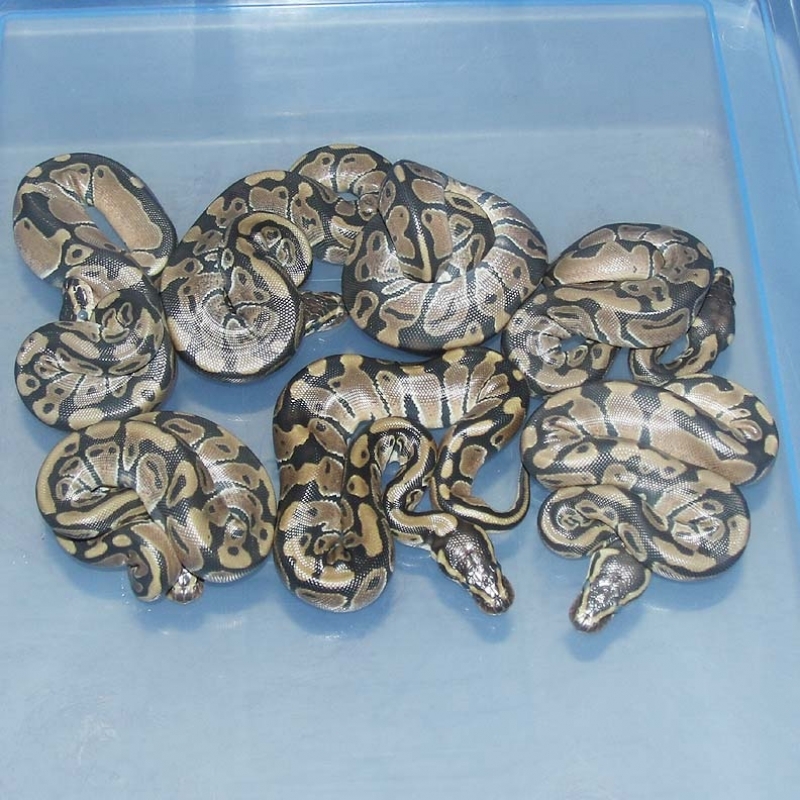 If you are interested in animals from clutch #10 please email or call 519-824-7377. 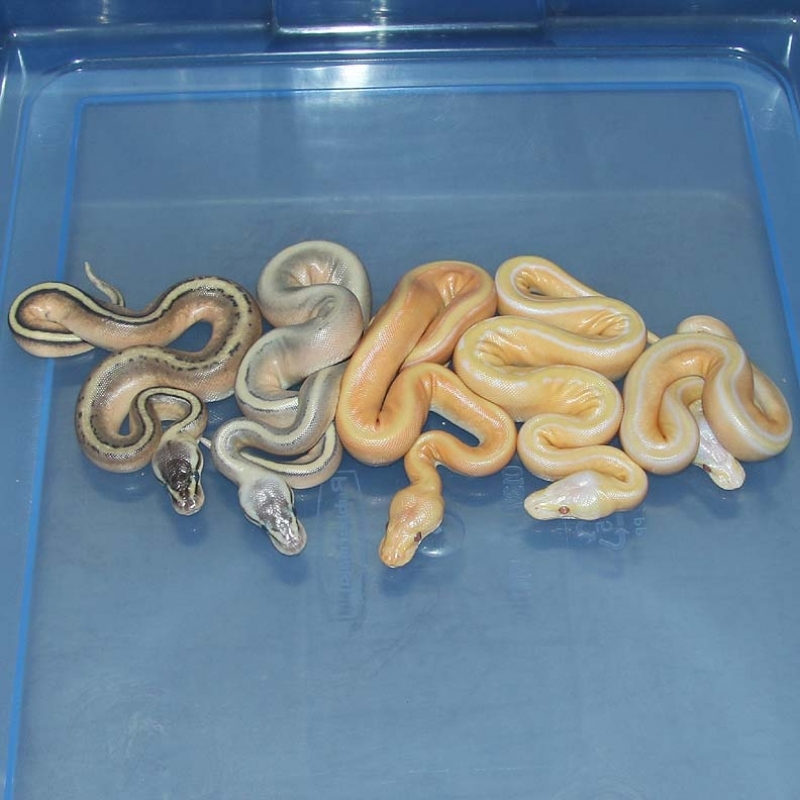 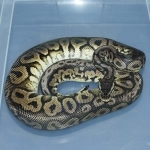 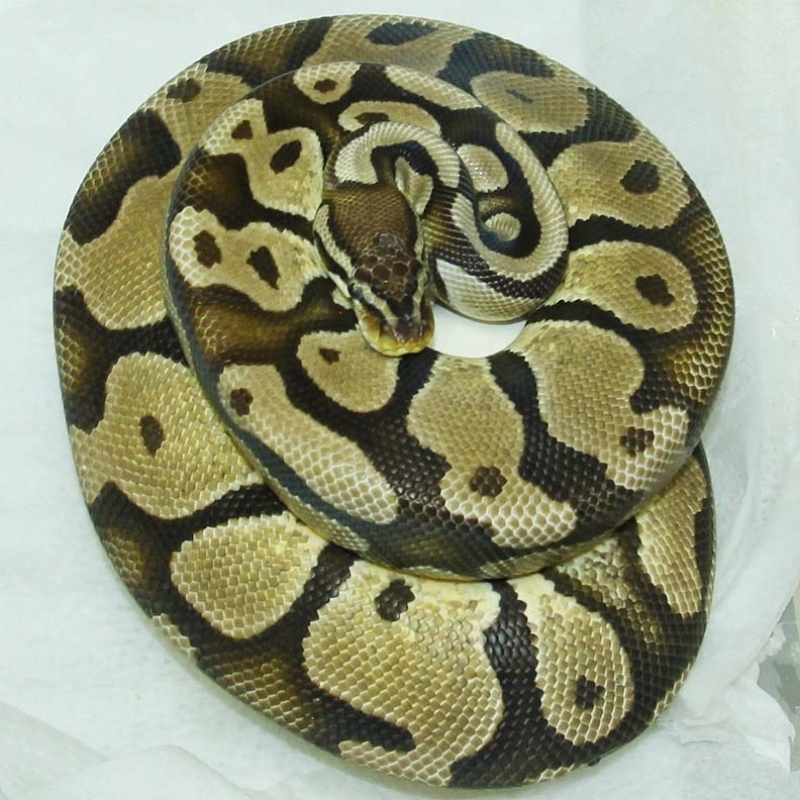 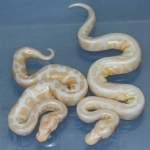 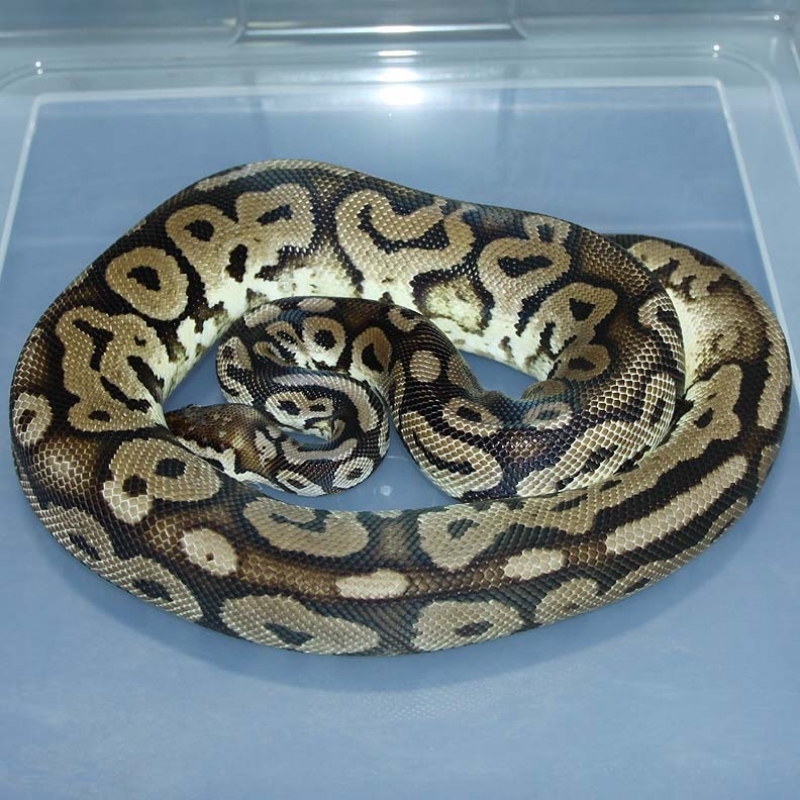 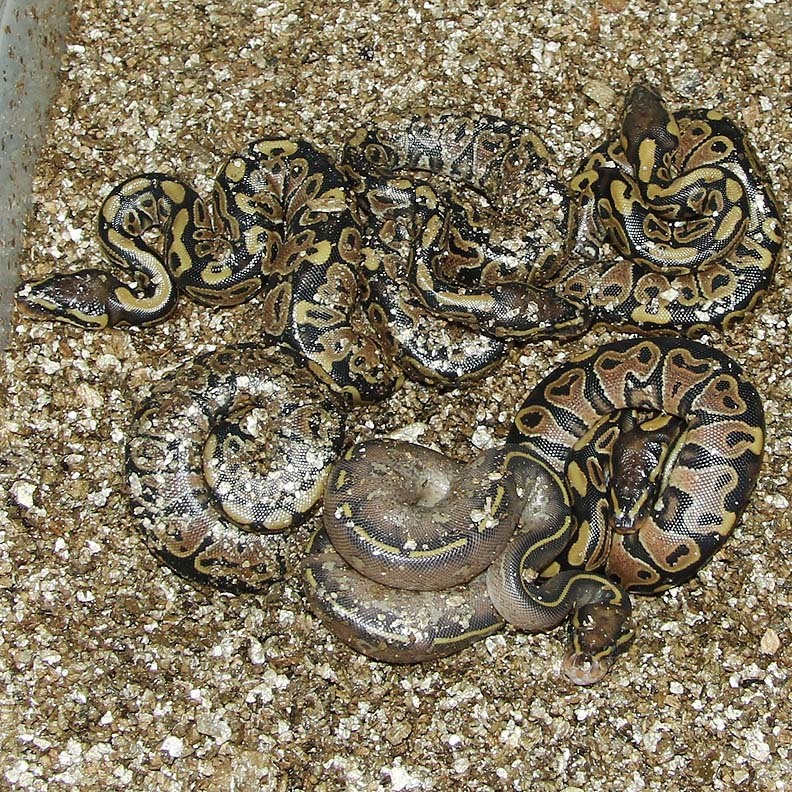 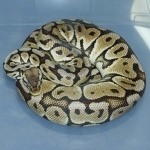 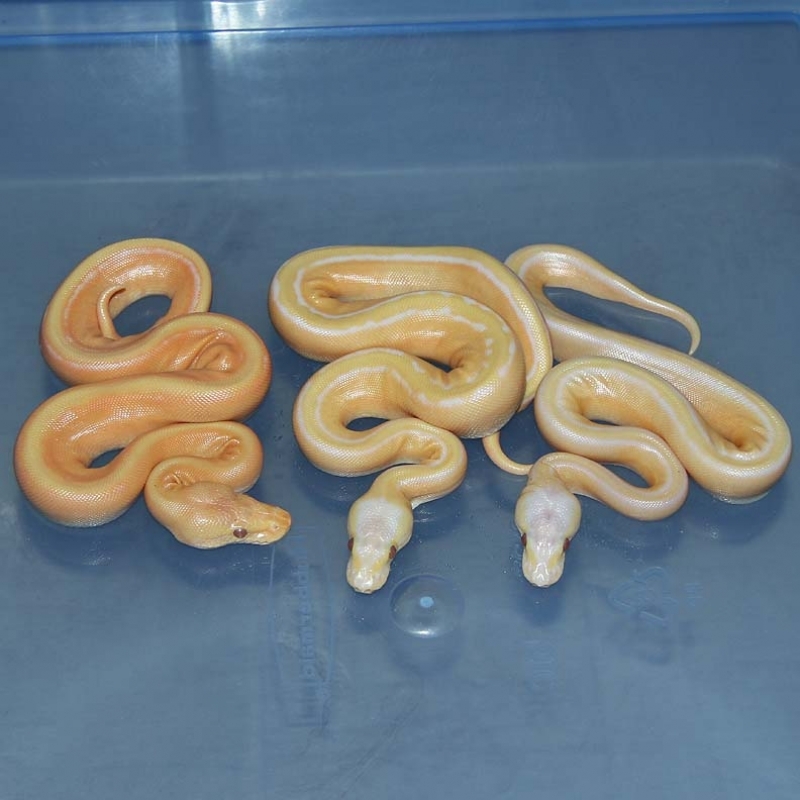 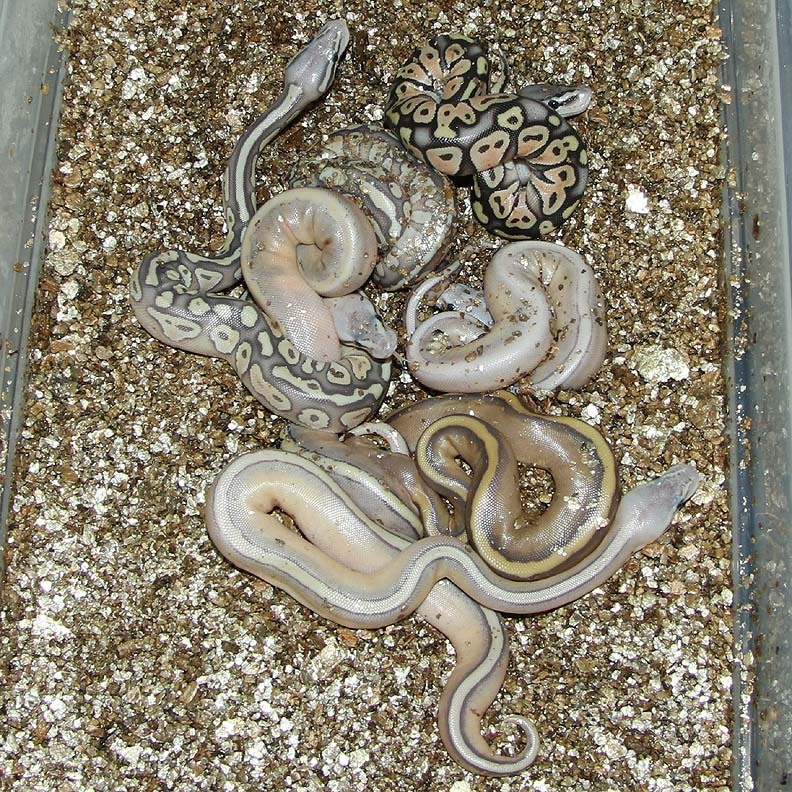 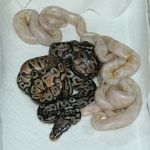 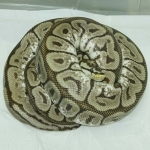 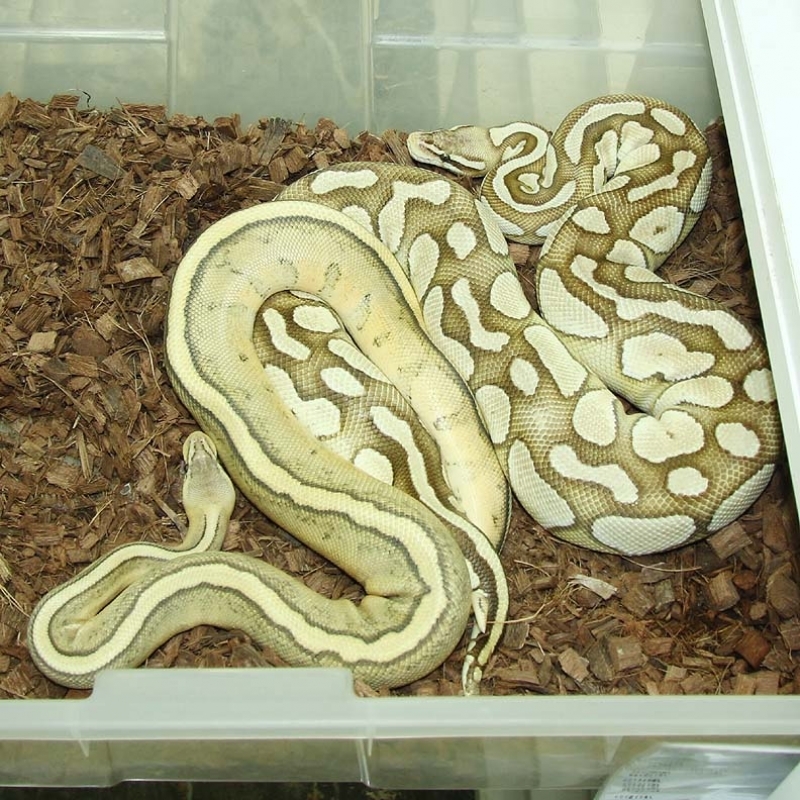 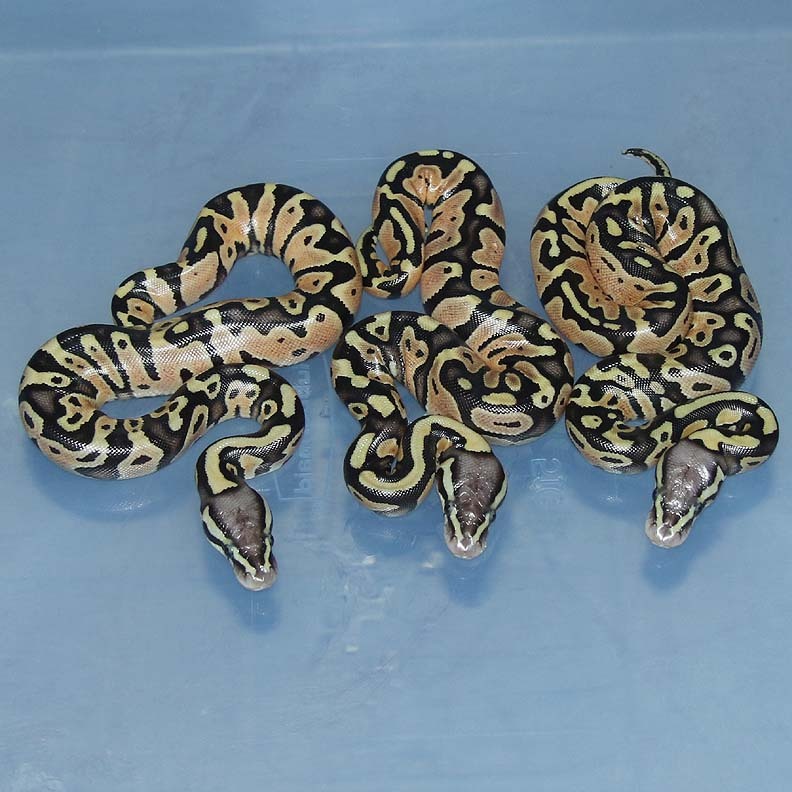 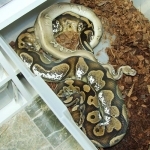 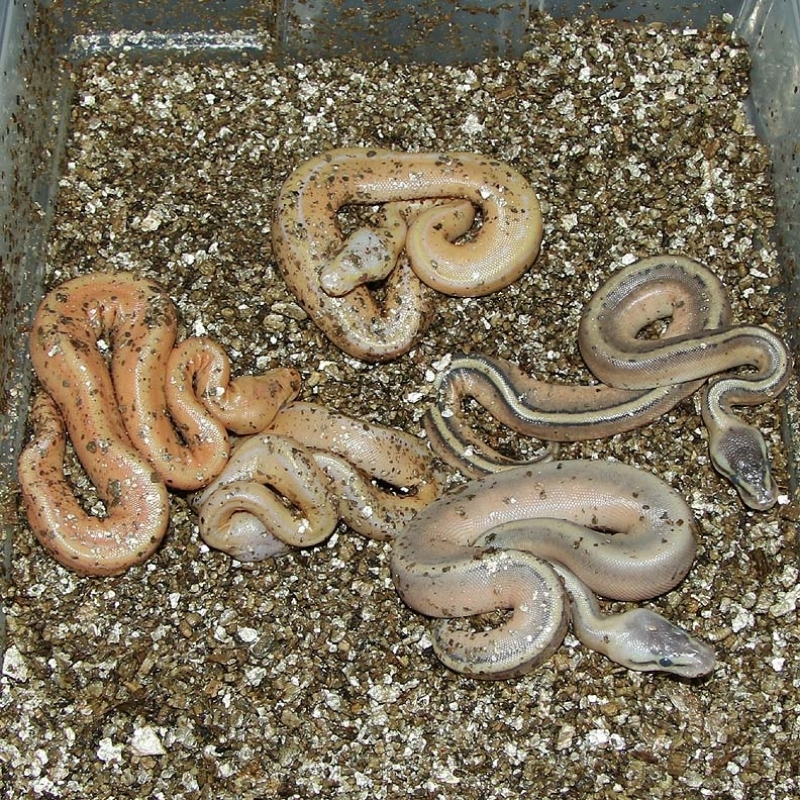 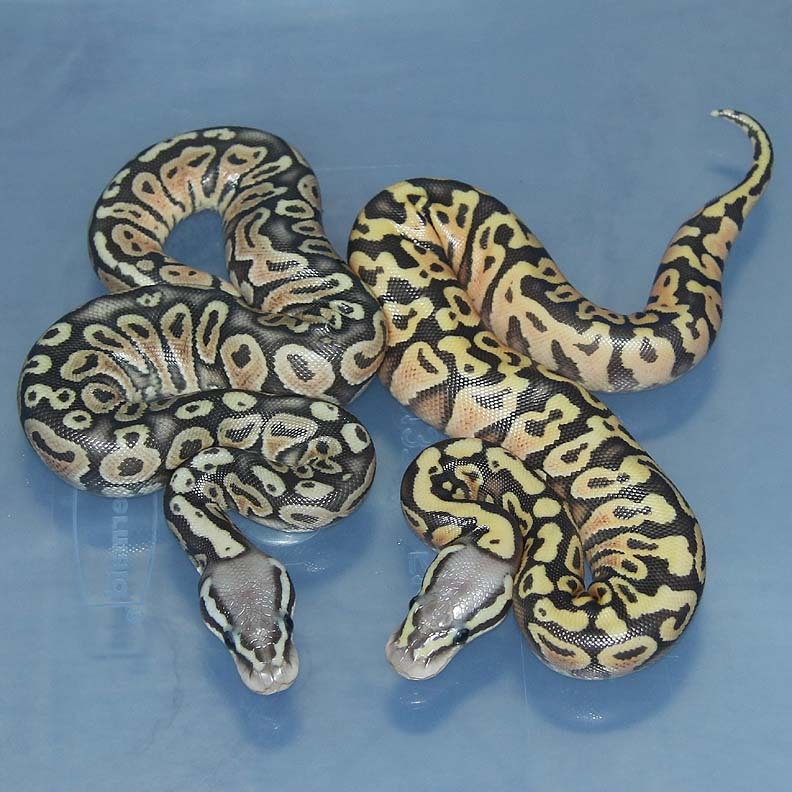 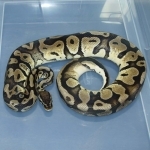 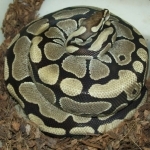 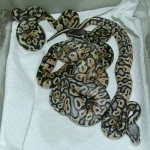 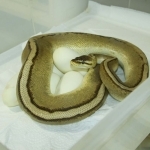 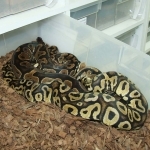 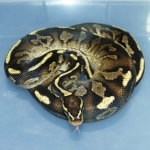 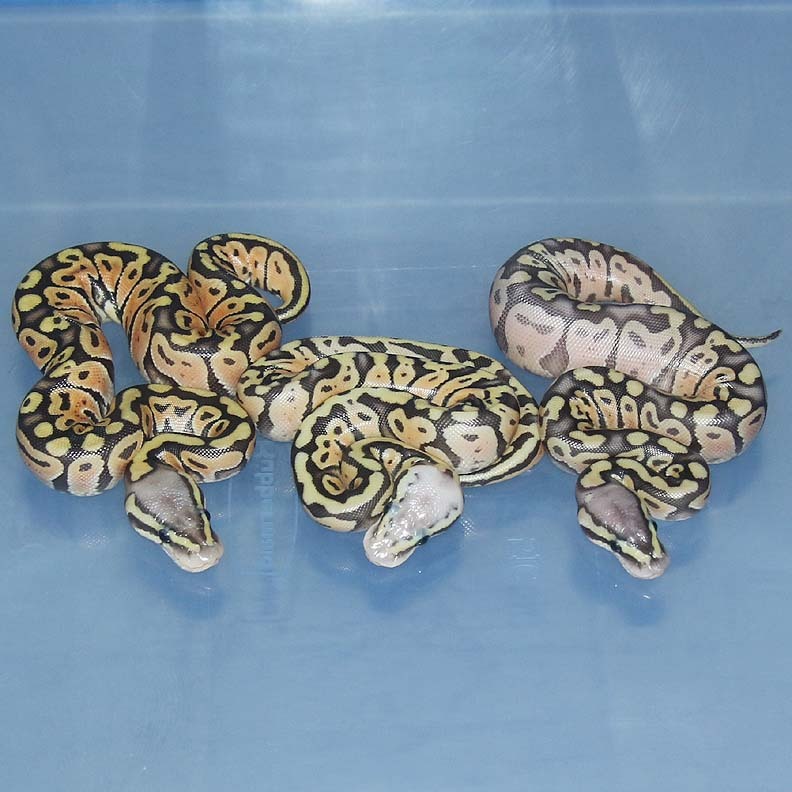 Description: Pastel HRA YB Het Caramel 1/14 x Pastel HRA YB Het Caramel 1/14. 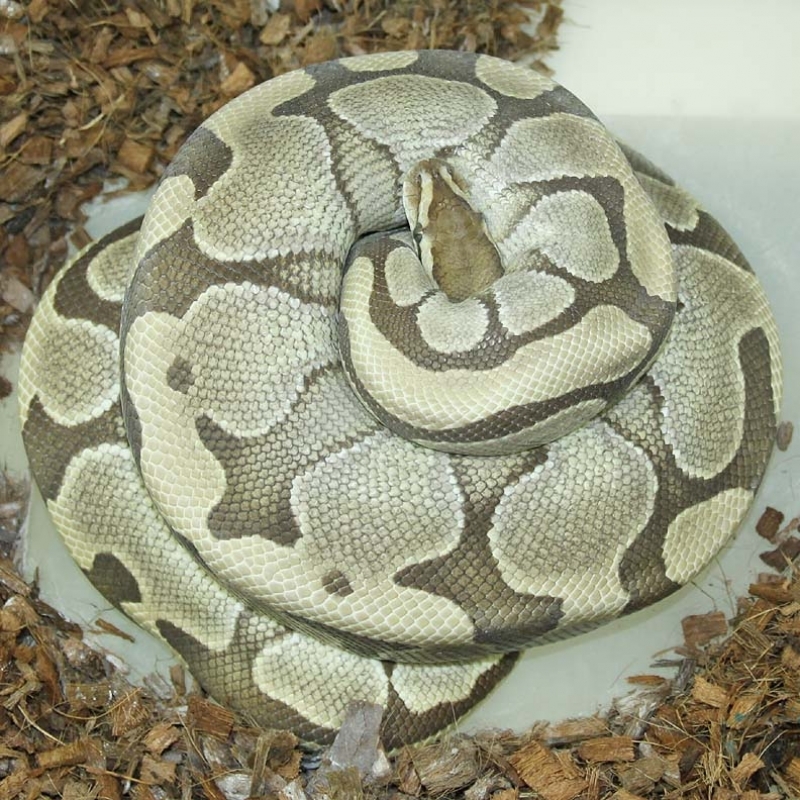 If you are interested in animals from clutch #11 please email or call 519-824-7377. 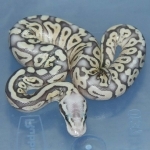 Description: Pastel HRA DH OG/Puzzle 2/14 x POG 1/06. 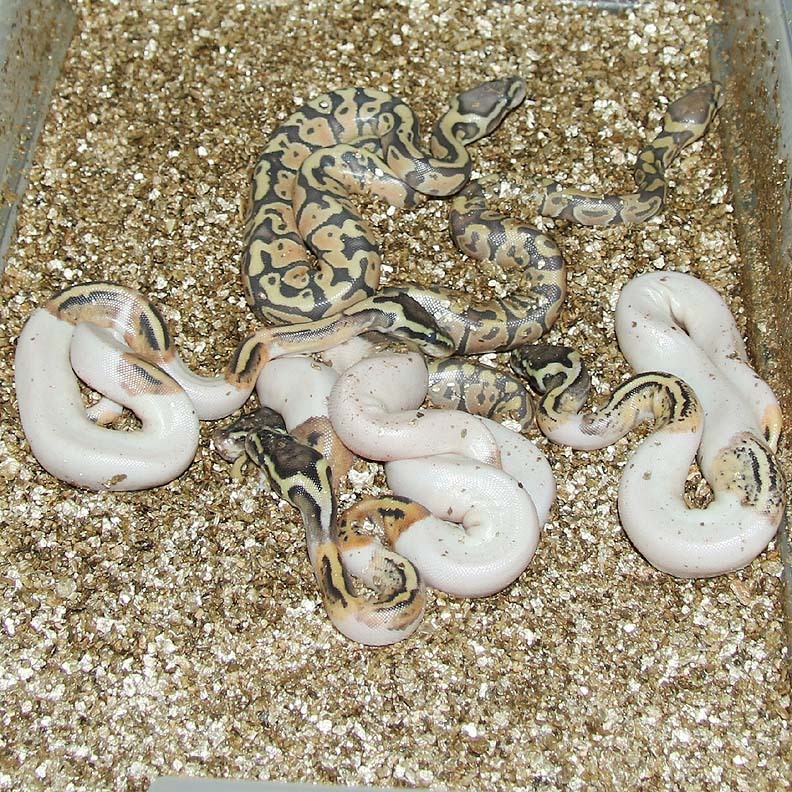 If you are interested in animals from clutch #12 please email or call 519-824-7377. 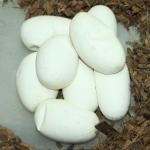 Description: Red Axanthic Mahogany HOG 1/15 x SPOG YB 1/14. If you are interested in animals from clutch #13 please email or call 519-824-7377. 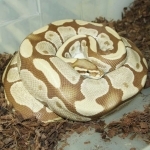 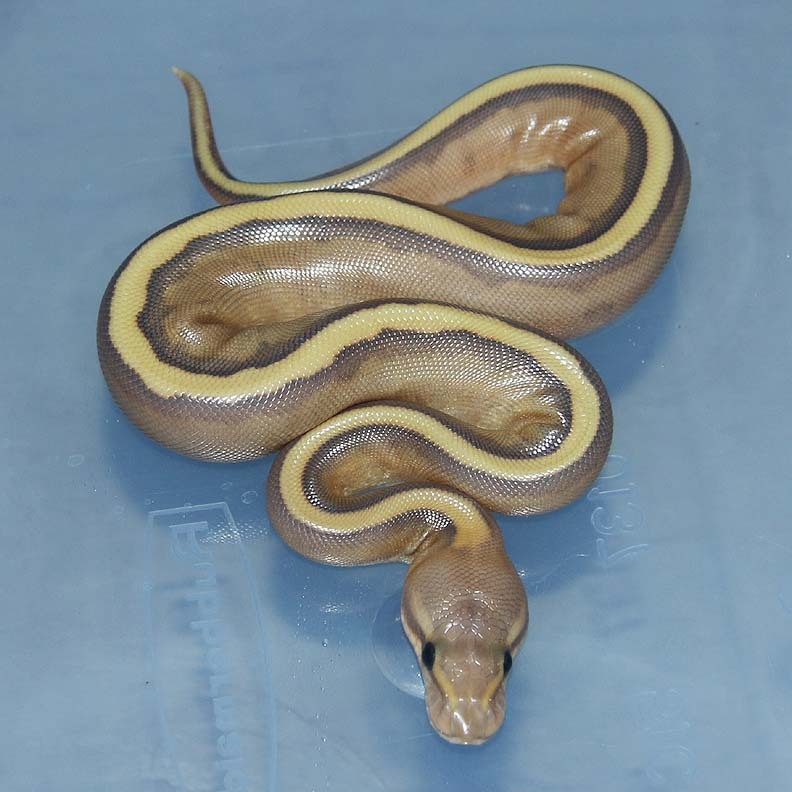 Description: Pastel HRA YB Het Caramel 1/14 x YB Het Caramel 1/14. 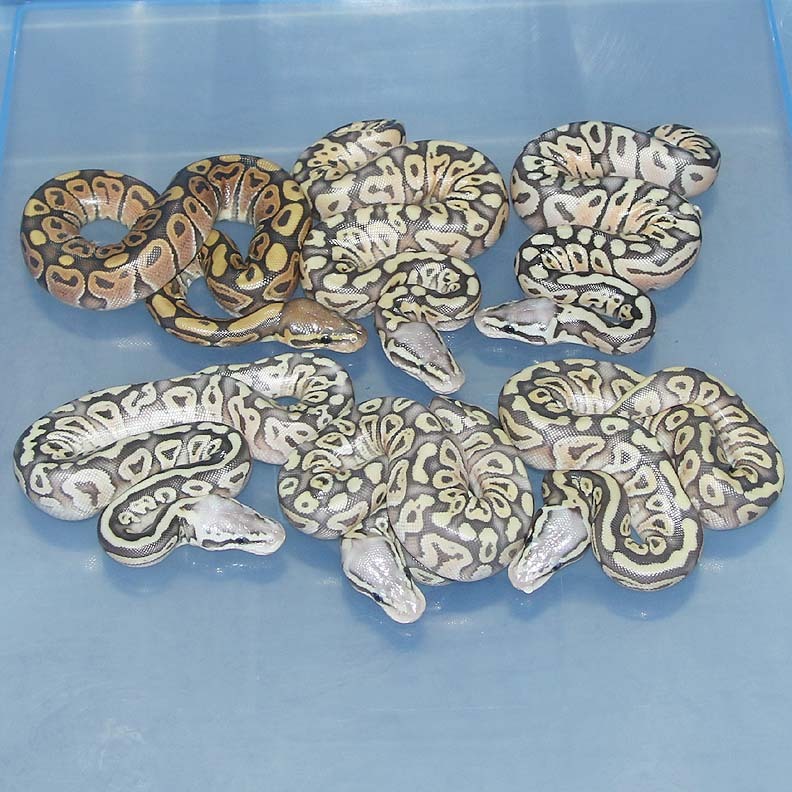 If you are interested in animals from clutch #14 please email or call 519-824-7377. 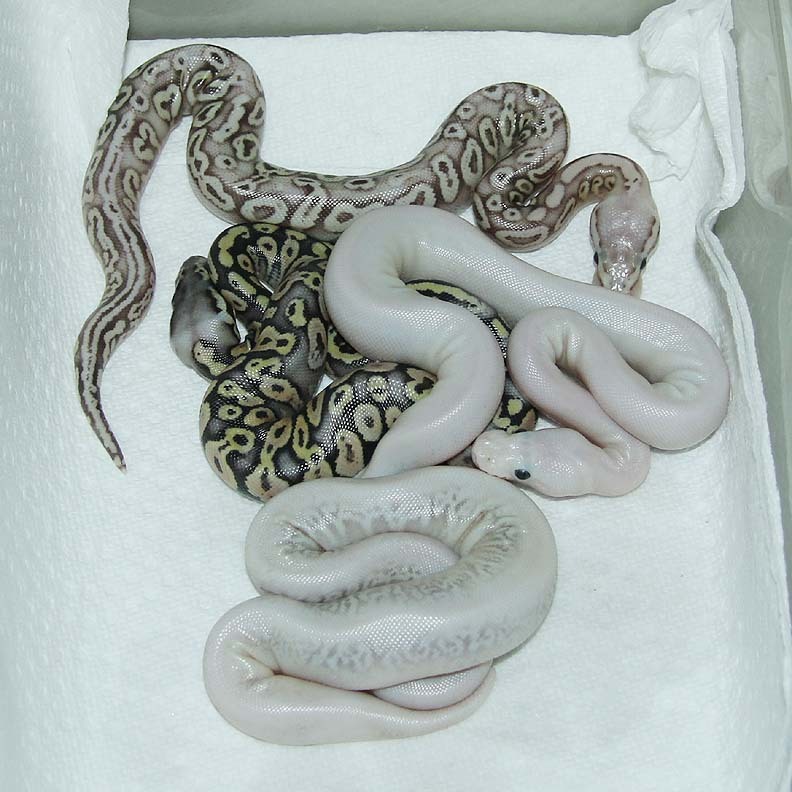 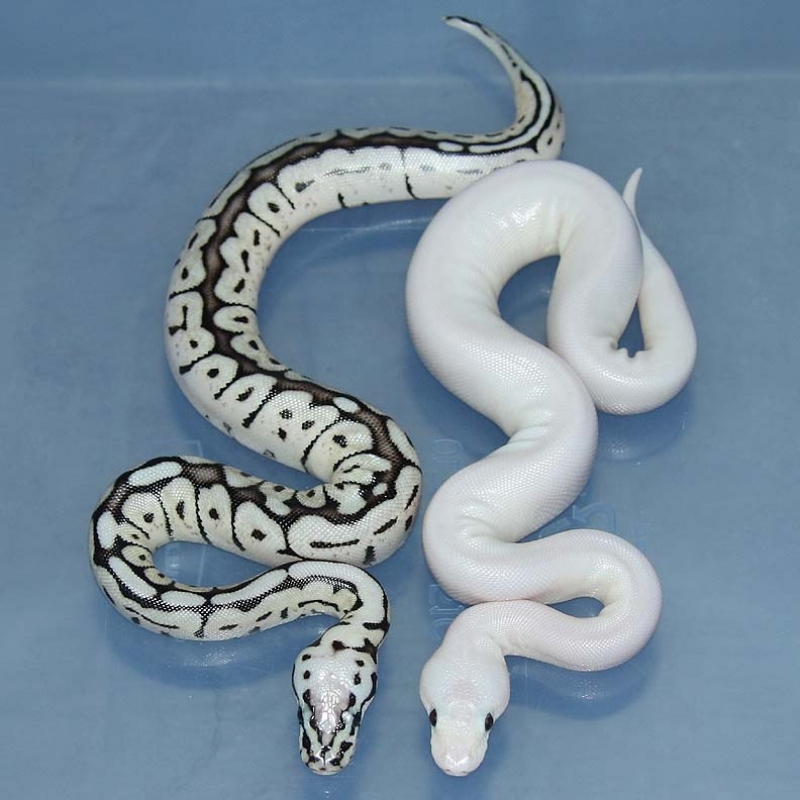 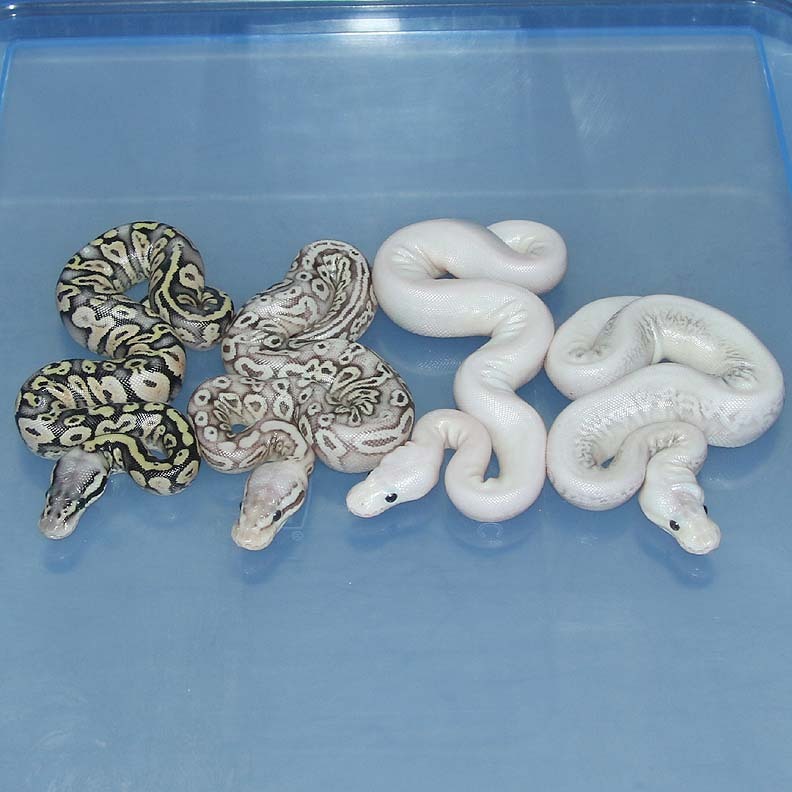 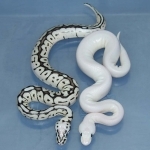 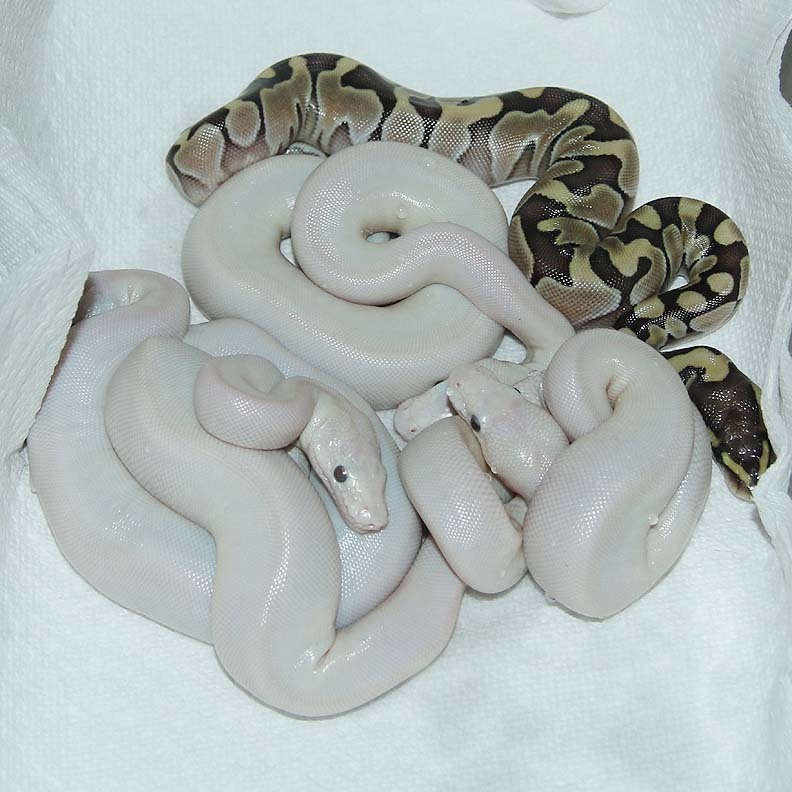 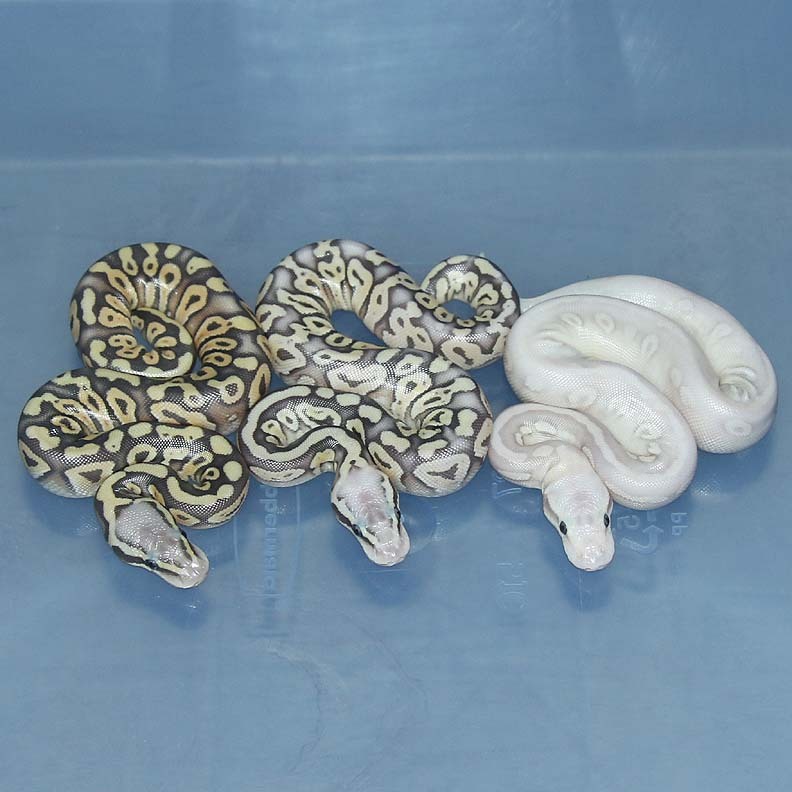 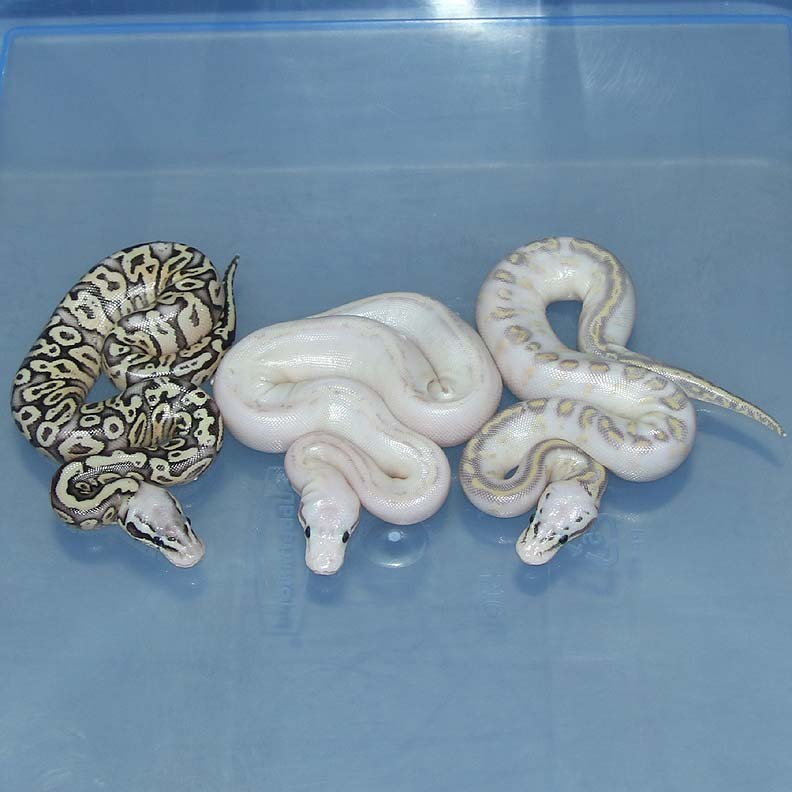 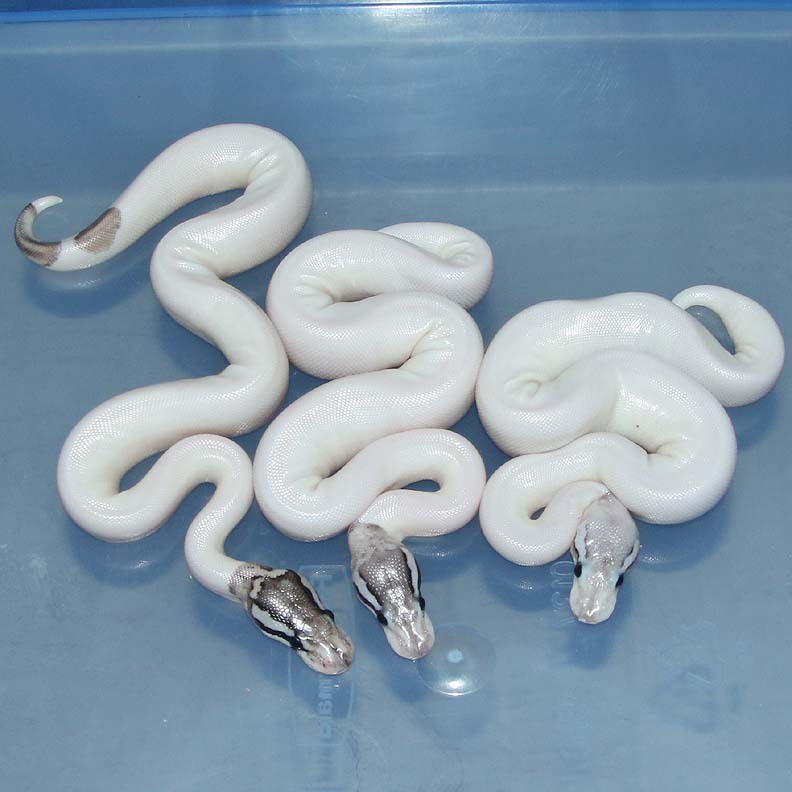 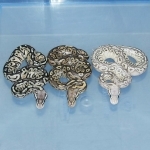 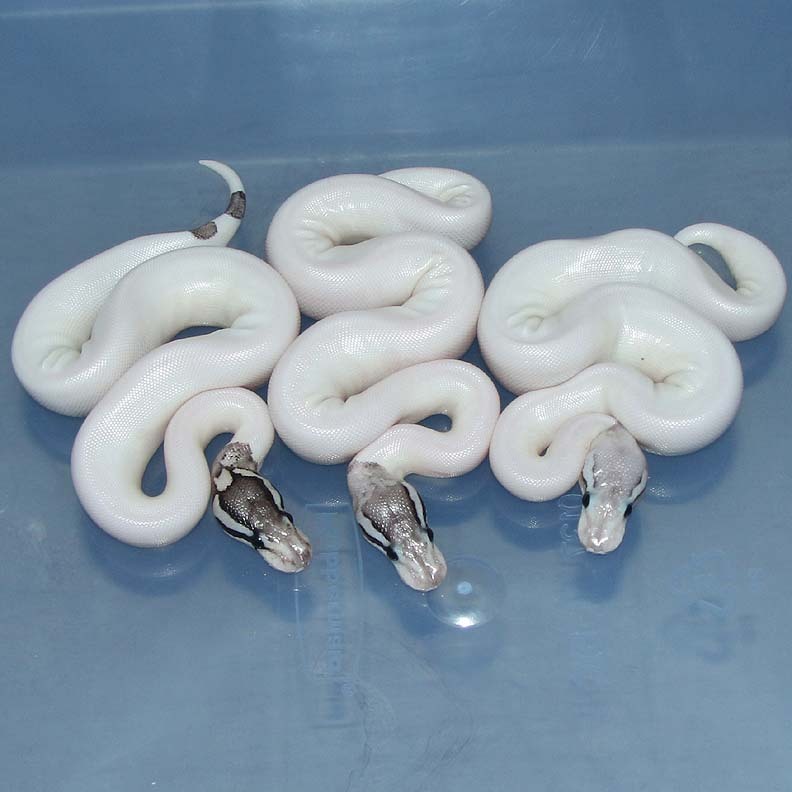 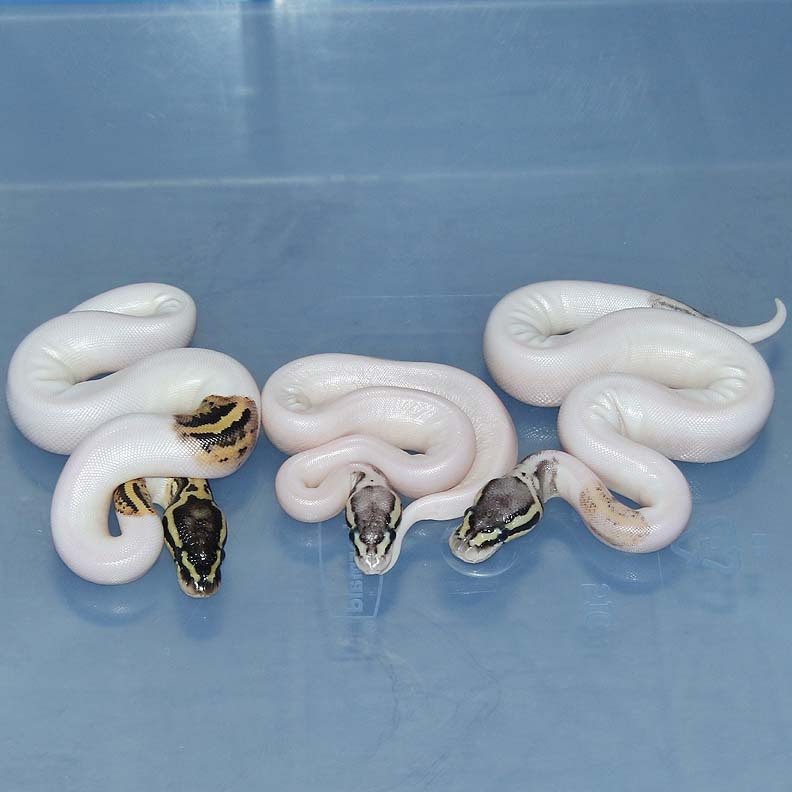 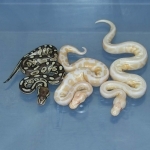 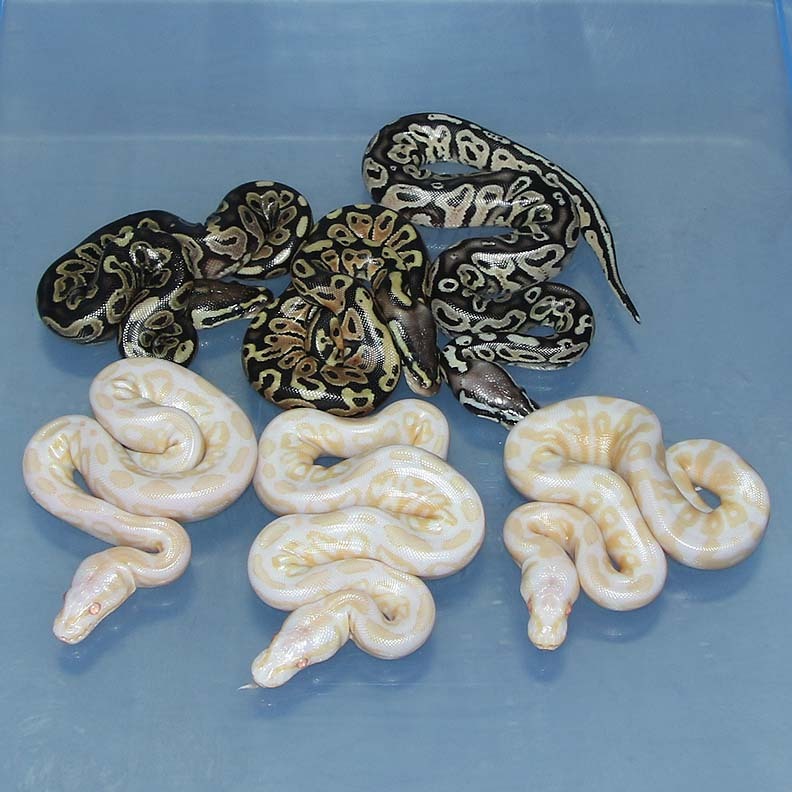 Description: Pastel Red Axanthic (Lightning) Pied 1/15 x Pastel Red Axanthic (Lightning) Pied 1/14. 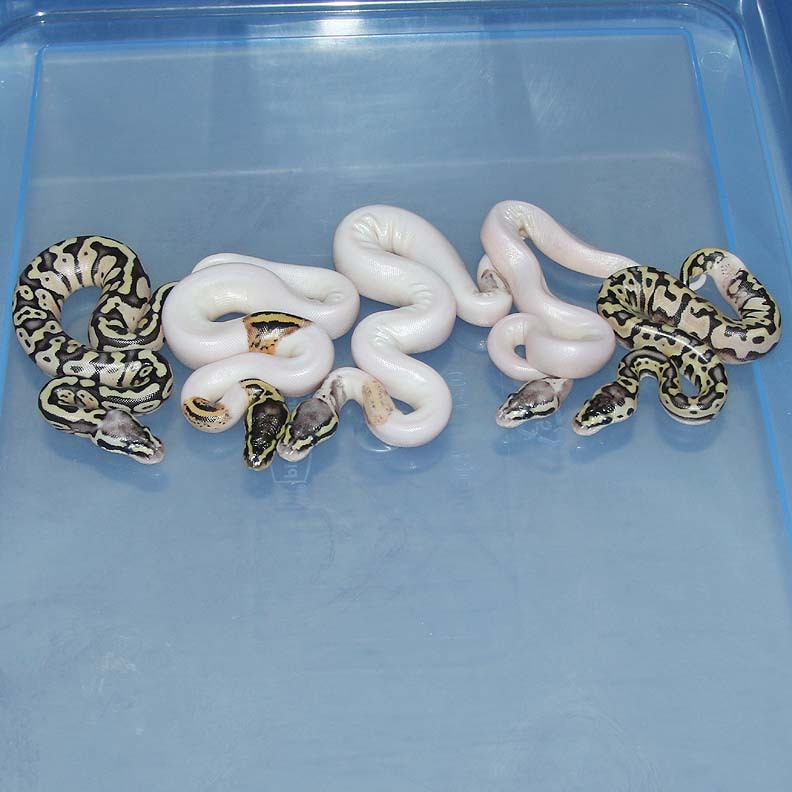 Red Lightning Pieds look amazing in person! 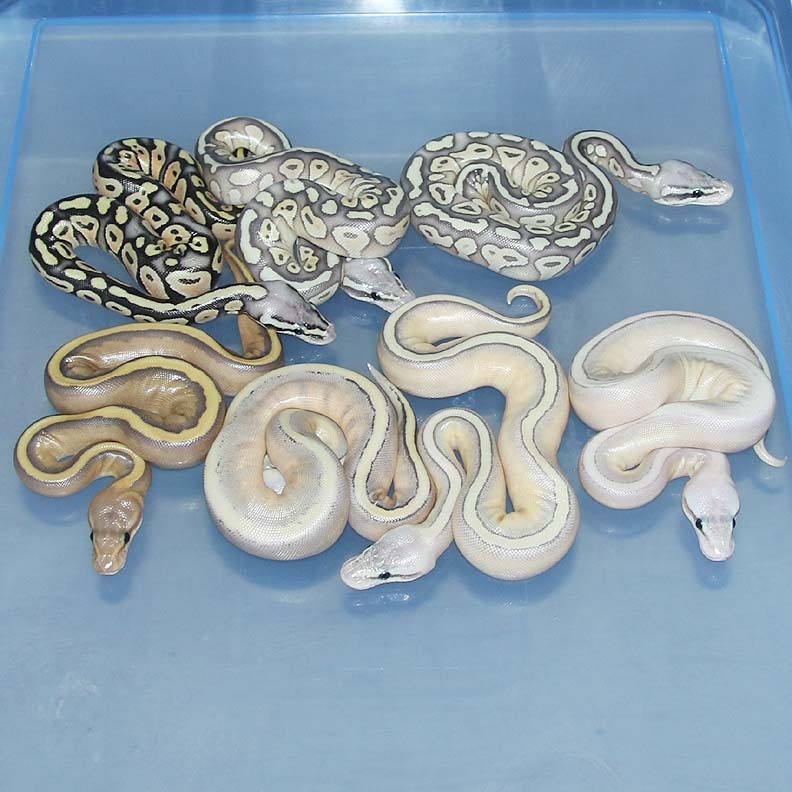 If you are interested in animals from clutch #15 please email or call 519-824-7377. 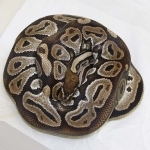 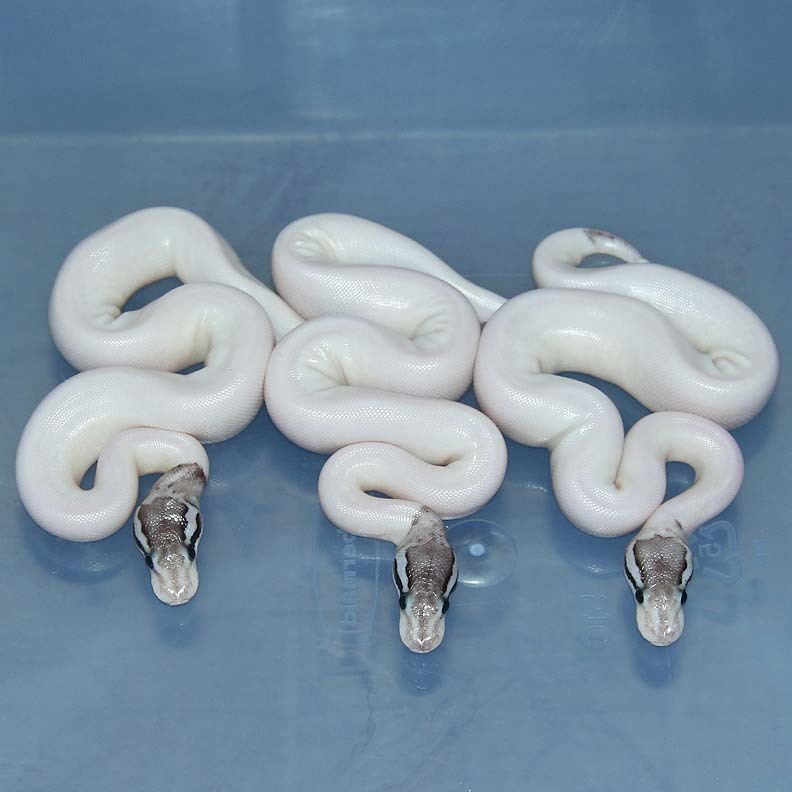 Description: Phantom HRA Het Lavender 1/15 x Pastel Lesser Red Axanthic PH Lavender 1/14. 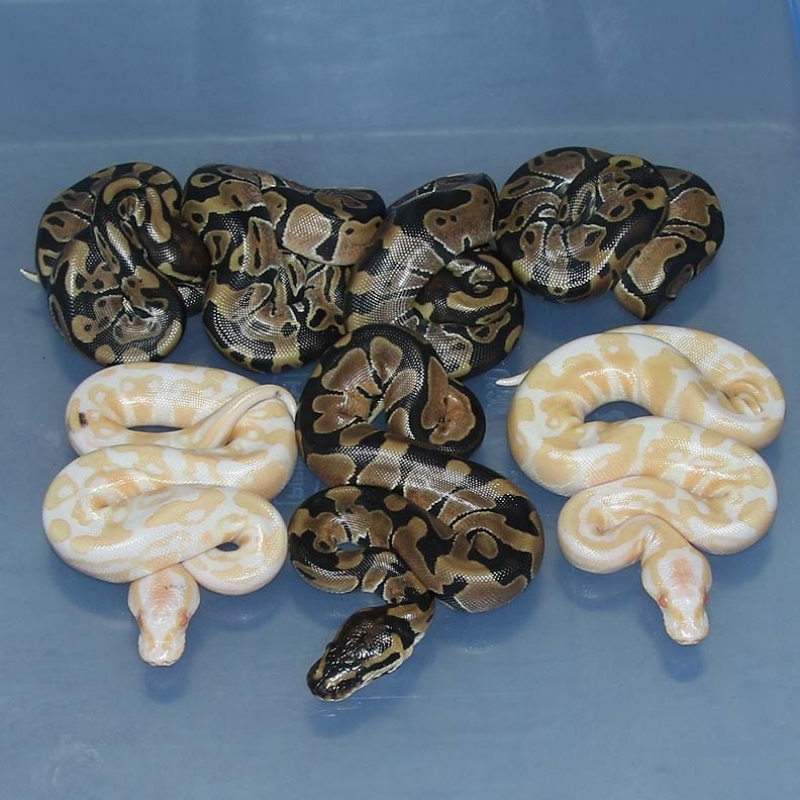 If you are interested in animals from clutch #16 please email or call 519-824-7377. 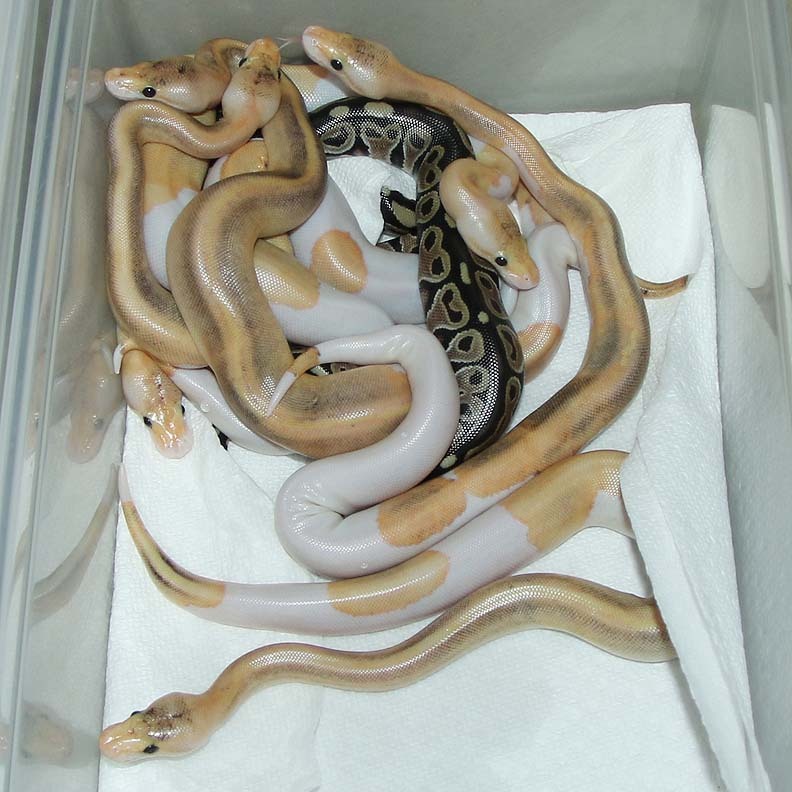 If you are interested in animals from clutch #17 please email or call 519-824-7377. 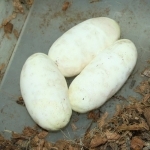 Description: POG Phantom 3/14 x SPOG Phantom 2/14. 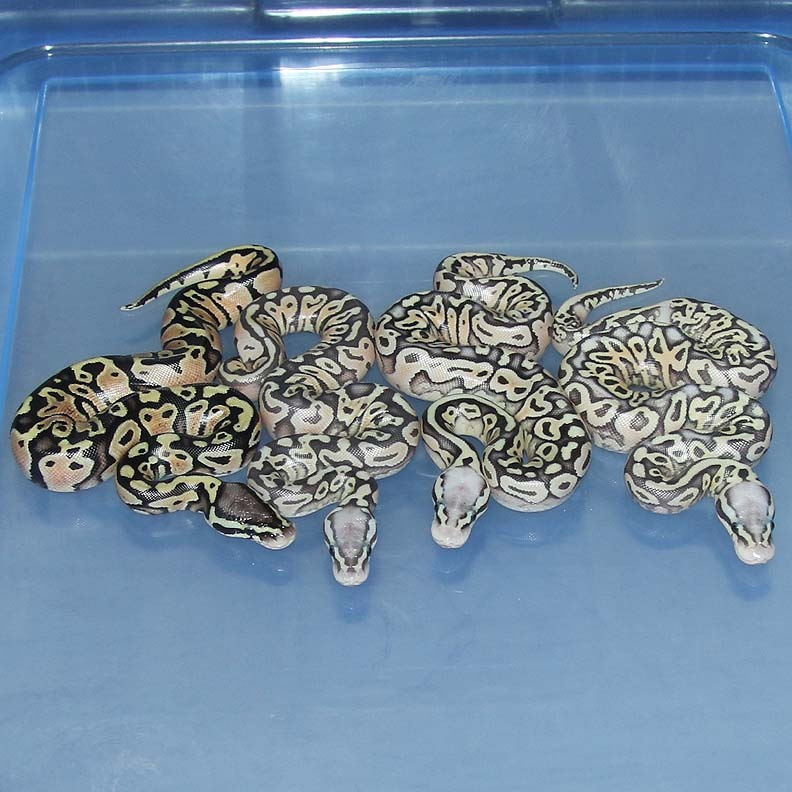 If you are interested in animals from clutch #18 please email or call 519-824-7377. 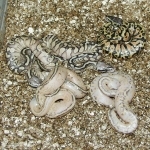 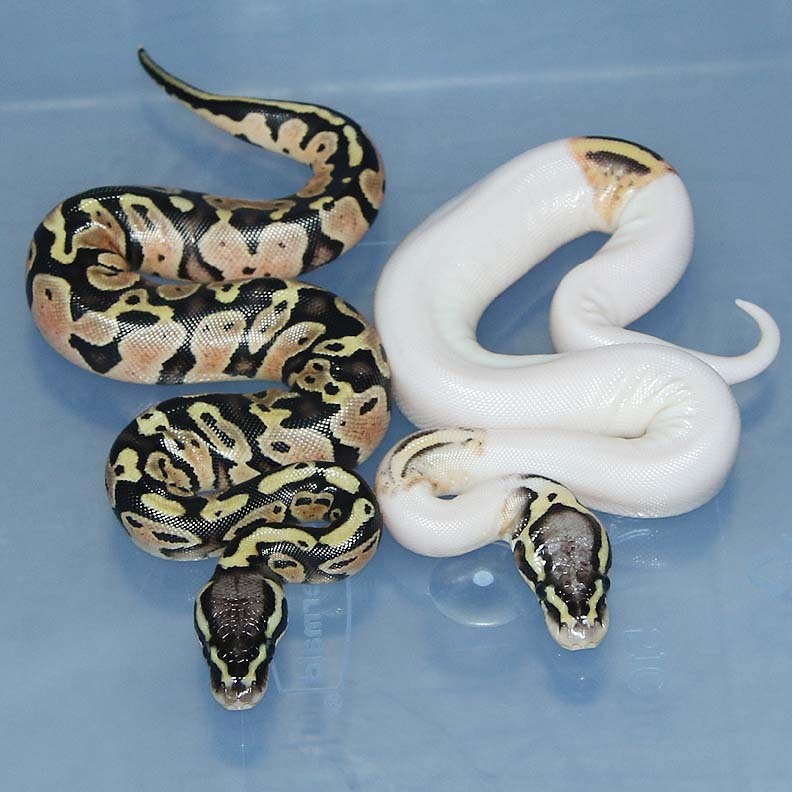 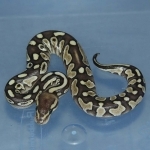 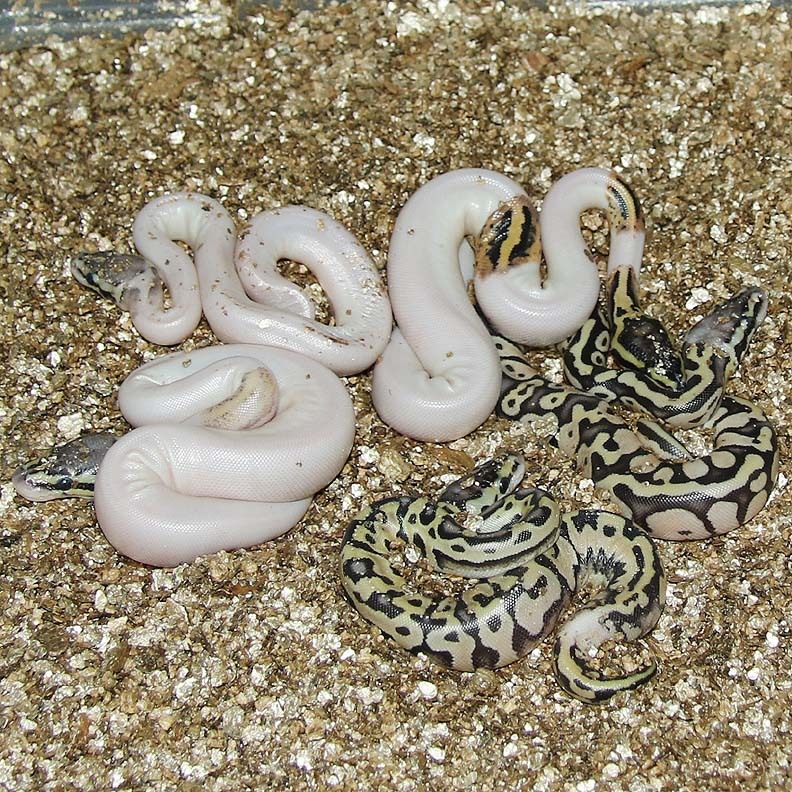 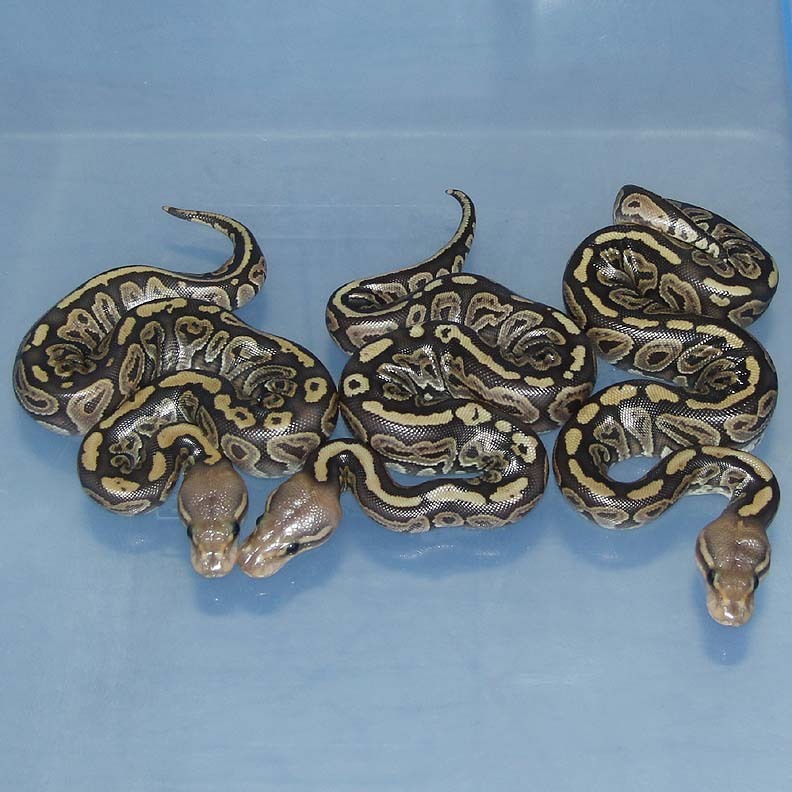 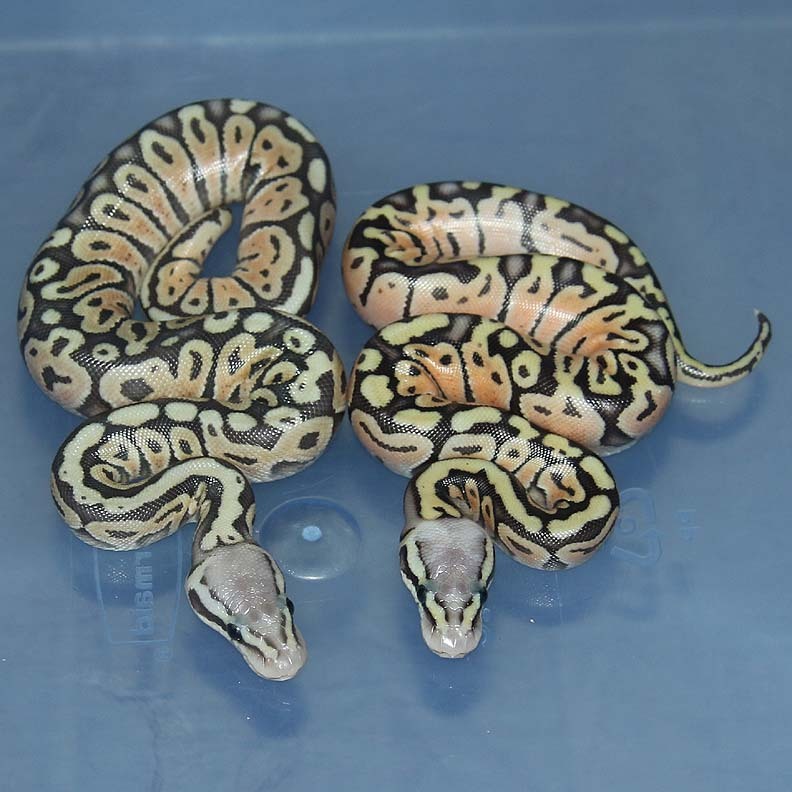 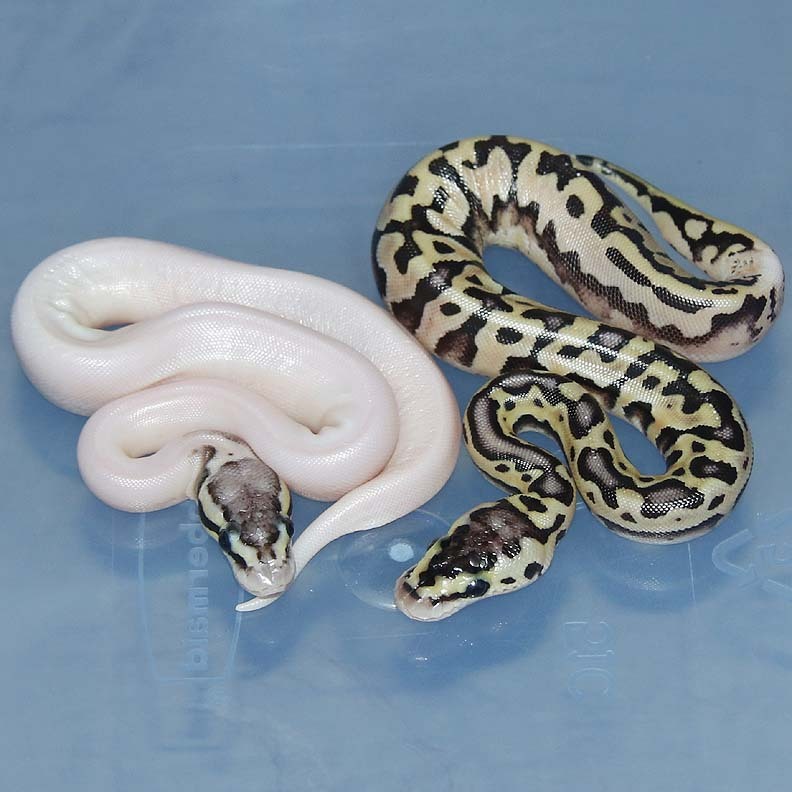 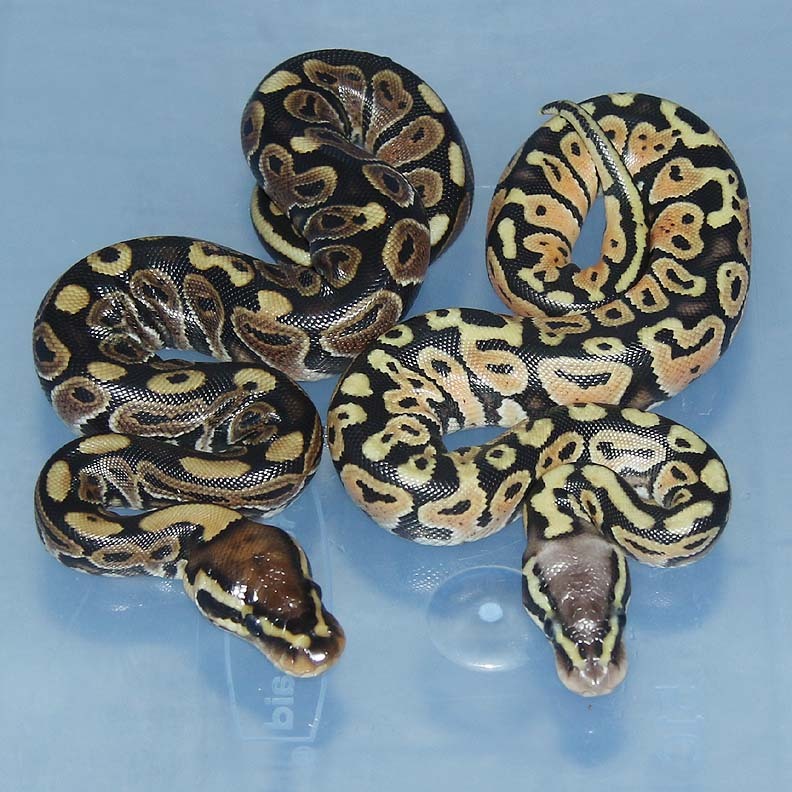 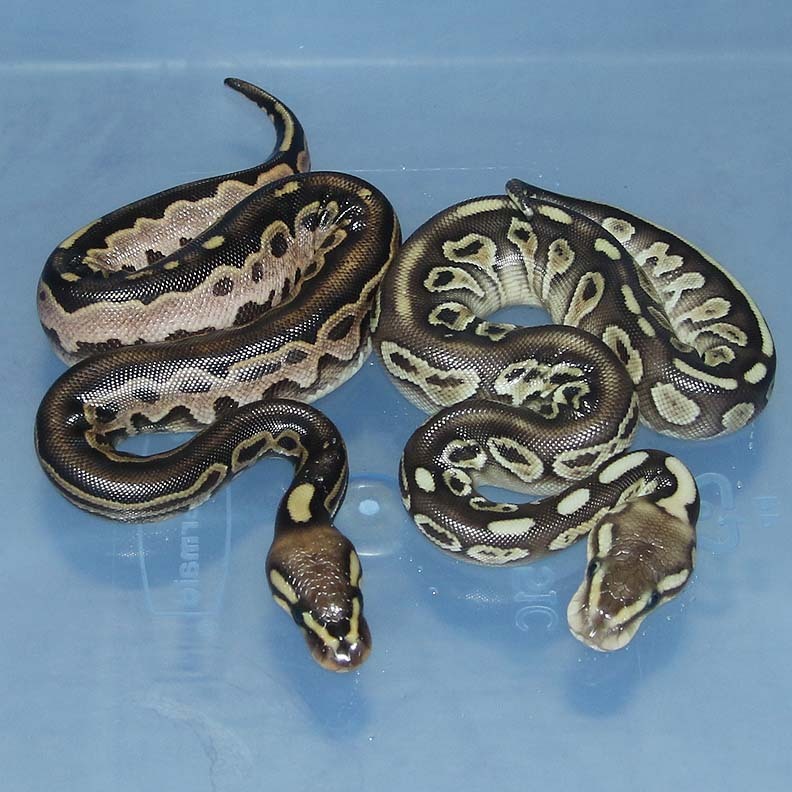 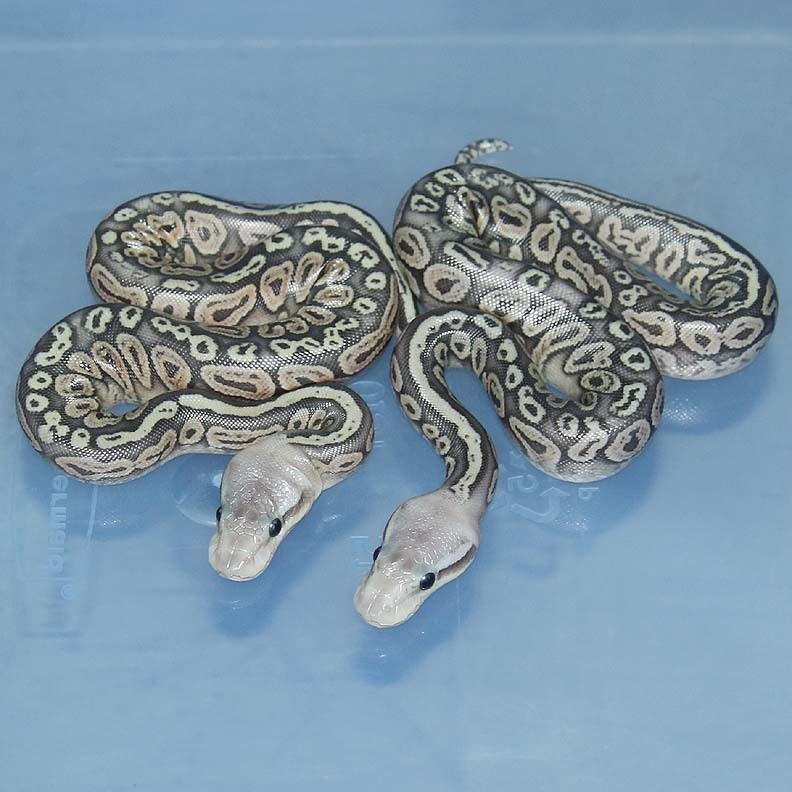 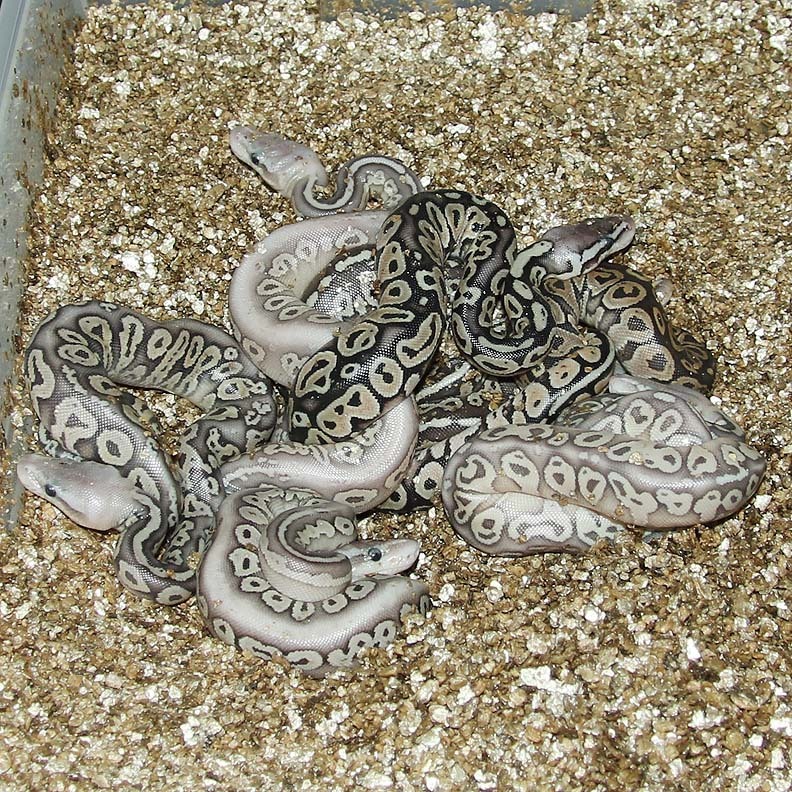 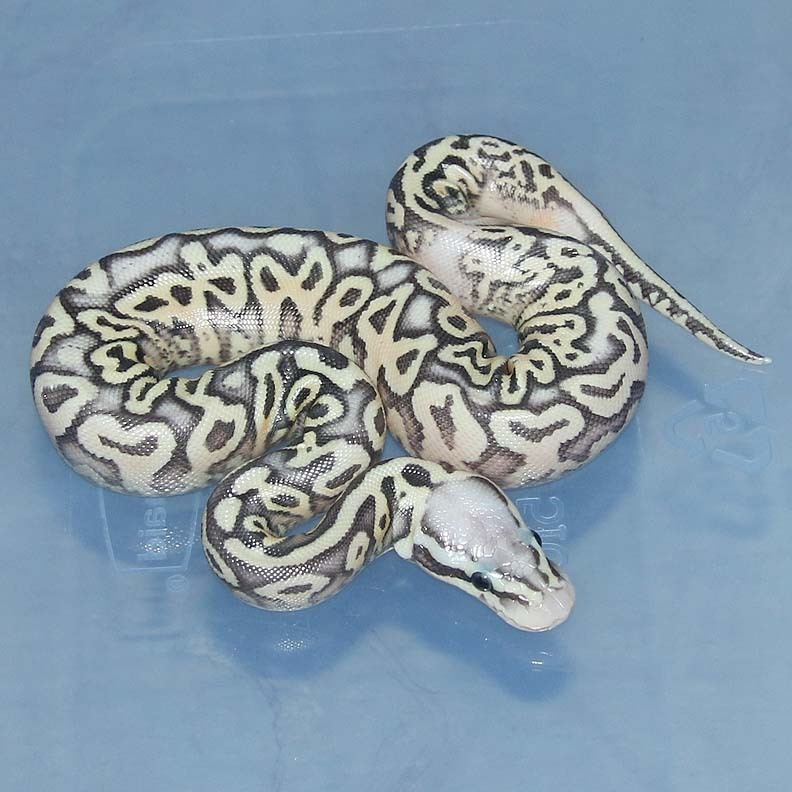 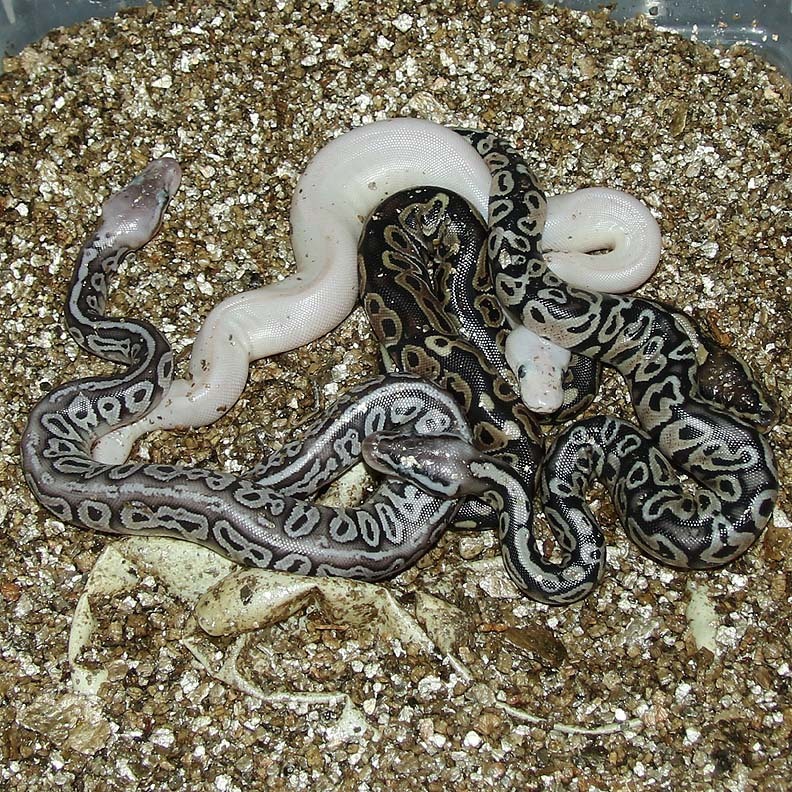 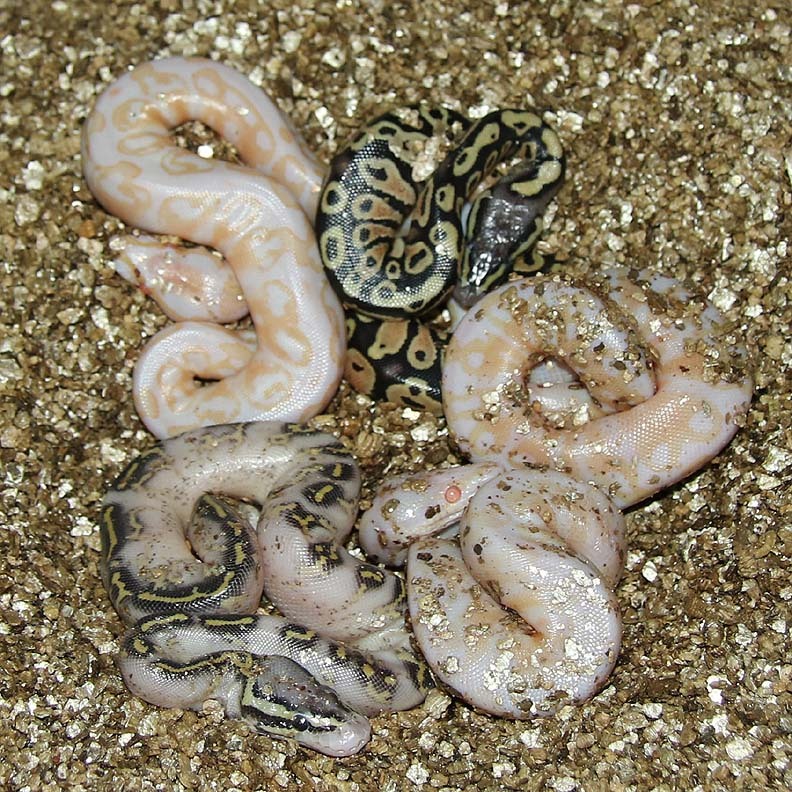 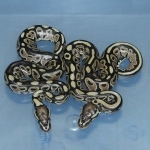 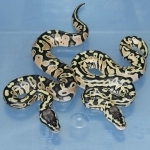 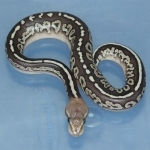 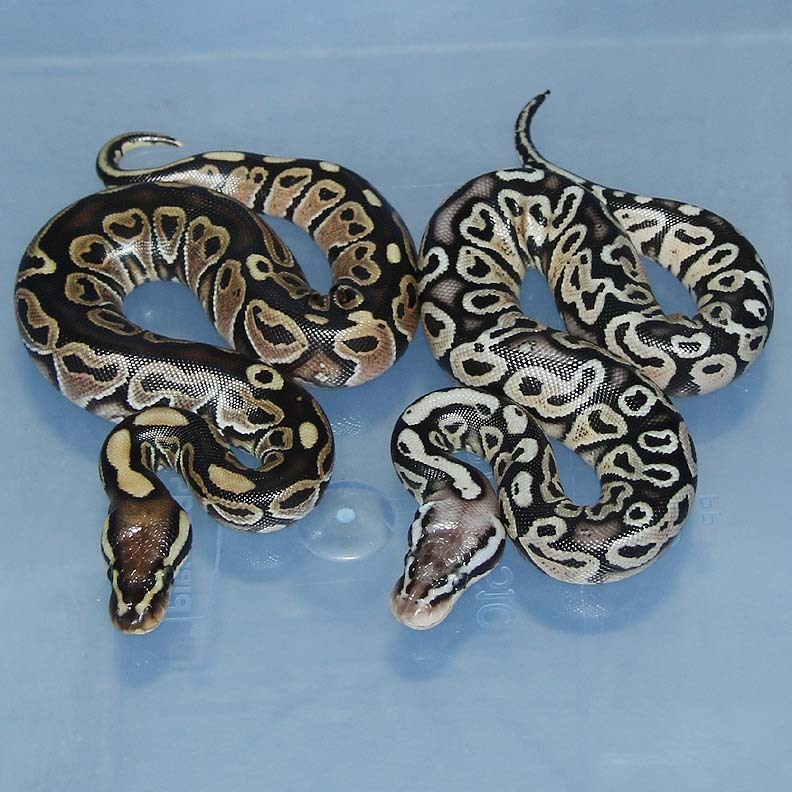 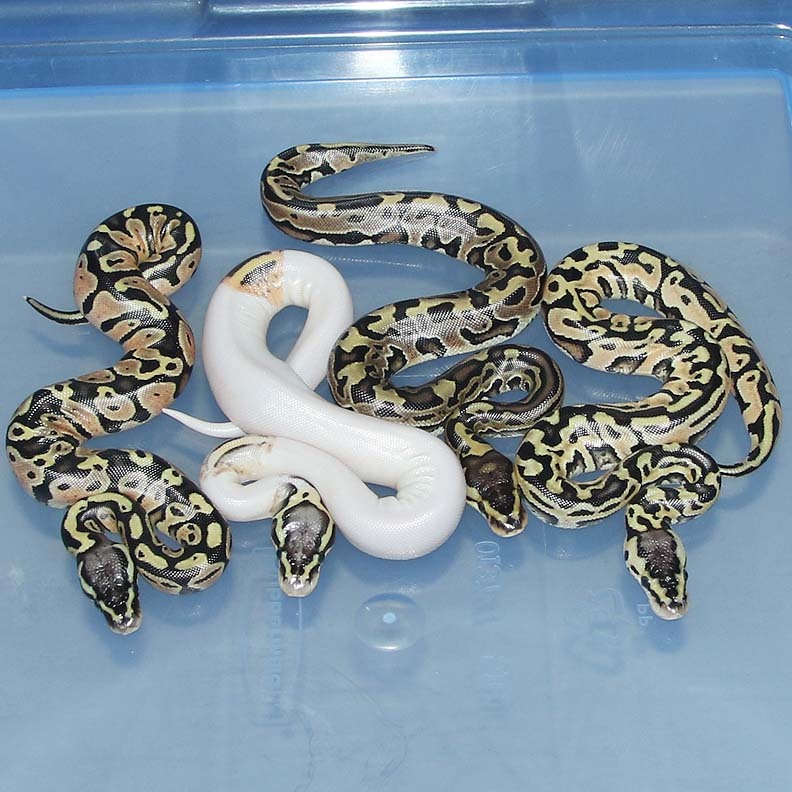 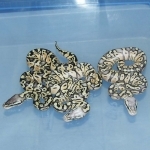 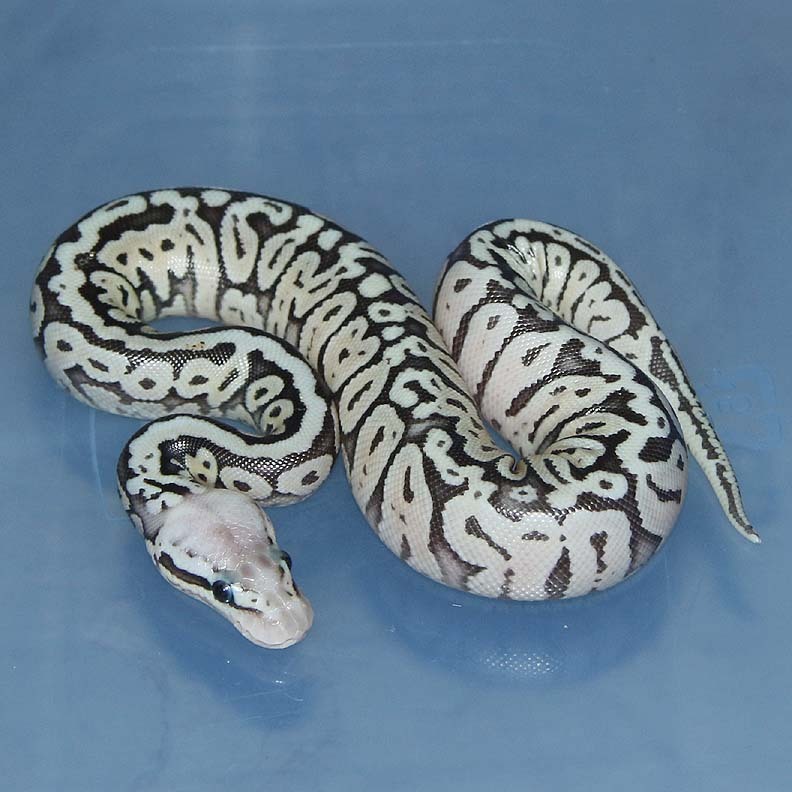 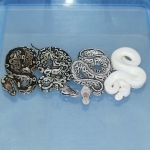 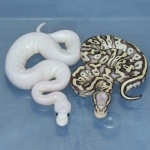 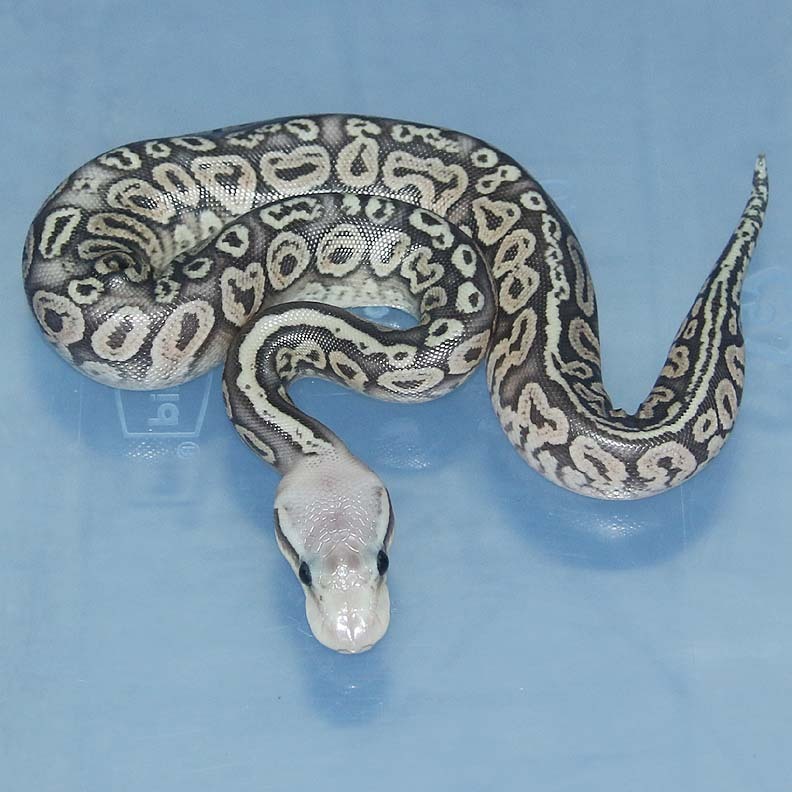 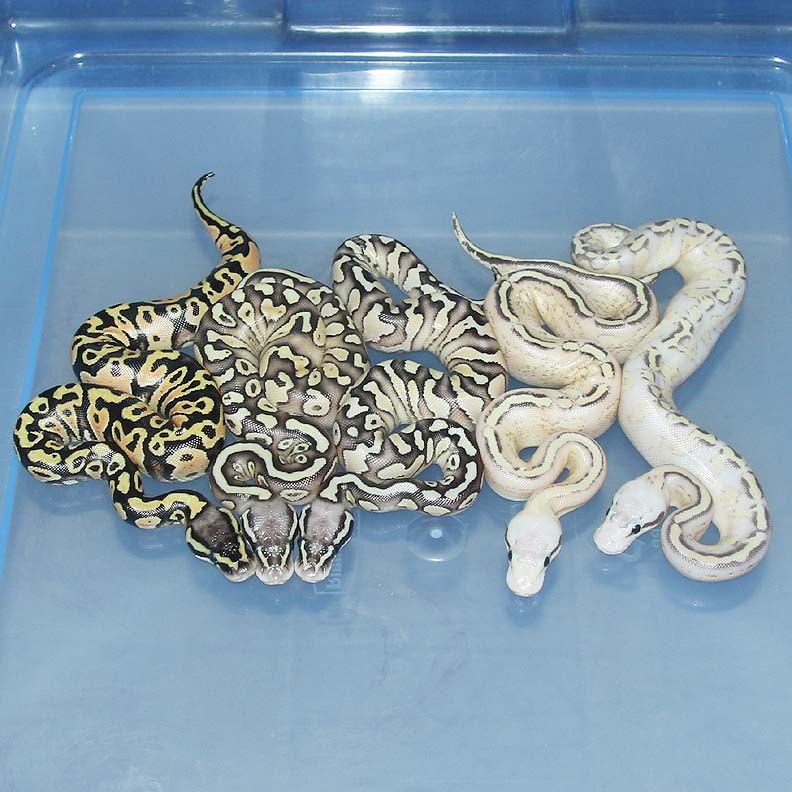 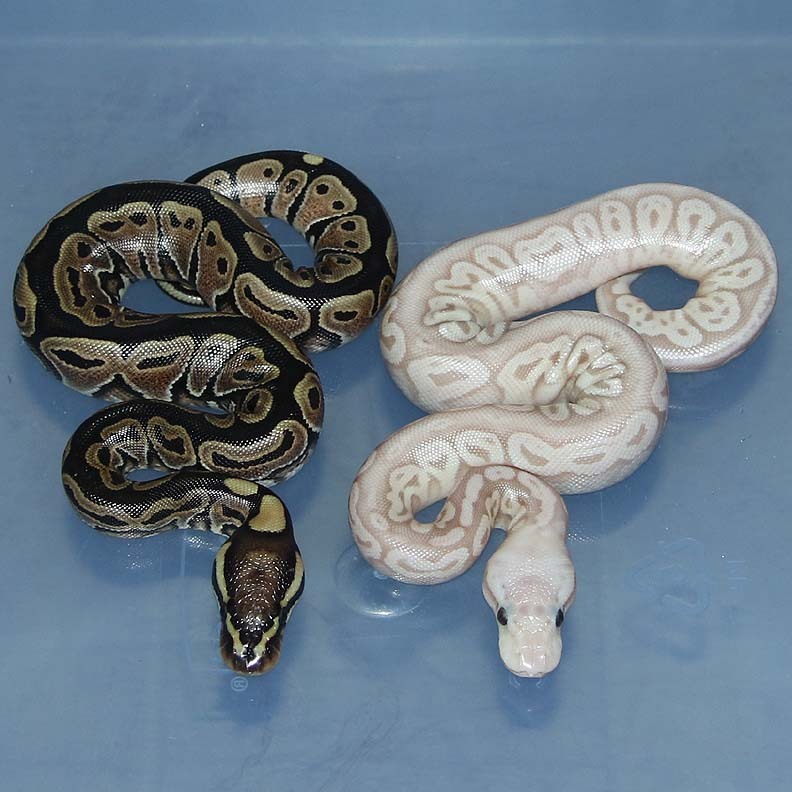 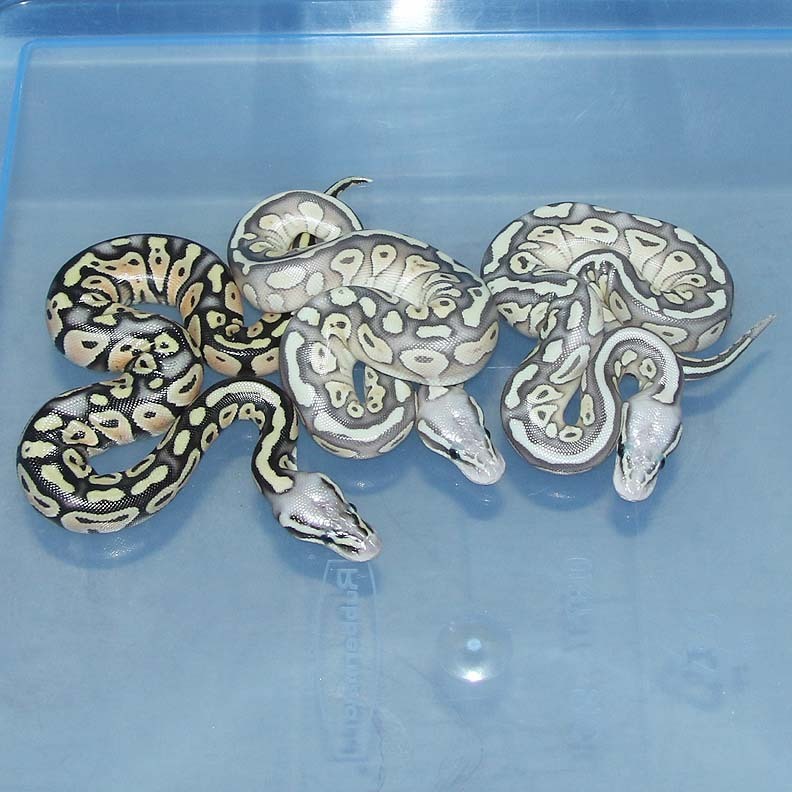 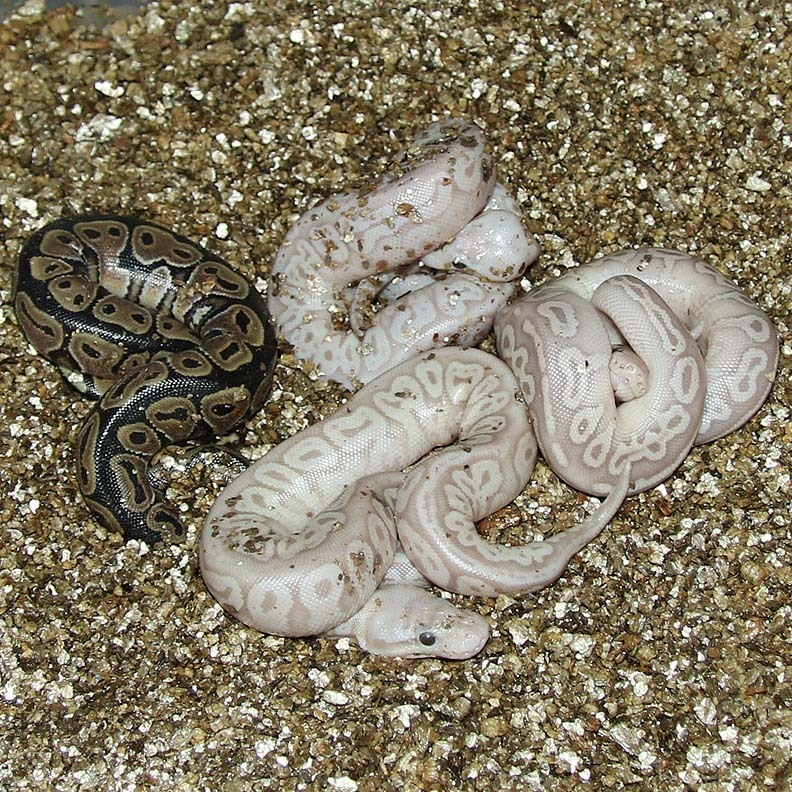 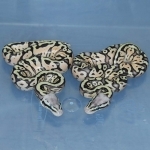 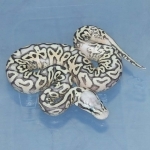 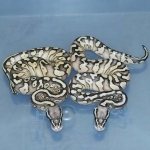 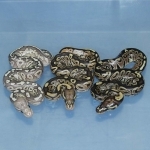 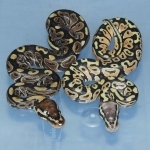 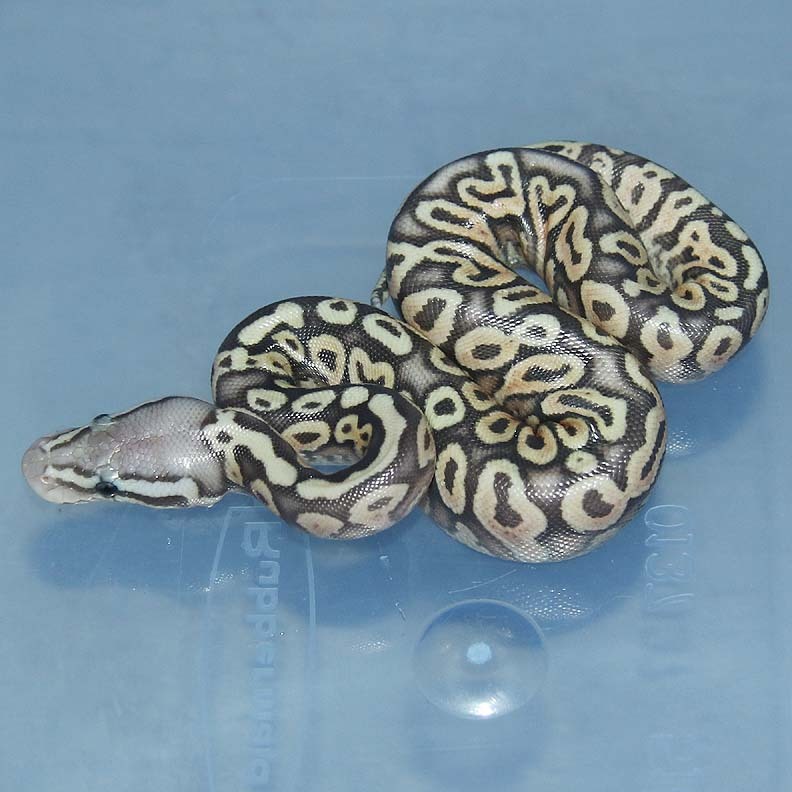 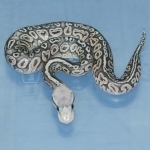 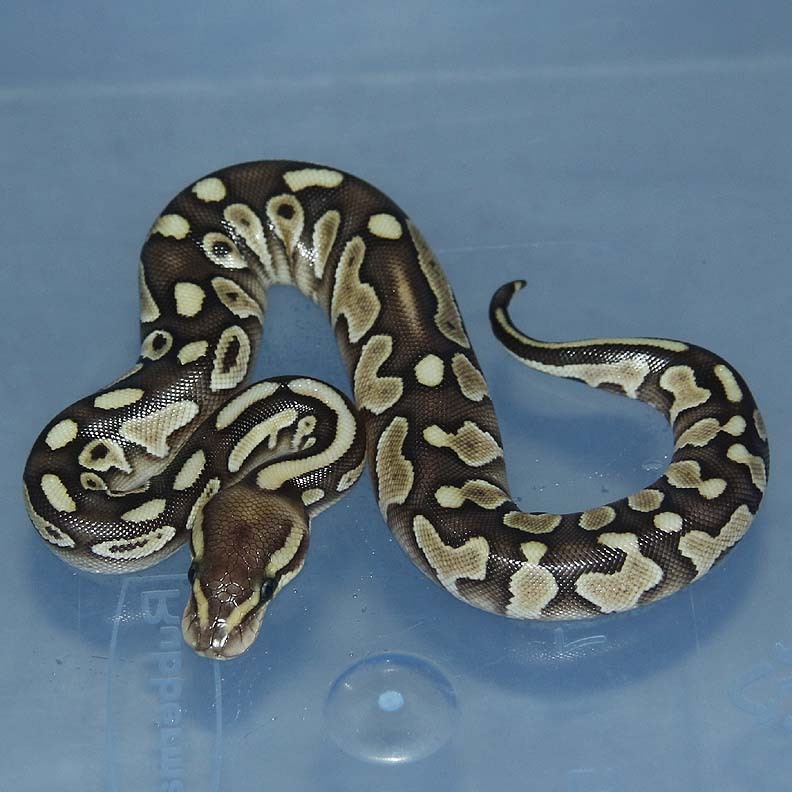 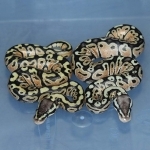 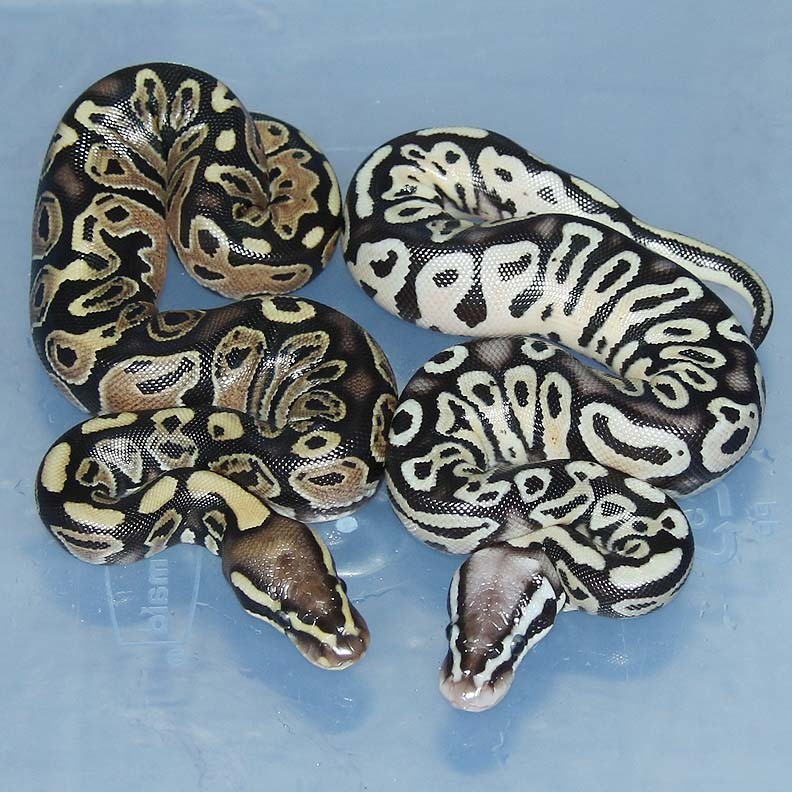 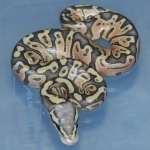 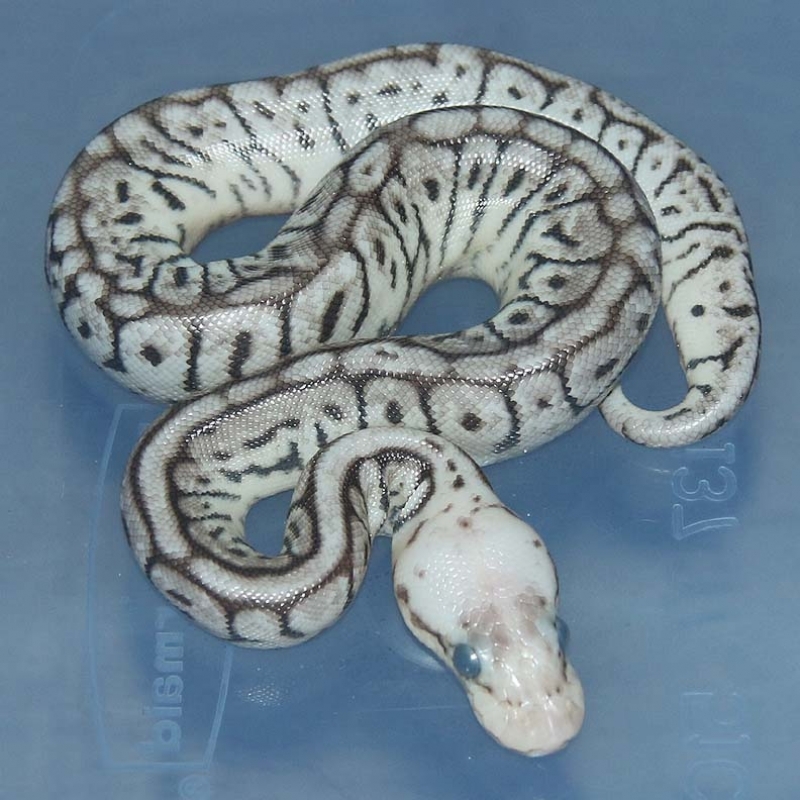 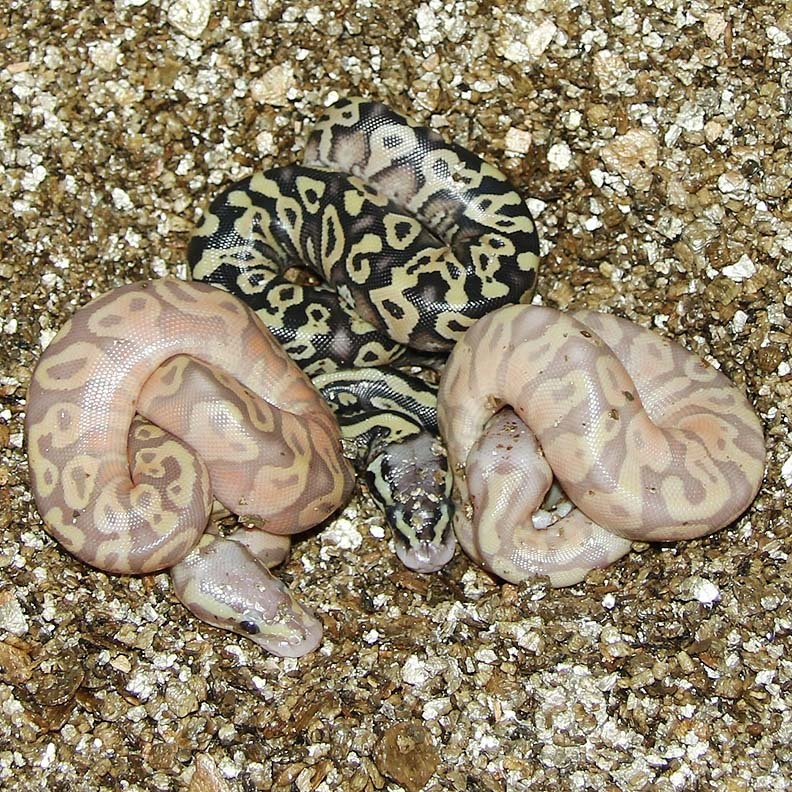 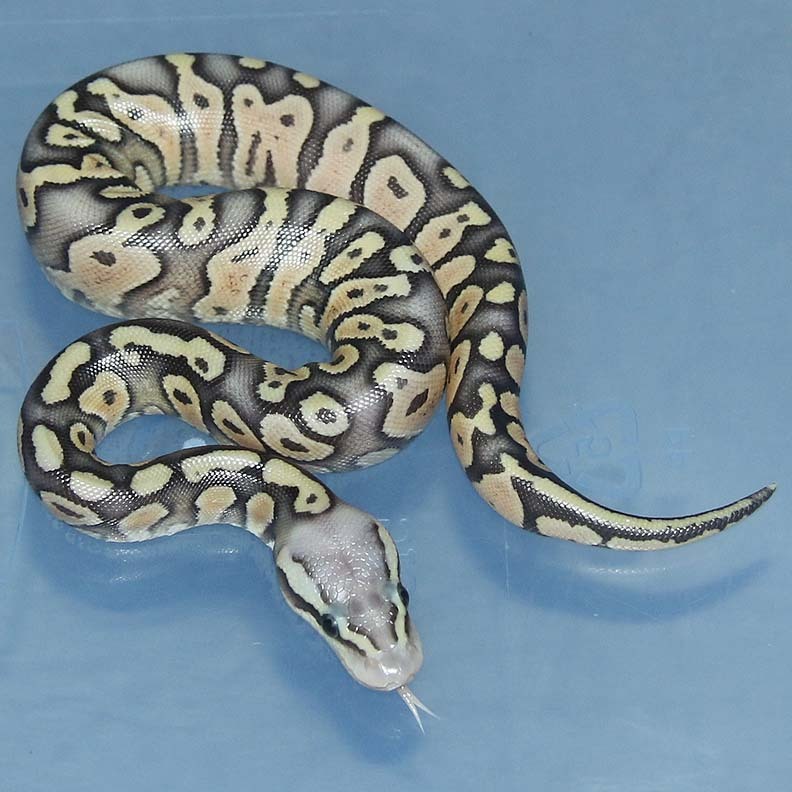 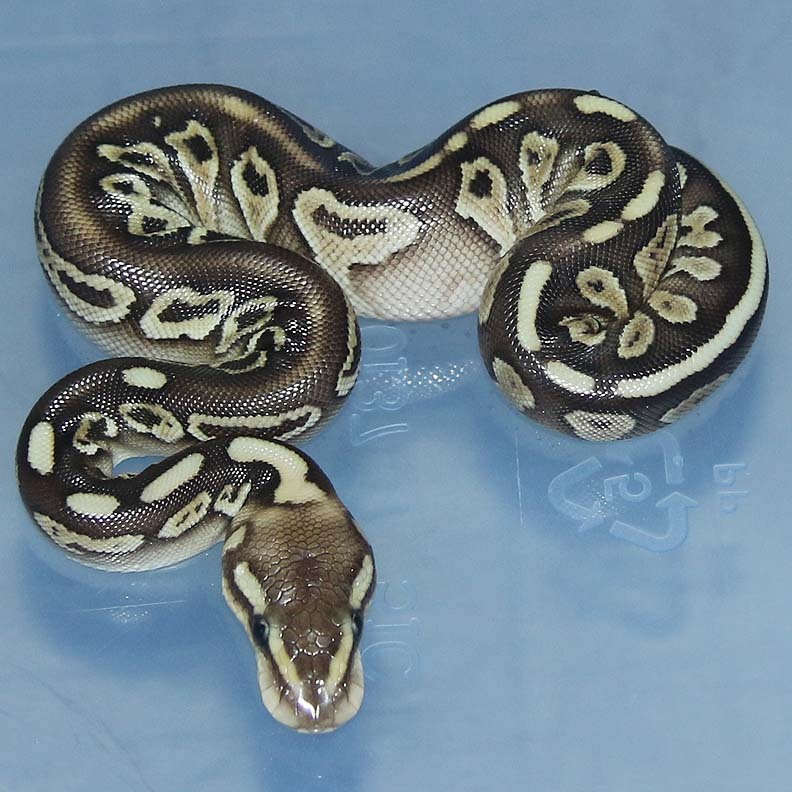 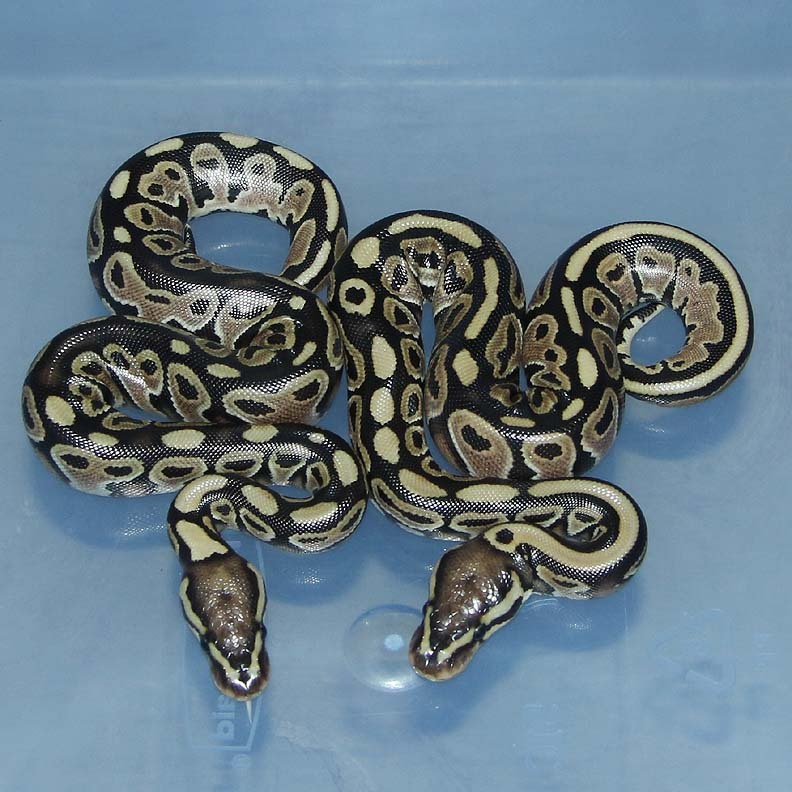 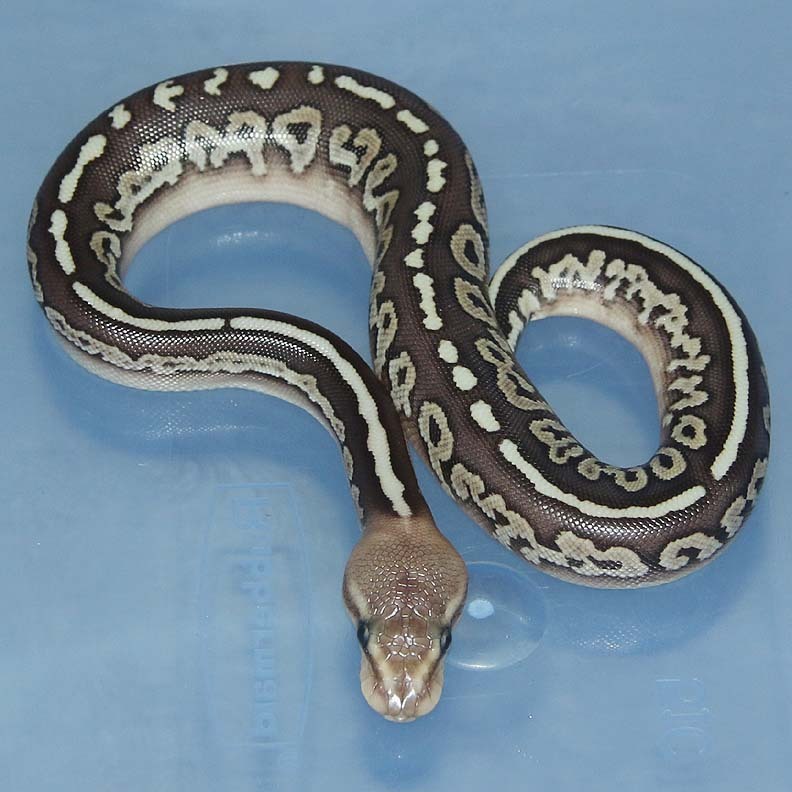 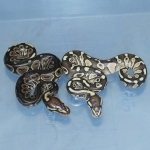 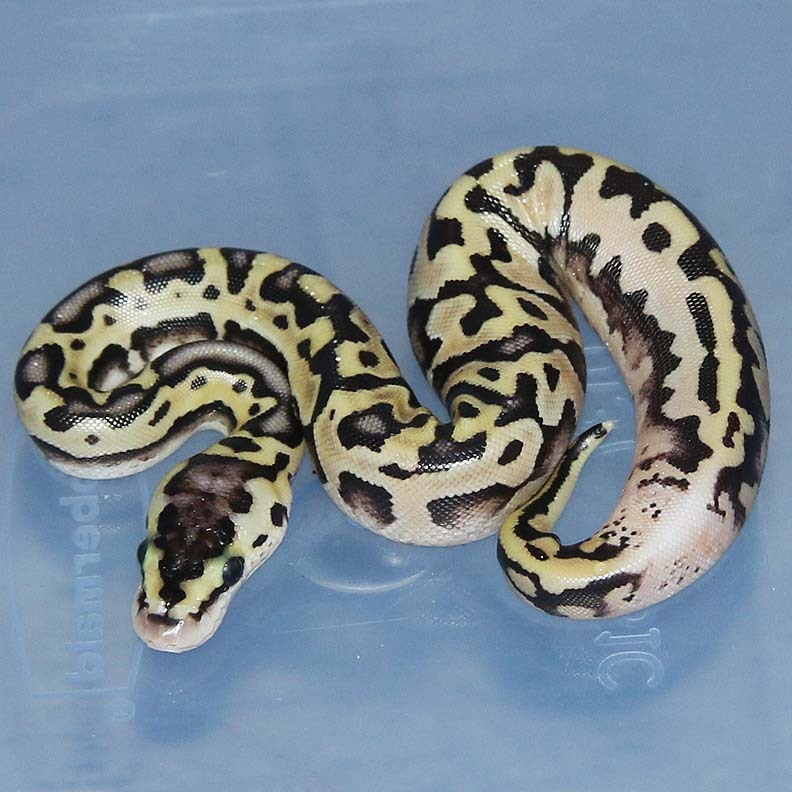 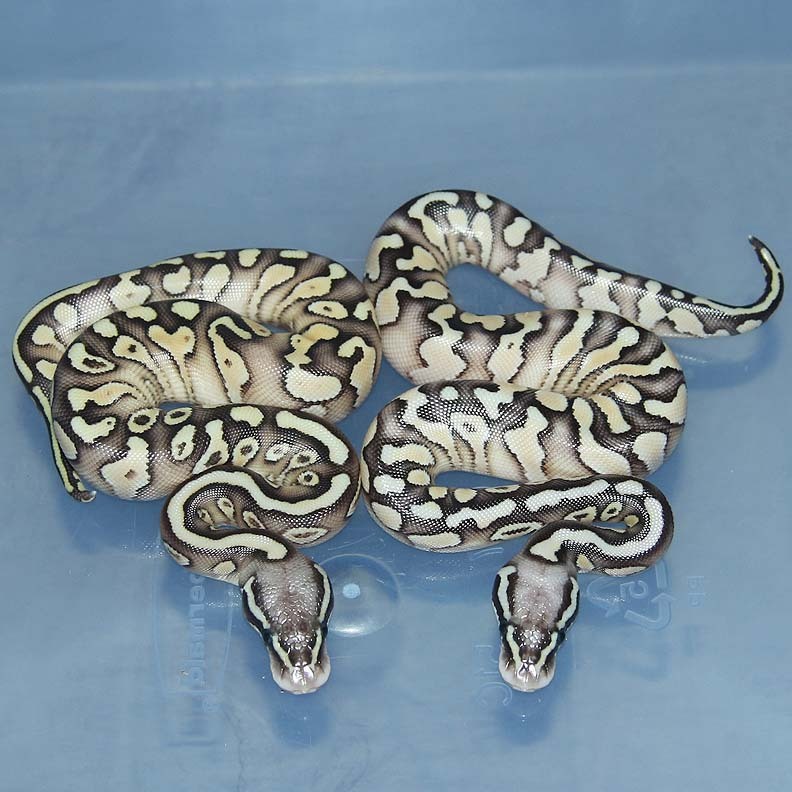 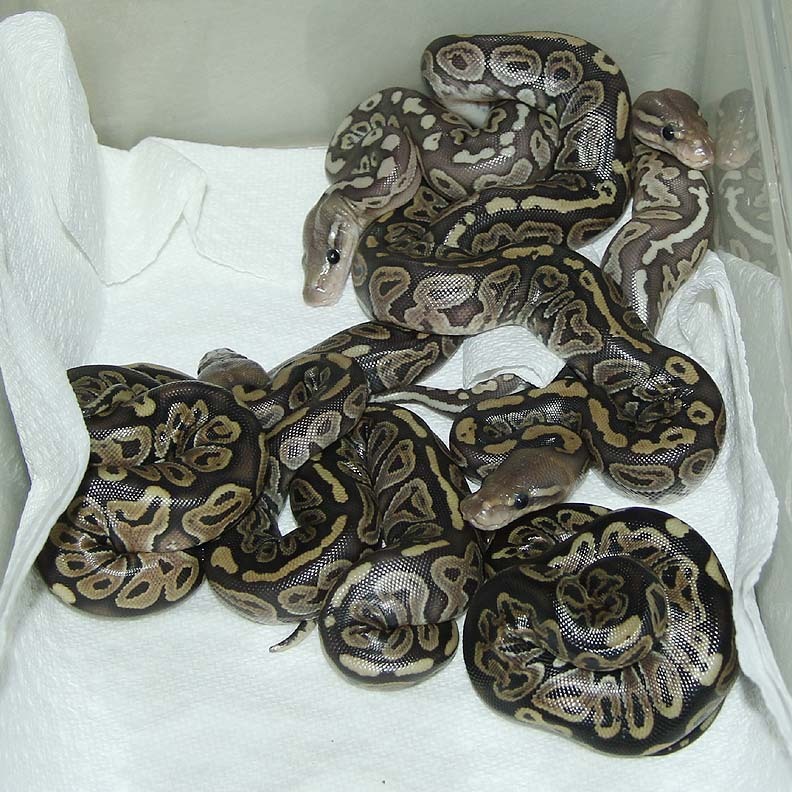 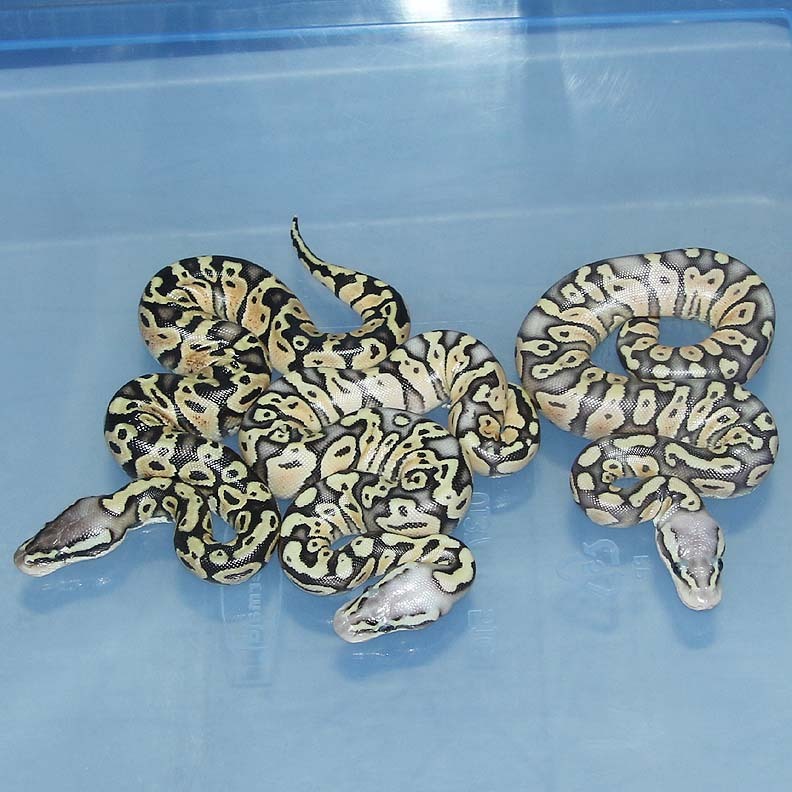 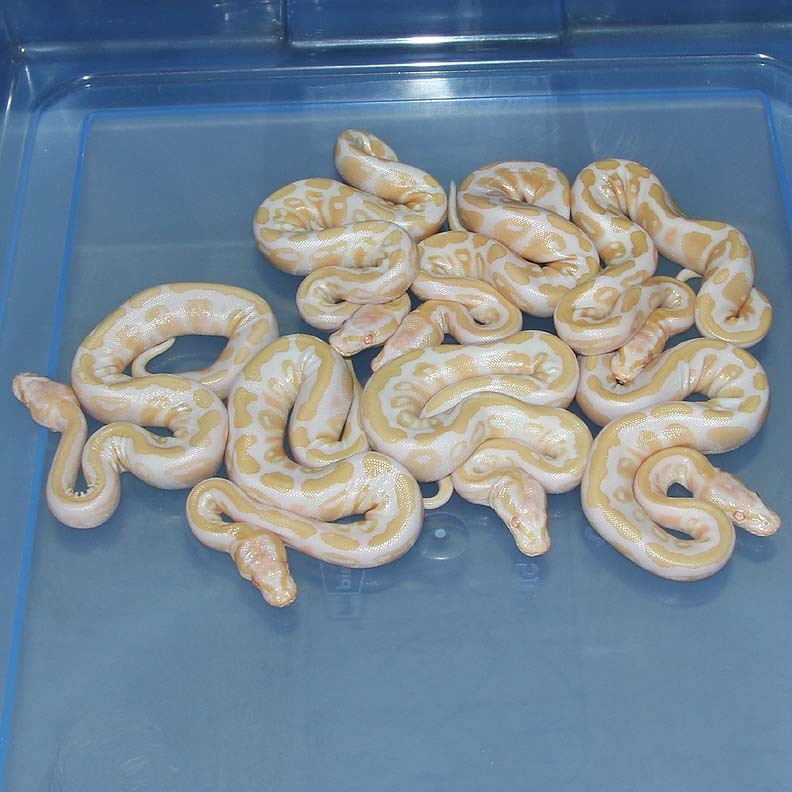 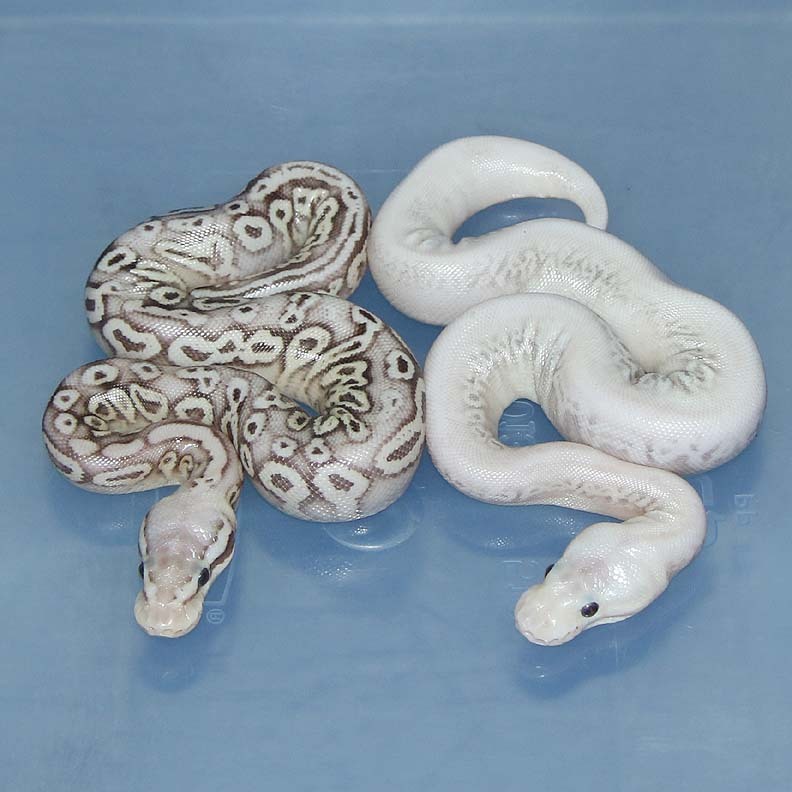 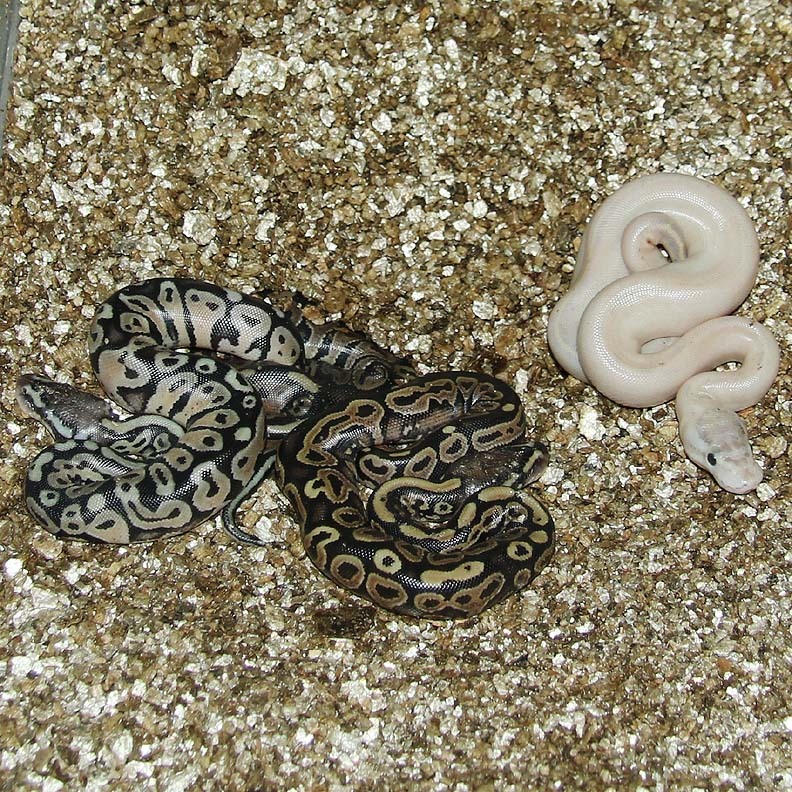 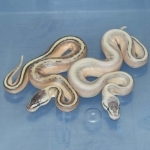 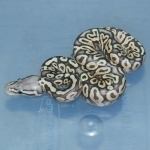 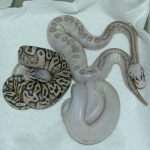 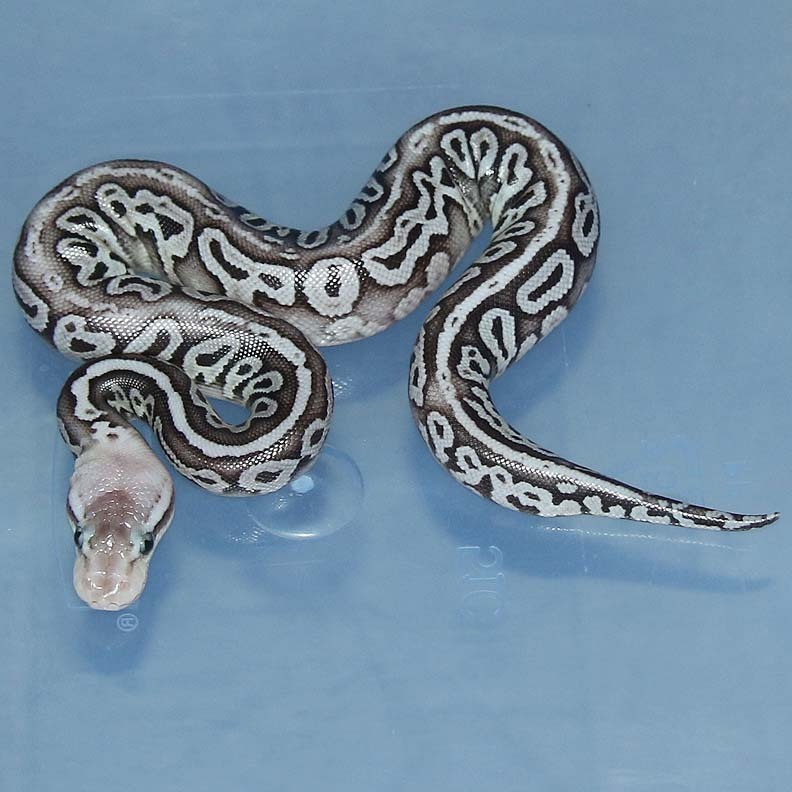 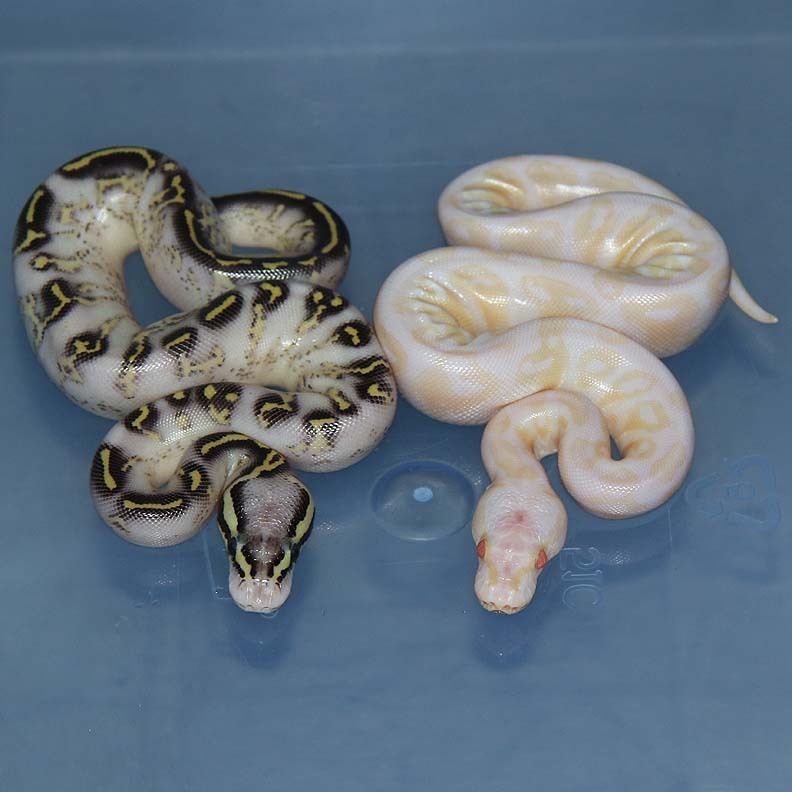 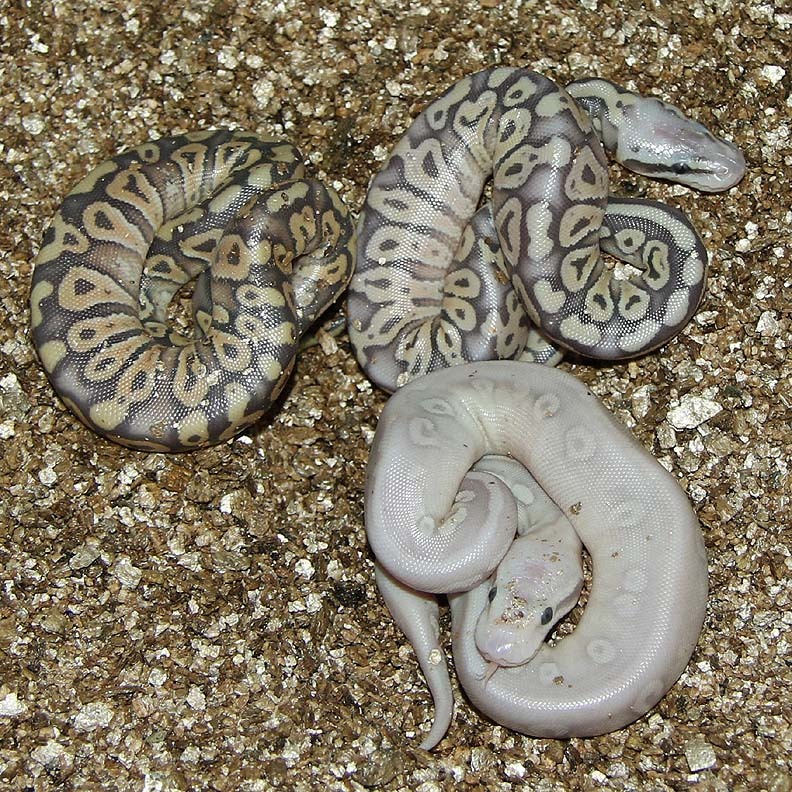 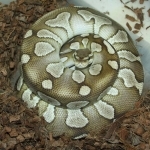 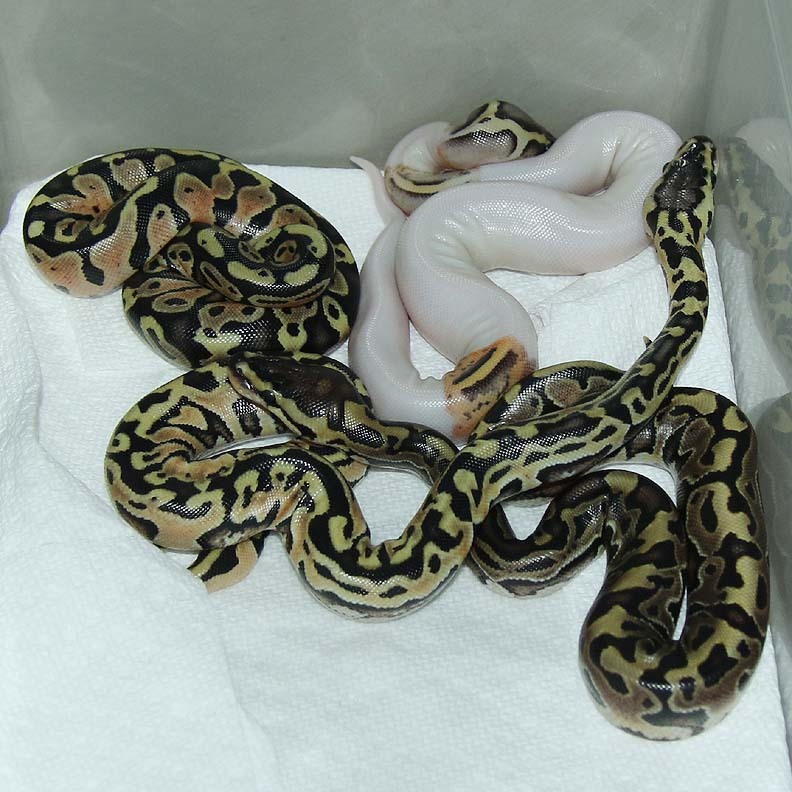 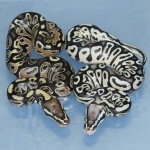 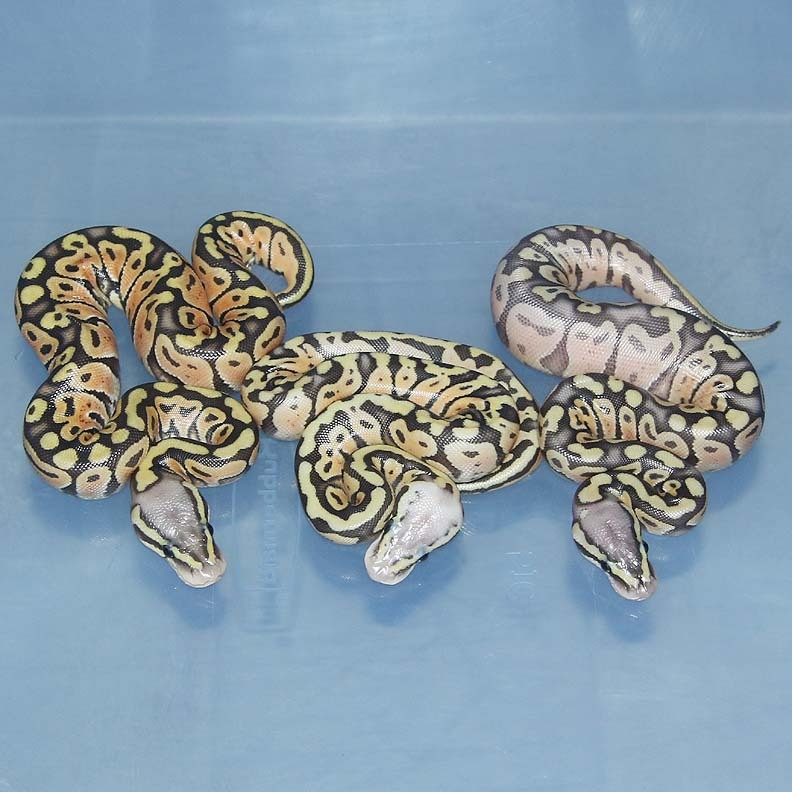 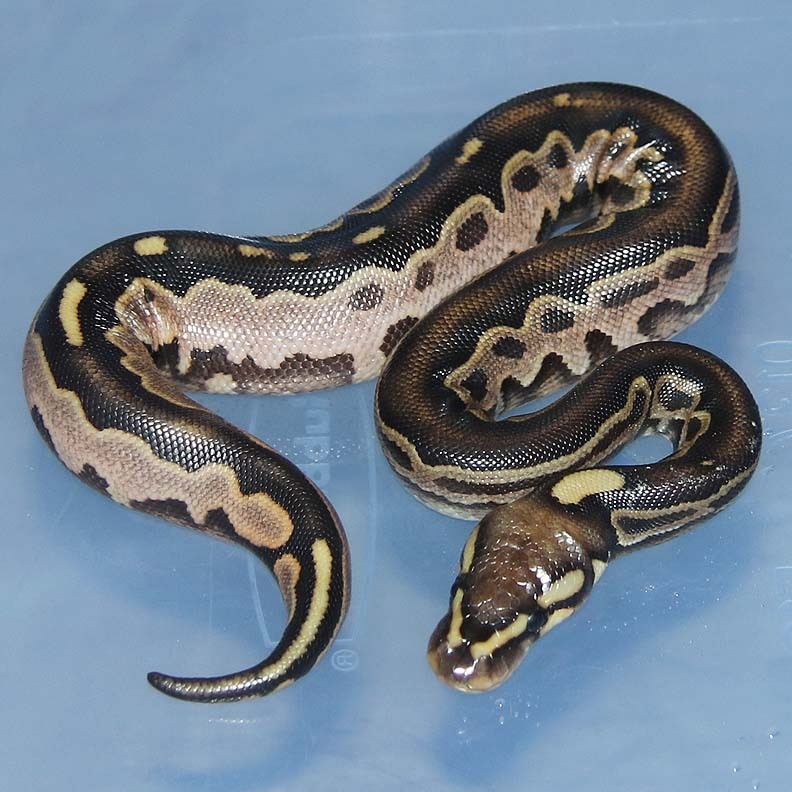 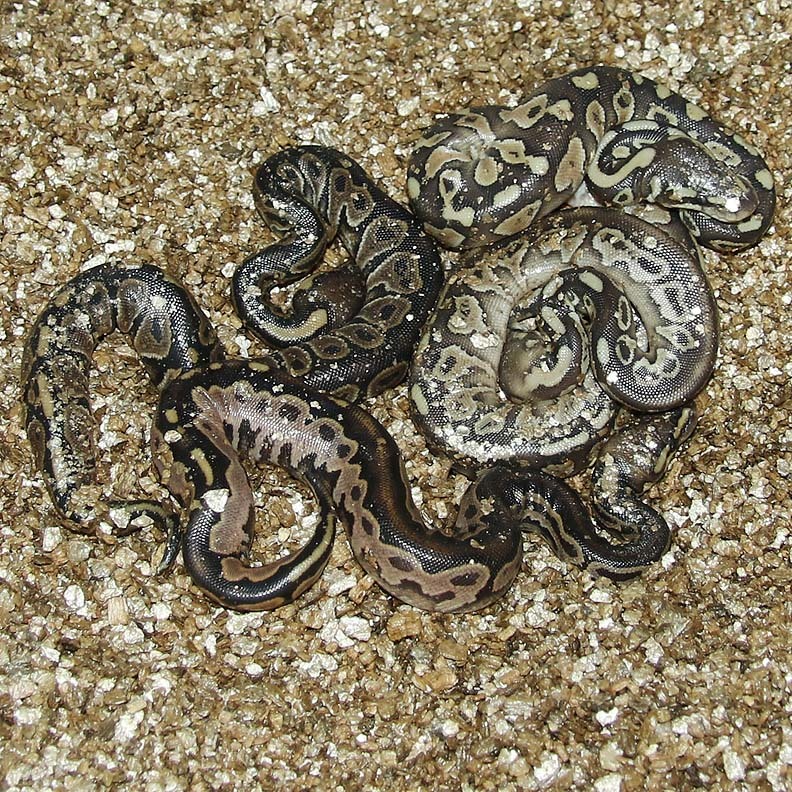 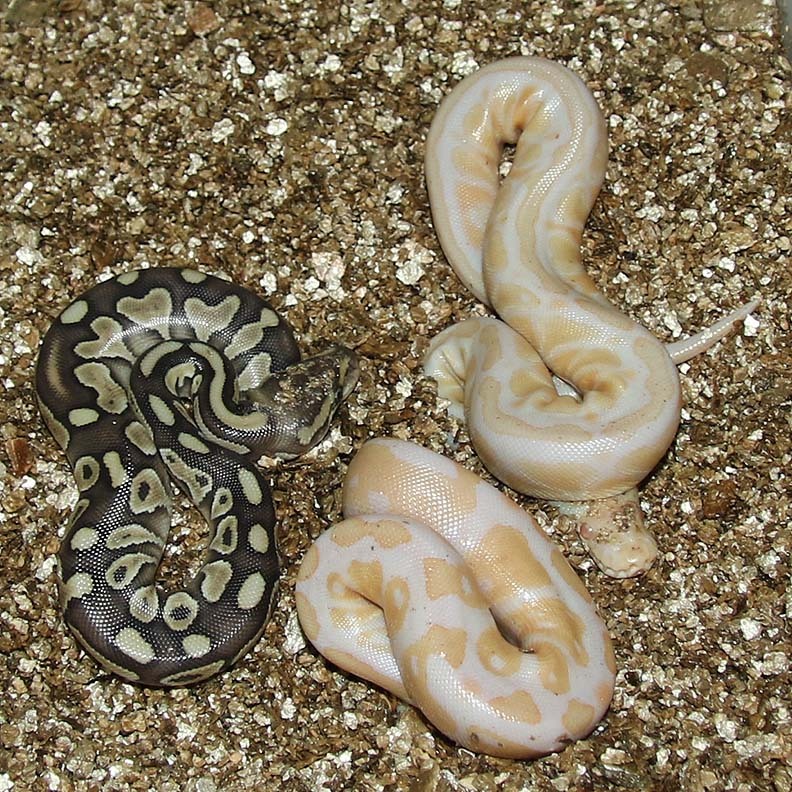 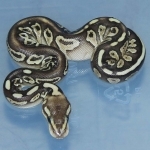 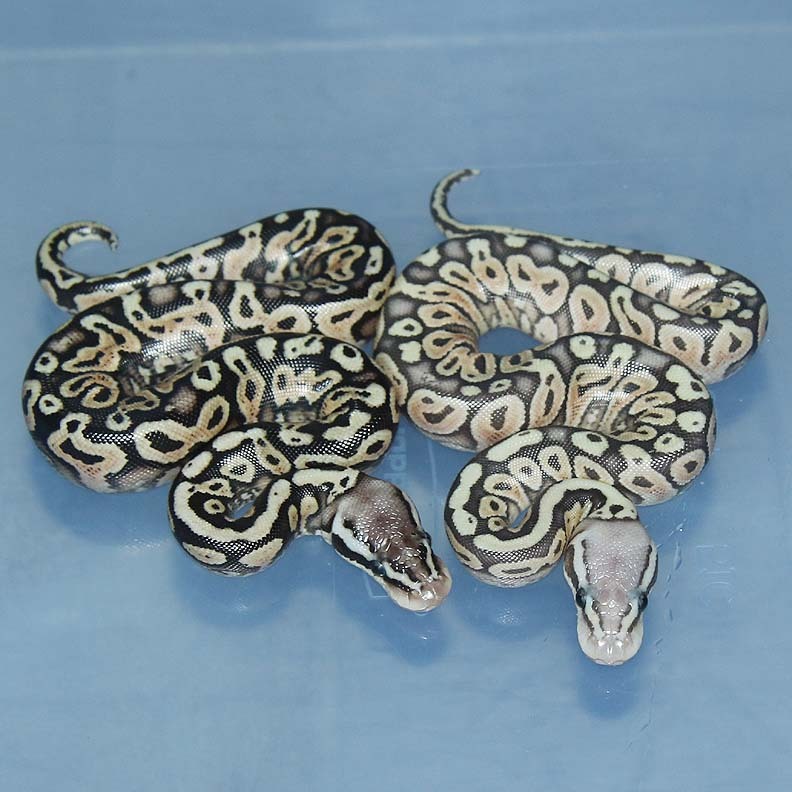 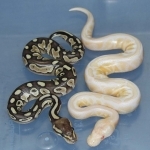 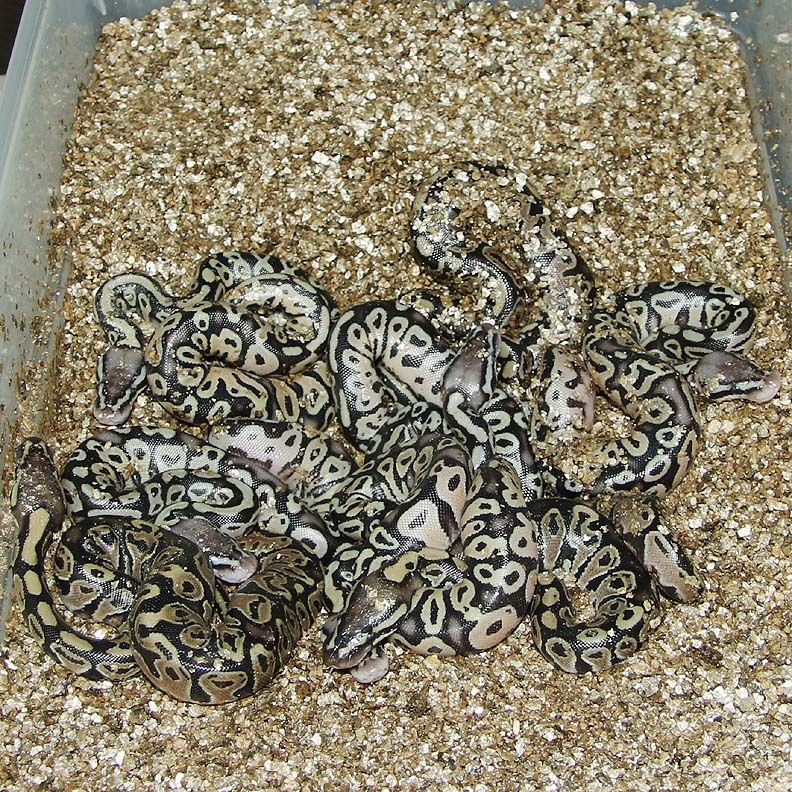 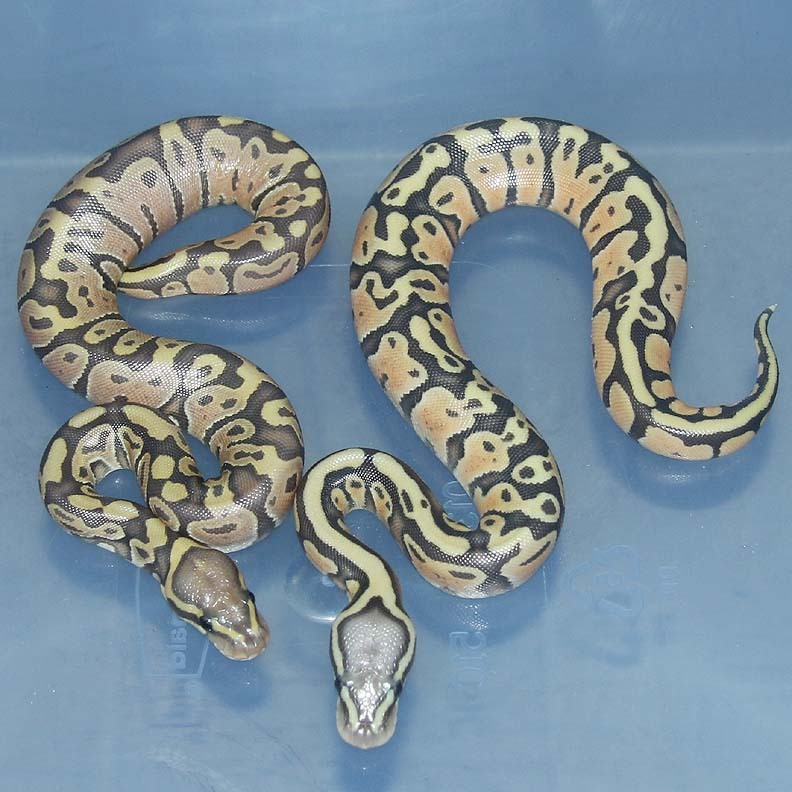 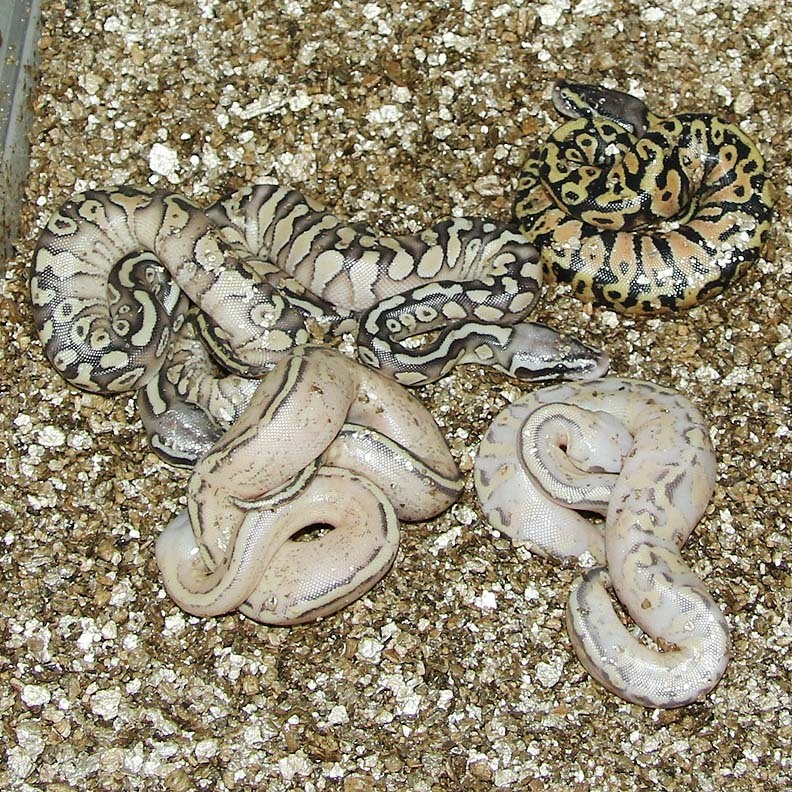 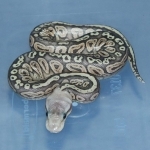 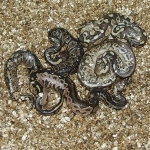 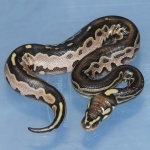 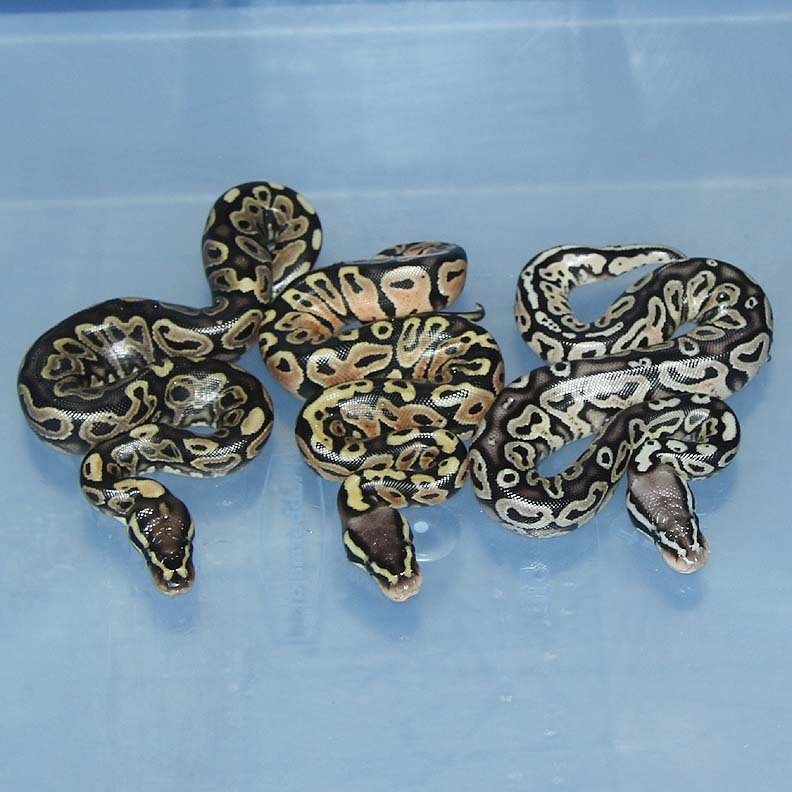 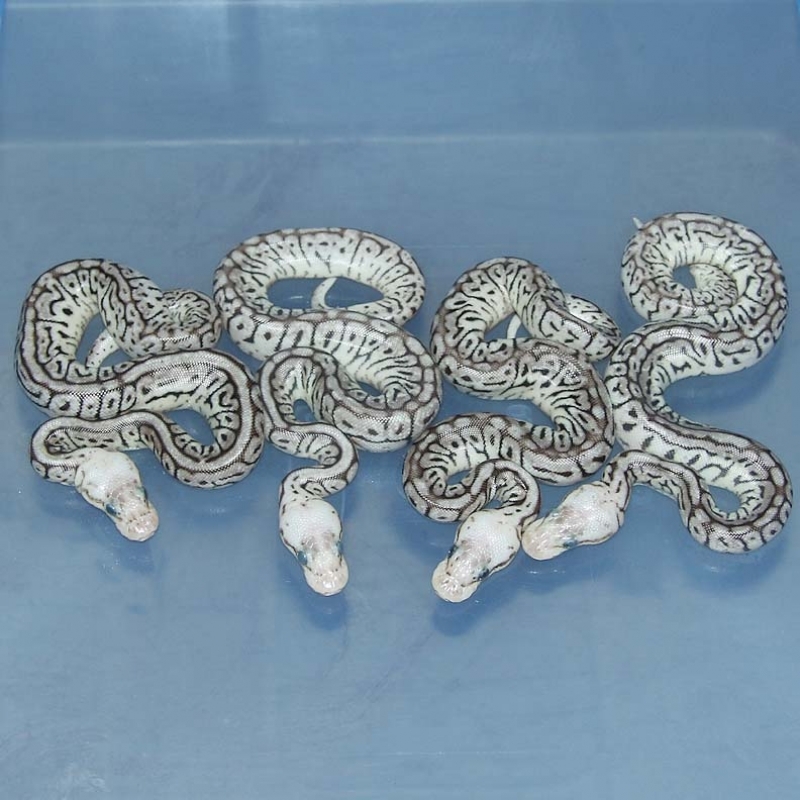 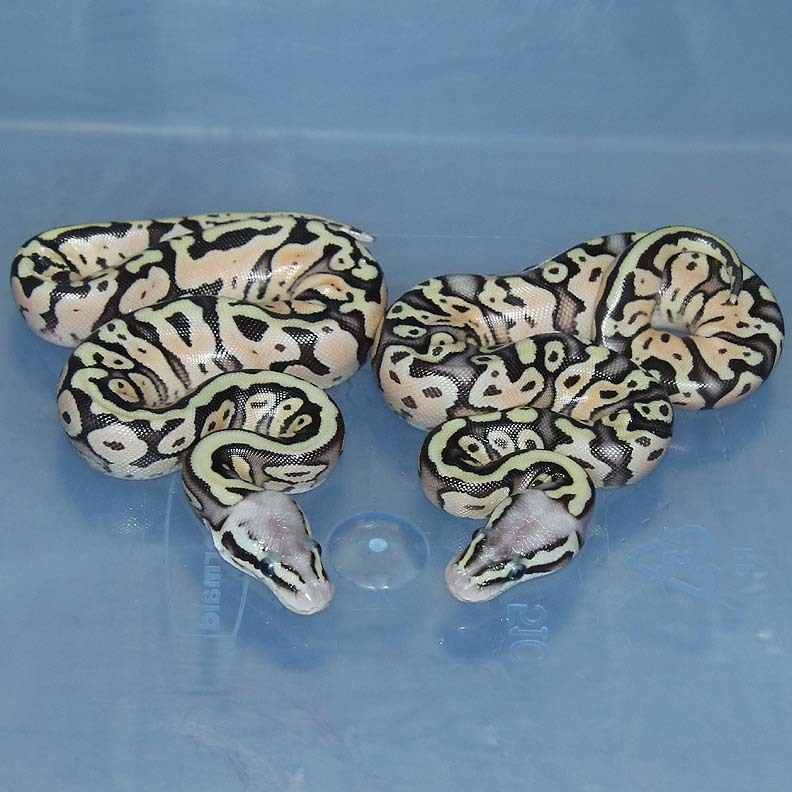 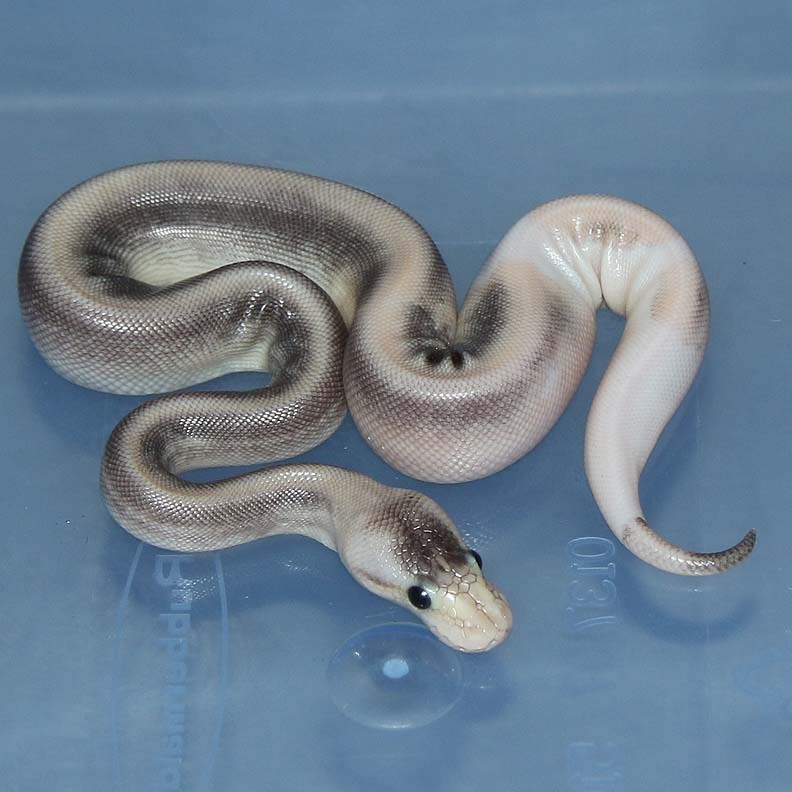 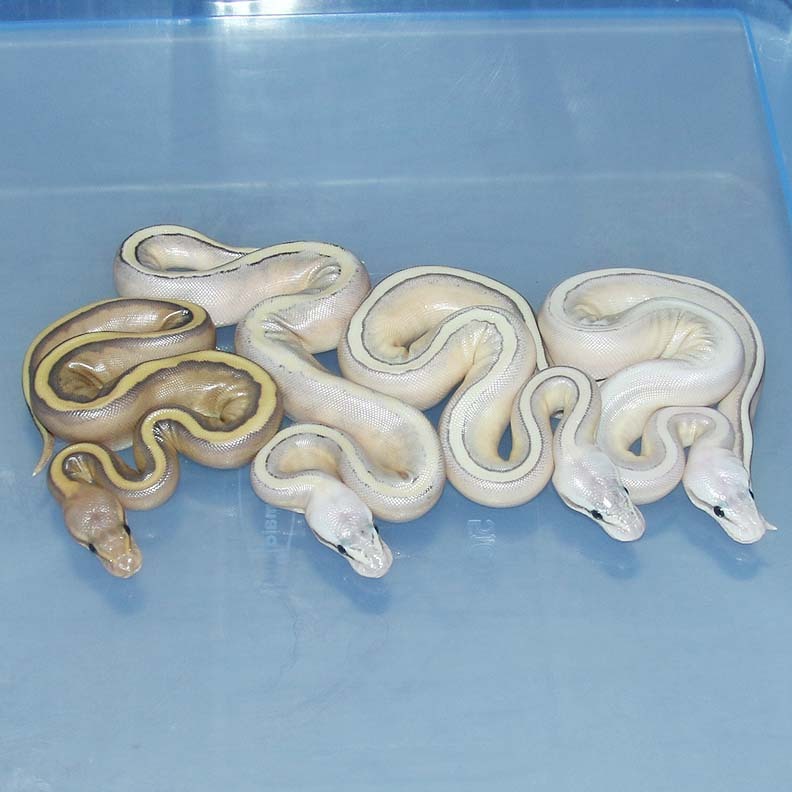 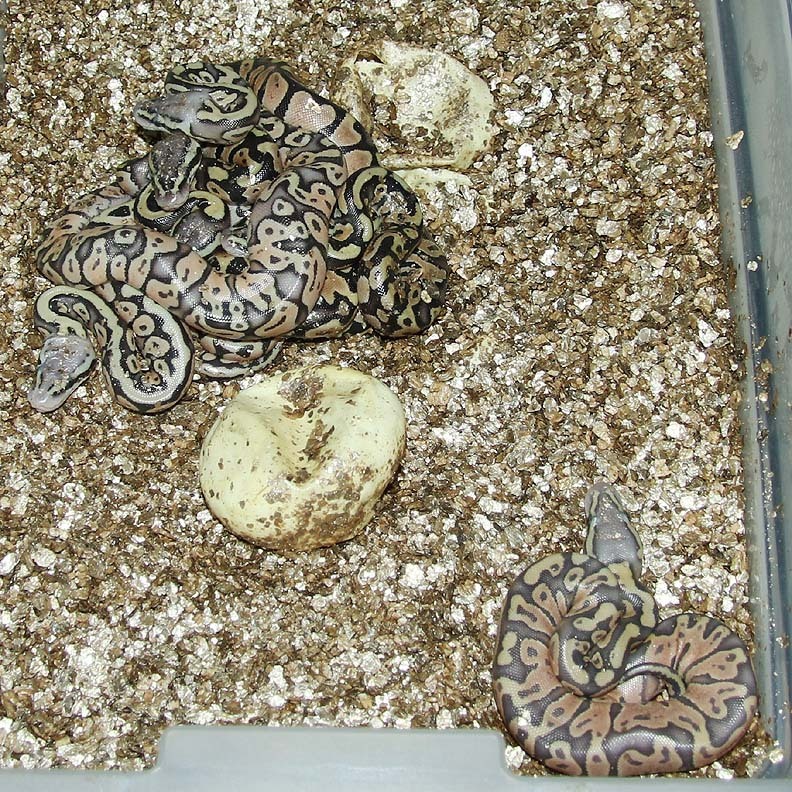 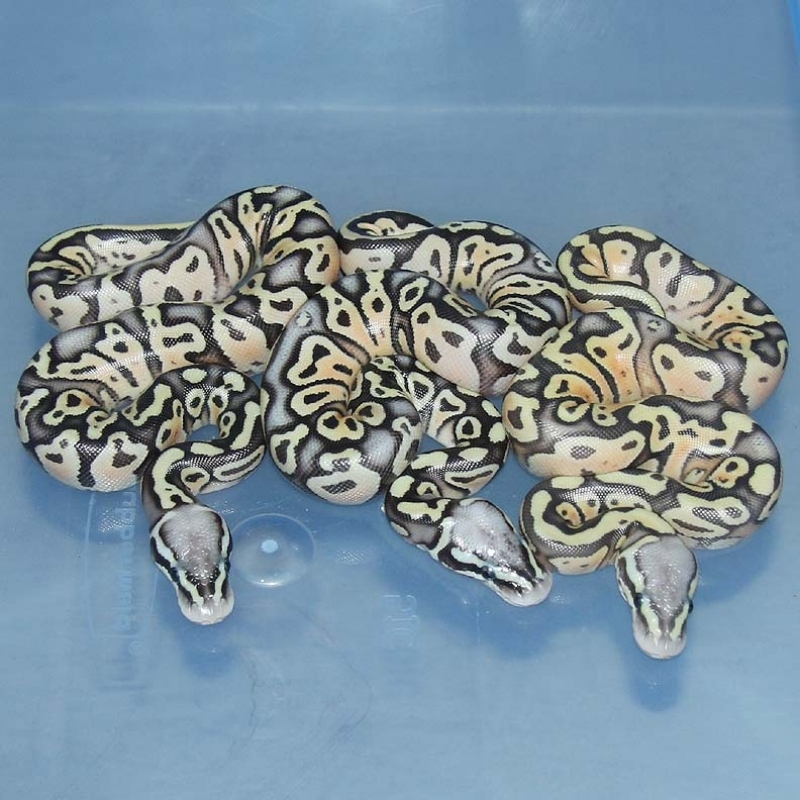 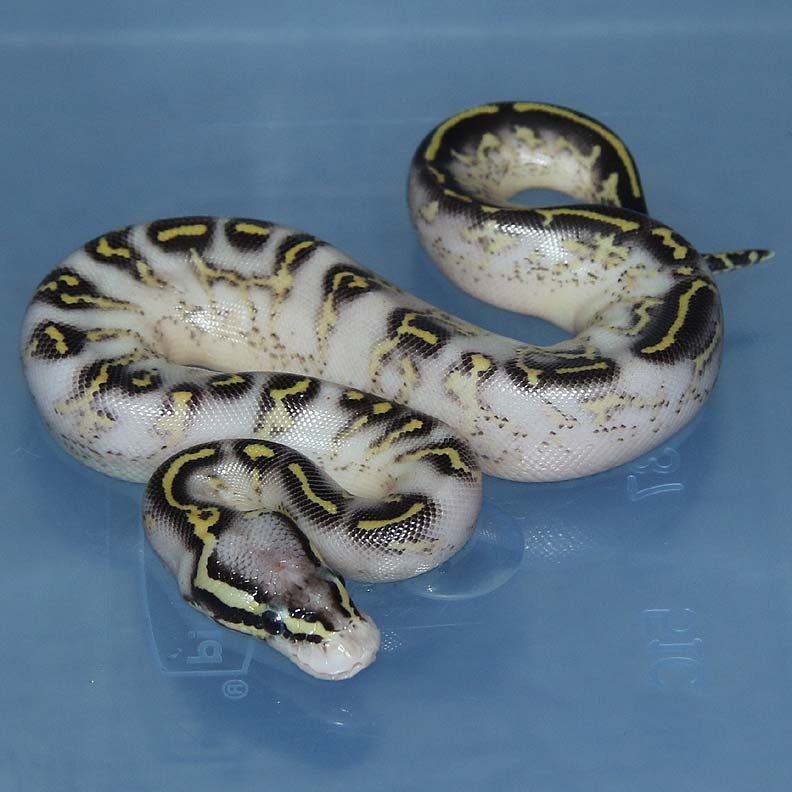 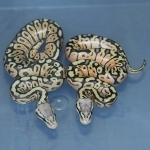 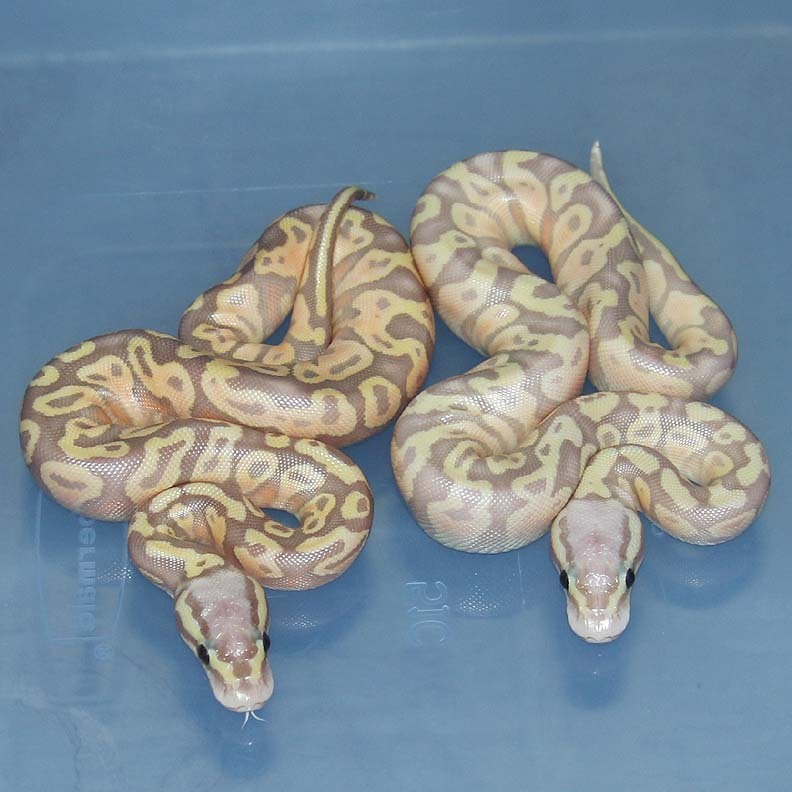 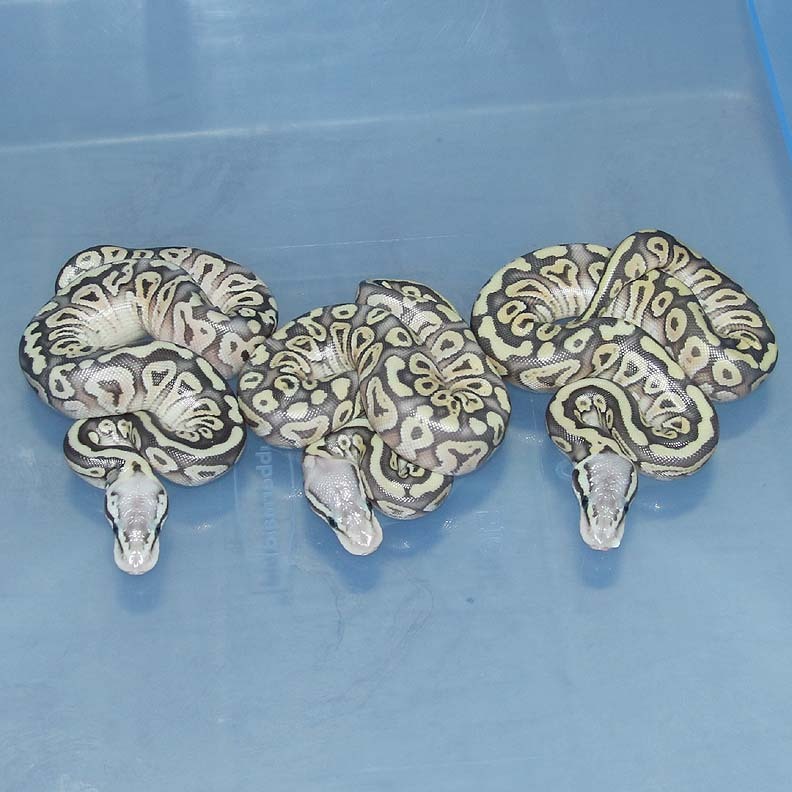 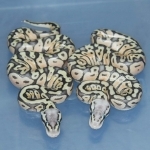 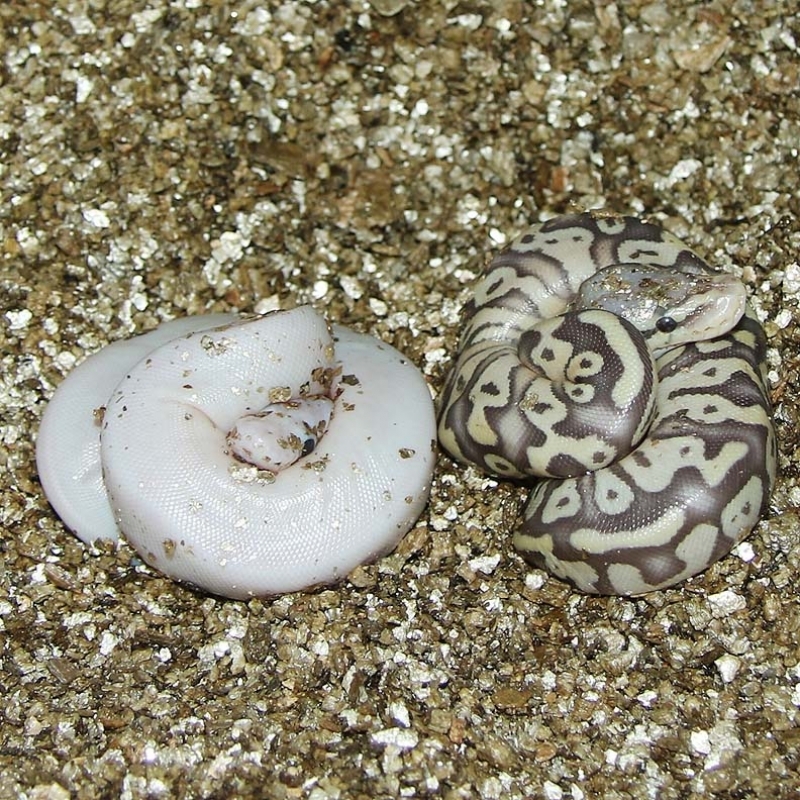 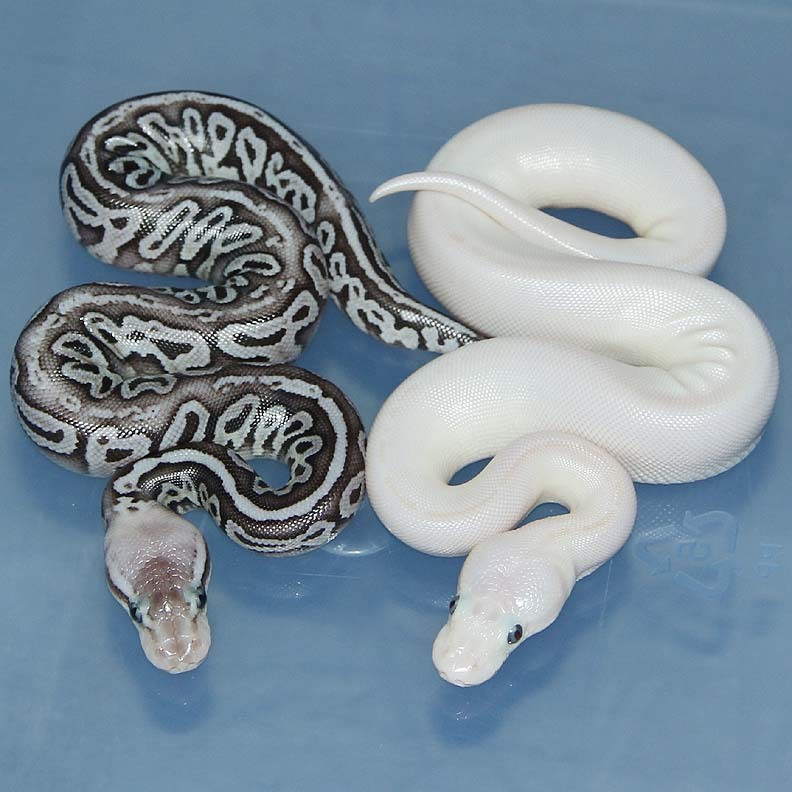 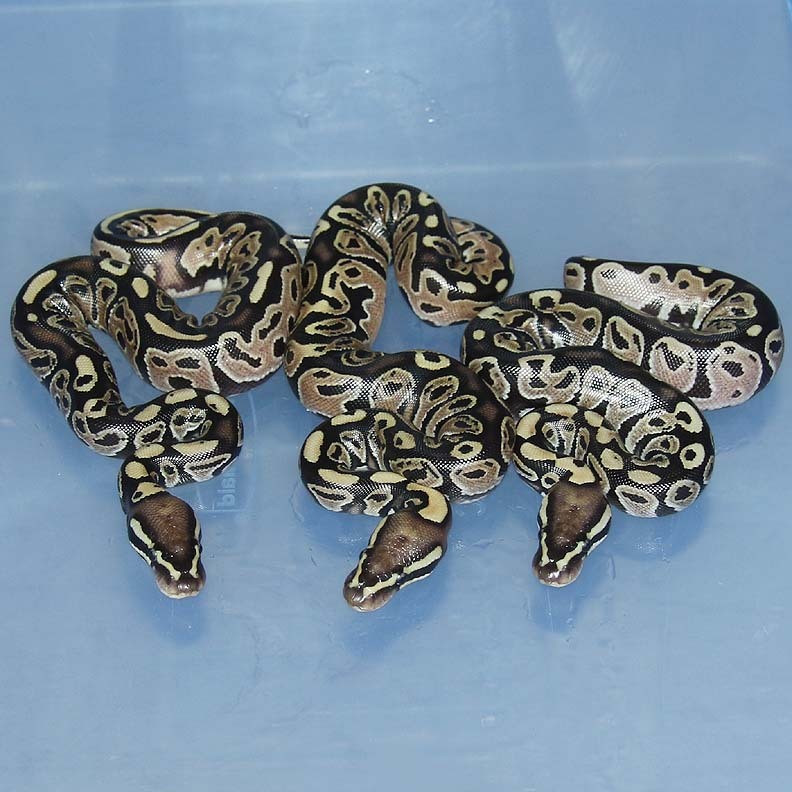 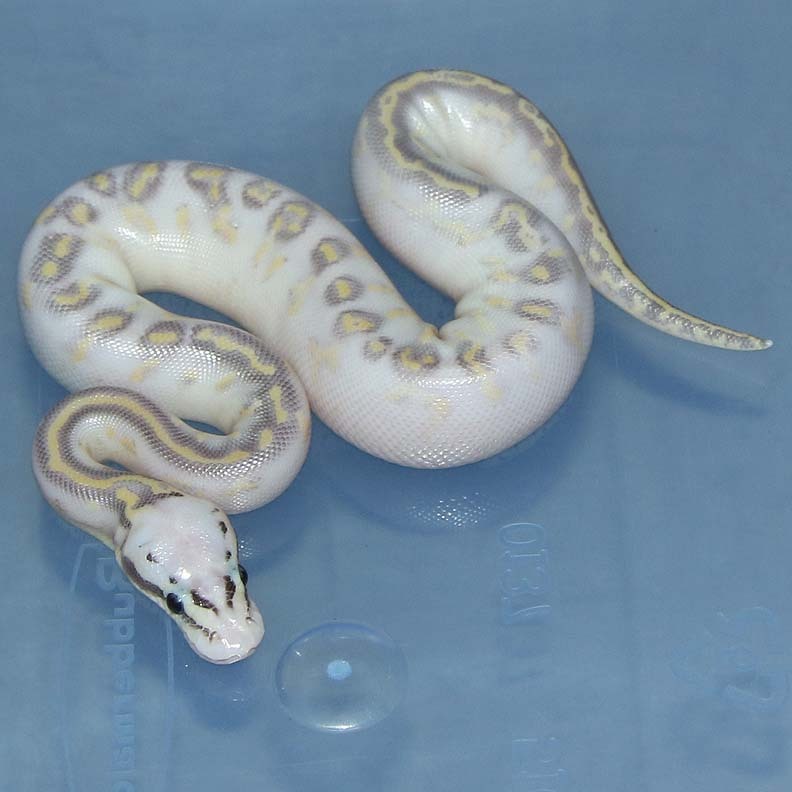 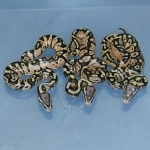 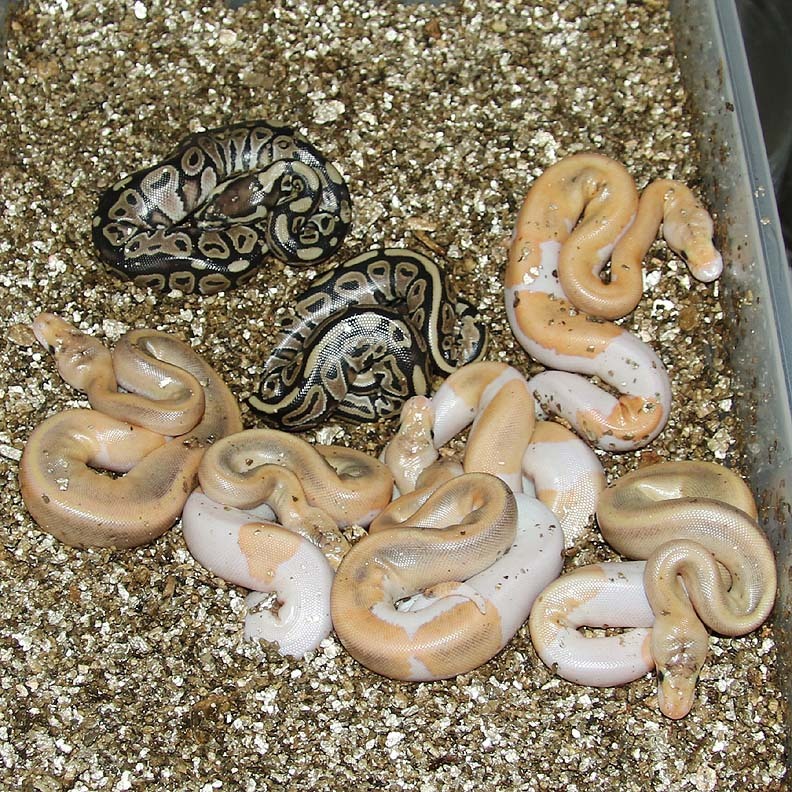 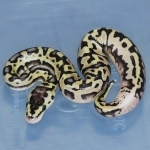 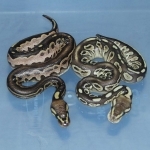 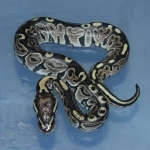 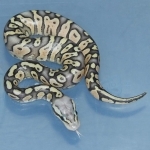 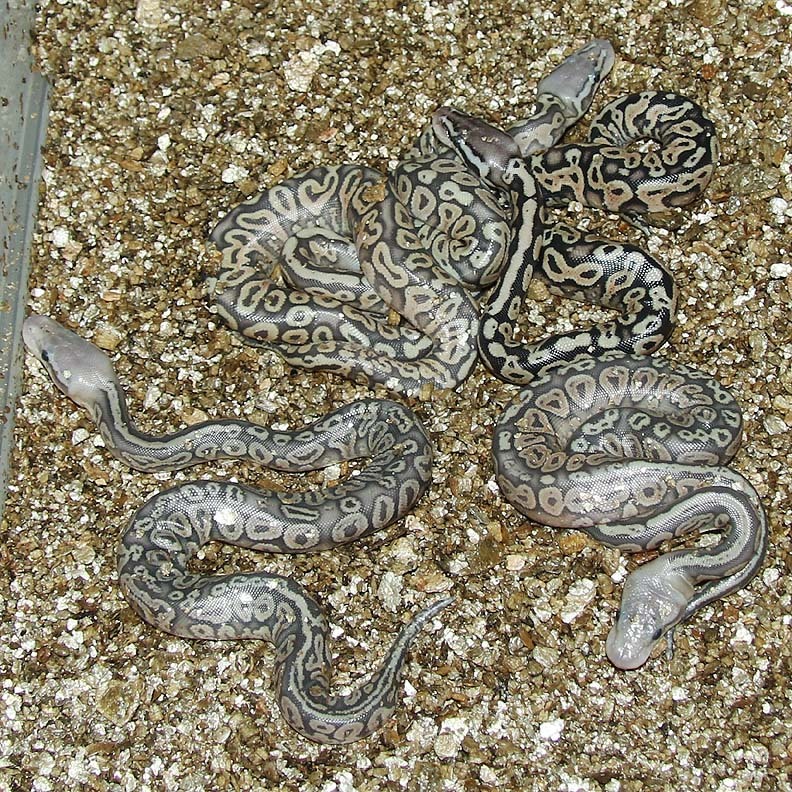 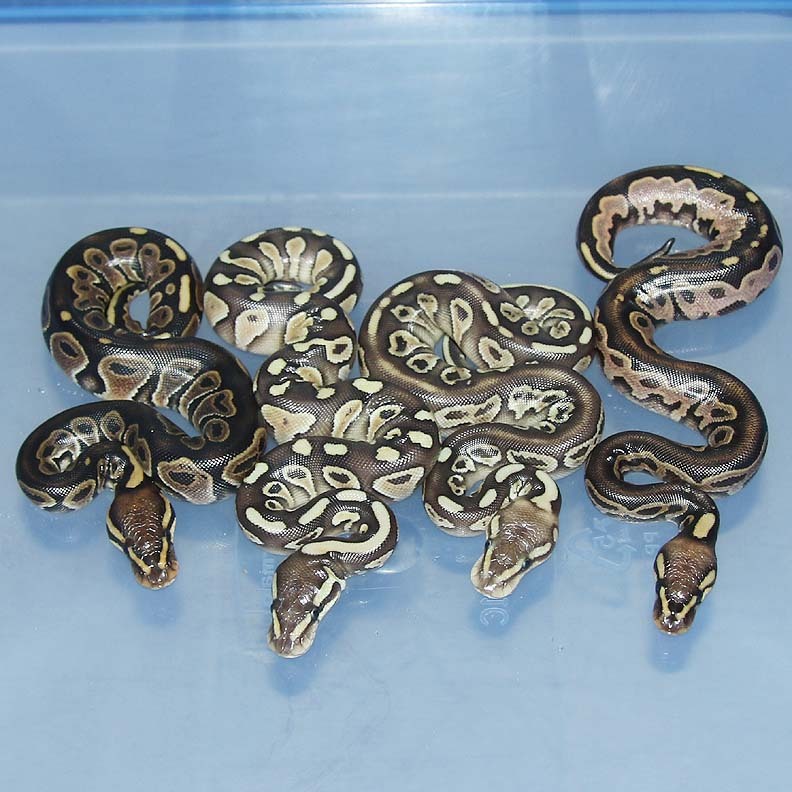 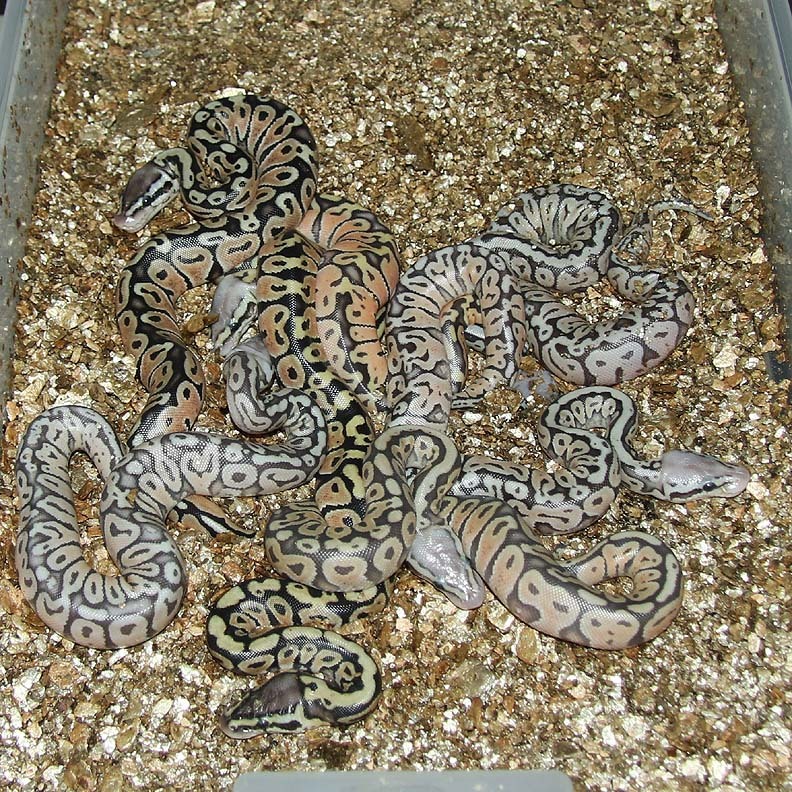 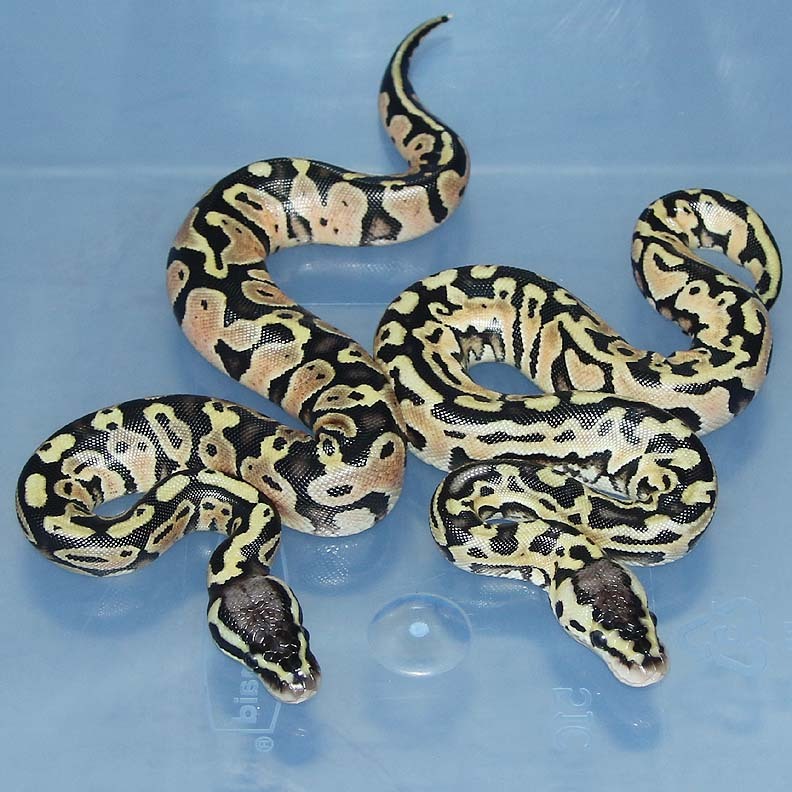 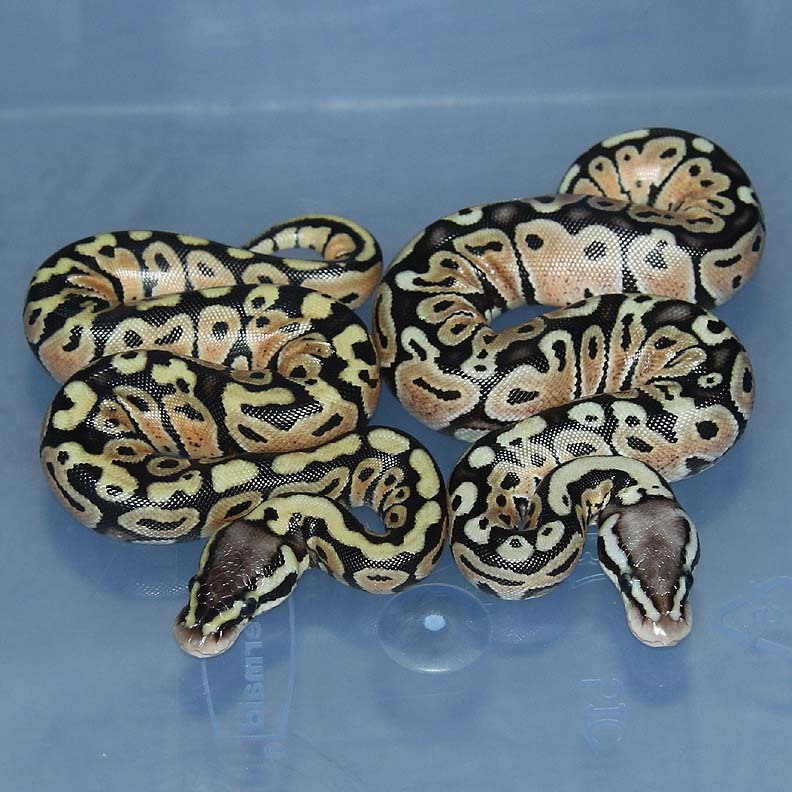 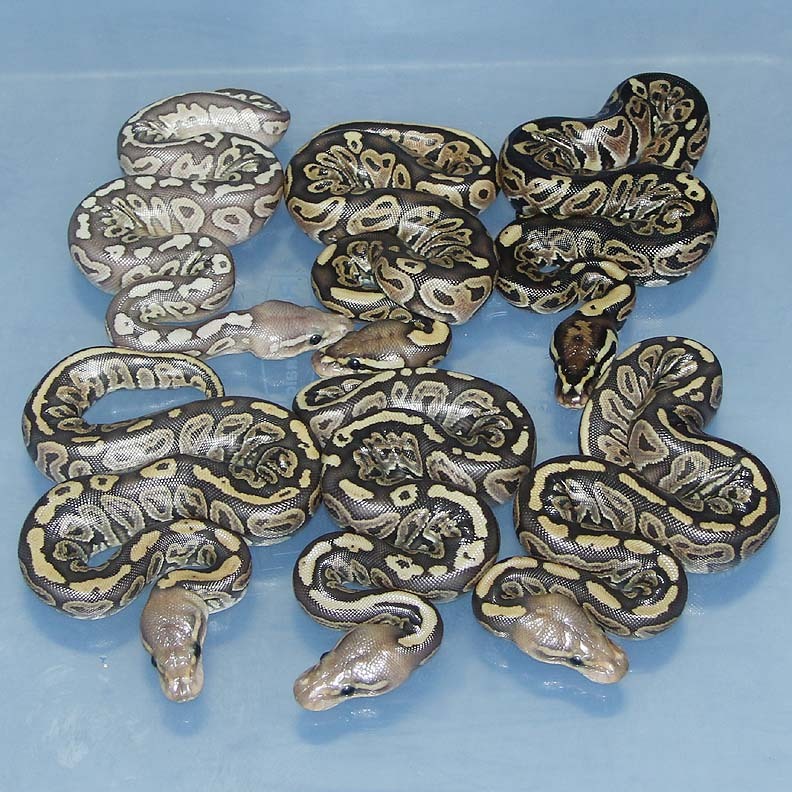 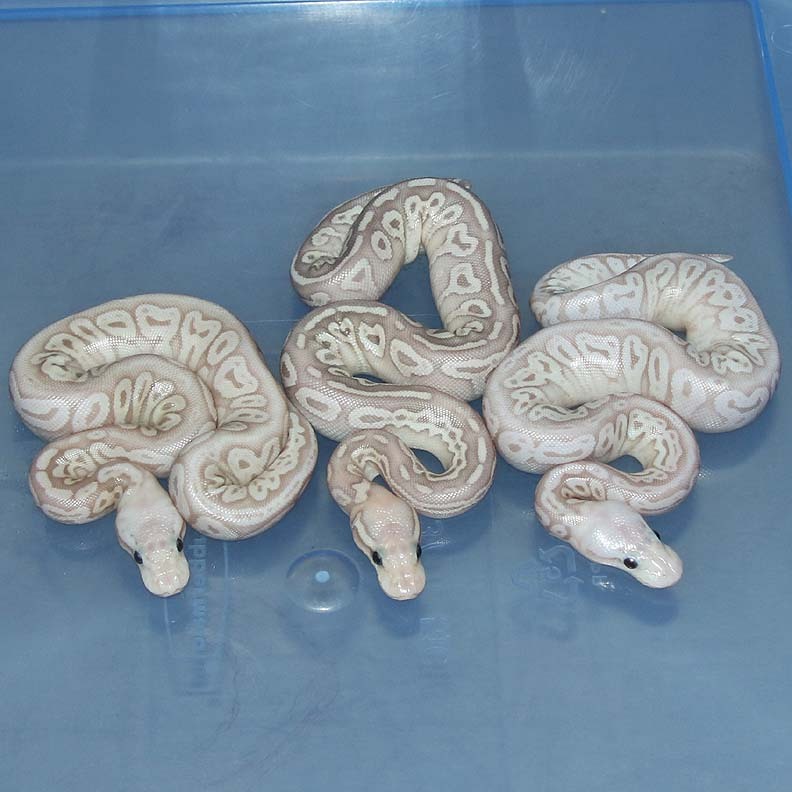 Description: POG Chocolate 1/15 x Pastel Pied PHOG 2/13. If you are interested in animals from clutch #19 please email or call 519-824-7377. 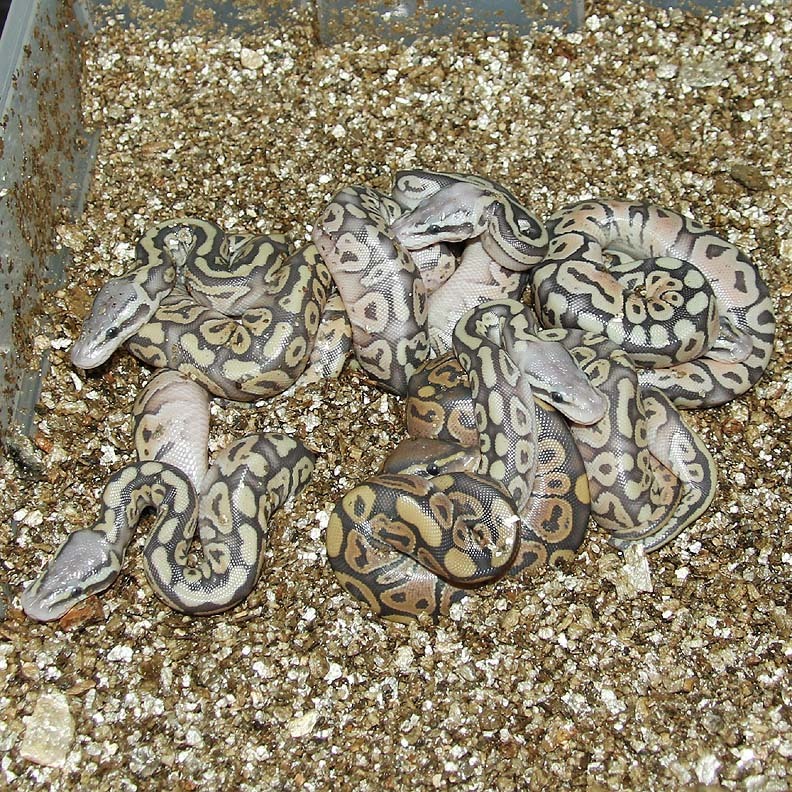 If you are interested in animals from clutch #20 please email or call 519-824-7377. 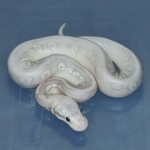 Description: POG Phantom 3/14 x POG (Phantom?) 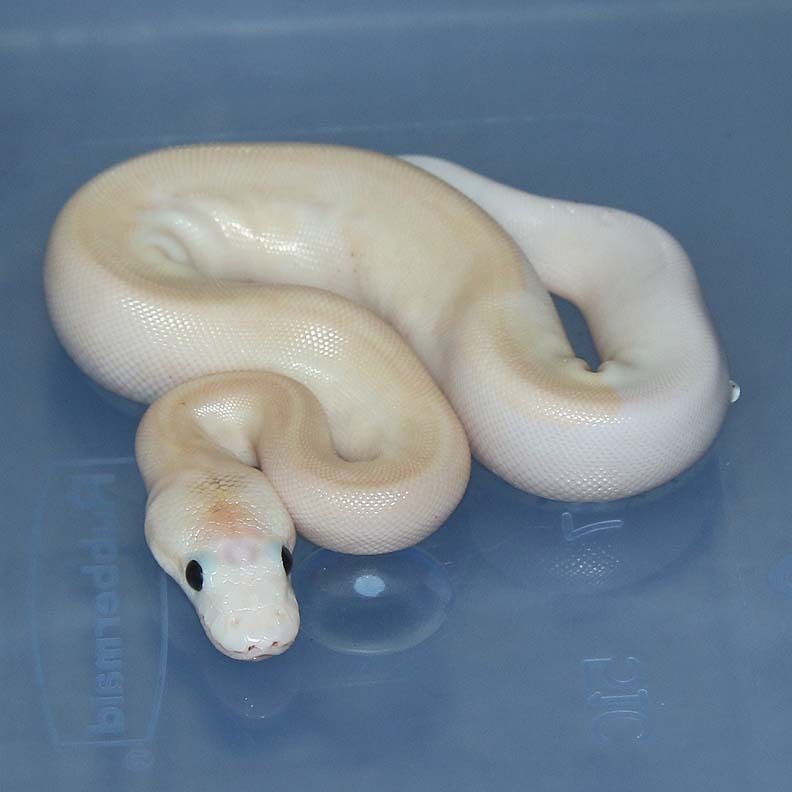 1/14. 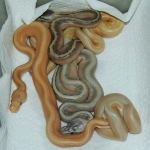 If you are interested in animals from clutch #21 please email or call 519-824-7377. 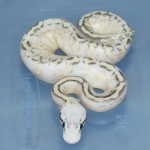 Description: Pastel HRA DH OG/Puzzle 2/14 x SPOG 7/07. 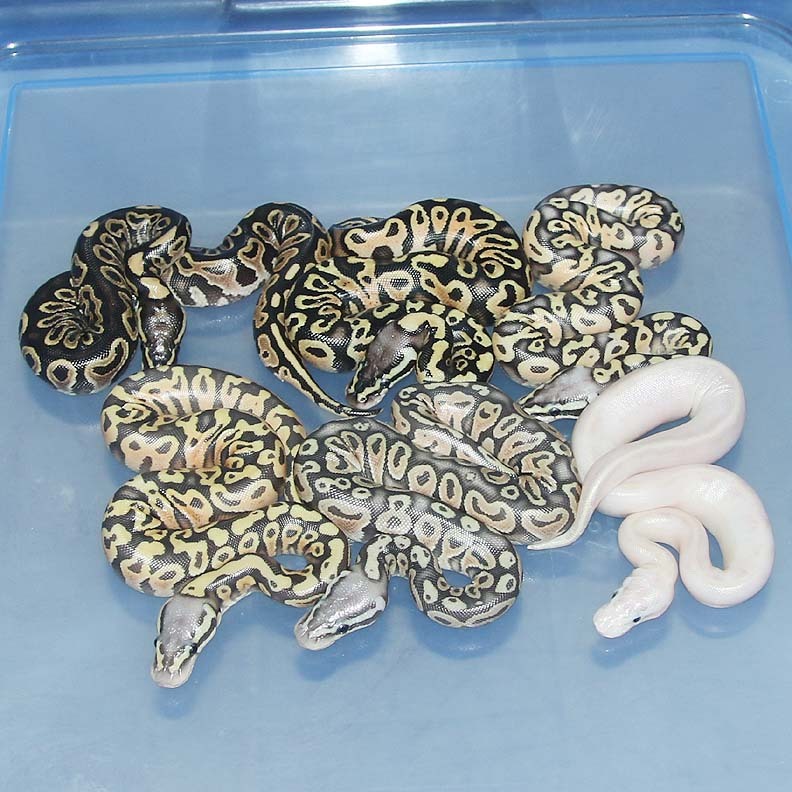 Some of these are Het Puzzle and some are not. Can you tell the difference? 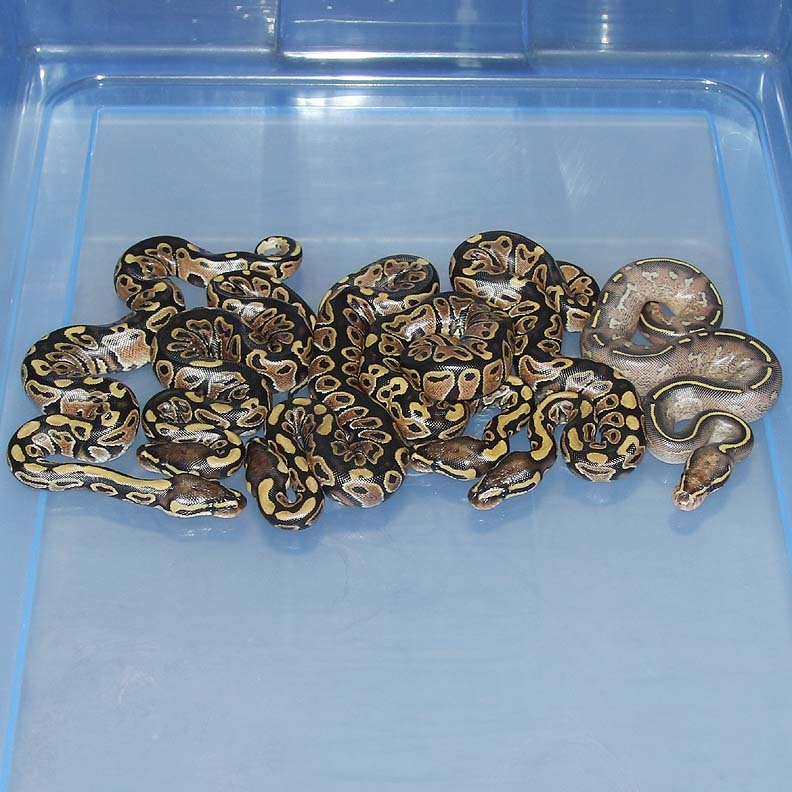 If you are interested in animals from clutch #22 please email or call 519-824-7377. 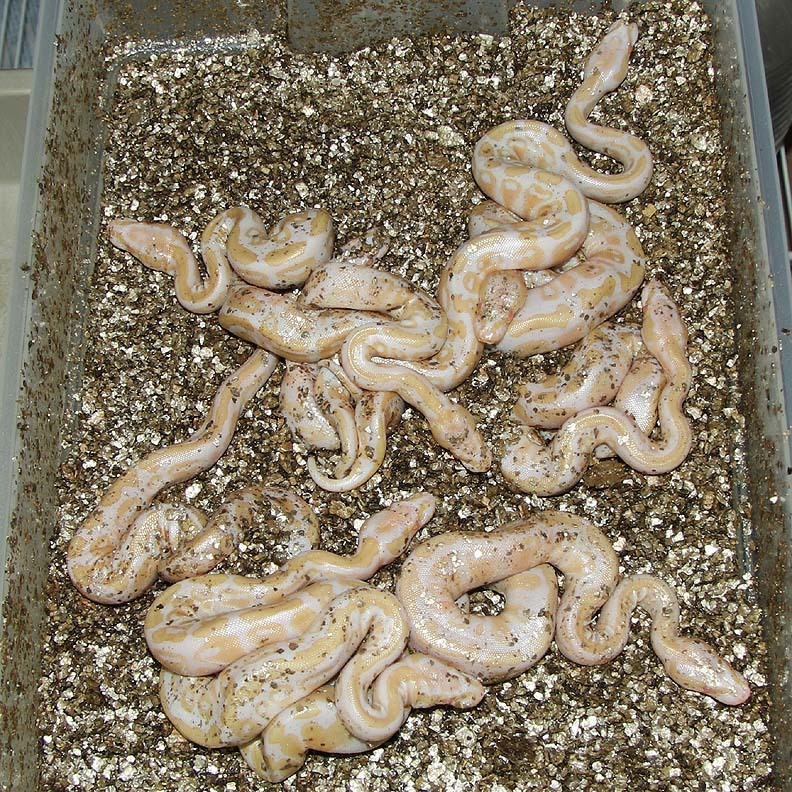 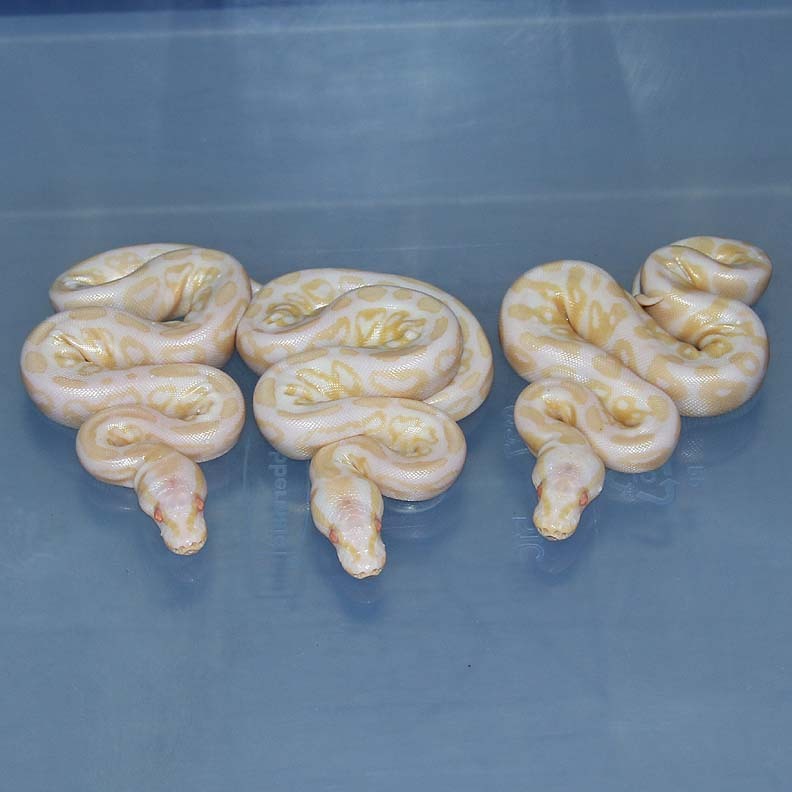 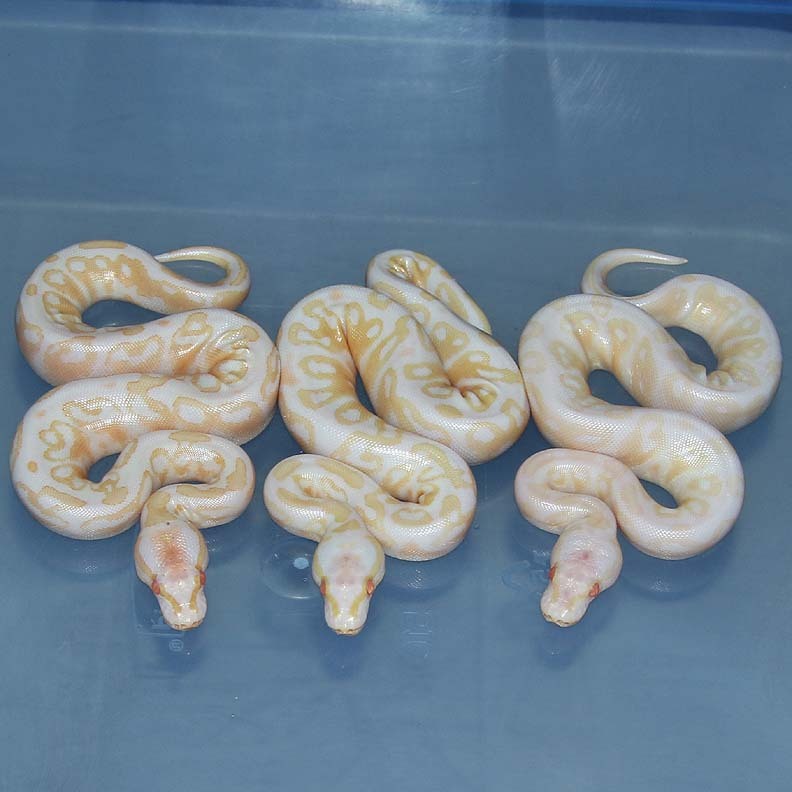 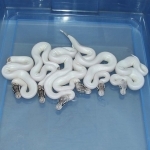 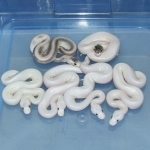 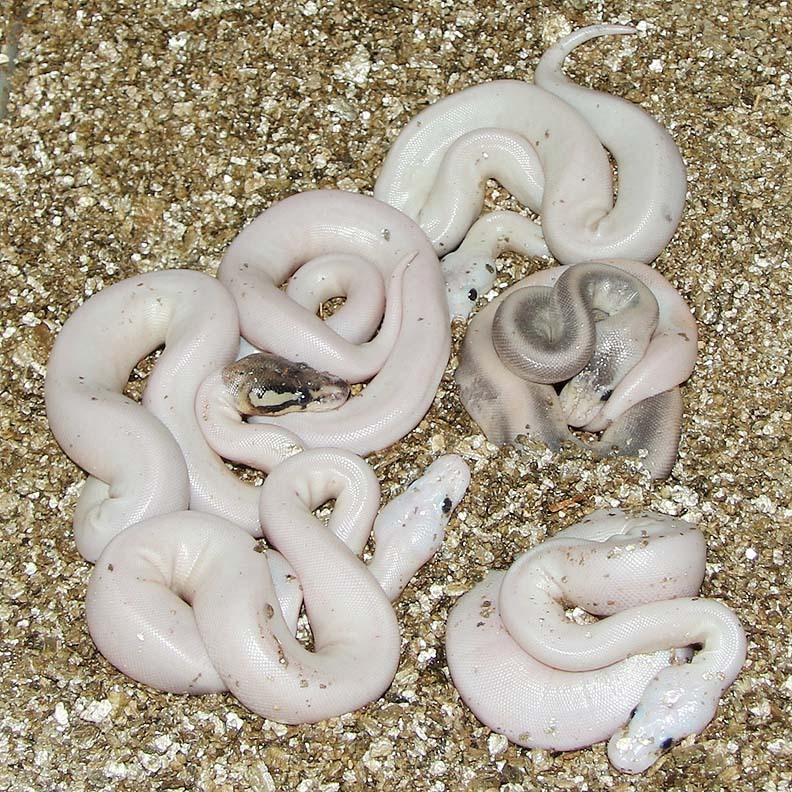 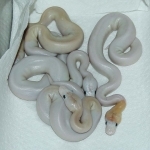 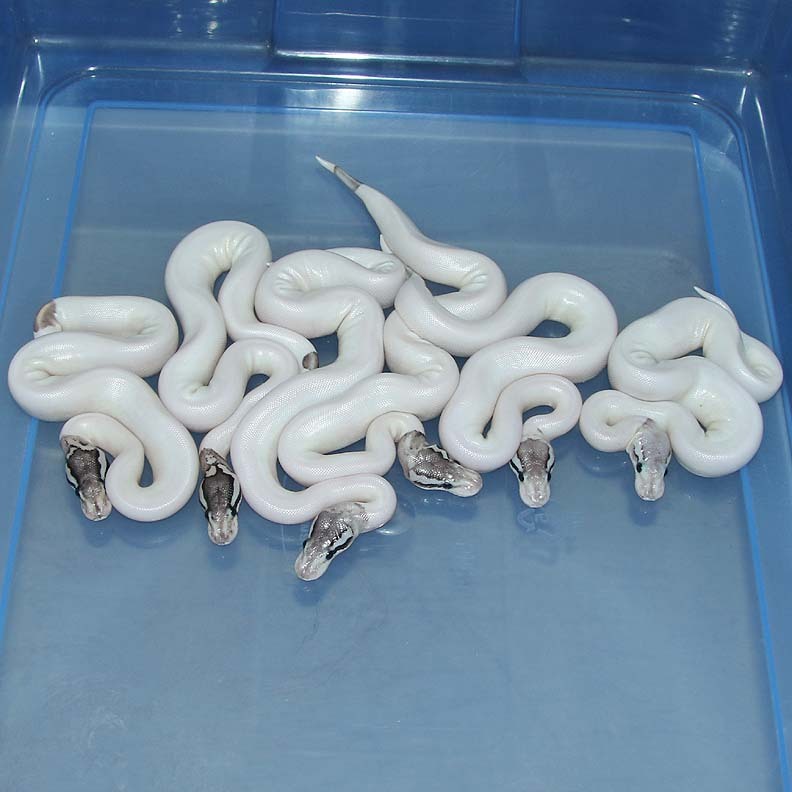 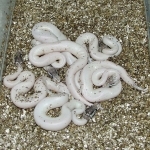 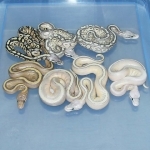 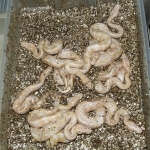 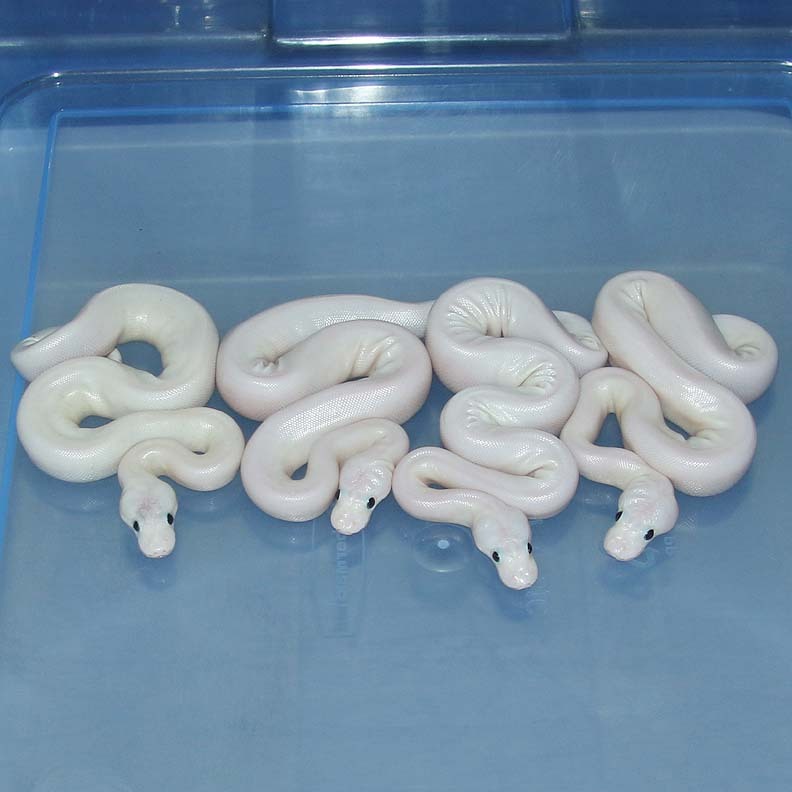 Description: Pastel Gravel HRA Het Albino 2/15 x Asphalt Het Albino 1/14 TC. 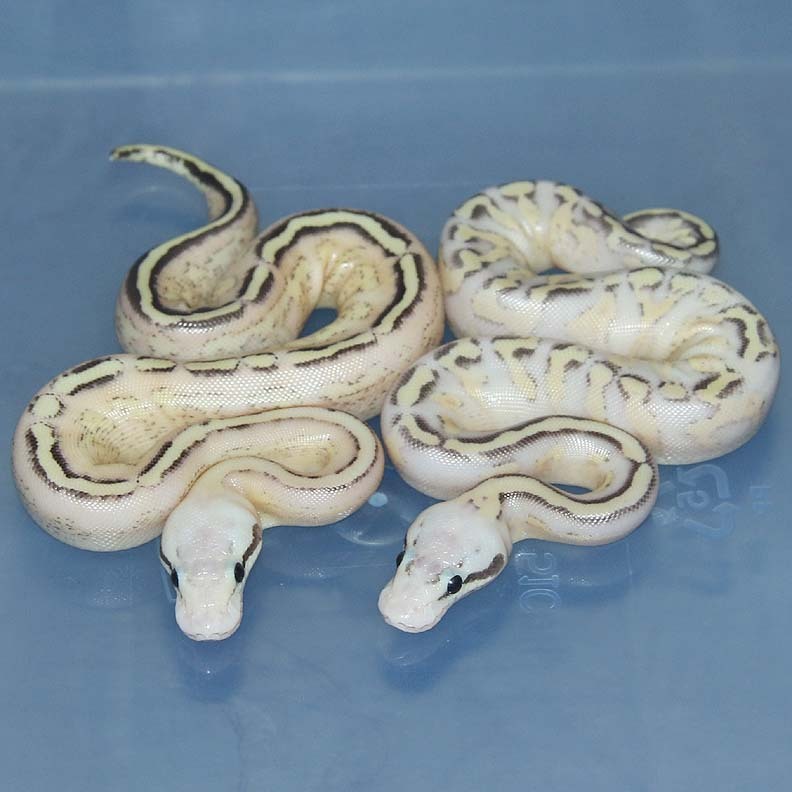 These guys are really nice in person. 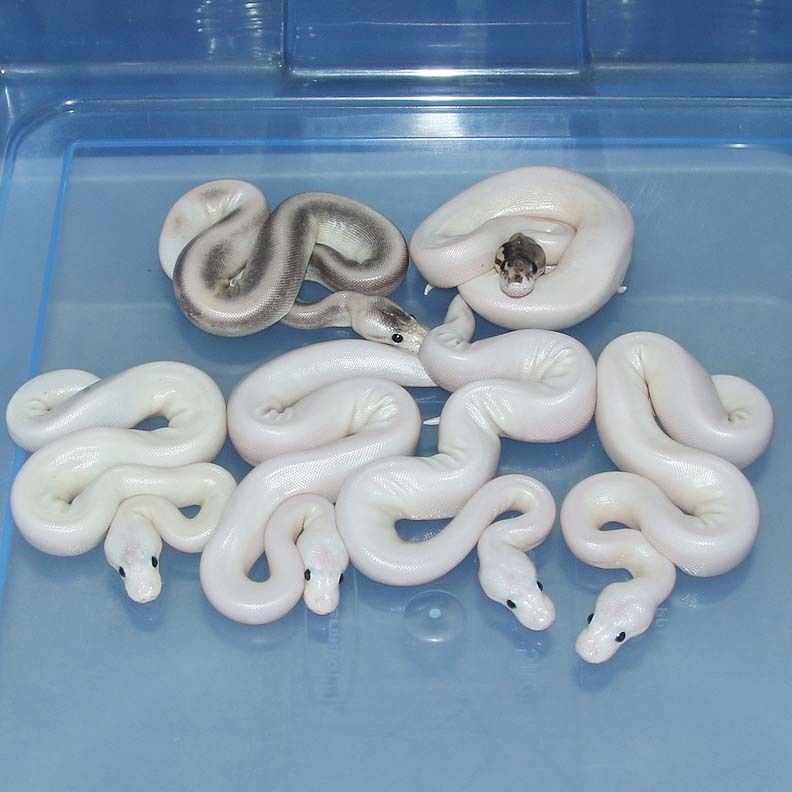 I'll wait a couple months for the albinos to colour up and then take updated pictures. 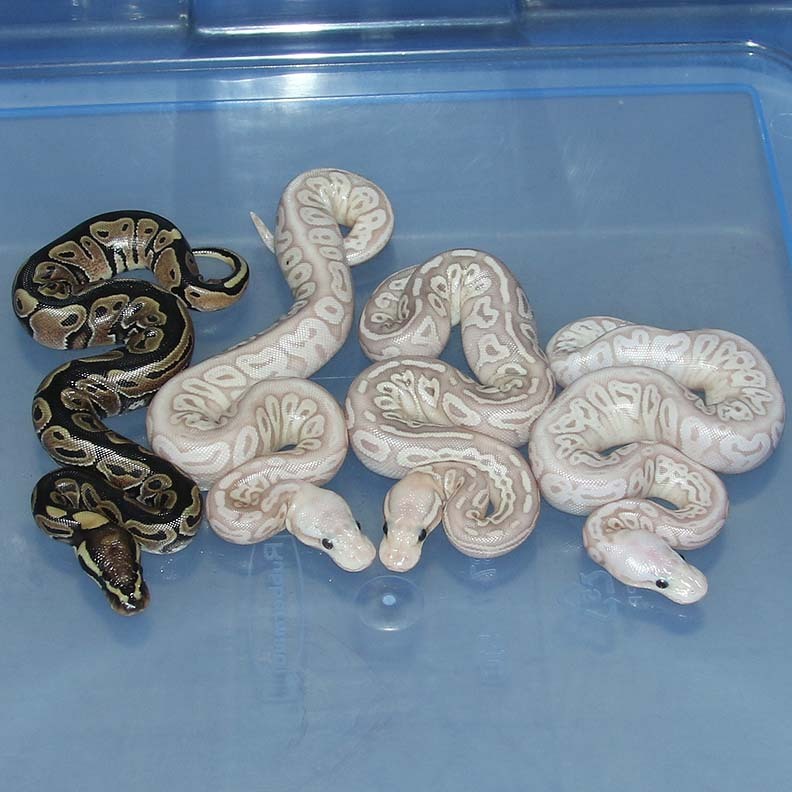 If you are interested in animals from clutch #23 please email or call 519-824-7377. 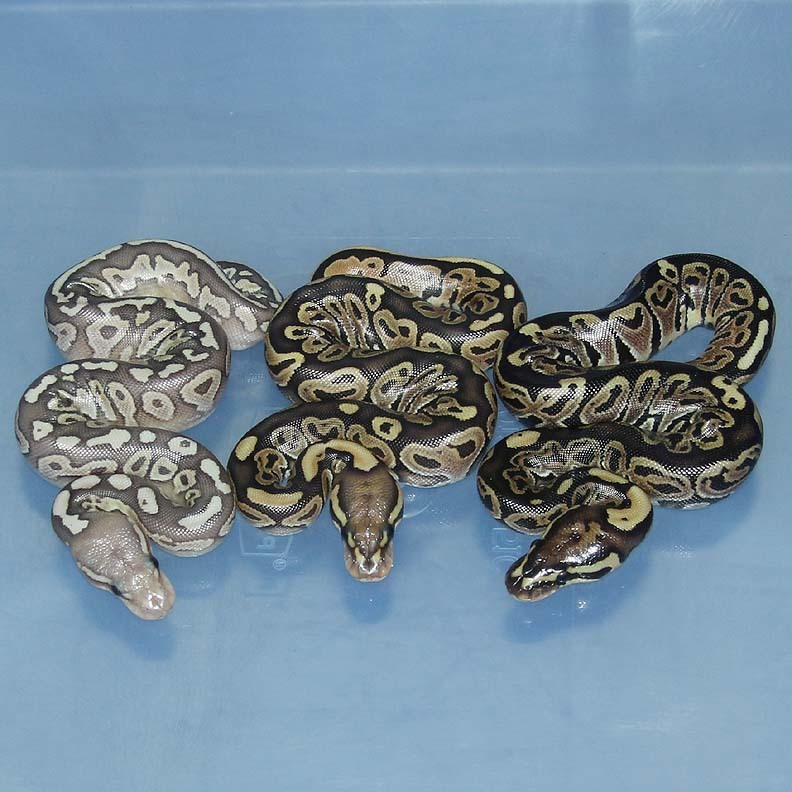 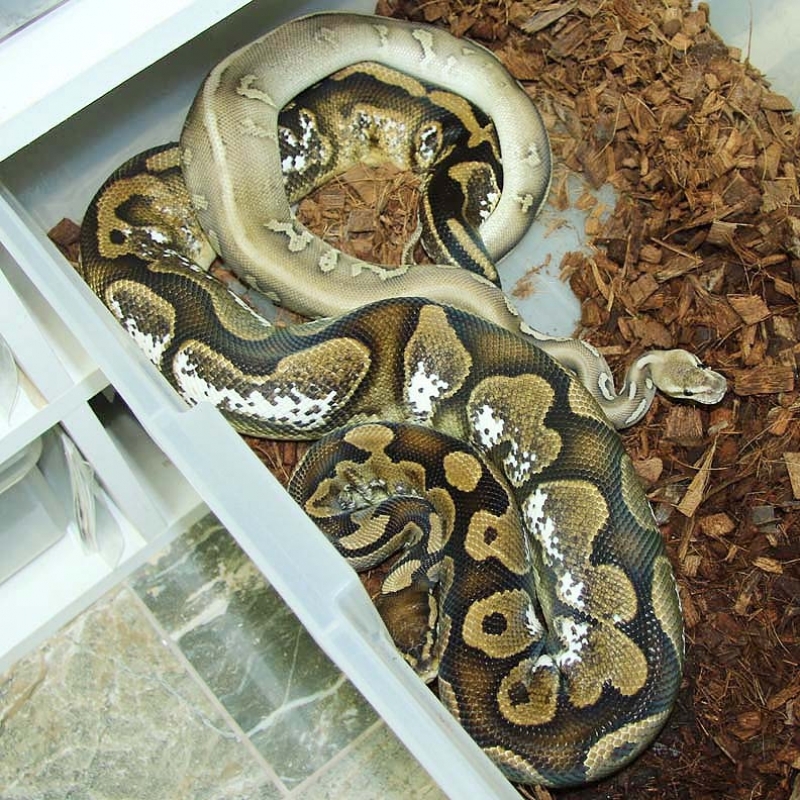 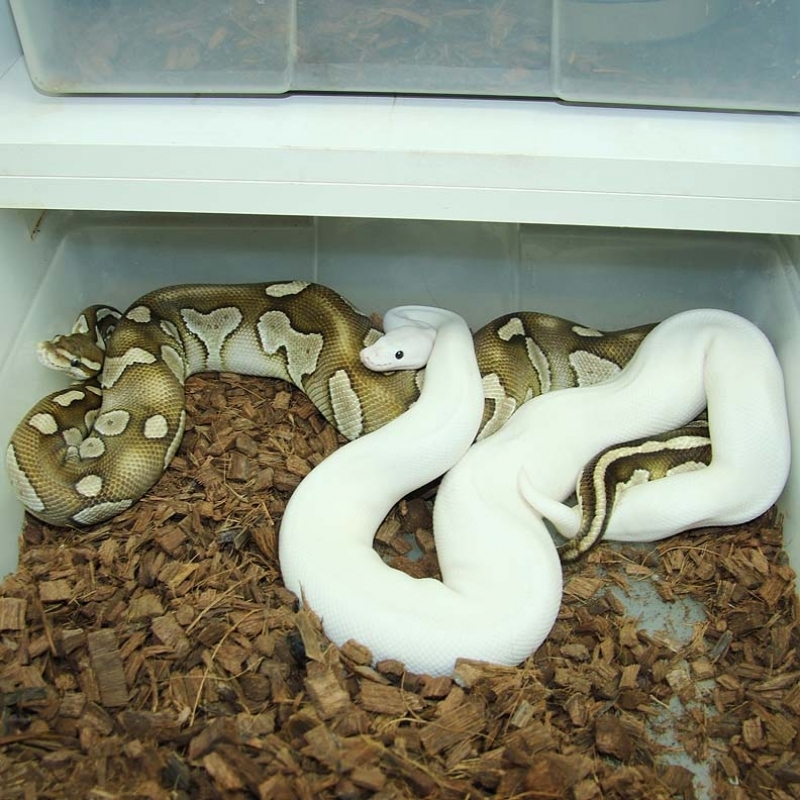 Description: Lesser Mahogany Het Green Ghost 1/15 x Pastel Red Axanthic Green Ghost 1/14. 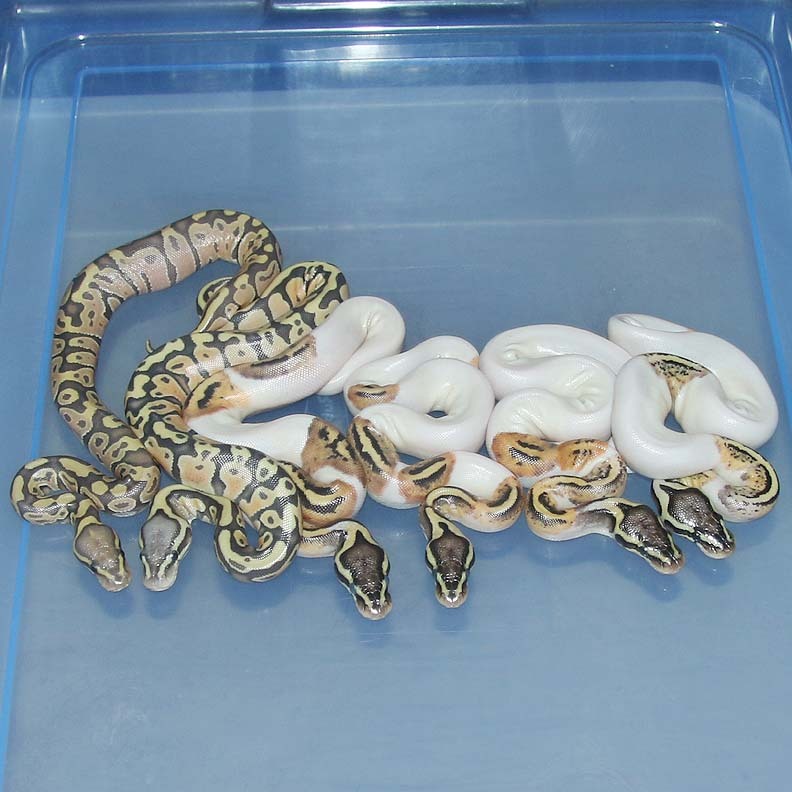 If you are interested in animals from clutch #24 please email or call 519-824-7377. 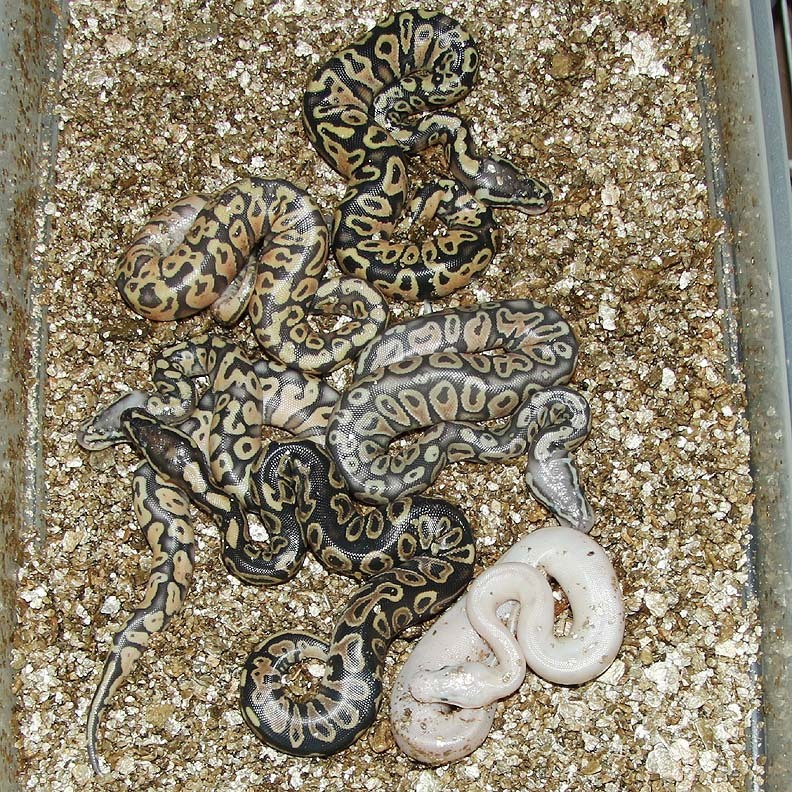 If you are interested in animals from clutch #25 please email or call 519-824-7377. 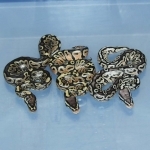 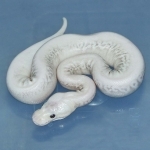 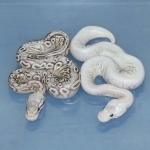 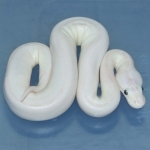 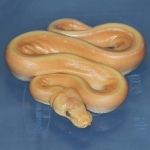 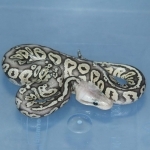 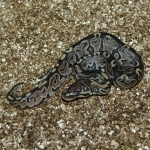 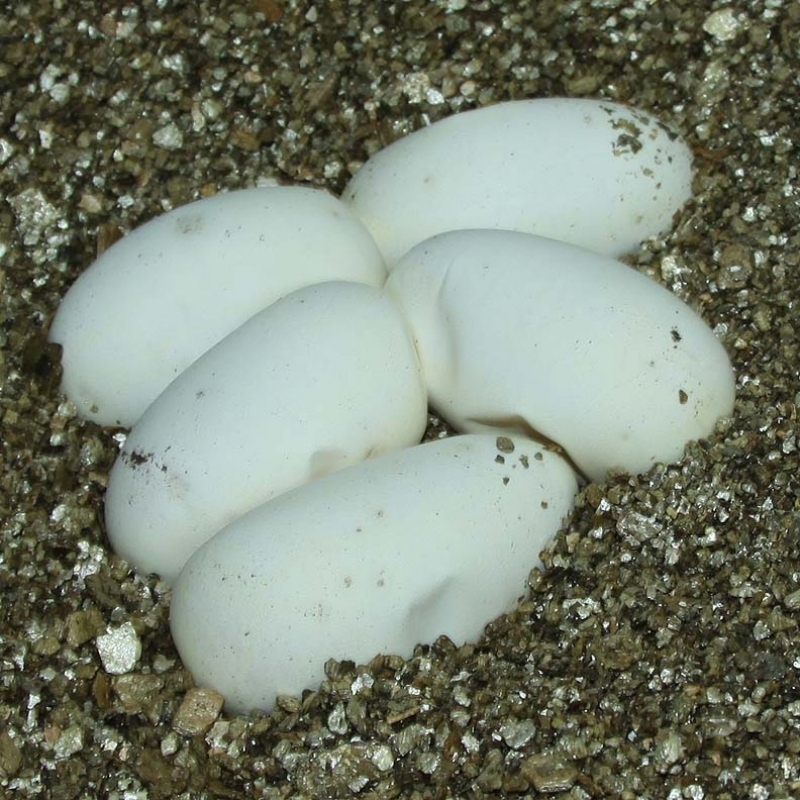 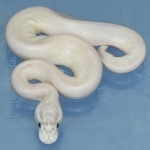 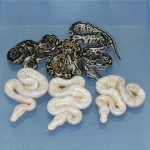 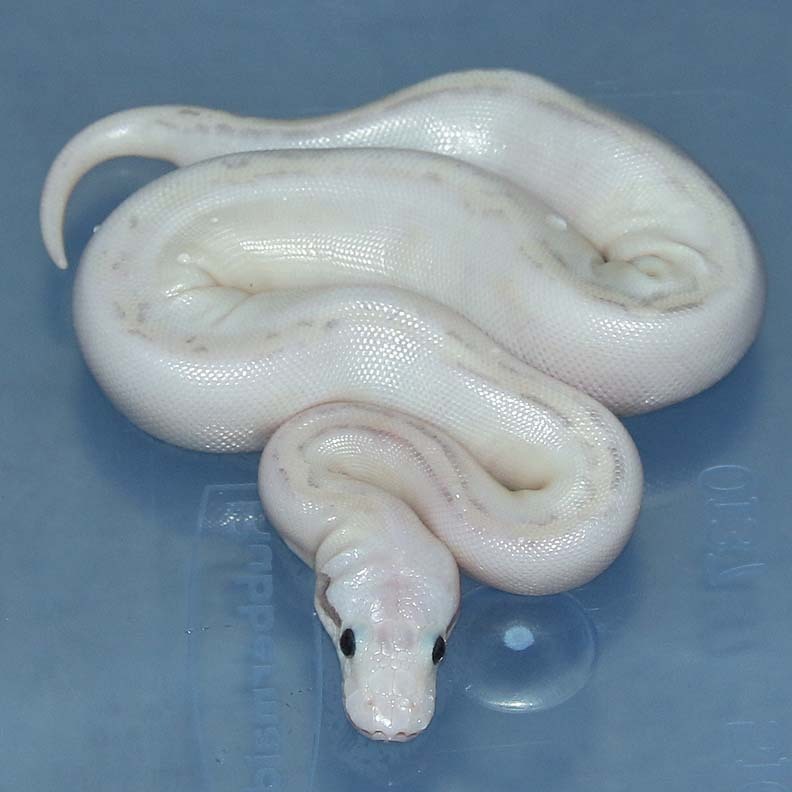 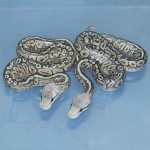 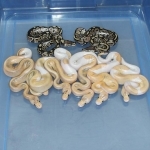 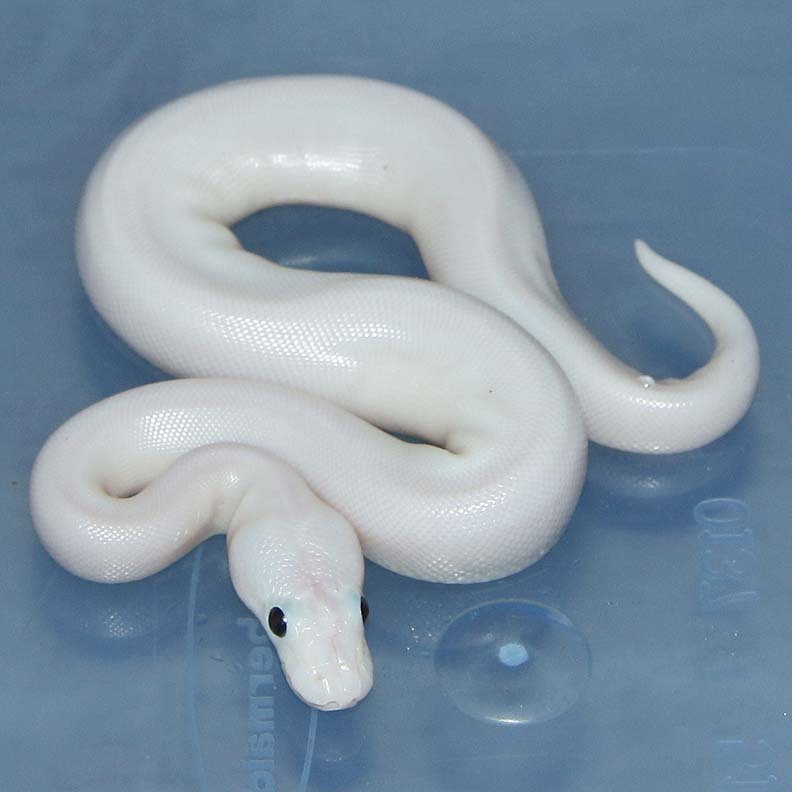 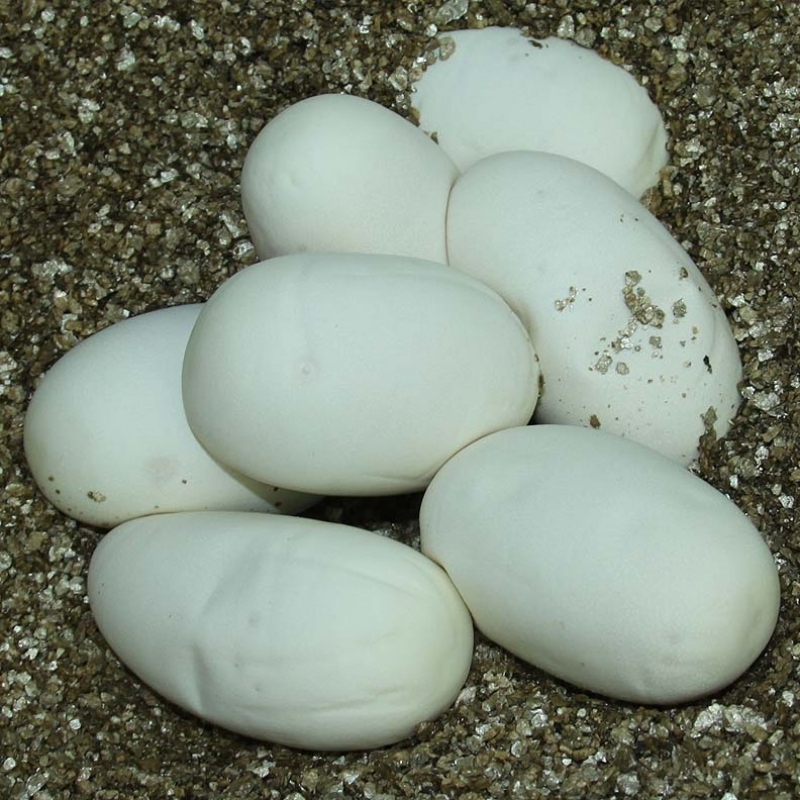 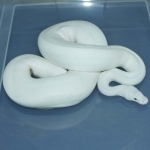 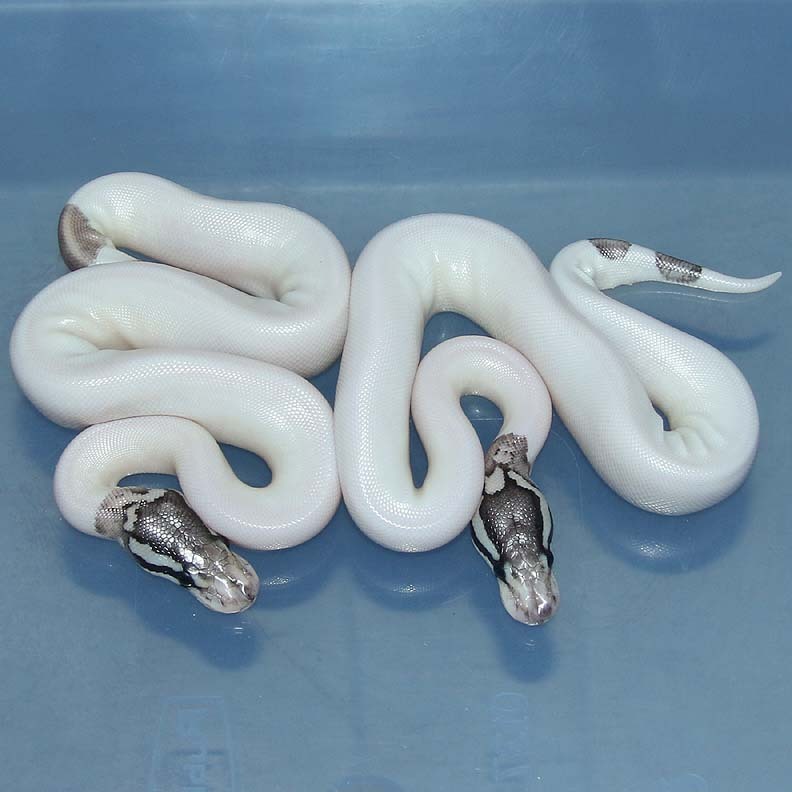 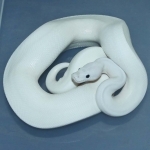 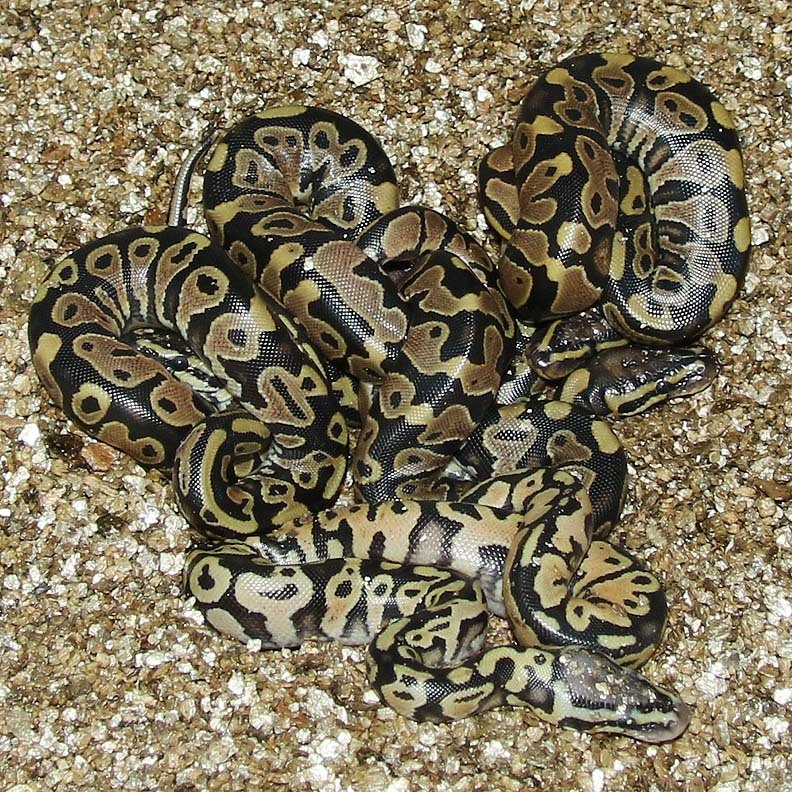 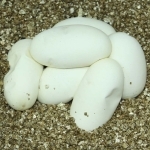 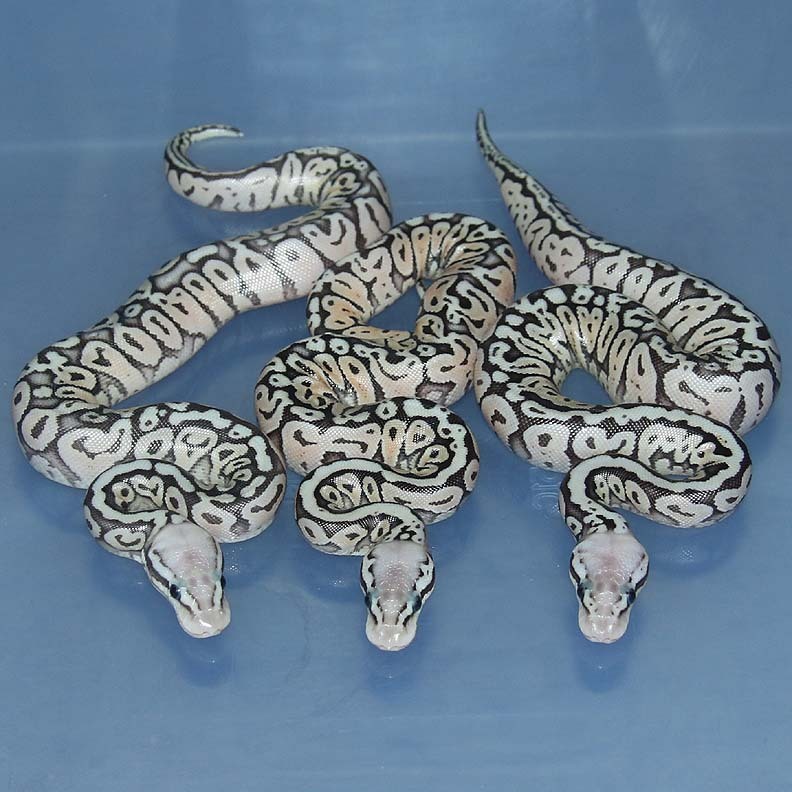 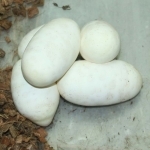 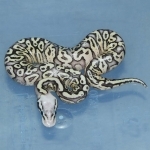 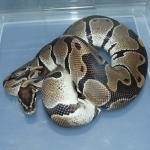 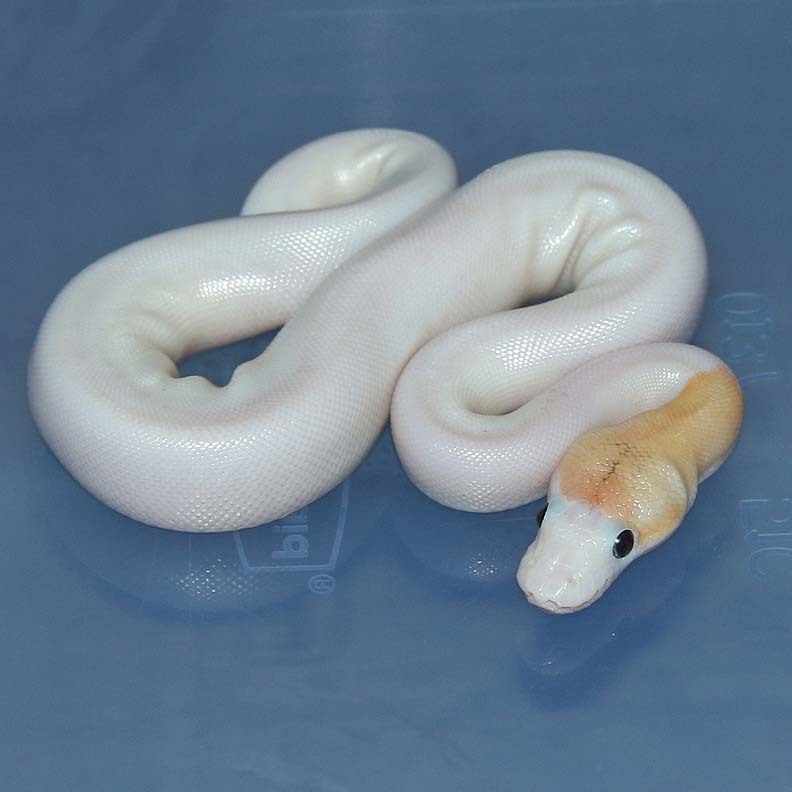 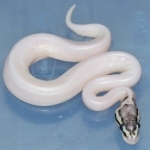 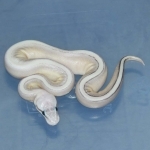 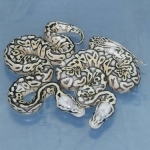 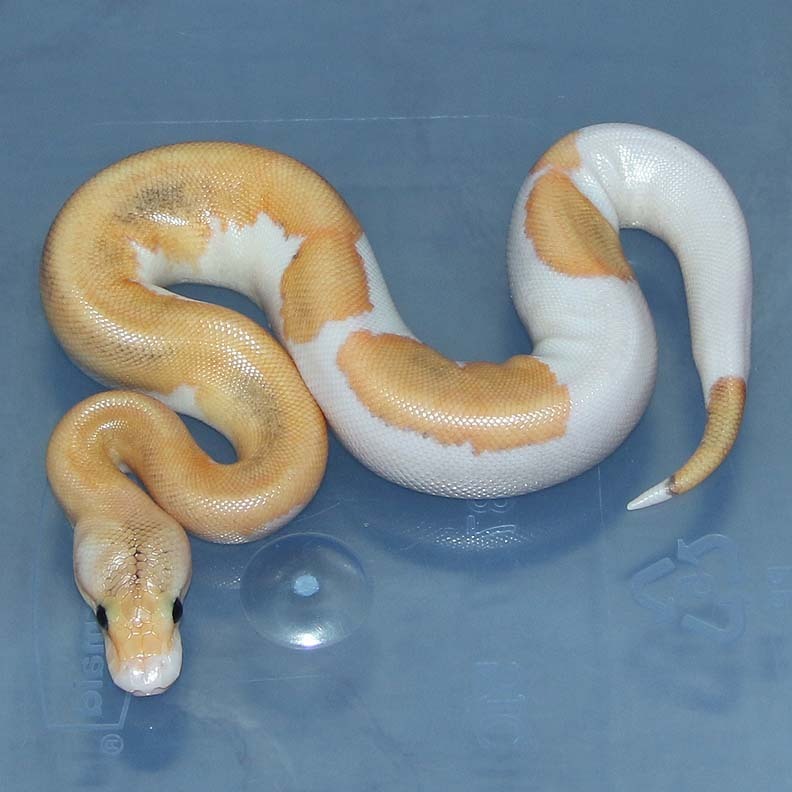 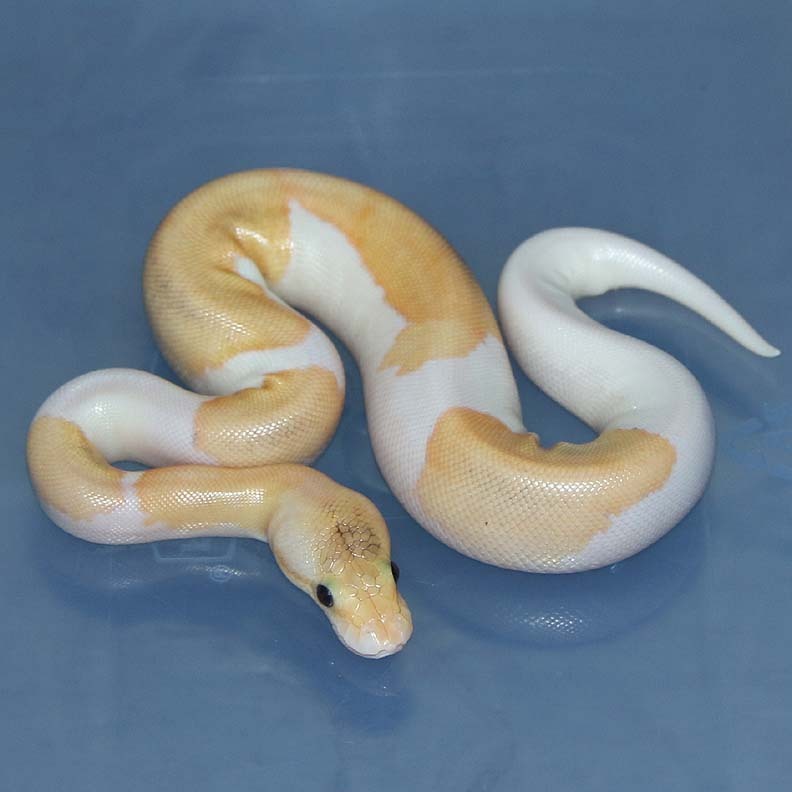 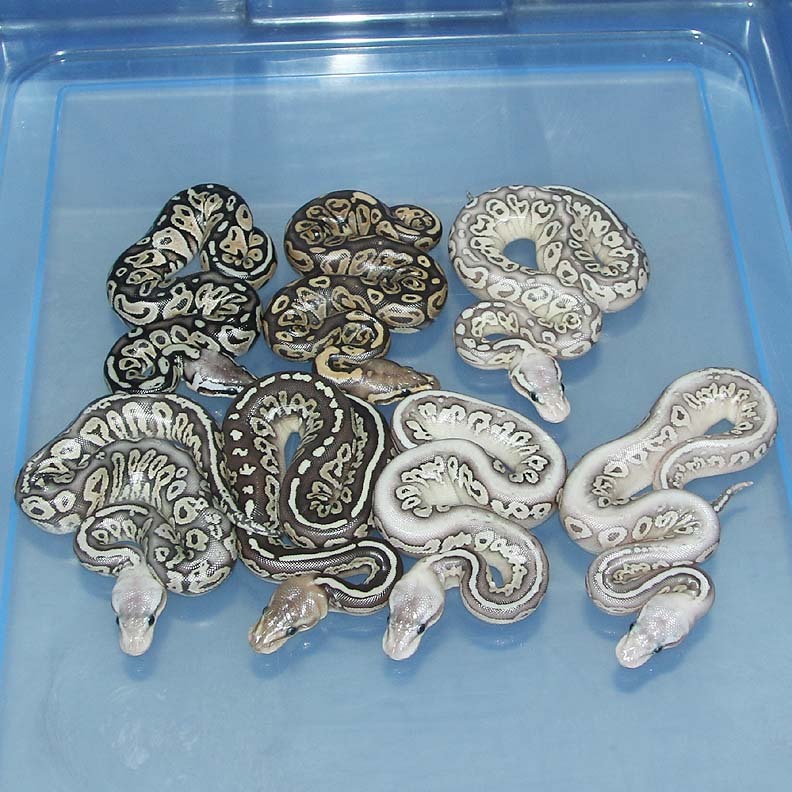 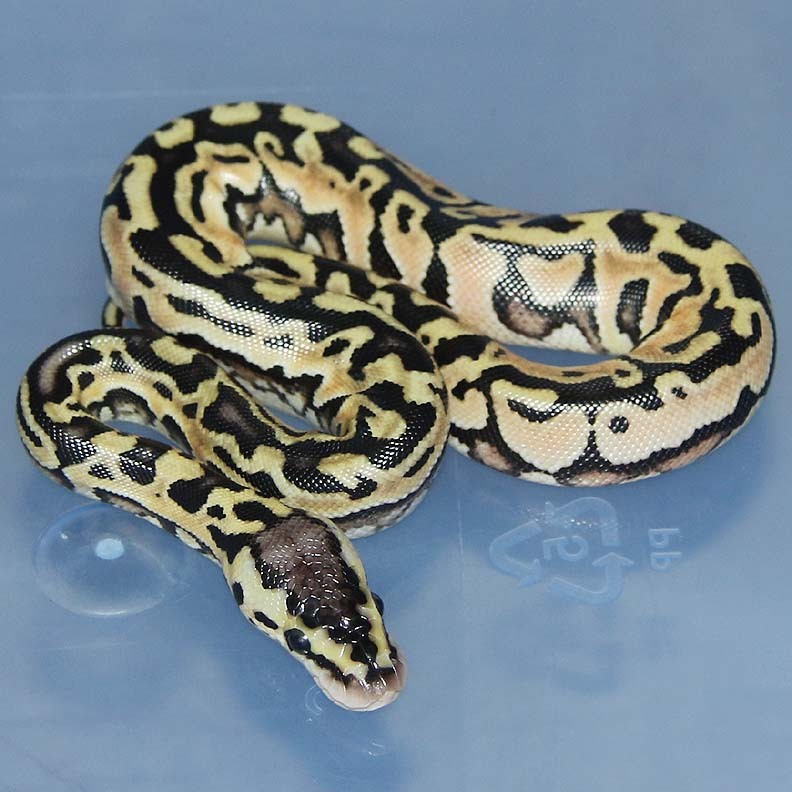 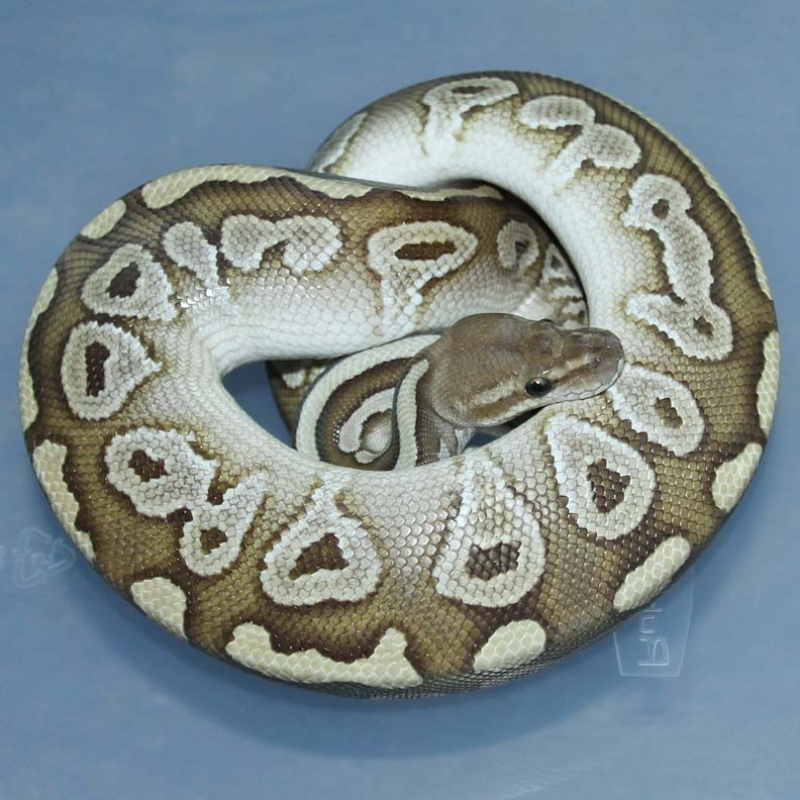 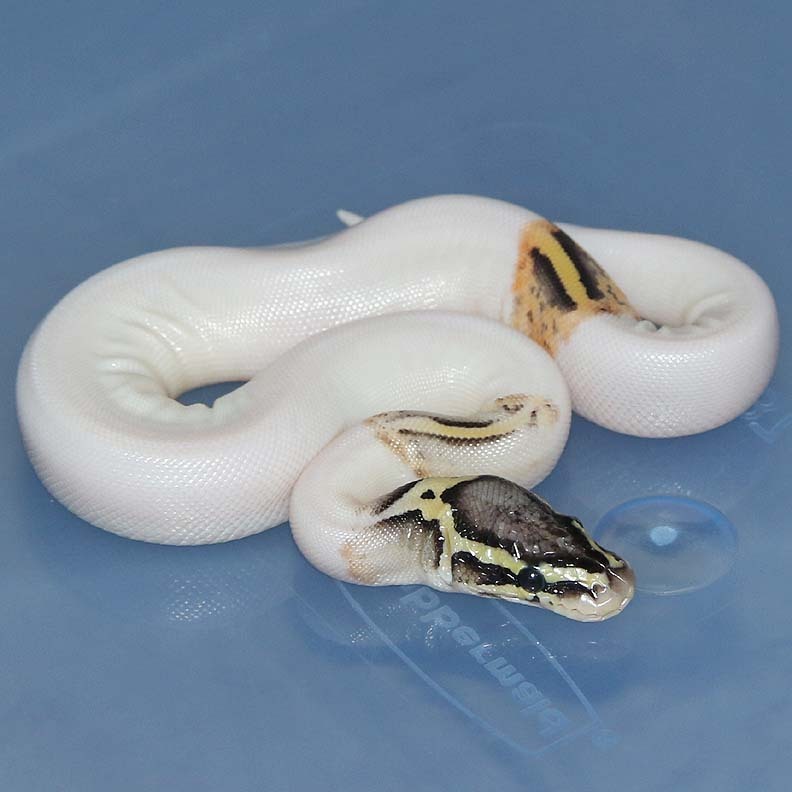 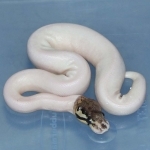 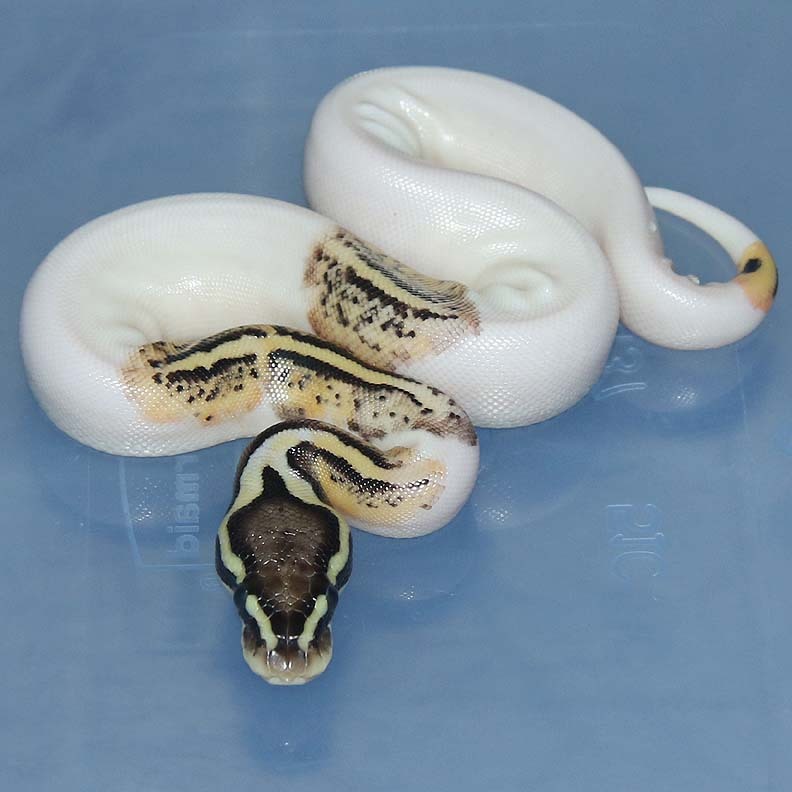 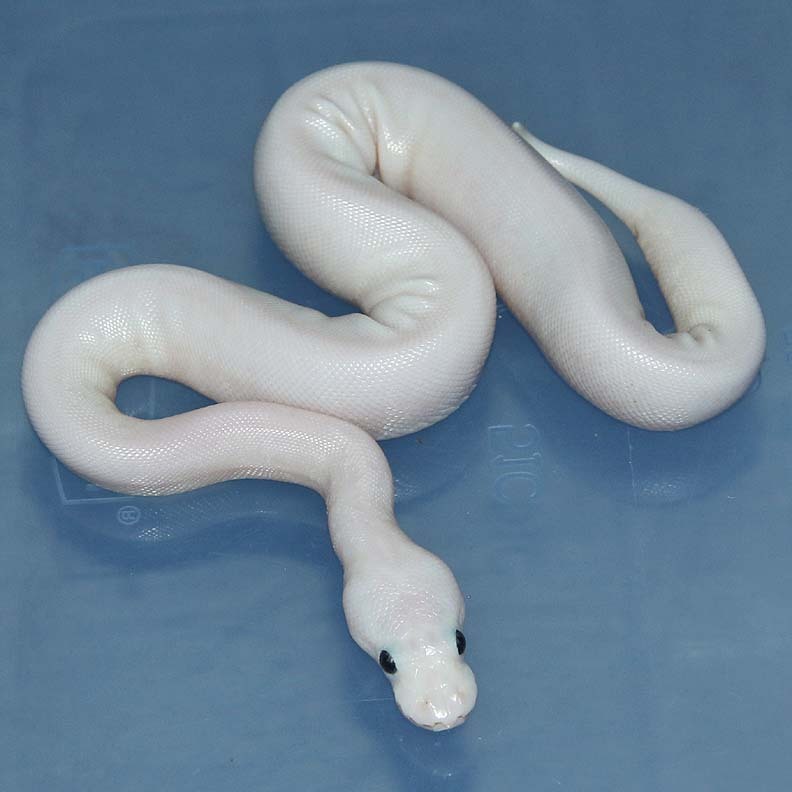 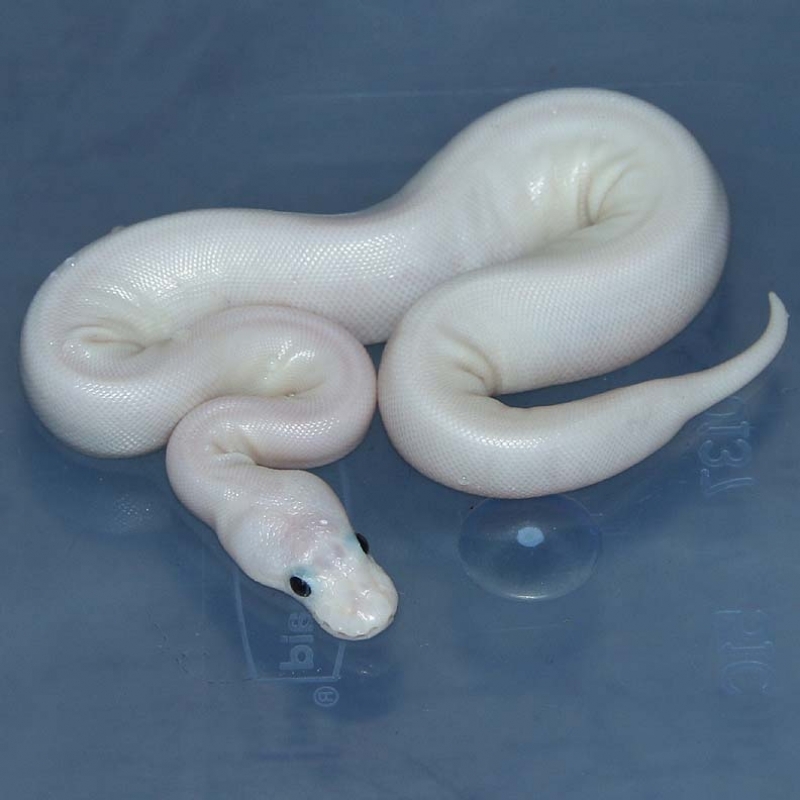 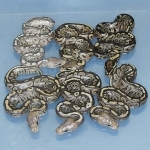 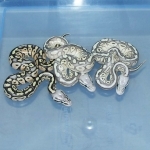 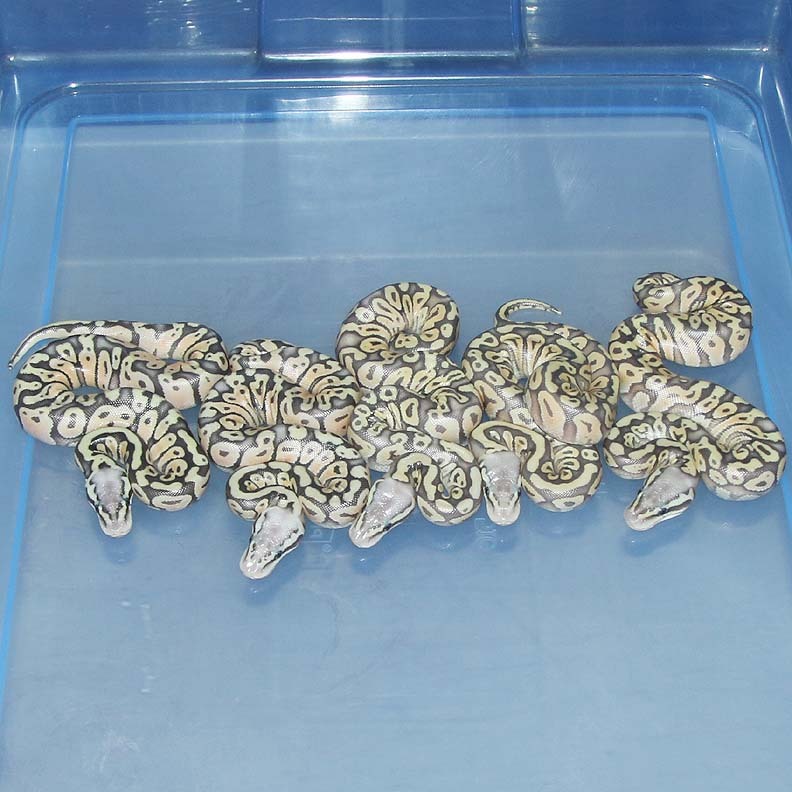 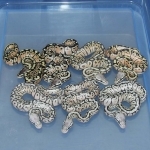 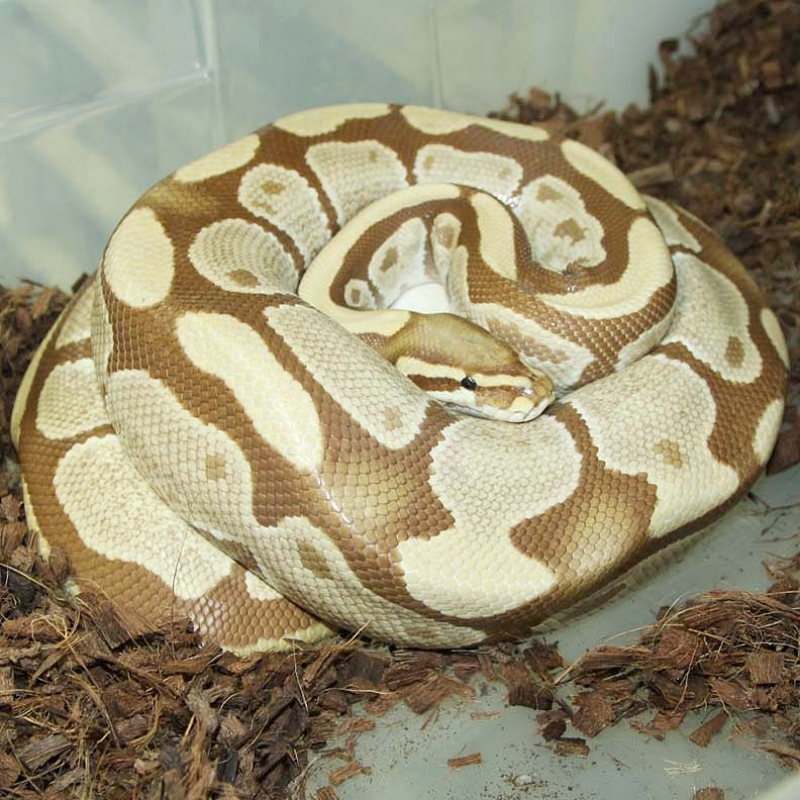 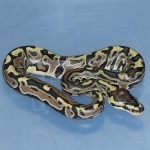 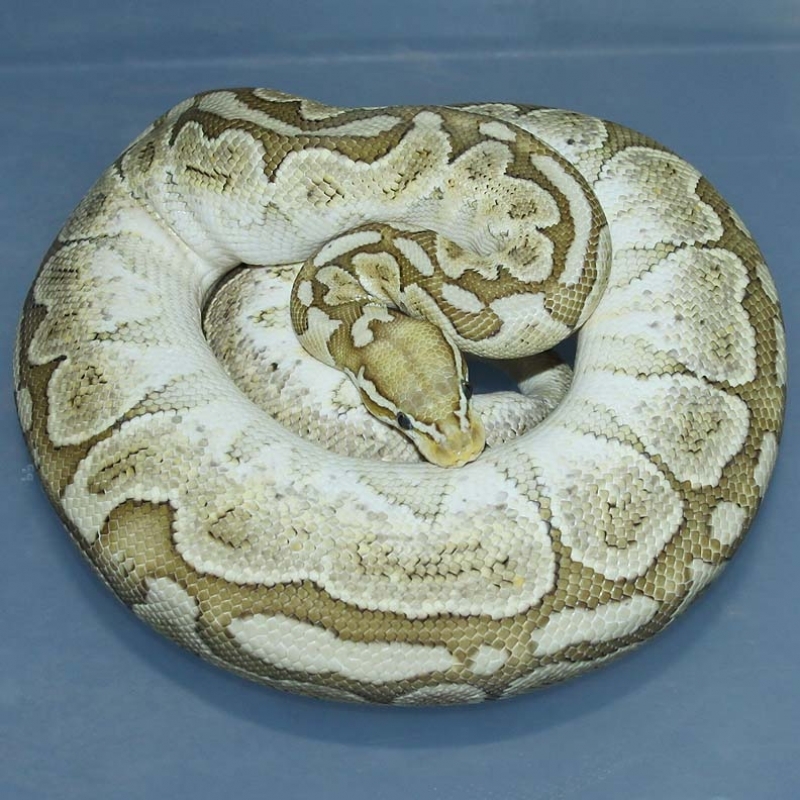 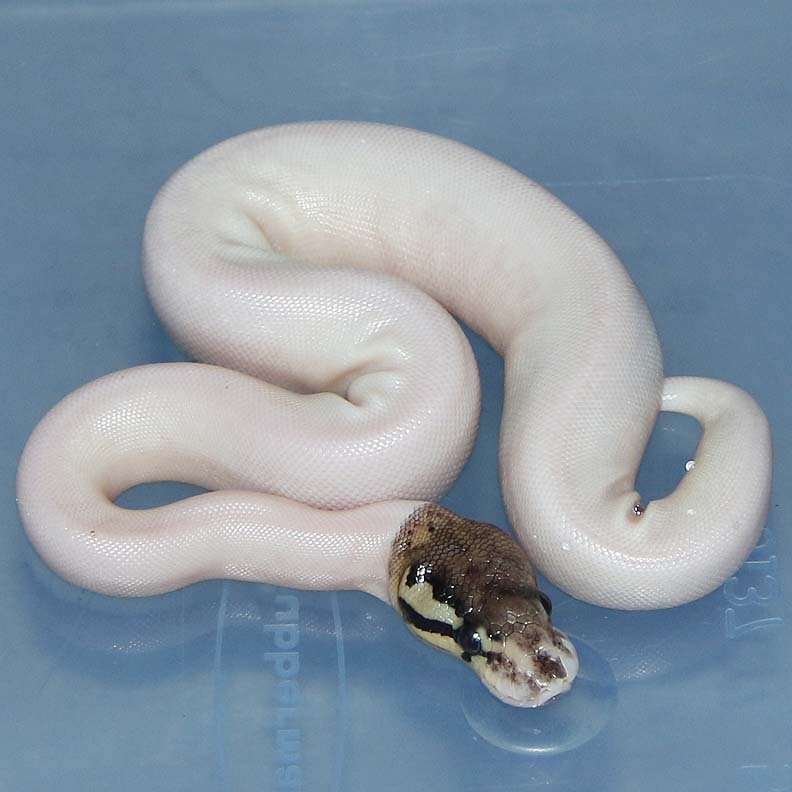 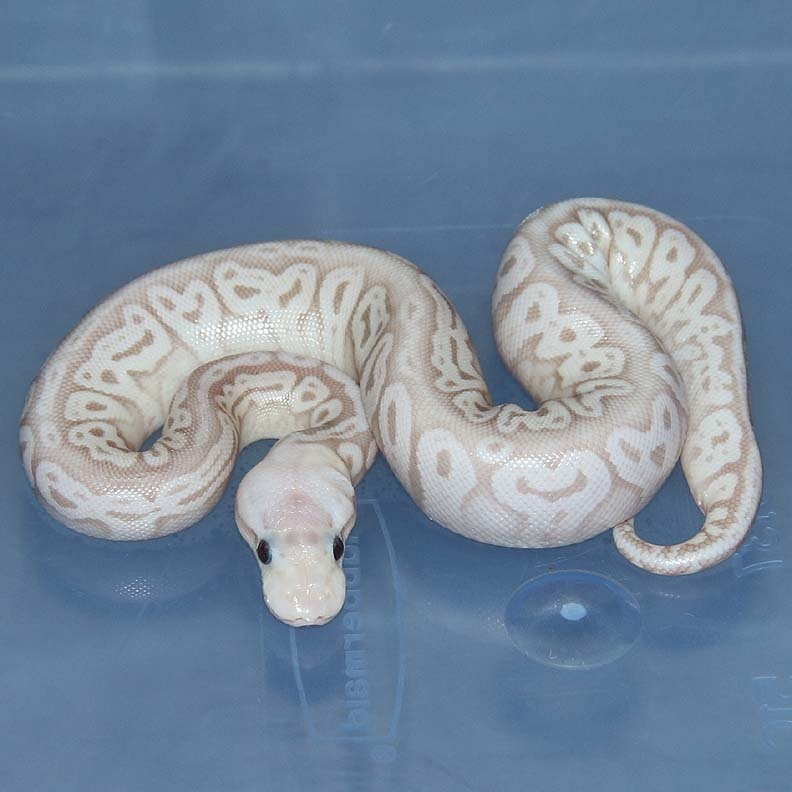 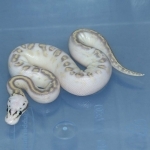 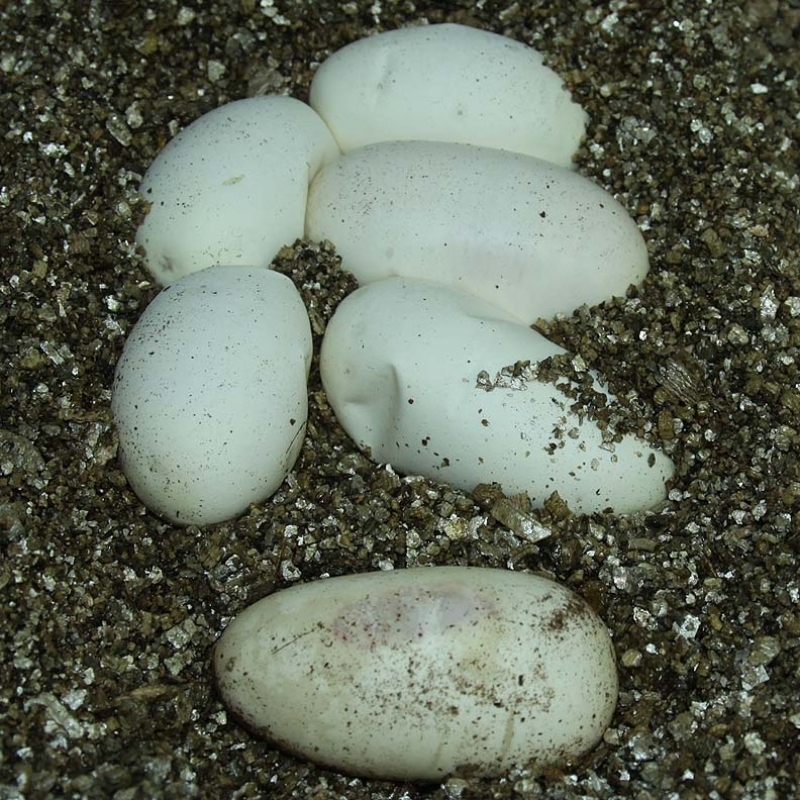 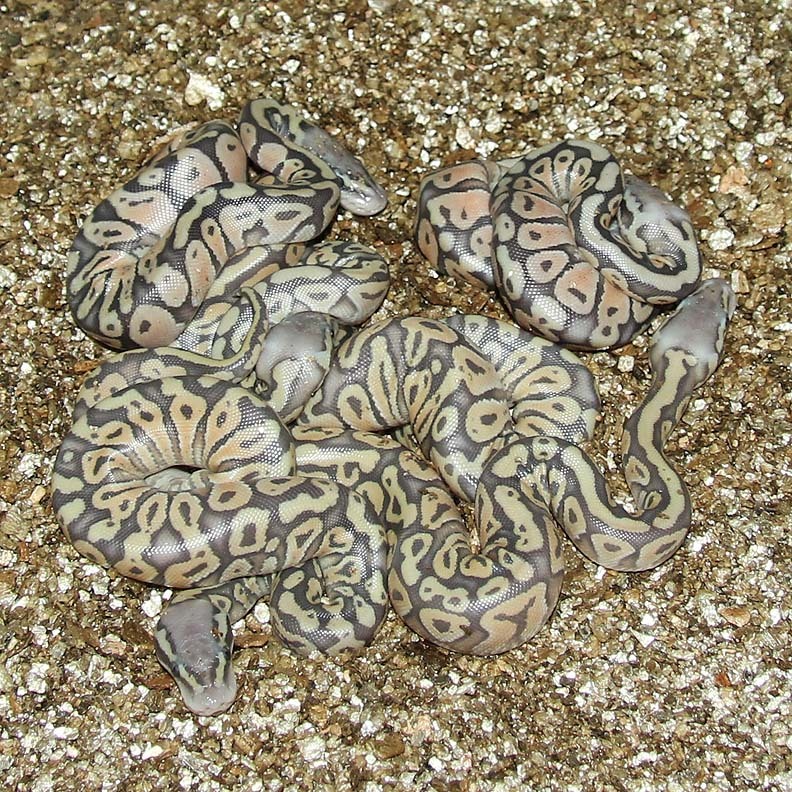 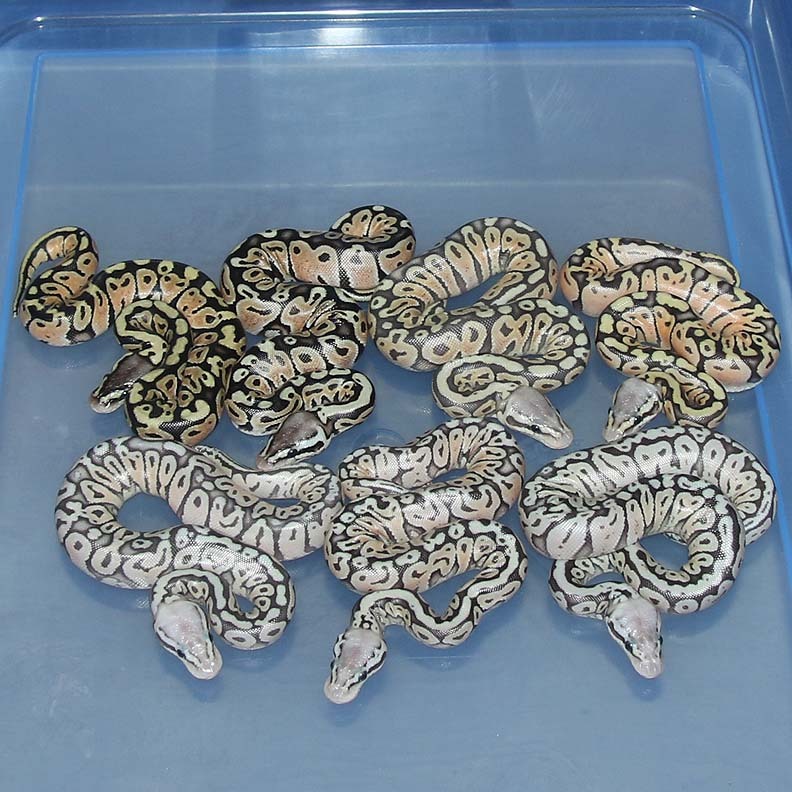 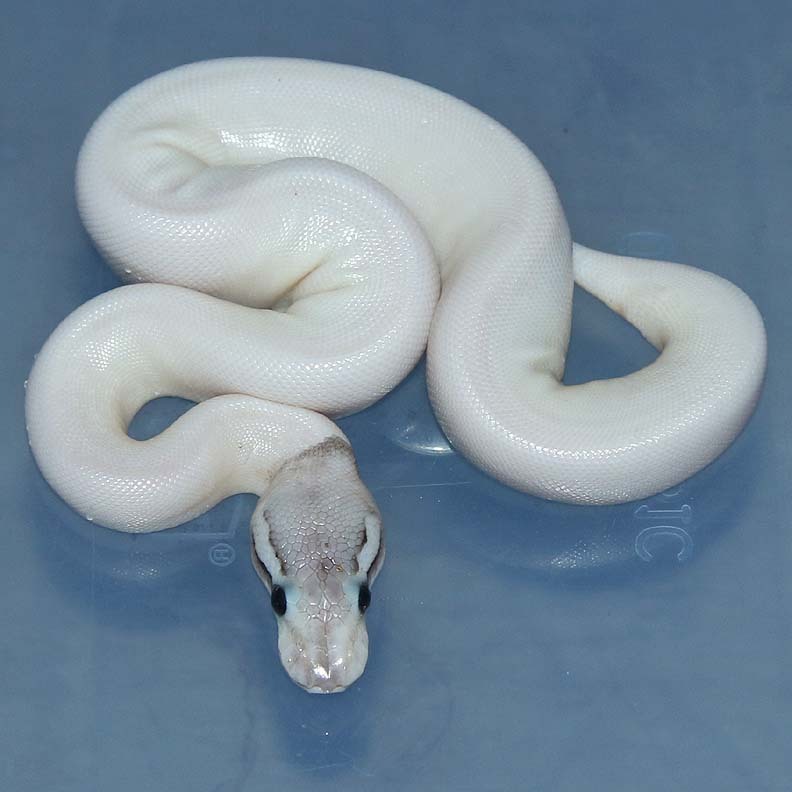 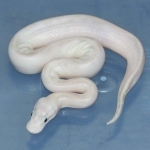 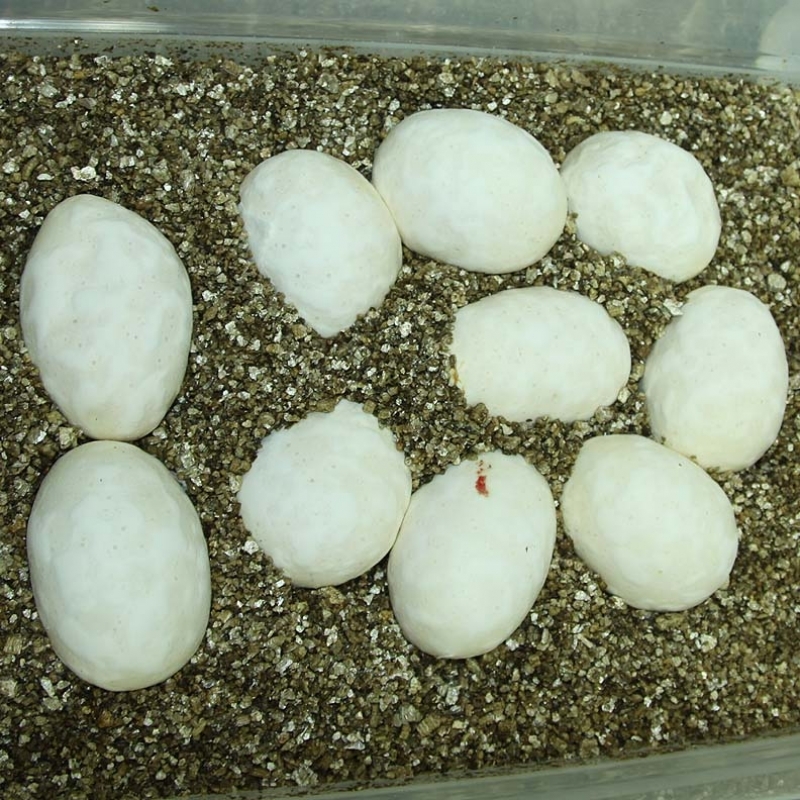 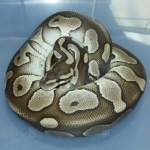 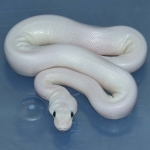 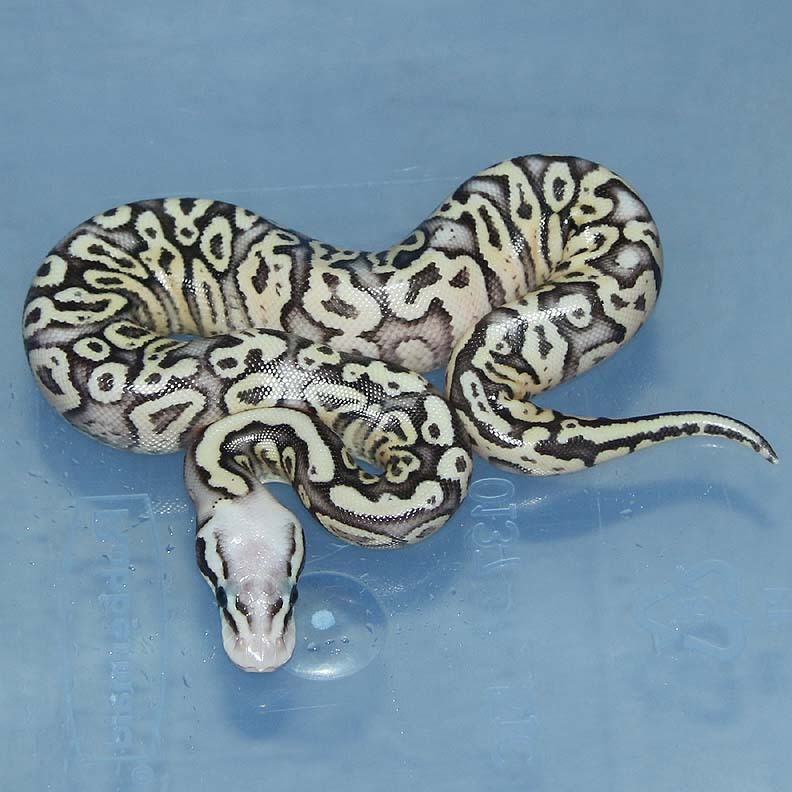 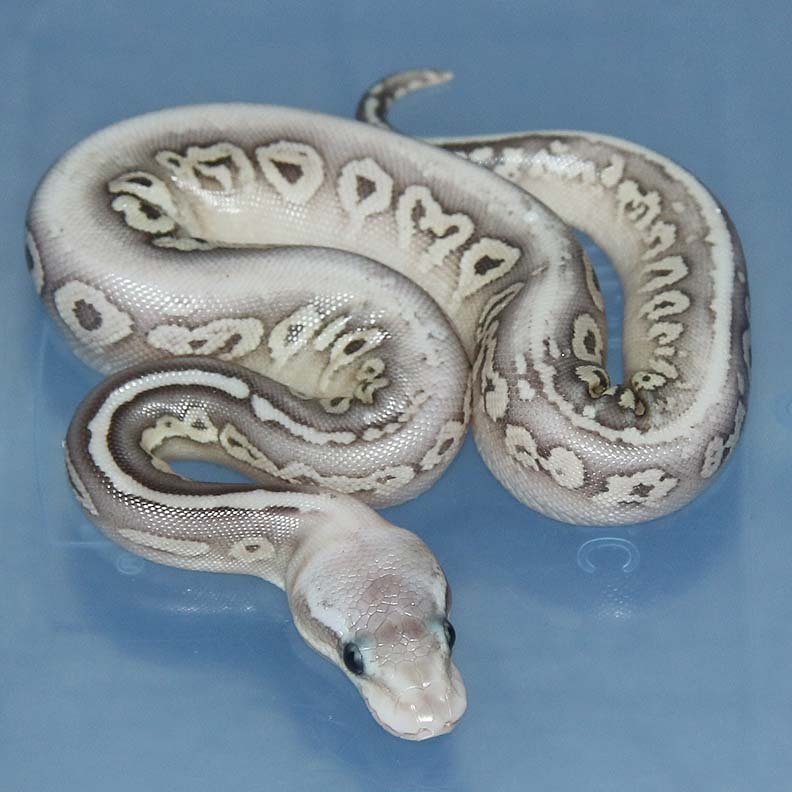 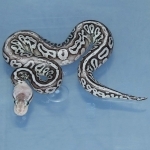 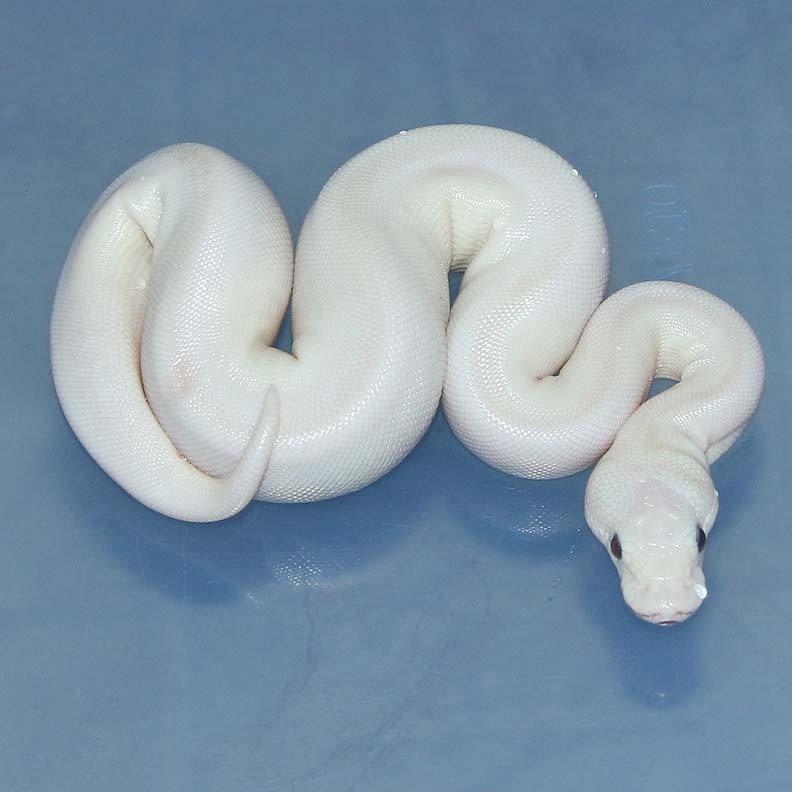 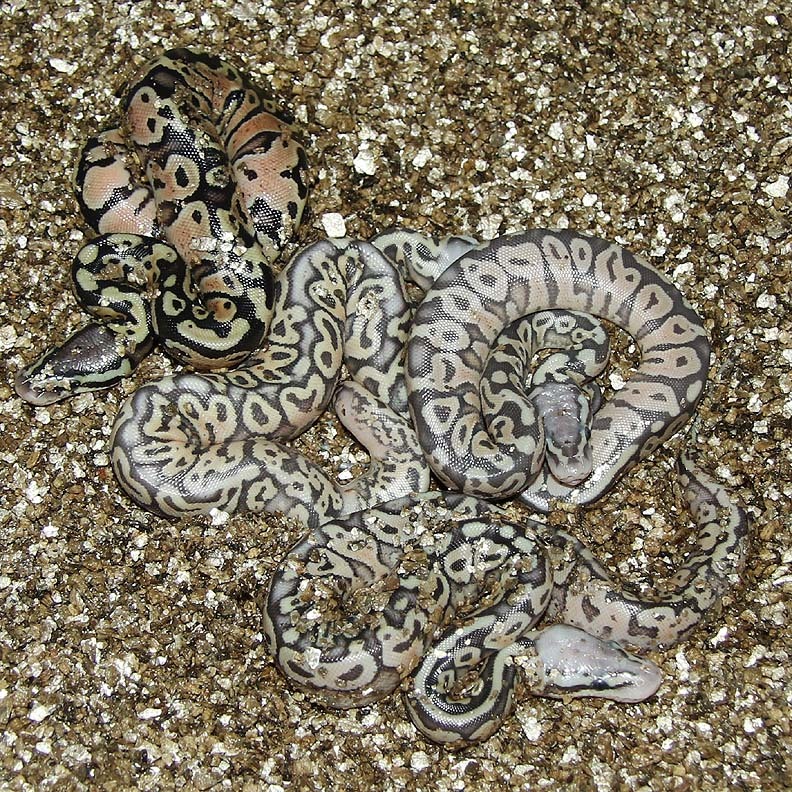 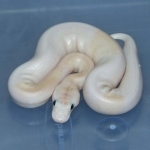 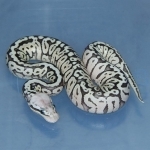 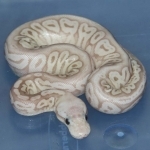 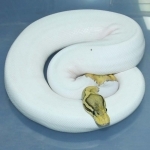 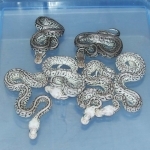 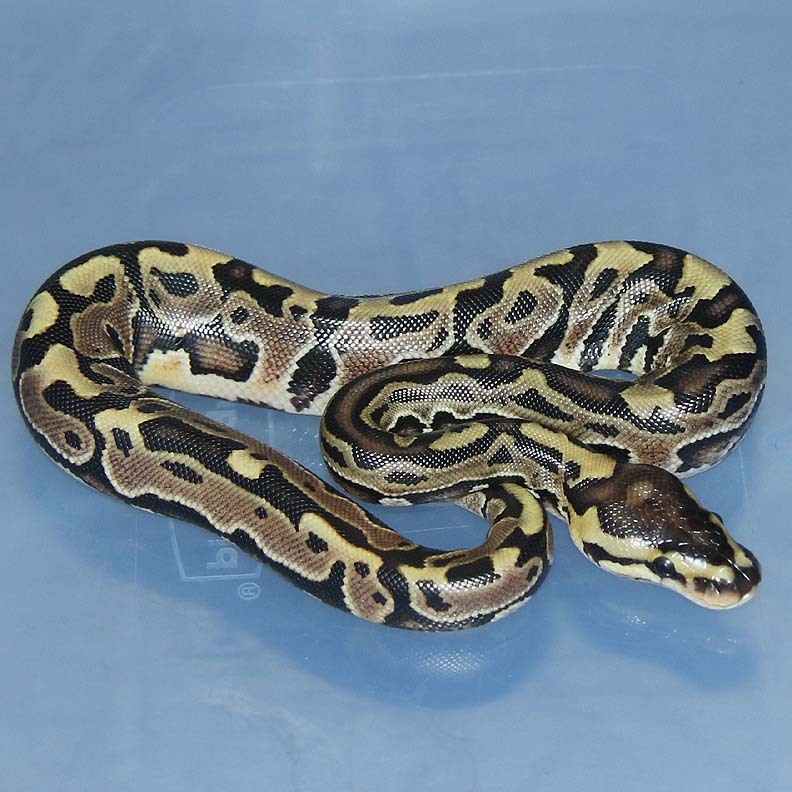 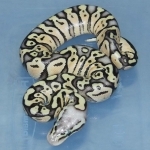 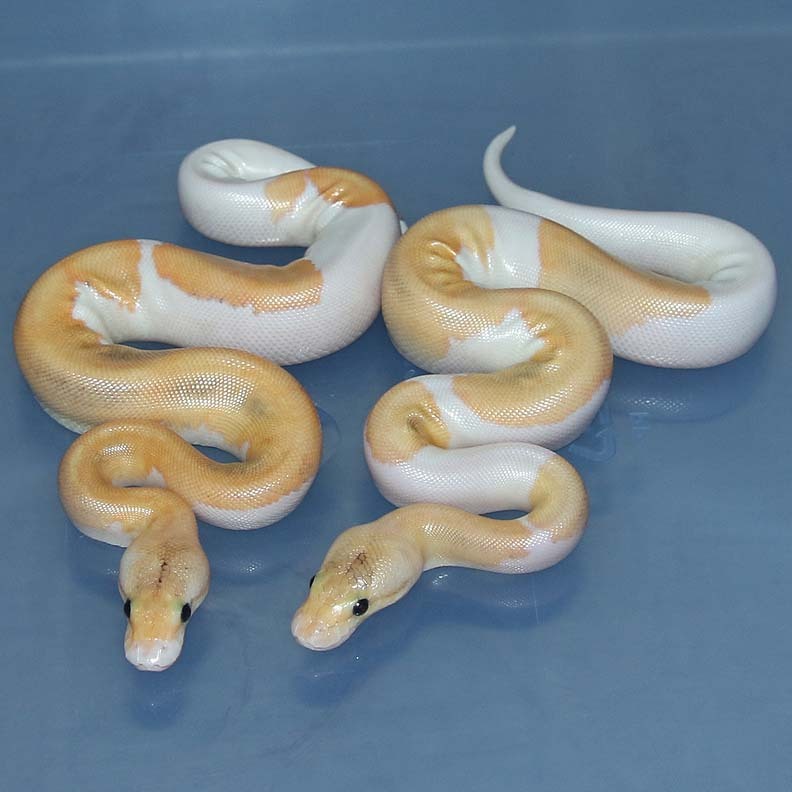 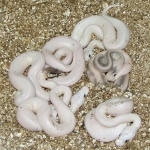 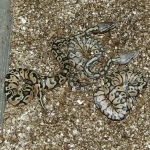 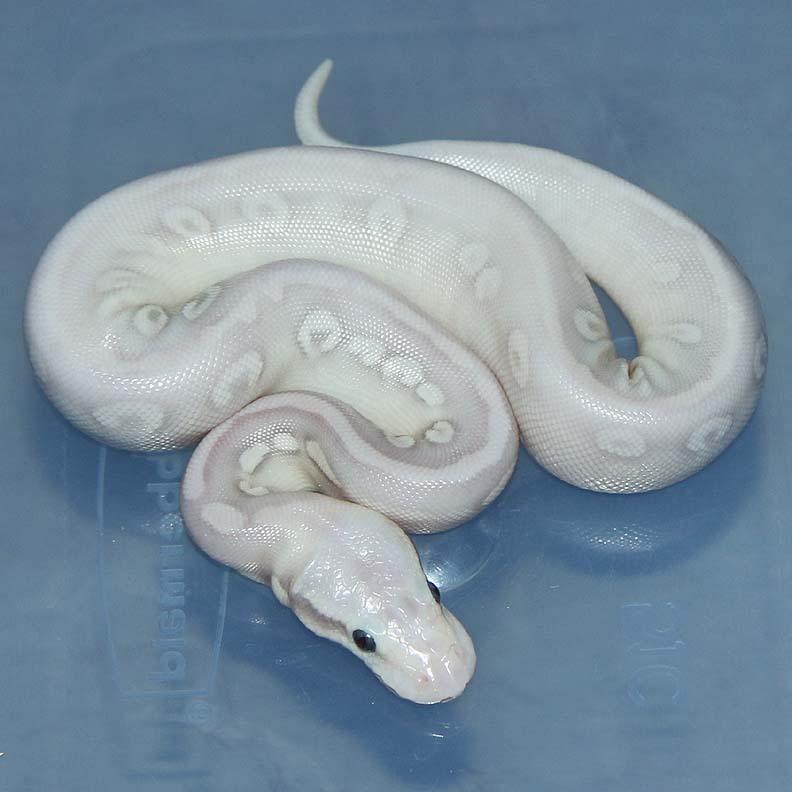 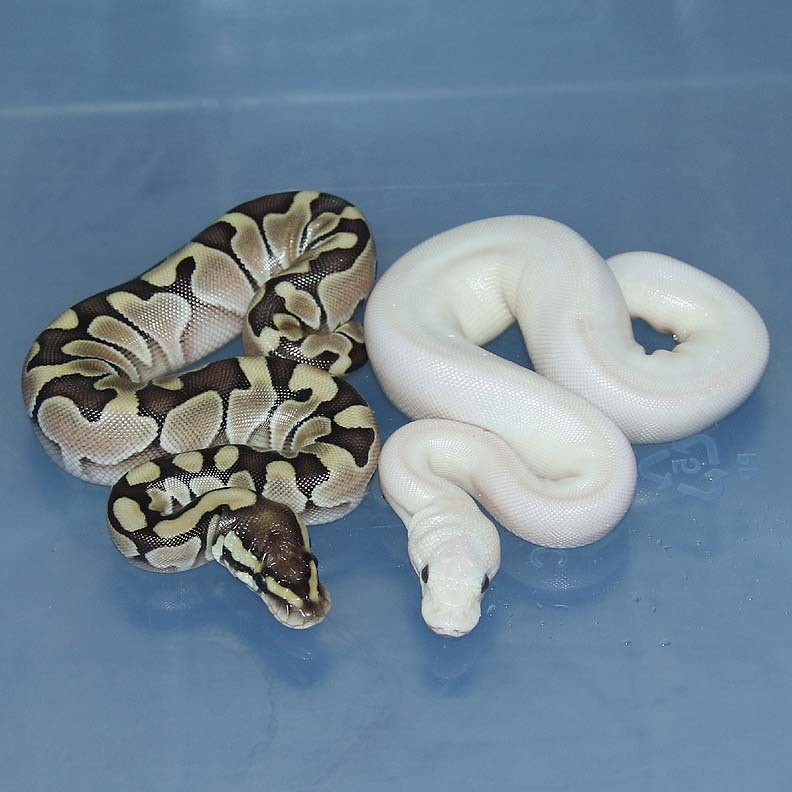 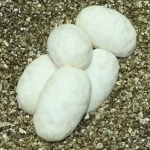 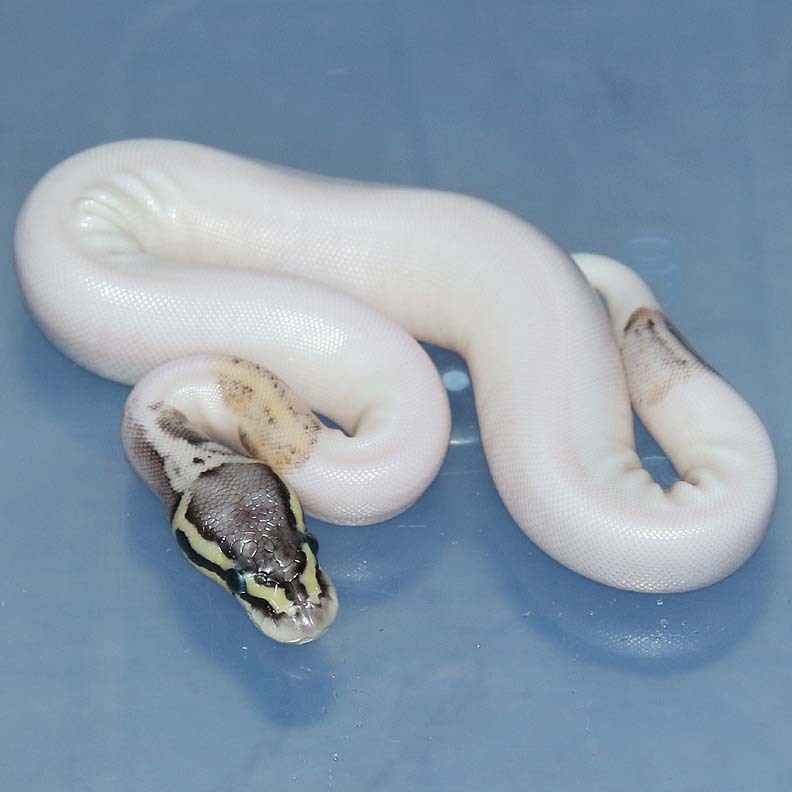 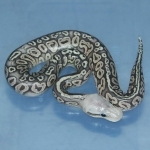 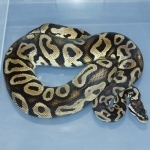 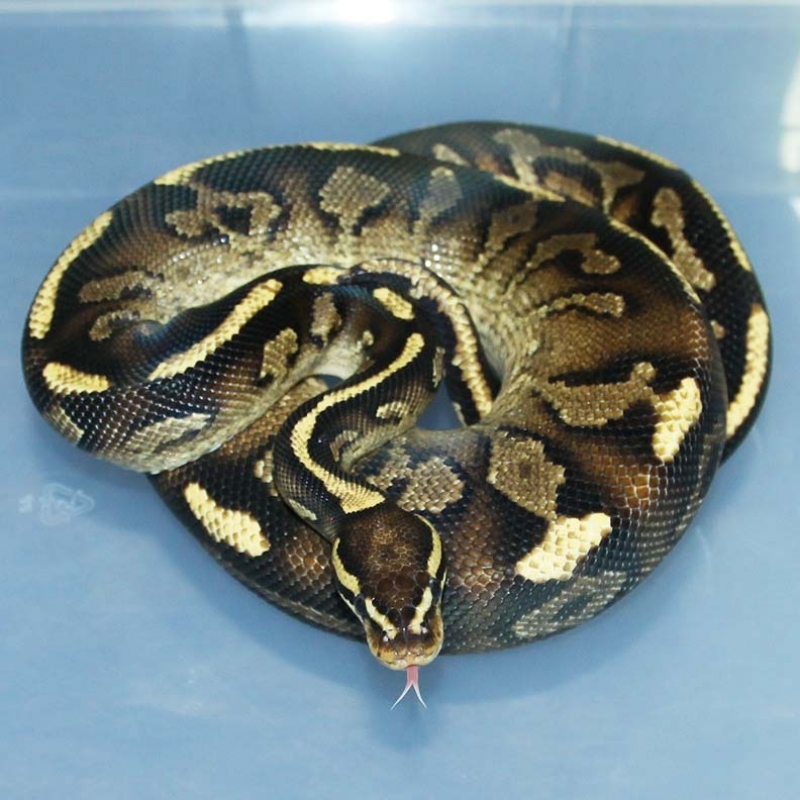 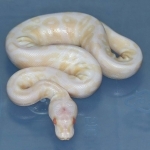 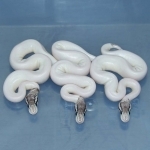 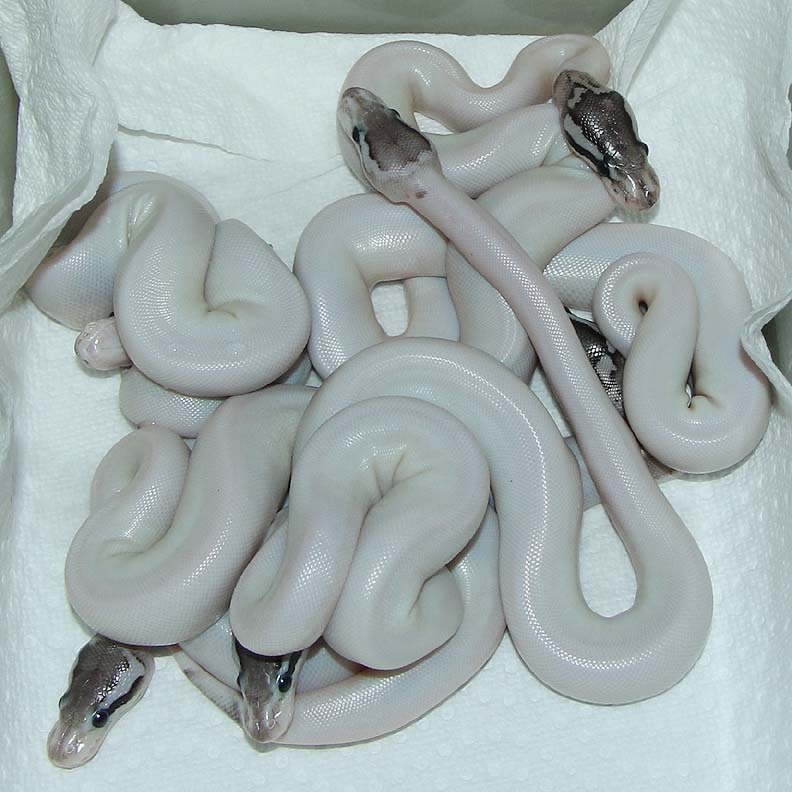 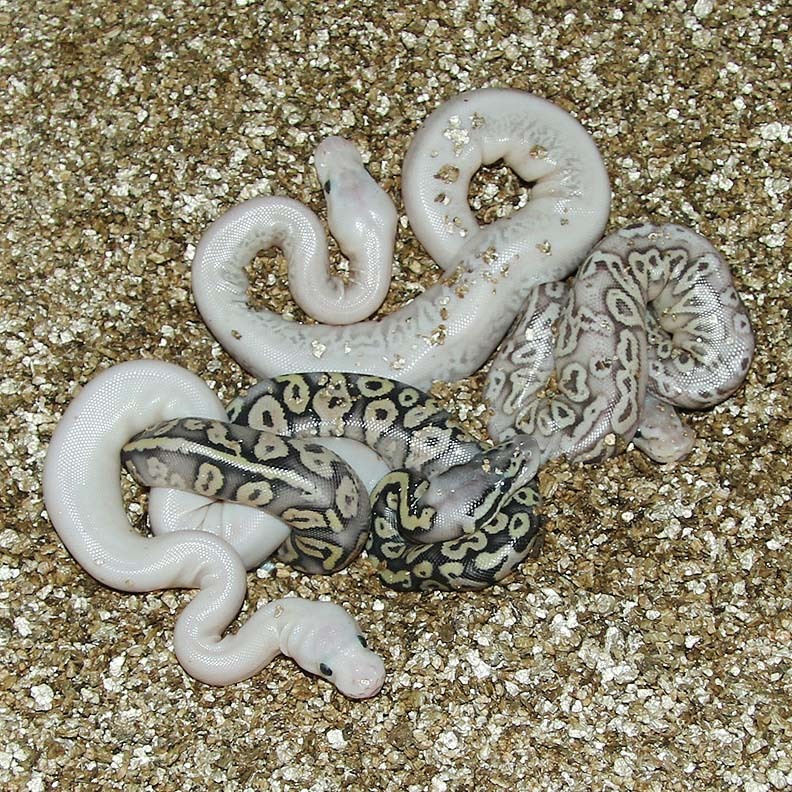 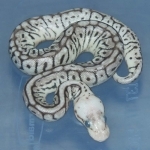 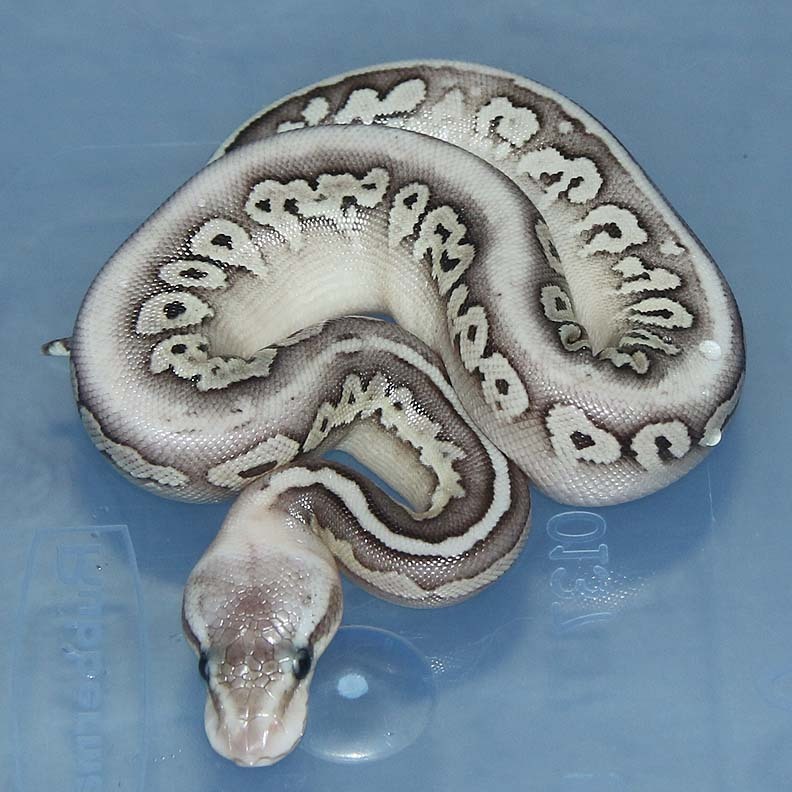 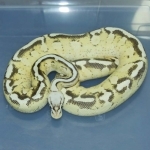 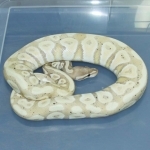 Description: Pastel Red Axanthic Pied 1/15 x "NEW" 1/08 Vlad. 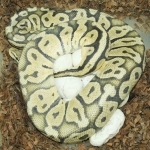 This female was produced by Vlad in Toronto back in around 2008. 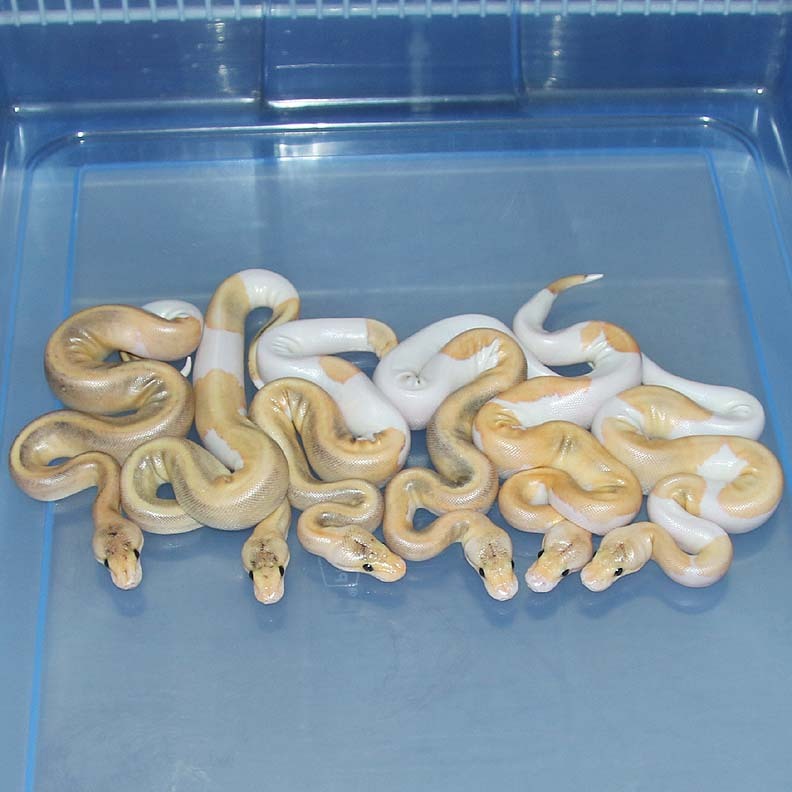 The breeding was a Cinnamon to a Normal and out popped 2 of these "New" females. 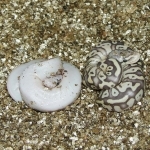 Unfortunately 1 died just after hatching. 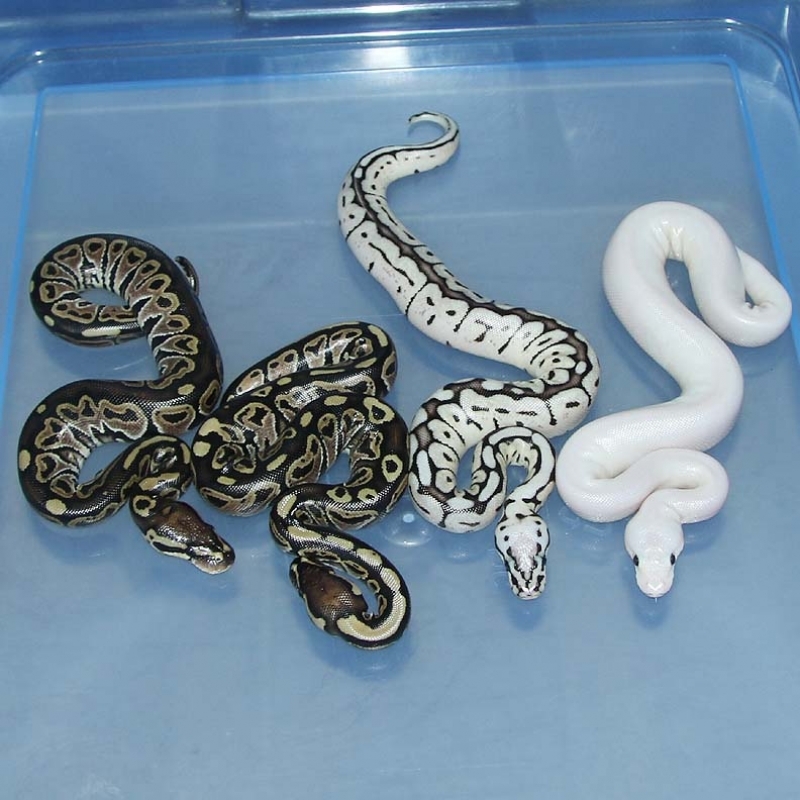 A short time later Vlad got out of the hobby and sold his collection. 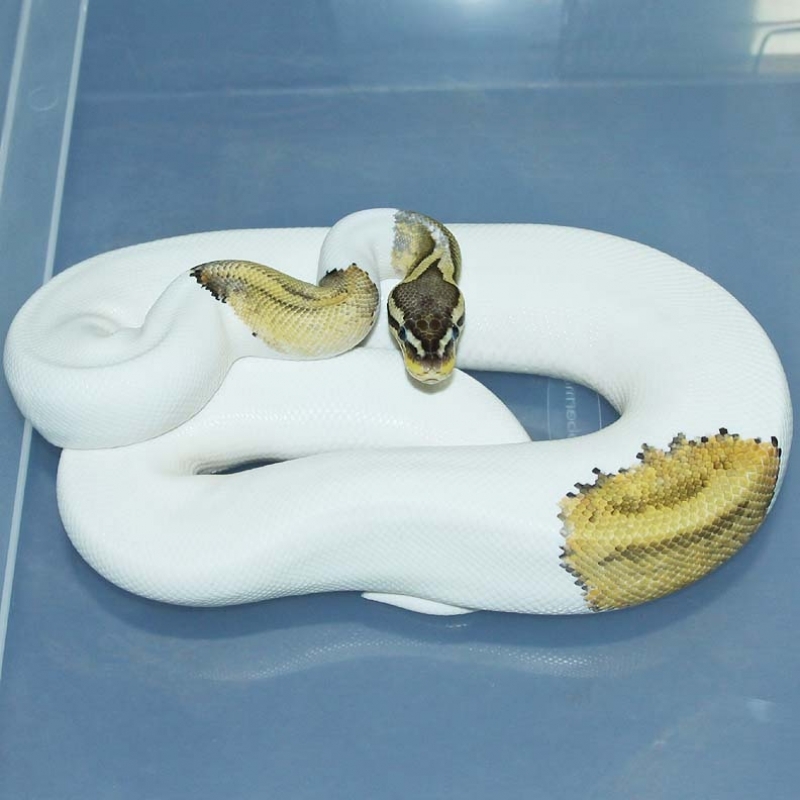 This female ended up being someones pet in Toronto until 2017. 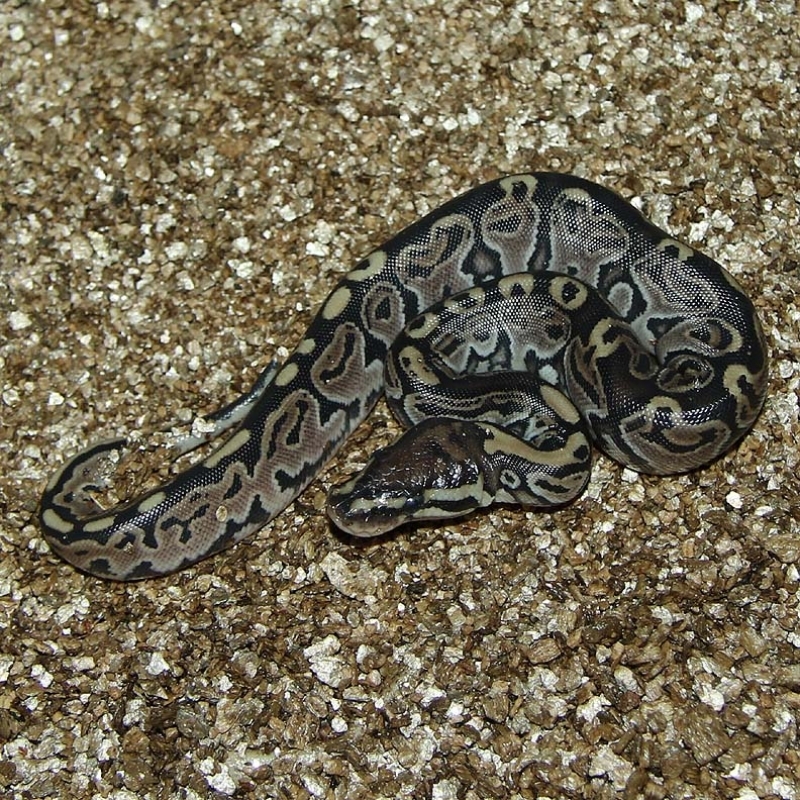 She then went back to Vlad and then from Vlad to me. 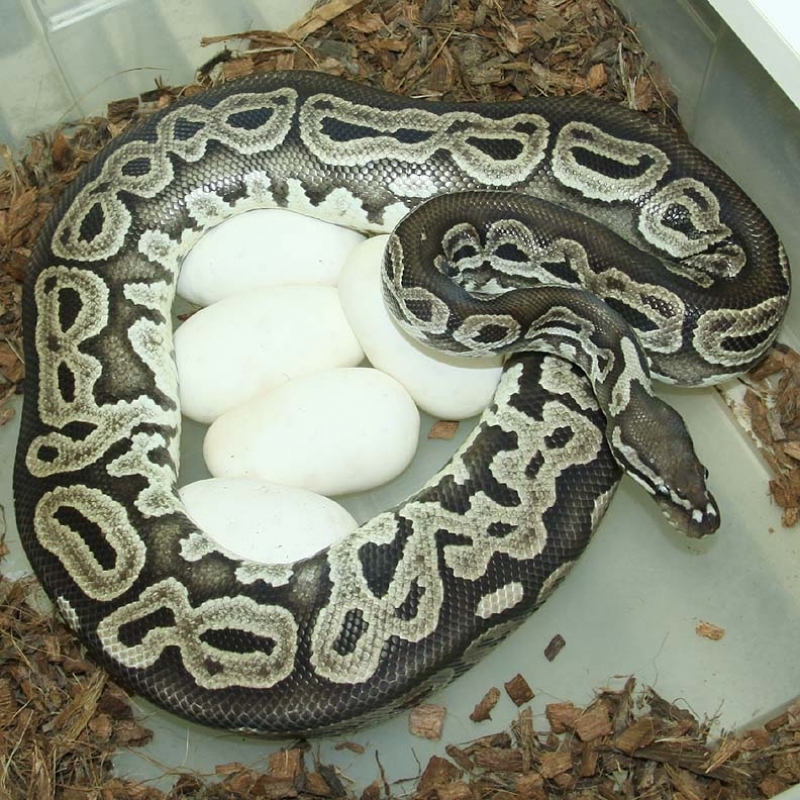 This is the first time this female has been bred. 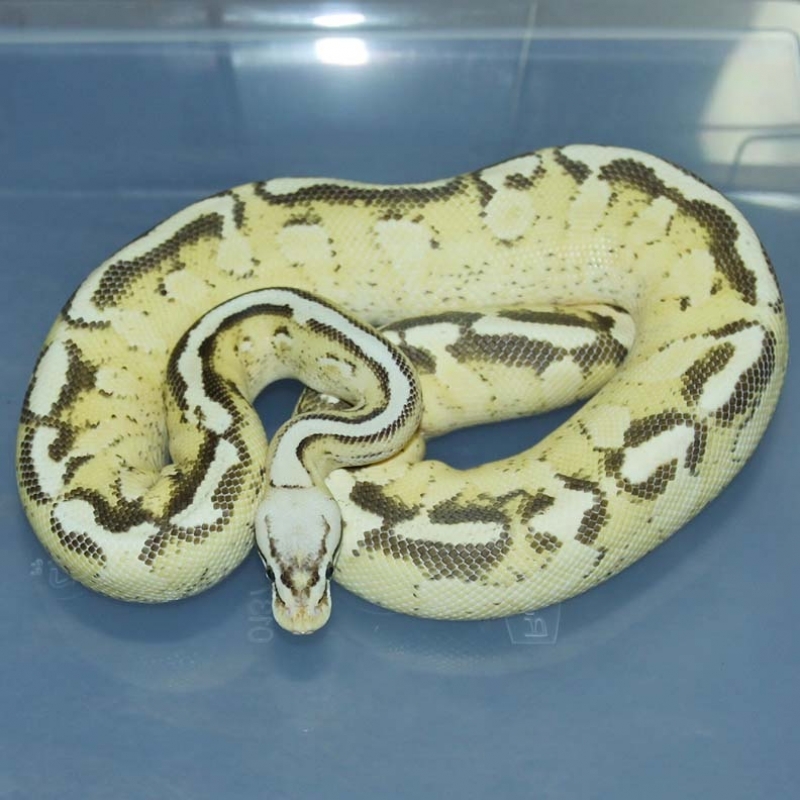 I had a number of options for males available to me but in the end I decided to breed her to something totally unrelated to try and prove her out the long way. 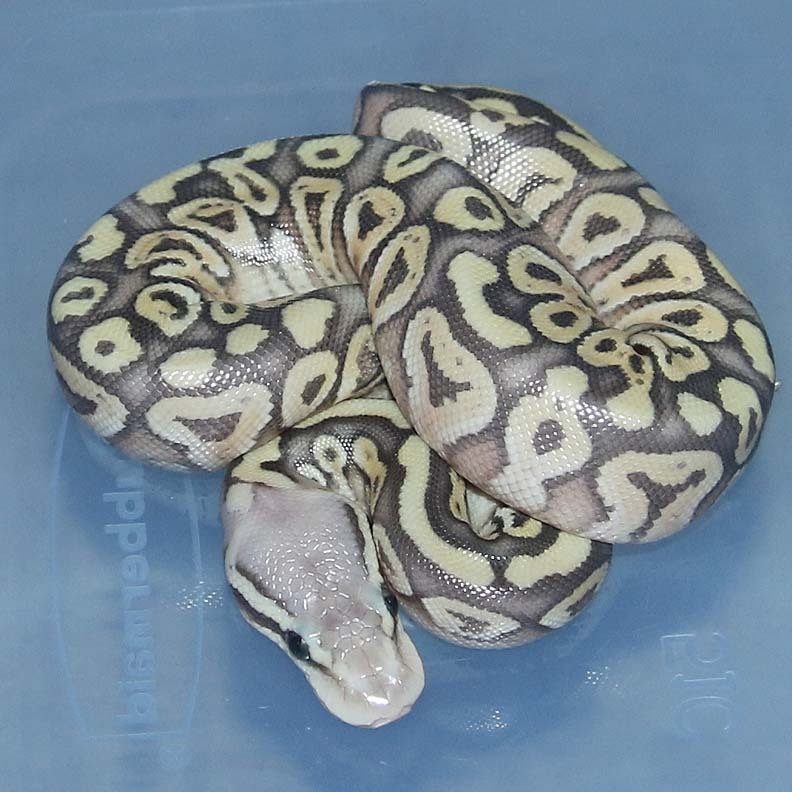 So, we are taking the long road with this female. 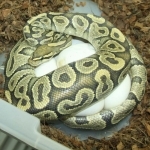 Hopefully it will pay off. 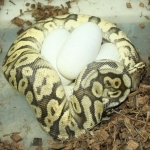 Great odds on this clutch! If you are interested in animals from clutch #26 please email or call 519-824-7377. 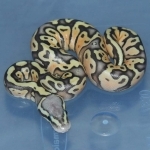 Description: Super Asphalt 1/14 x Orange Ghost YB 1/13. 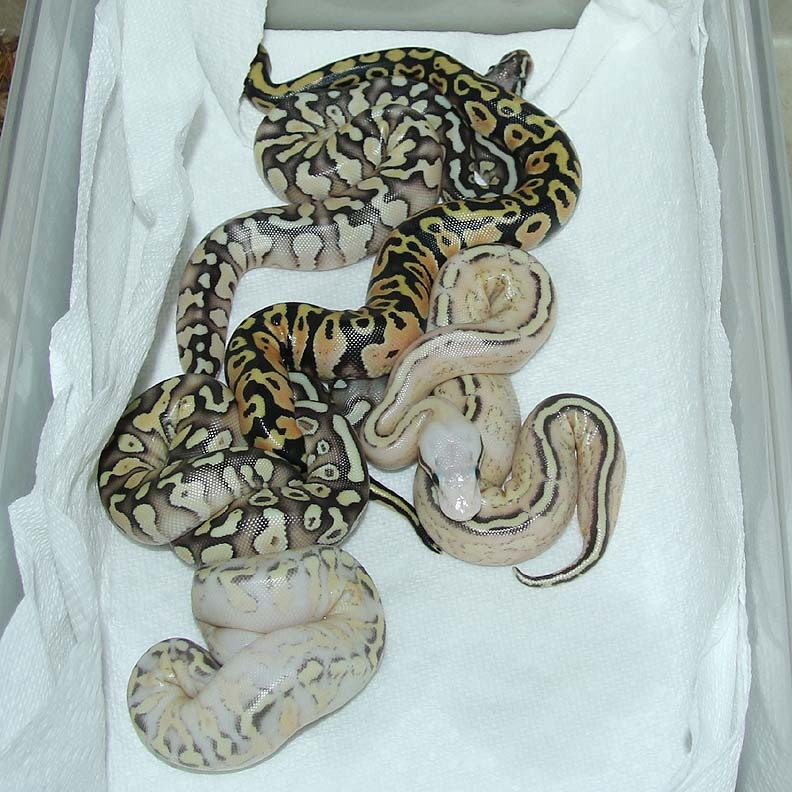 If you are interested in animals from clutch #27 please email or call 519-824-7377. Description: POG Pied 1/14 x Pastel DH OG/Pied 5/10. 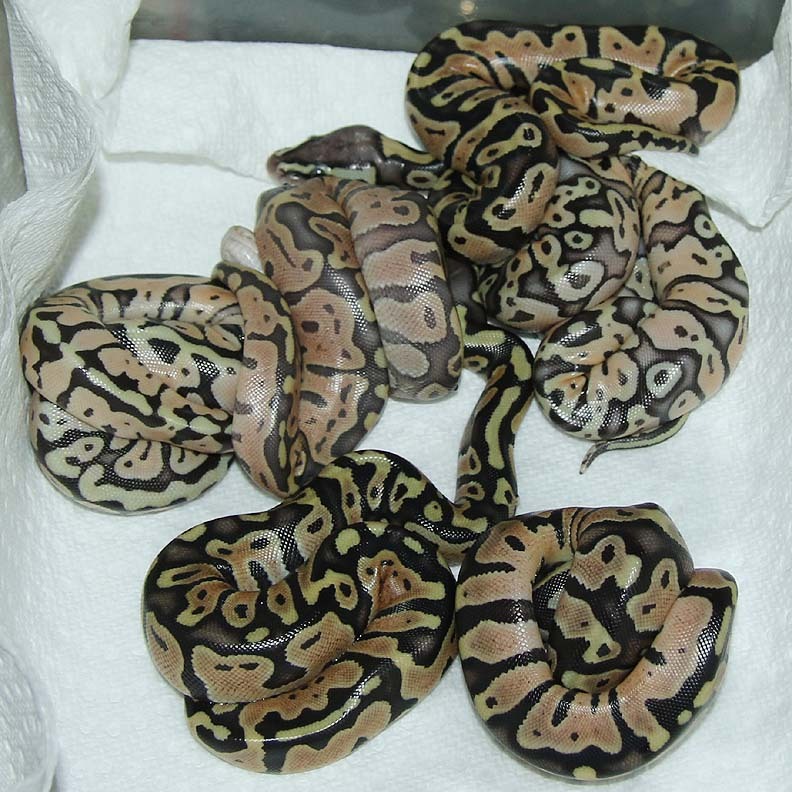 If you are interested in animals from clutch #28 please email or call 519-824-7377. 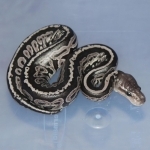 Description: Super Asphalt 1/14 x POG Pied 2/14. 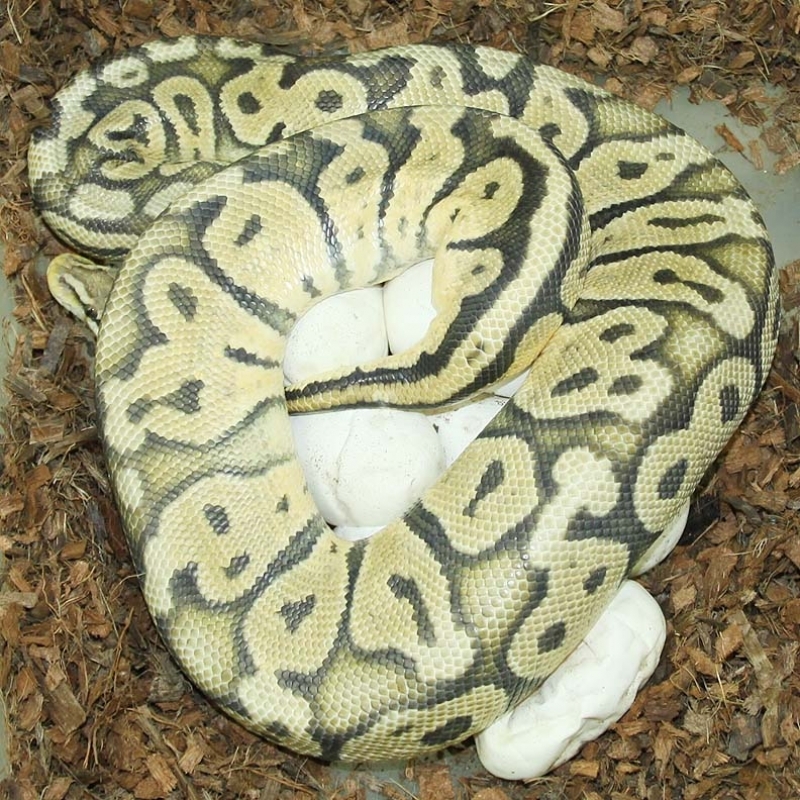 If you are interested in animals from clutch #29 please email or call 519-824-7377. 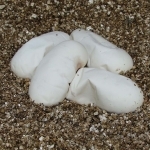 Description: Pied Champagne 1/15 x HY HOG 5/08. 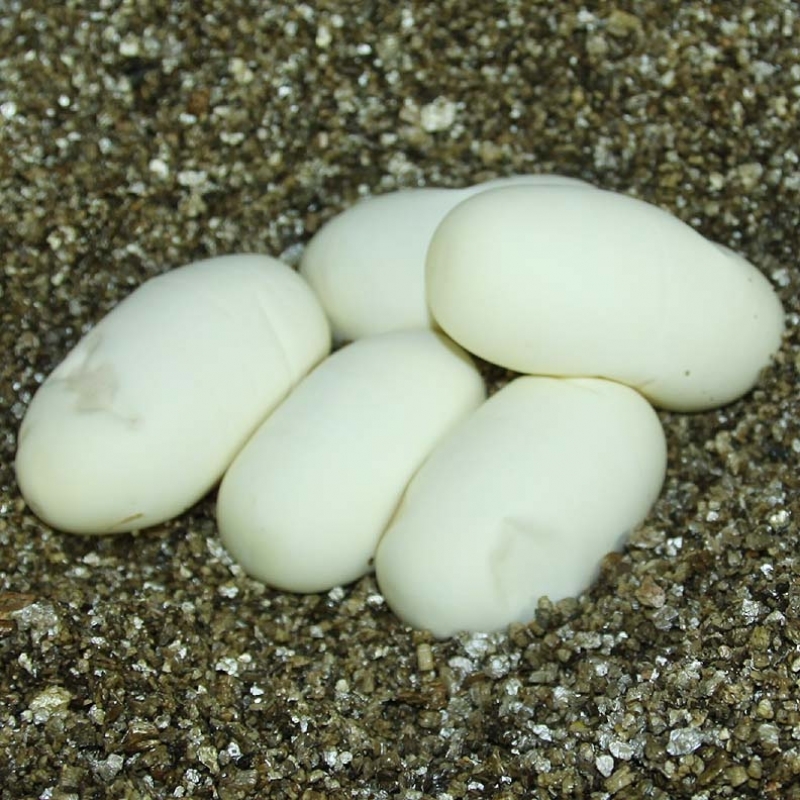 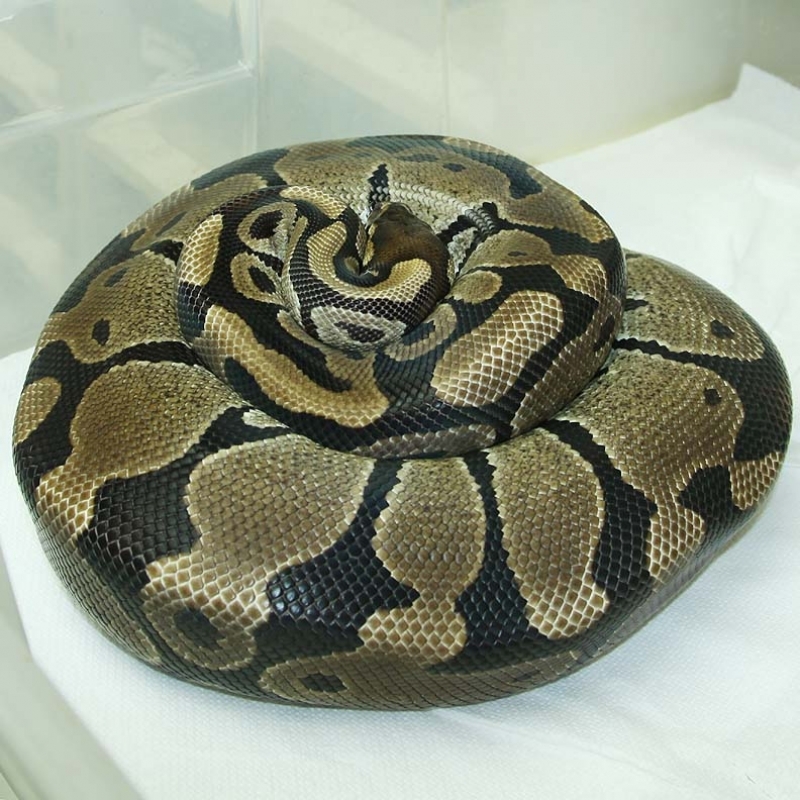 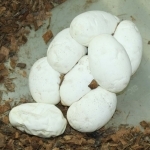 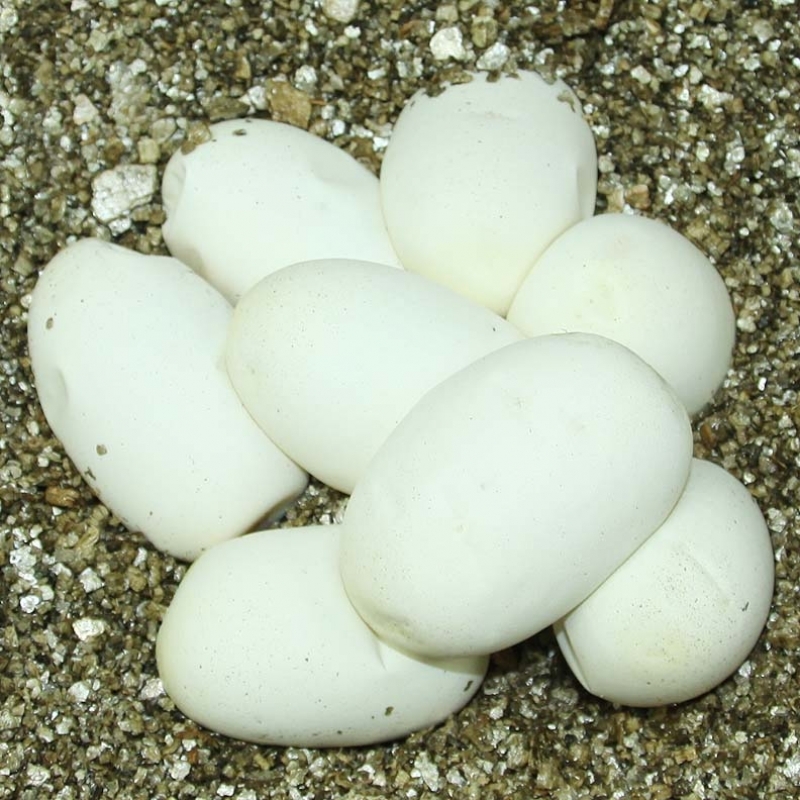 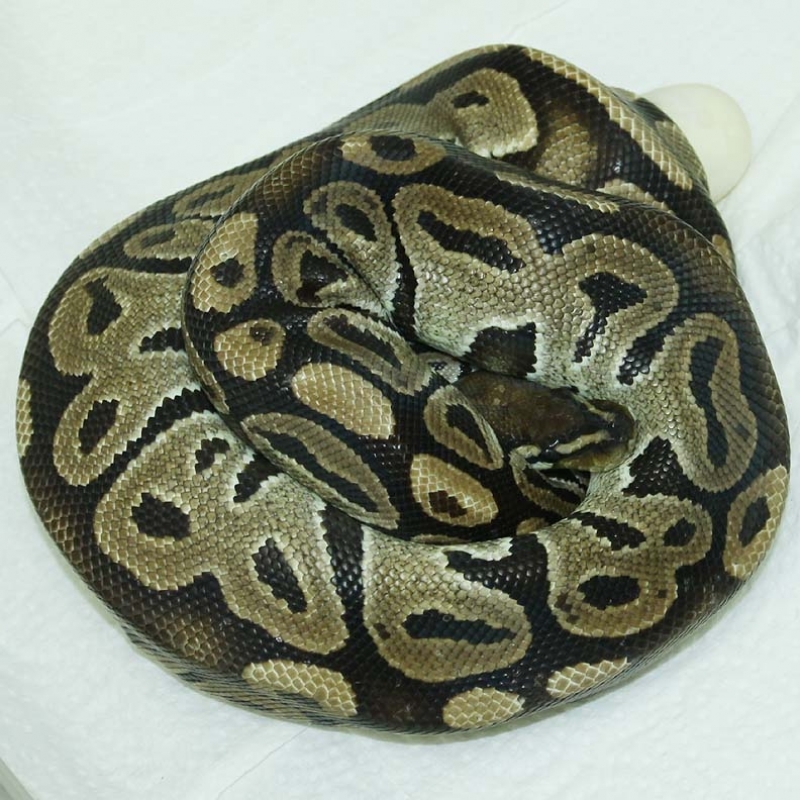 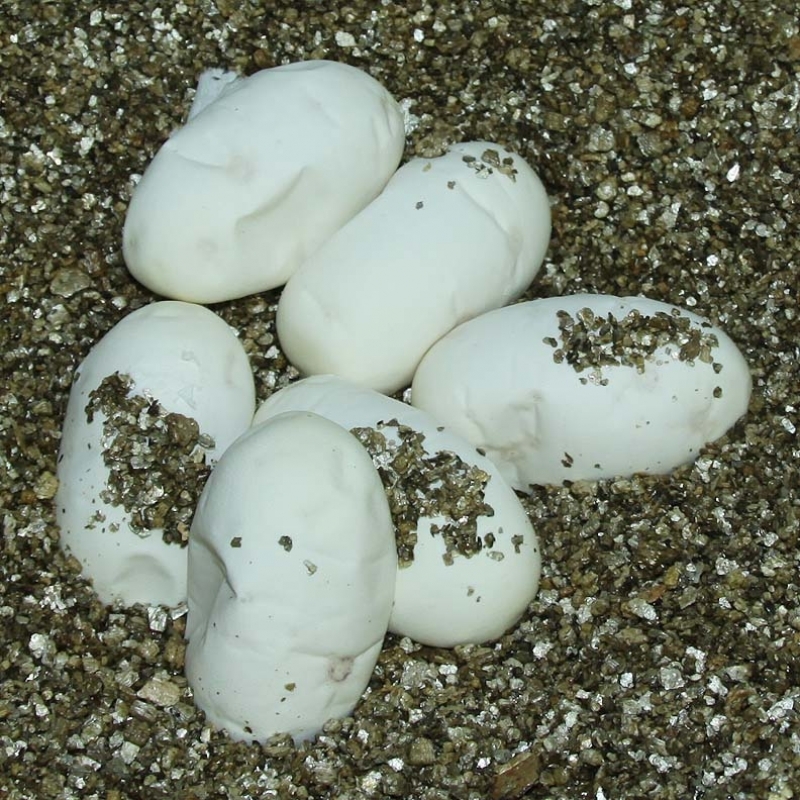 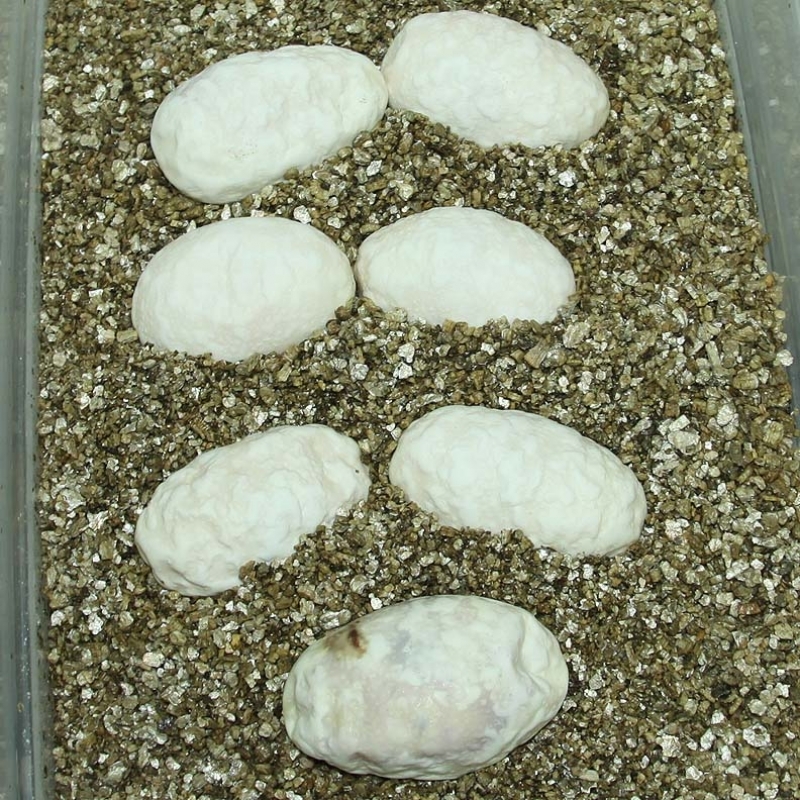 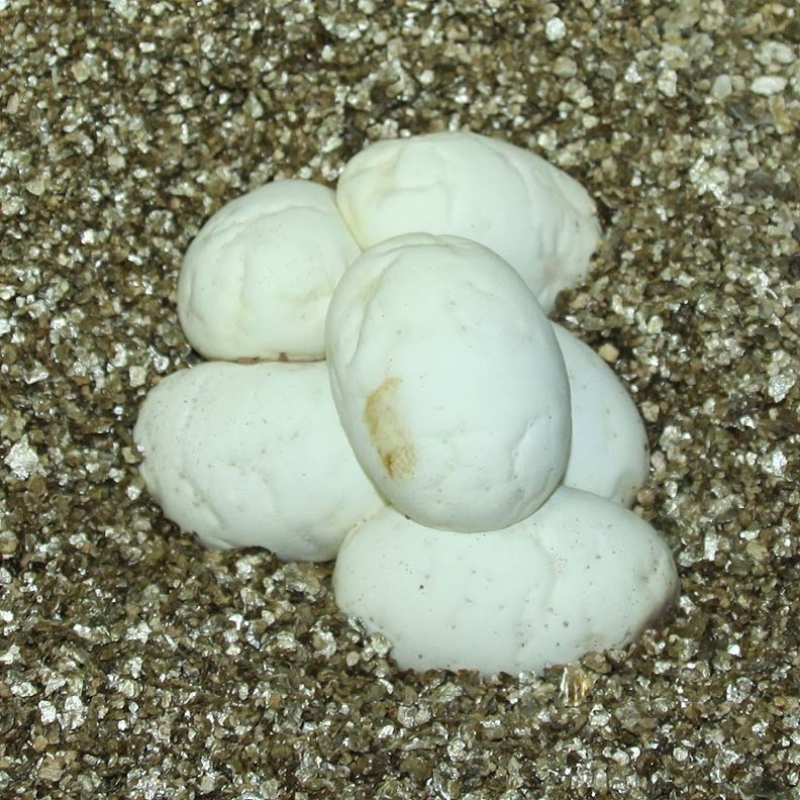 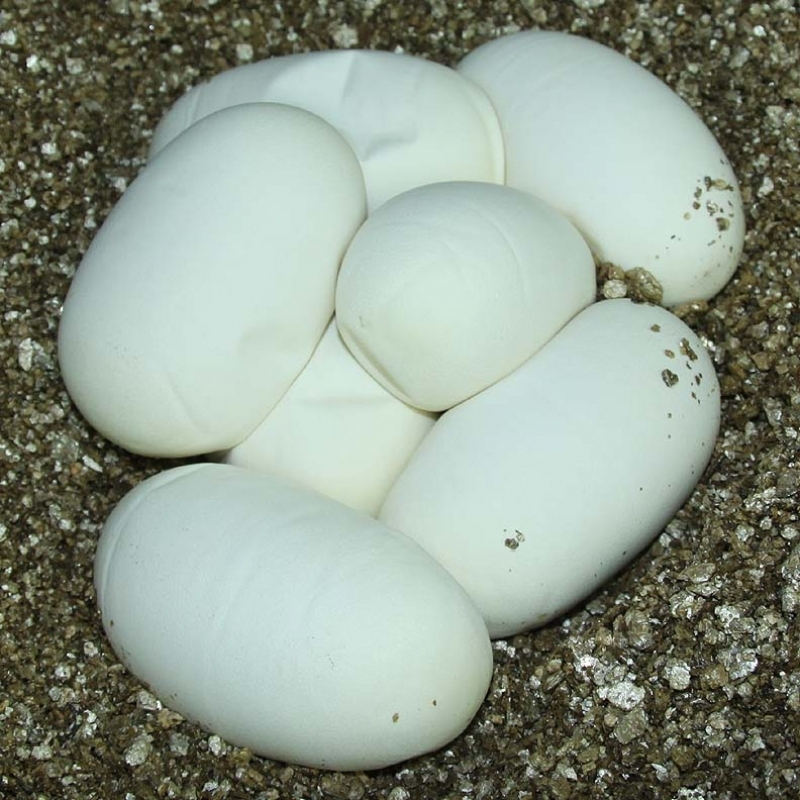 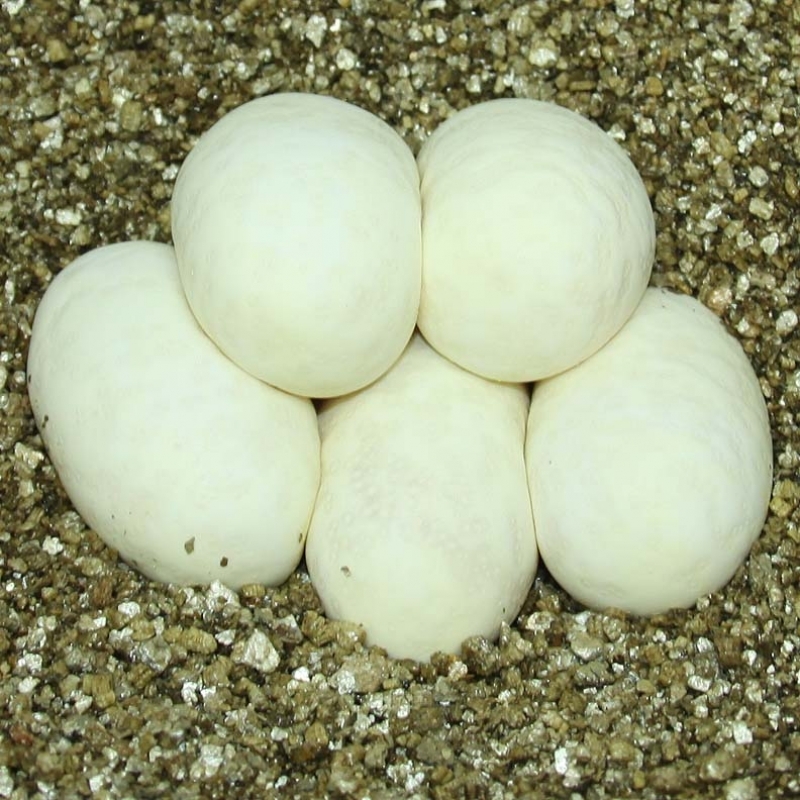 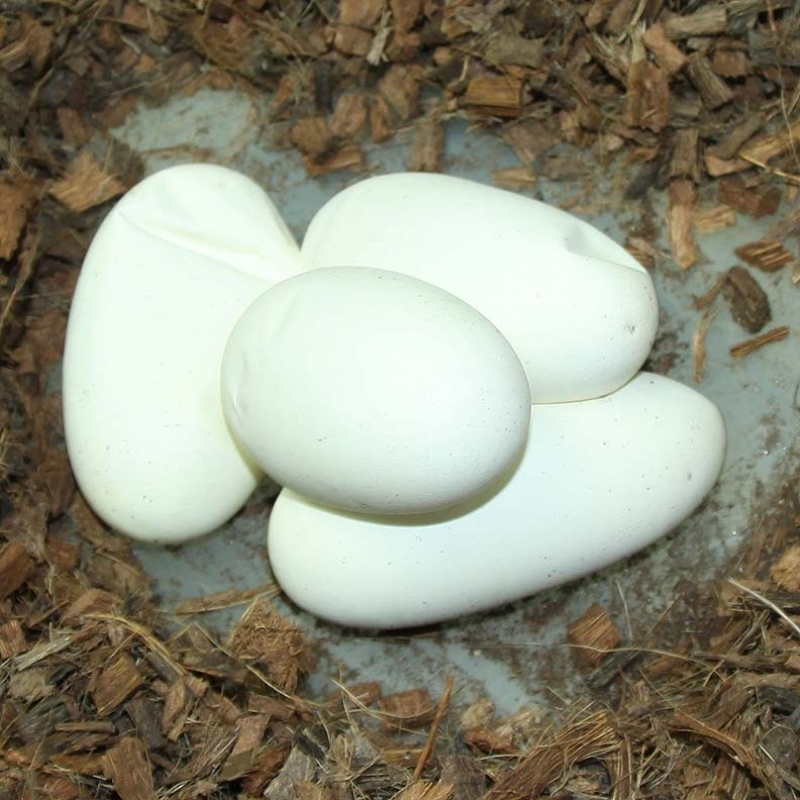 This clutch will help me determine what other genes are at play with my Pied Champagne Male. 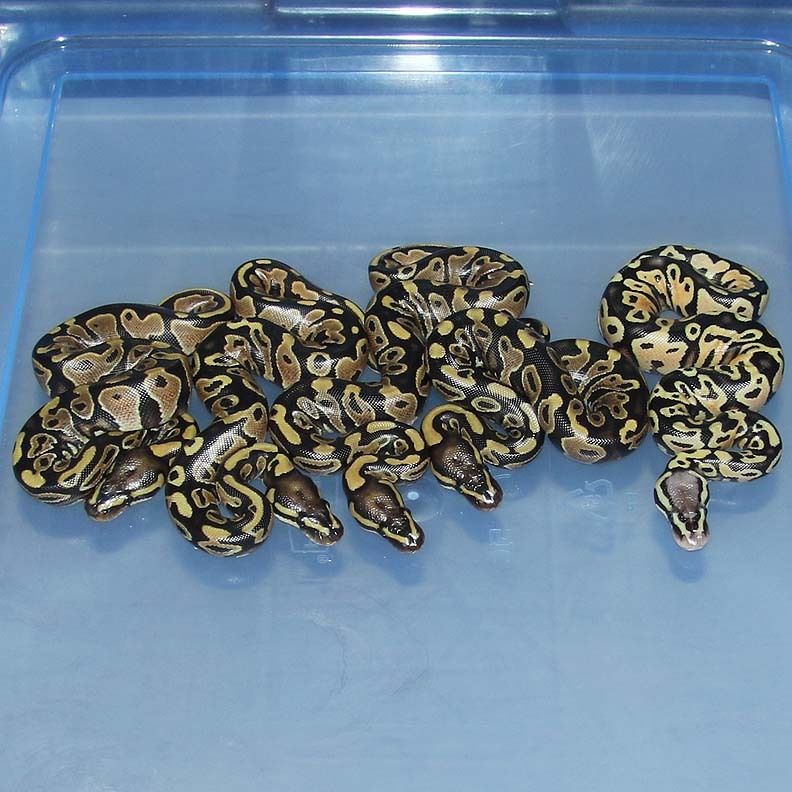 If you are interested in animals from clutch #30 please email or call 519-824-7377. 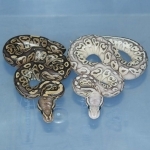 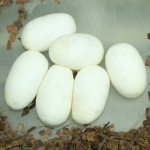 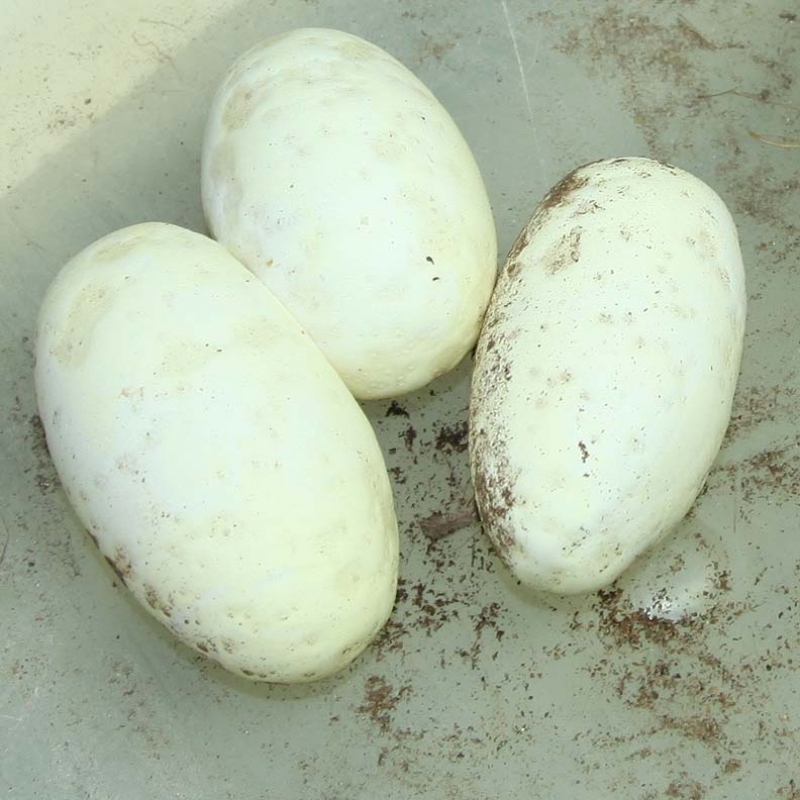 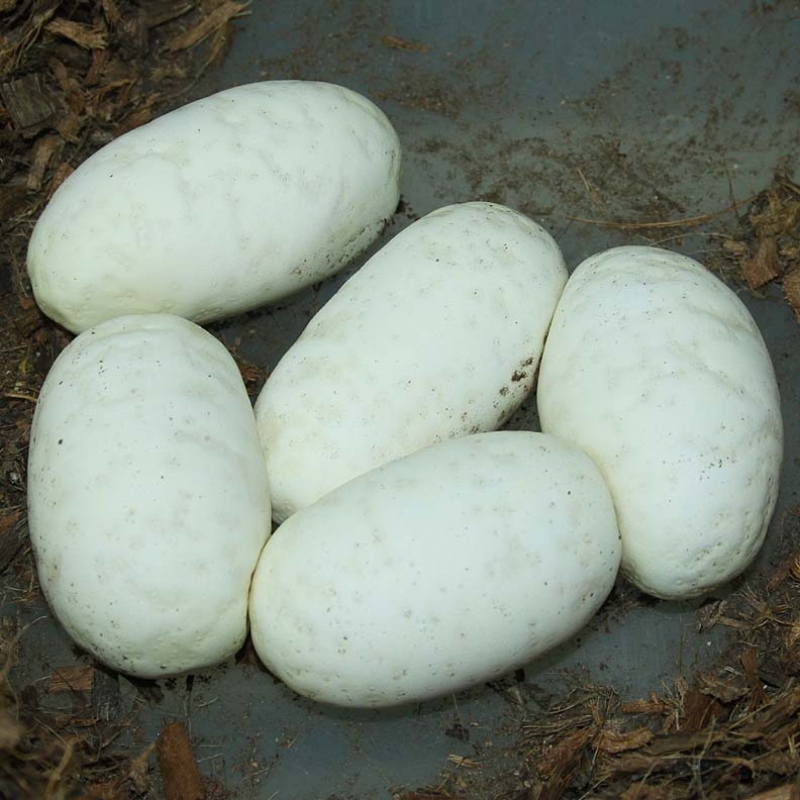 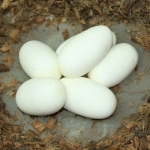 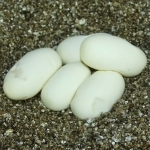 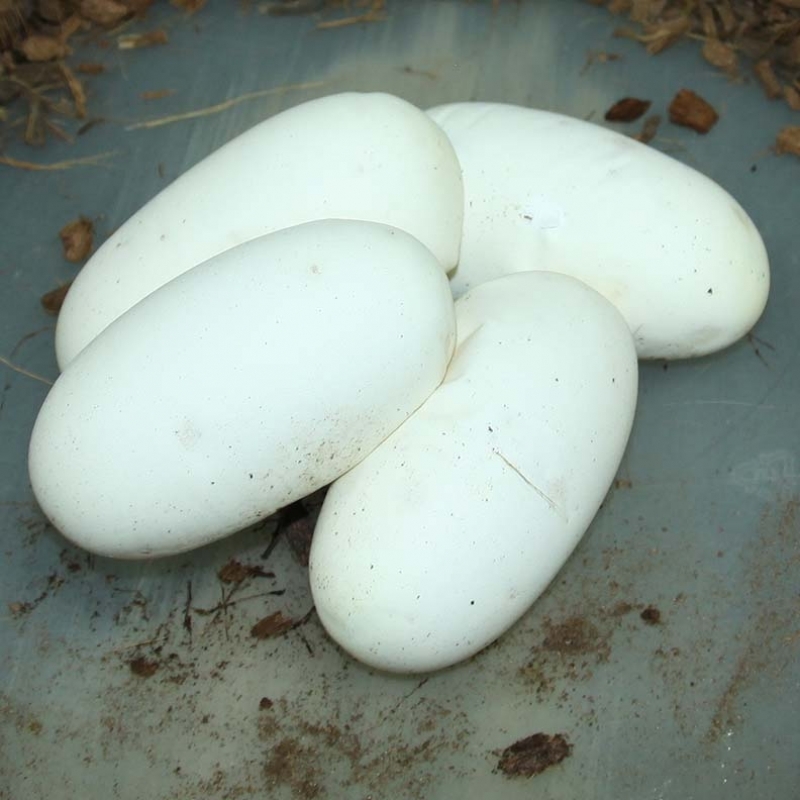 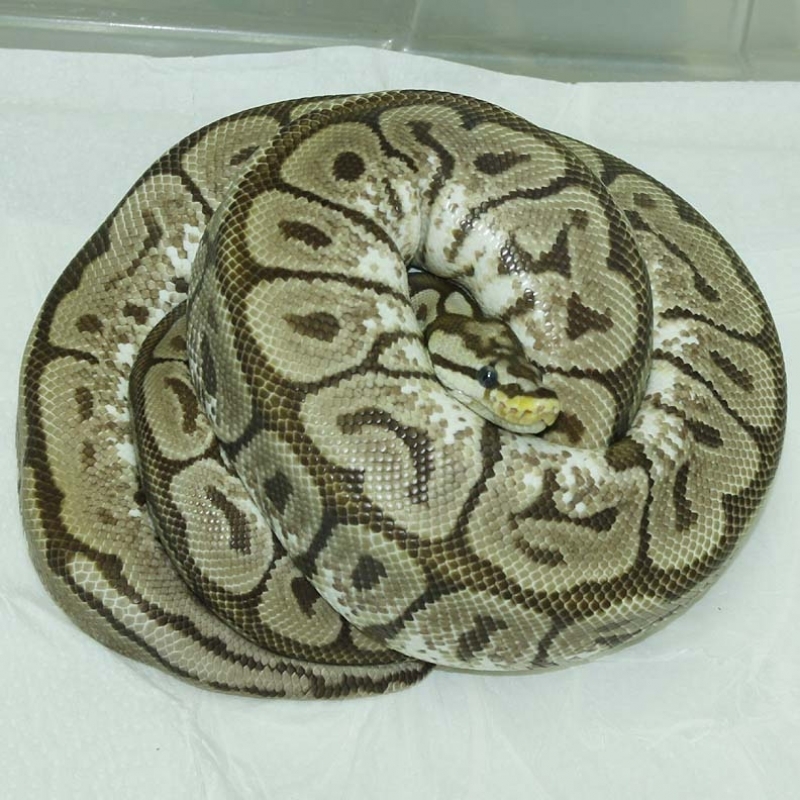 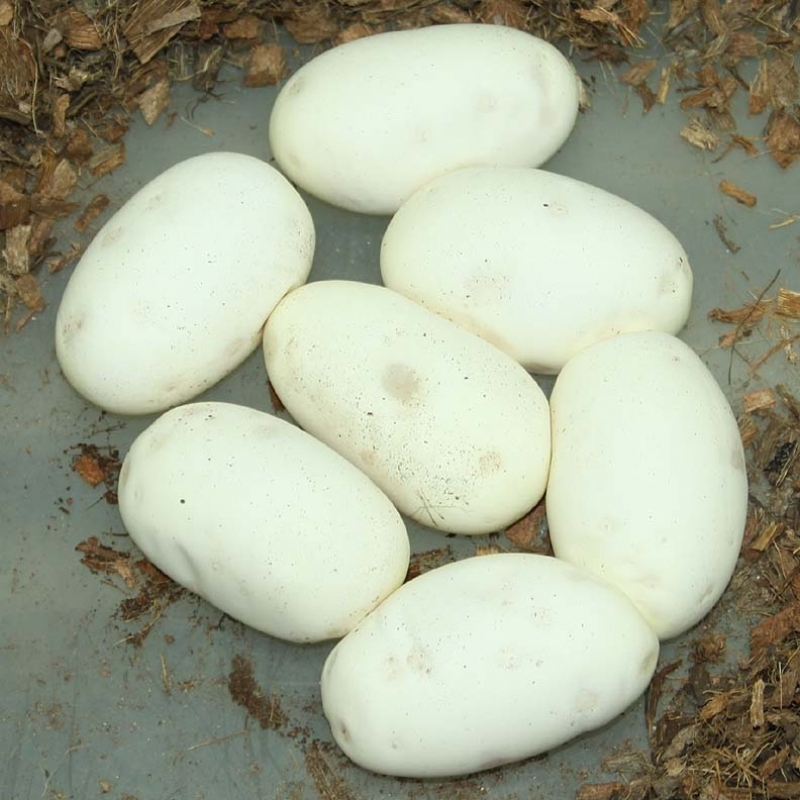 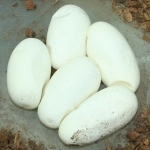 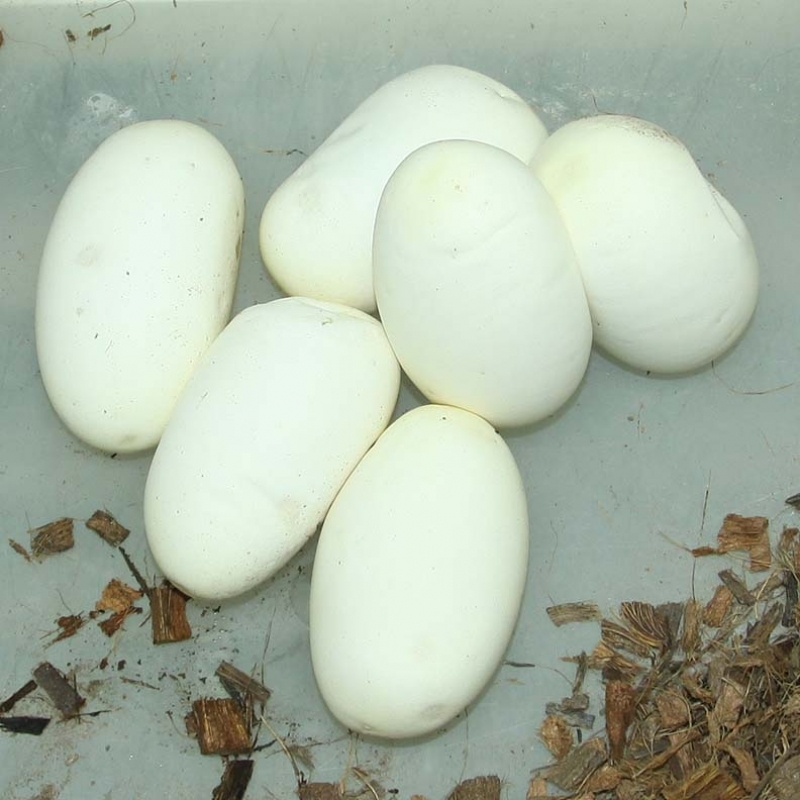 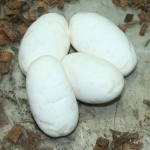 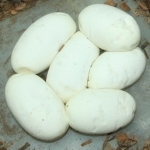 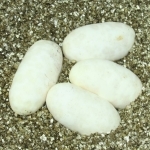 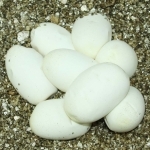 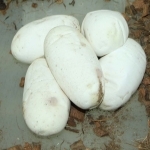 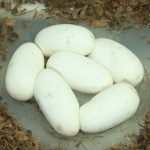 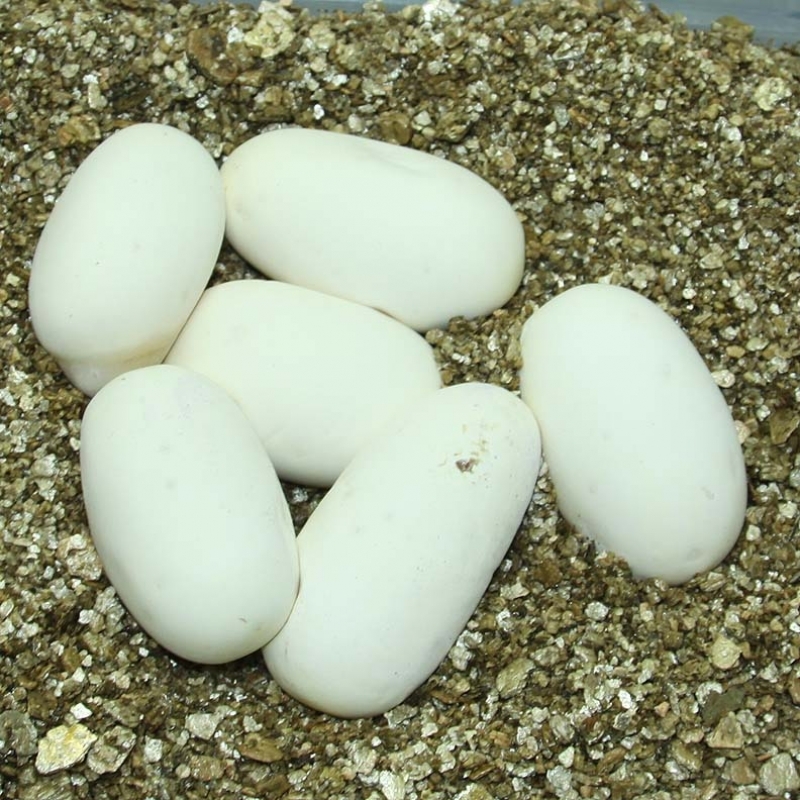 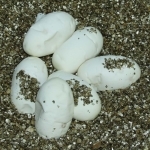 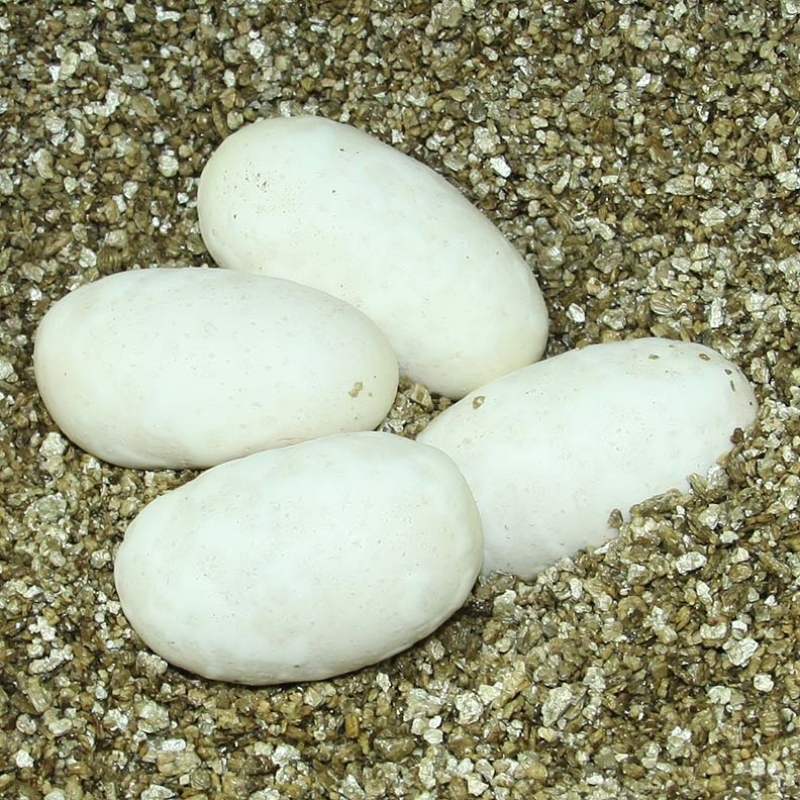 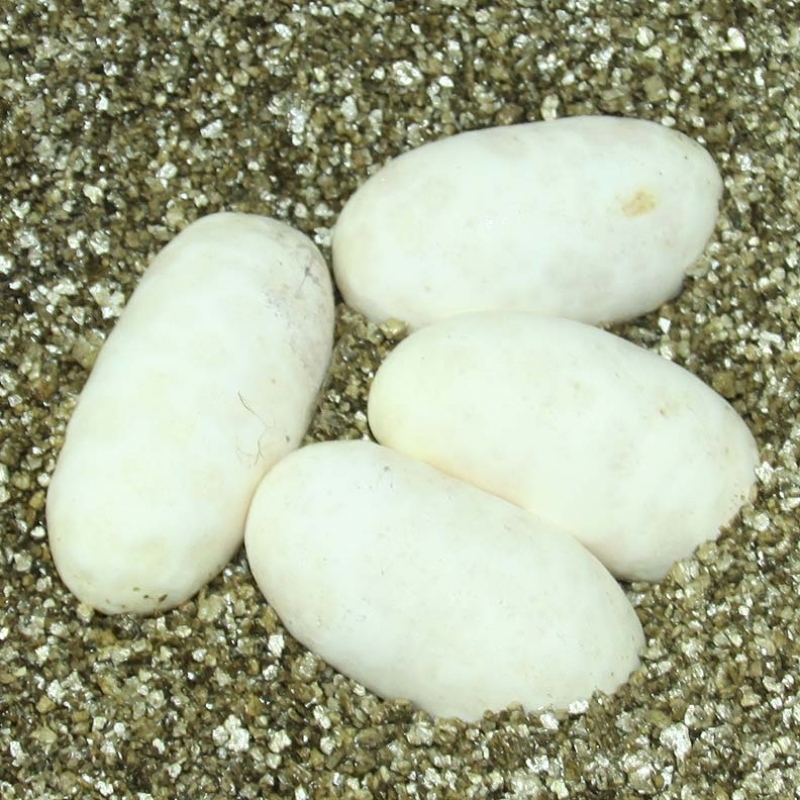 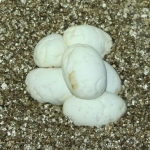 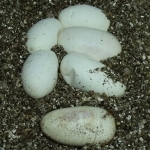 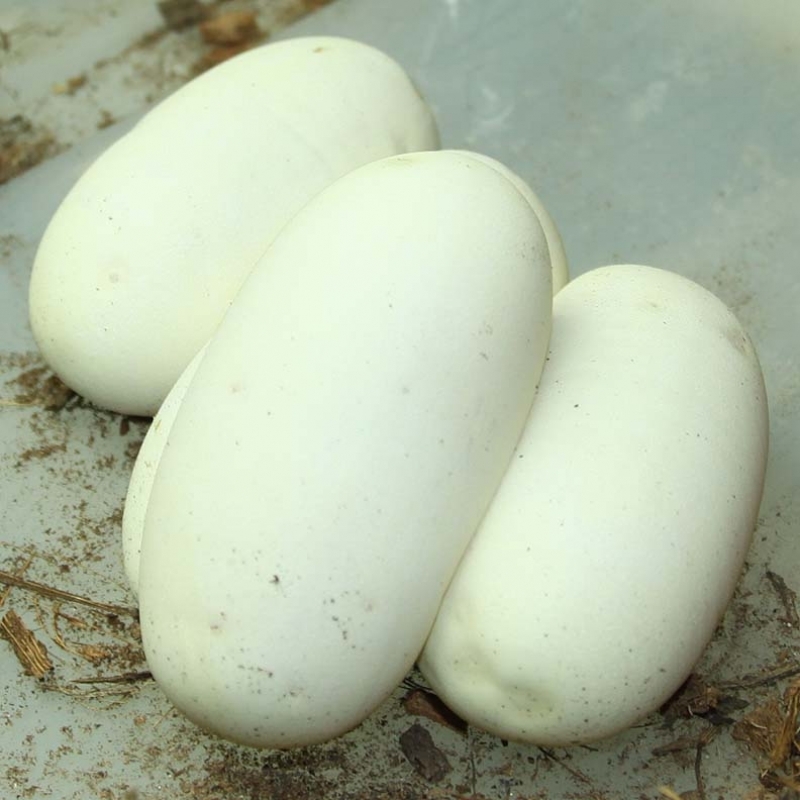 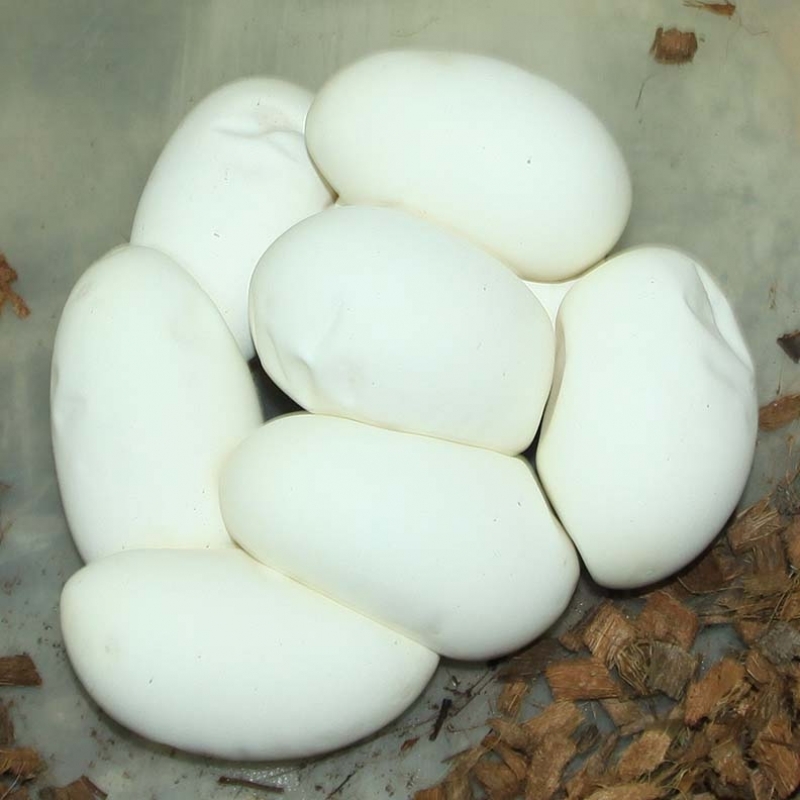 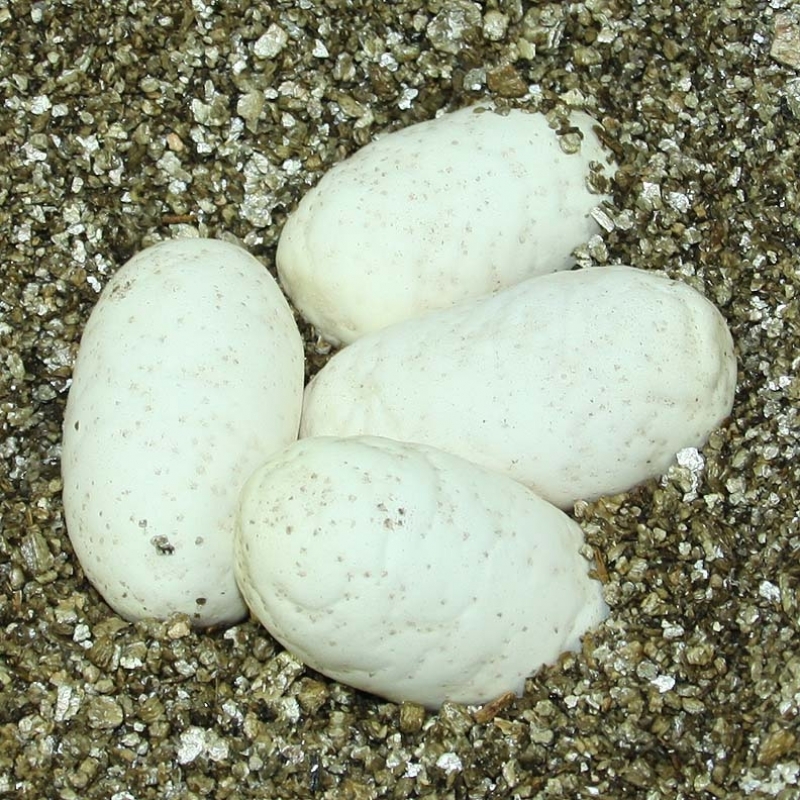 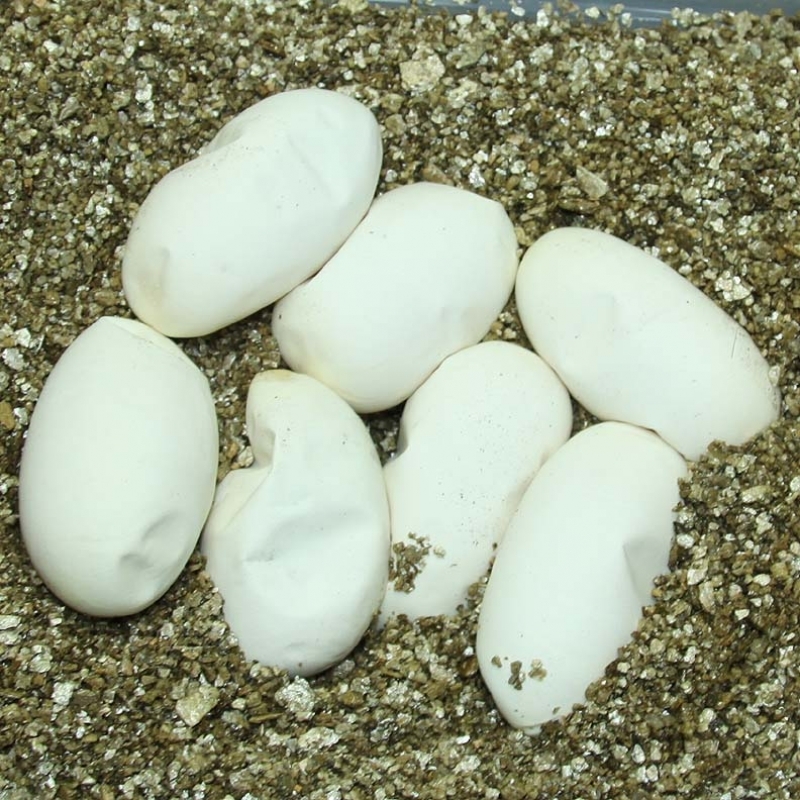 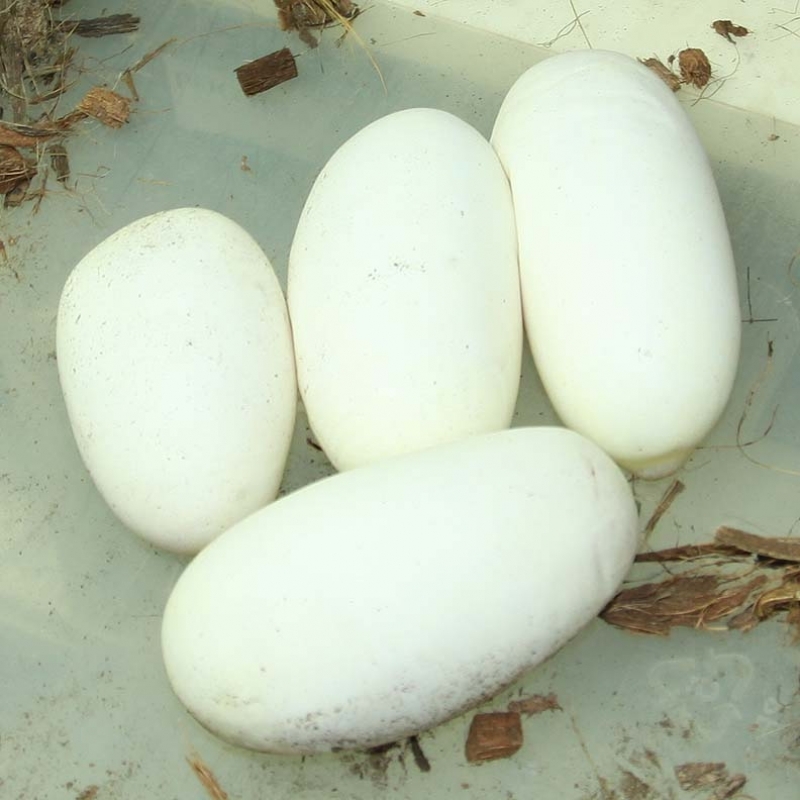 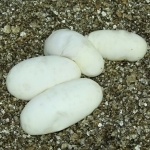 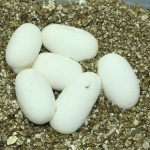 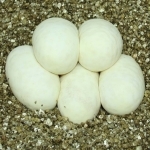 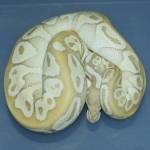 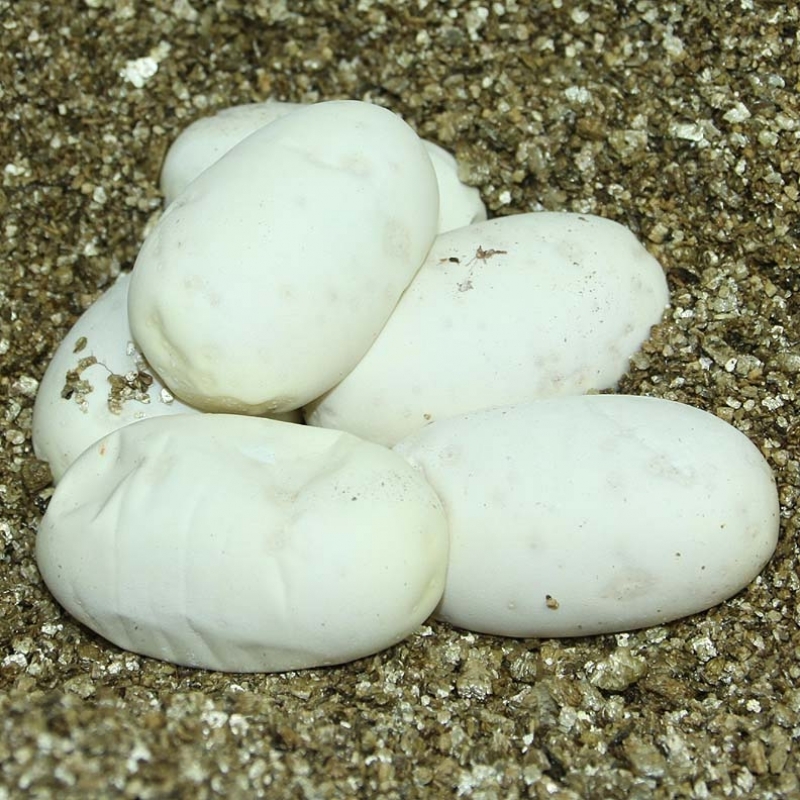 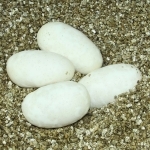 Description: Pied Champagne 1/15 x Lesser Chocolate 1/12. 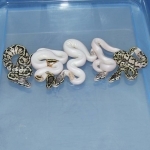 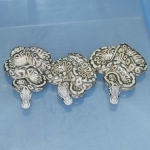 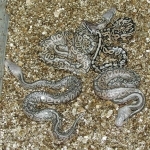 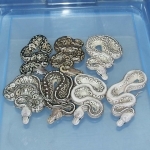 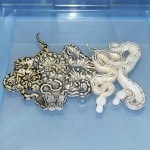 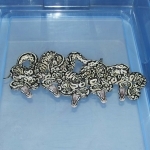 In person the "White Snake" has pattern in it. 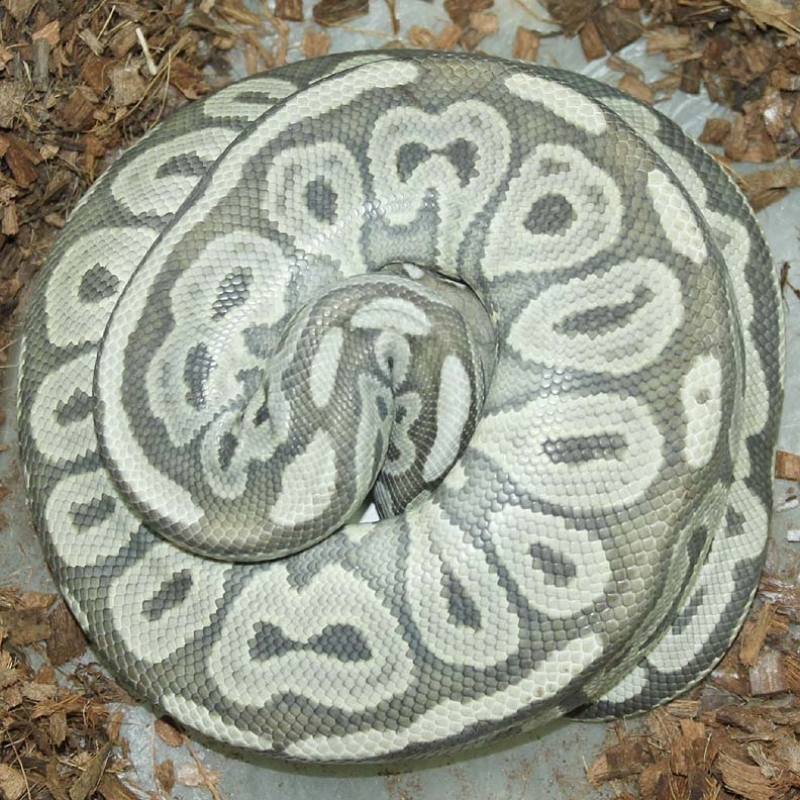 So, it will have a pied pattern as it matures. 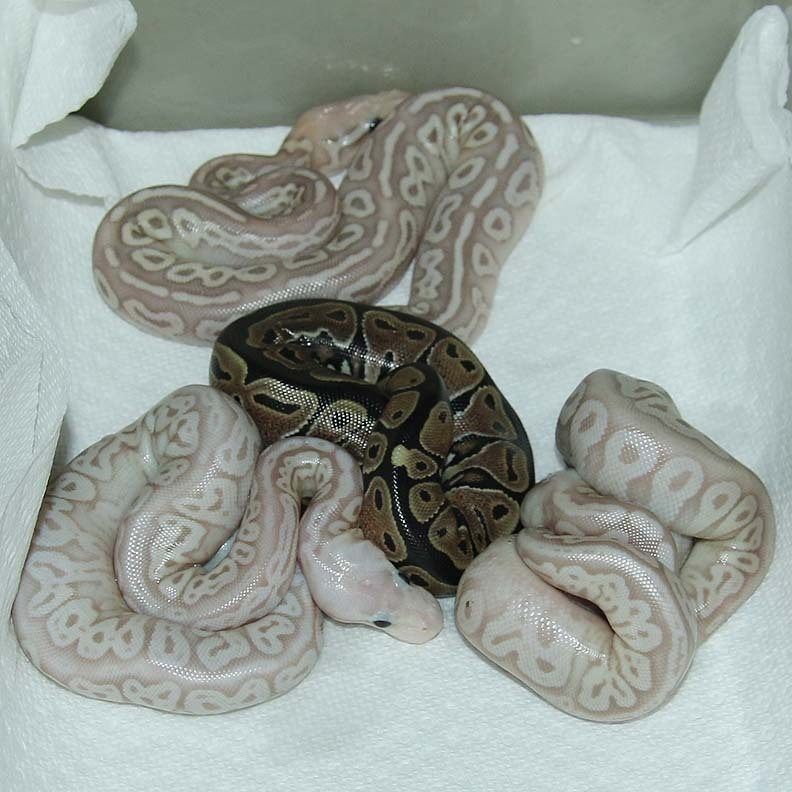 Also, I will need to wait a couple months for their colour to come in before I know what they are. 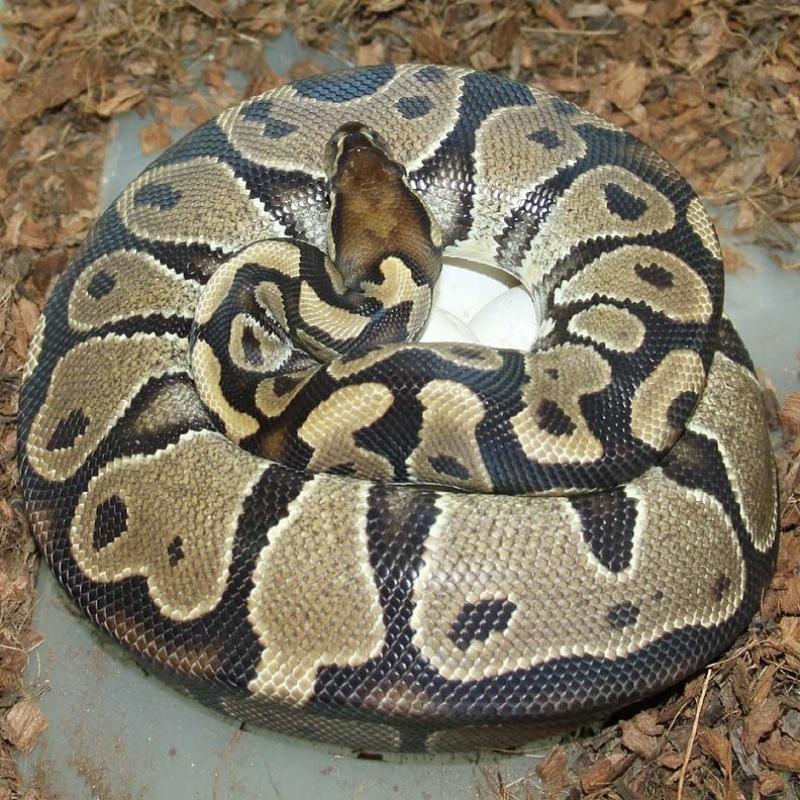 If you are interested in animals from clutch #31 please email or call 519-824-7377. 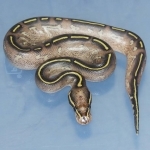 Description: Banana Phantom 1/15 x Citrus Puma 1/13. 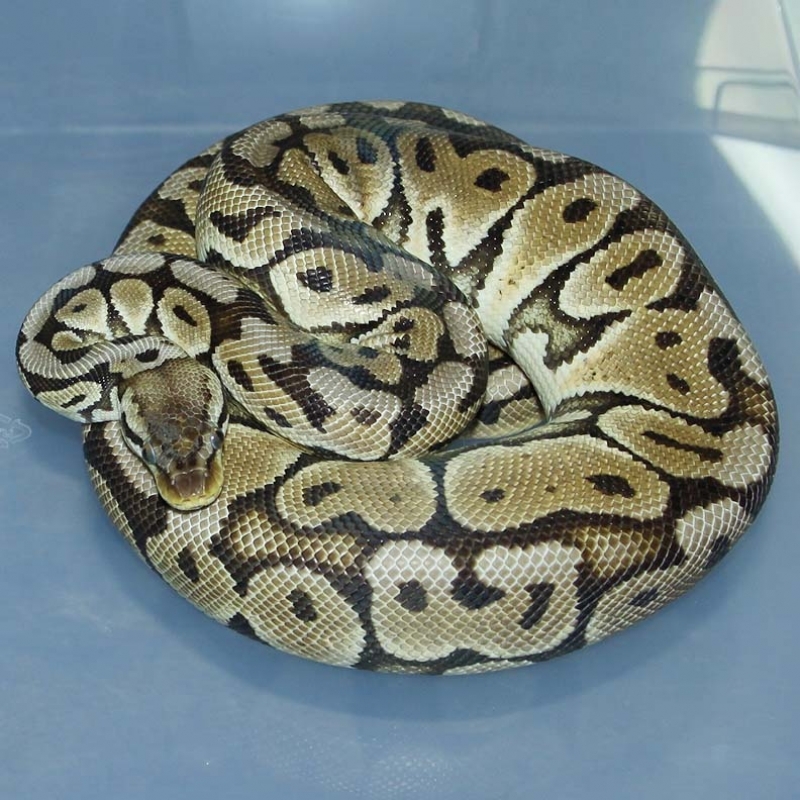 If you are interested in animals from clutch #32 please email or call 519-824-7377. 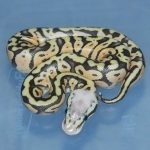 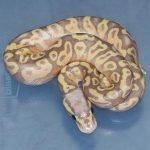 Description: Pastel DH Puzzle/Pied 2/14 x Pastel DH Puzzle/Pied 1/14. 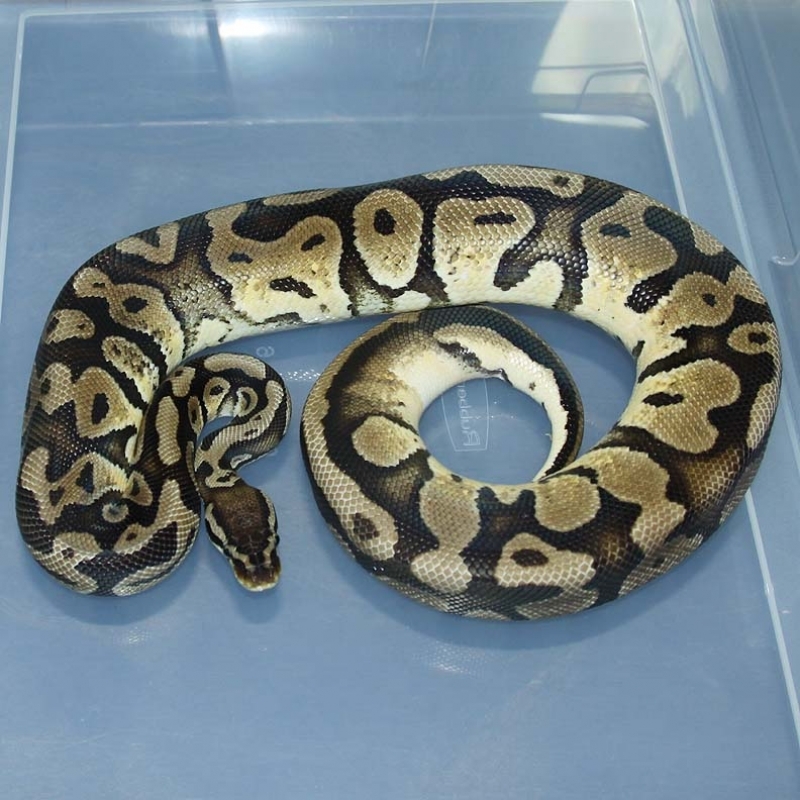 If you are interested in animals from clutch #33 please email or call 519-824-7377. 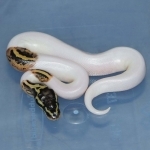 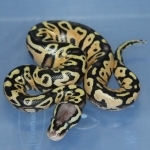 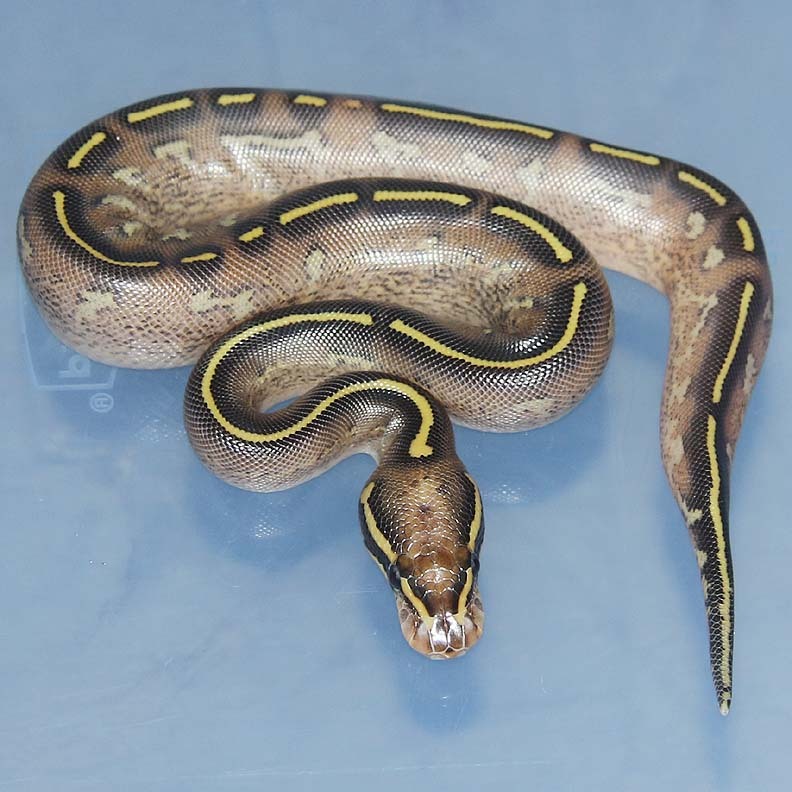 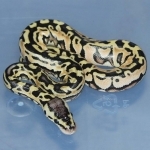 Description: Lesser Banana HRA 1/15 x Pastel Red Axanthic 1/07. 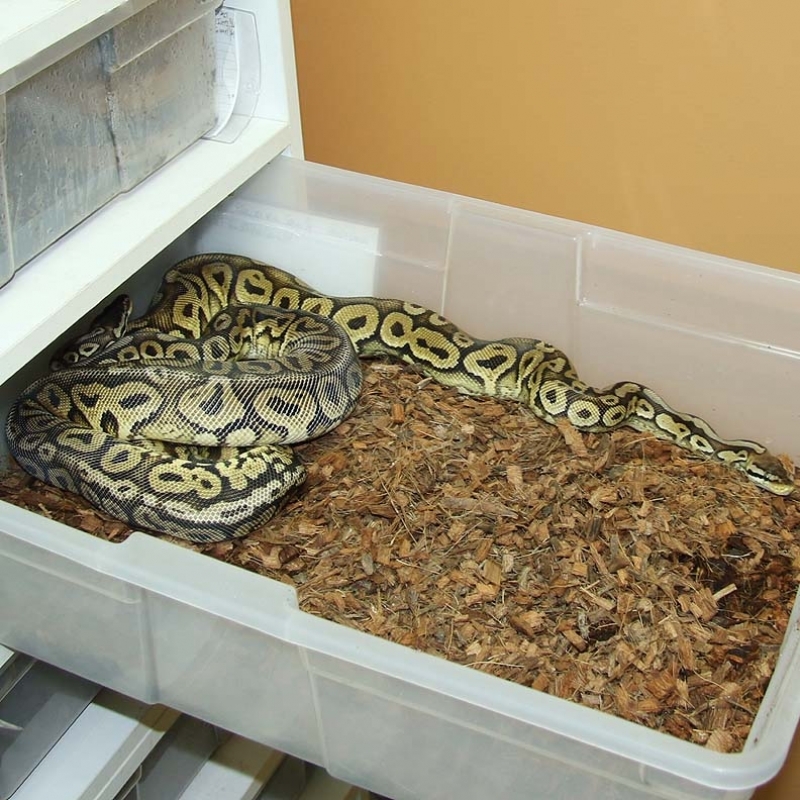 If you are interested in animals from clutch #34 please email or call 519-824-7377. 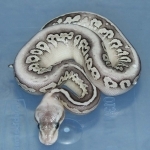 Description: POG Phantom 3/14 x POG 2/06. 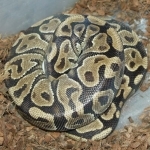 If you are interested in animals from clutch #35 please email or call 519-824-7377. Description: POG Pied HRA 1/15 x Super Pastel YB HOG 1/12. 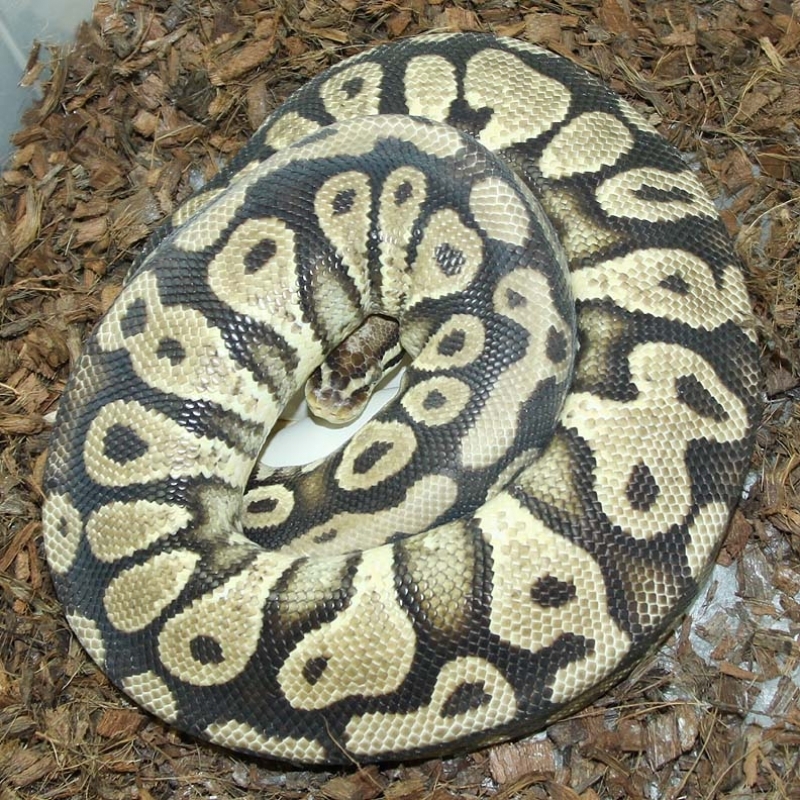 If you are interested in animals from clutch #36 please email or call 519-824-7377. 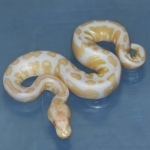 Description: Albino Mahogany 3/15 x Albino 1/08. 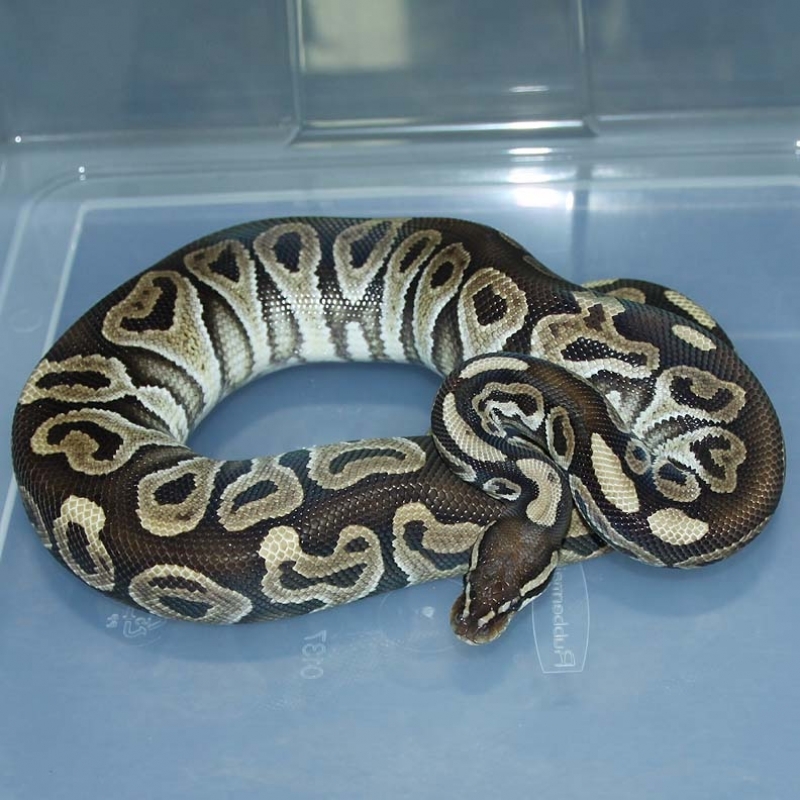 If you are interested in animals from clutch #37 please email or call 519-824-7377. 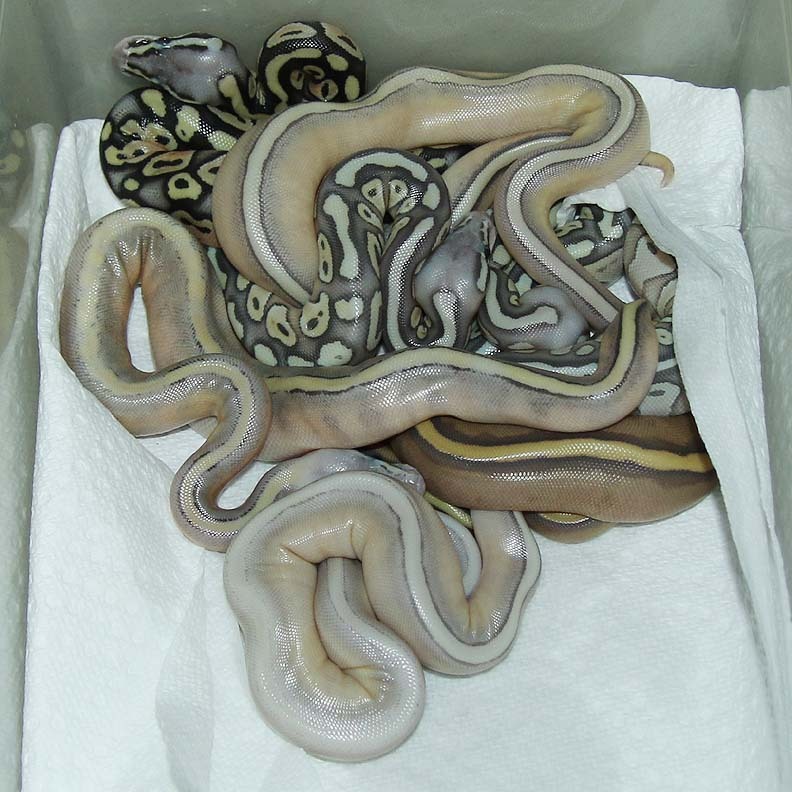 Description: Red Axanthic Pinstripe Champagne Het Pied Het Gold Stripe 1/15 x Red Aaxnthic Het Pied 1/13. 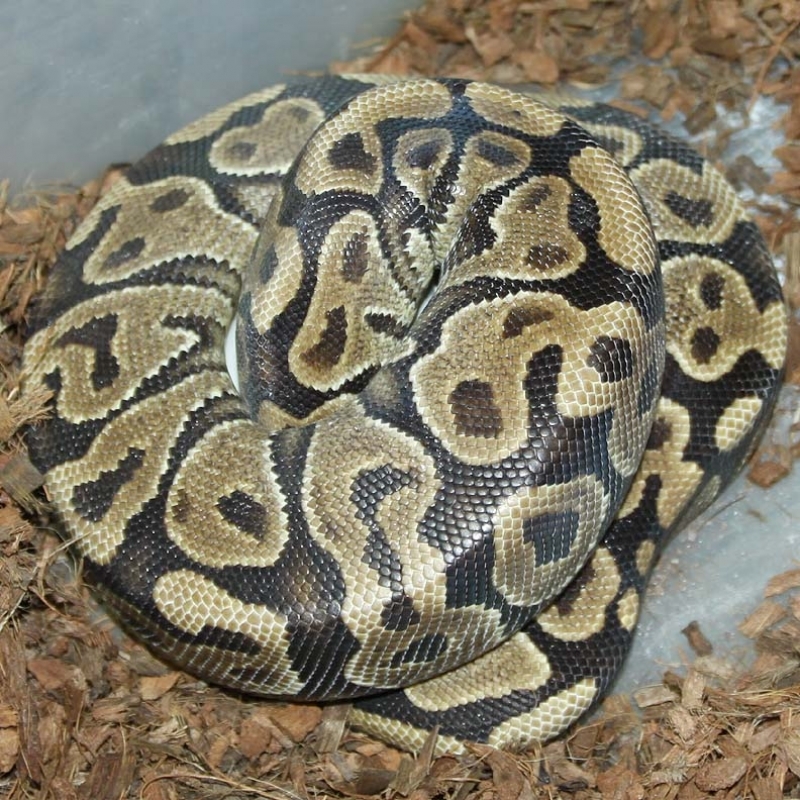 If you are interested in animals from clutch #38 please email or call 519-824-7377. 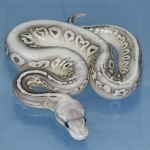 Description: Pastel DH Puzzle/Pied 2/14 x Pastel DH Puzzle/Pied 2/14. 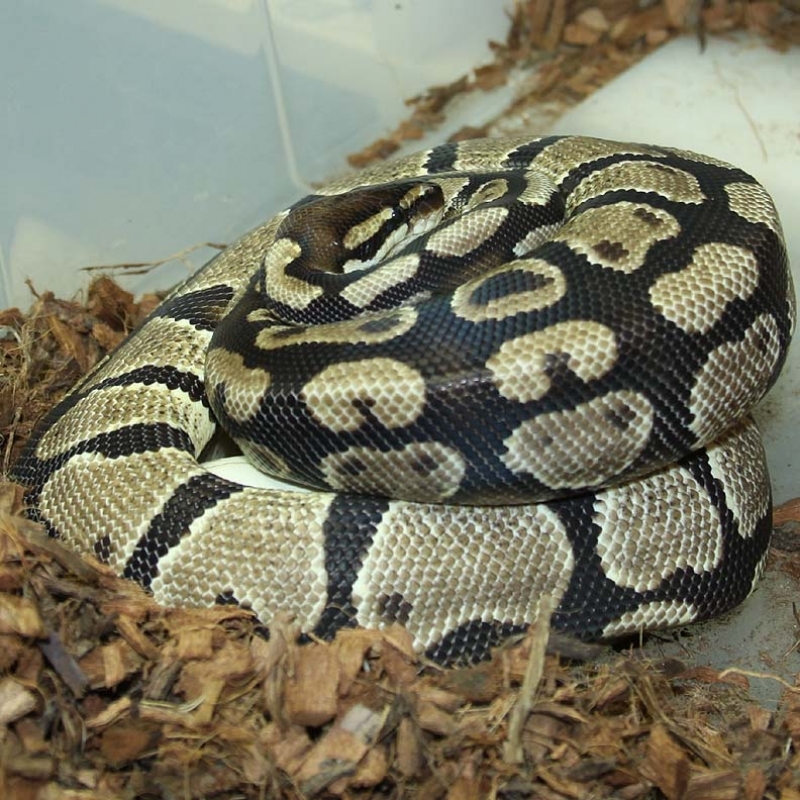 If you are interested in animals from clutch #39 please email or call 519-824-7377. 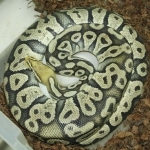 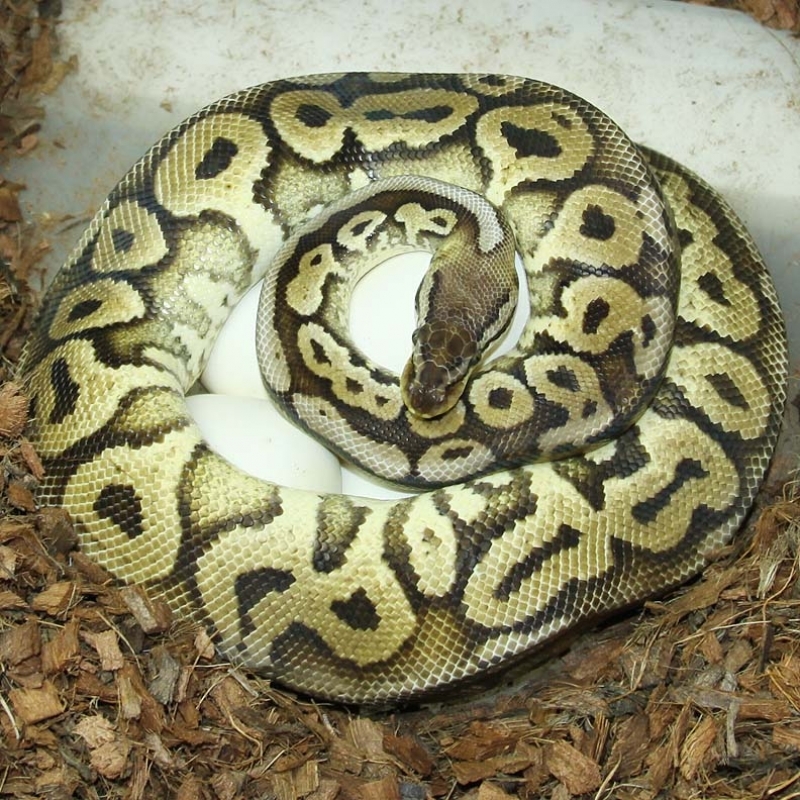 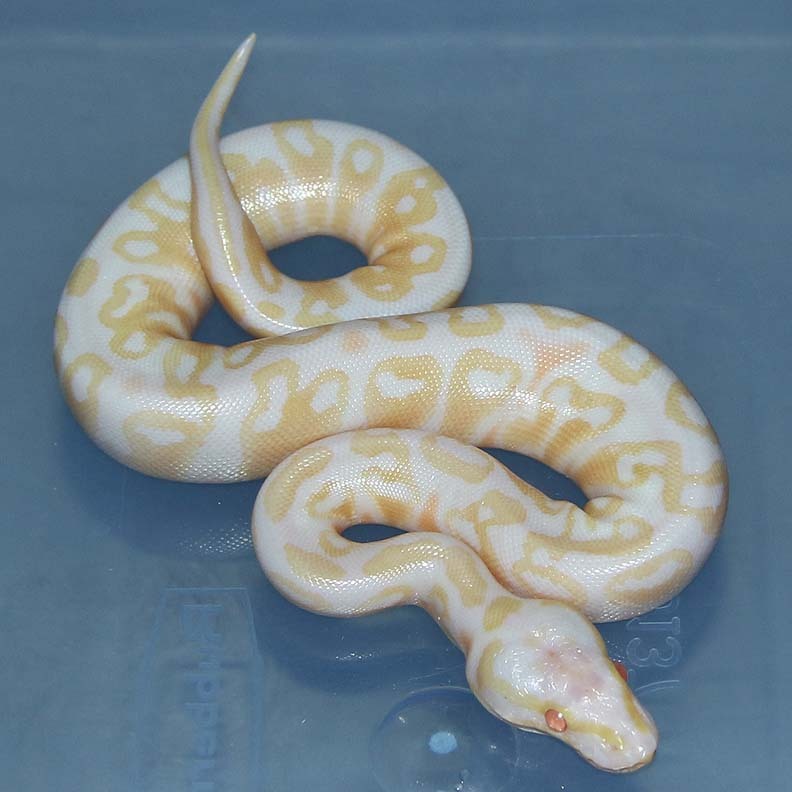 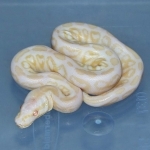 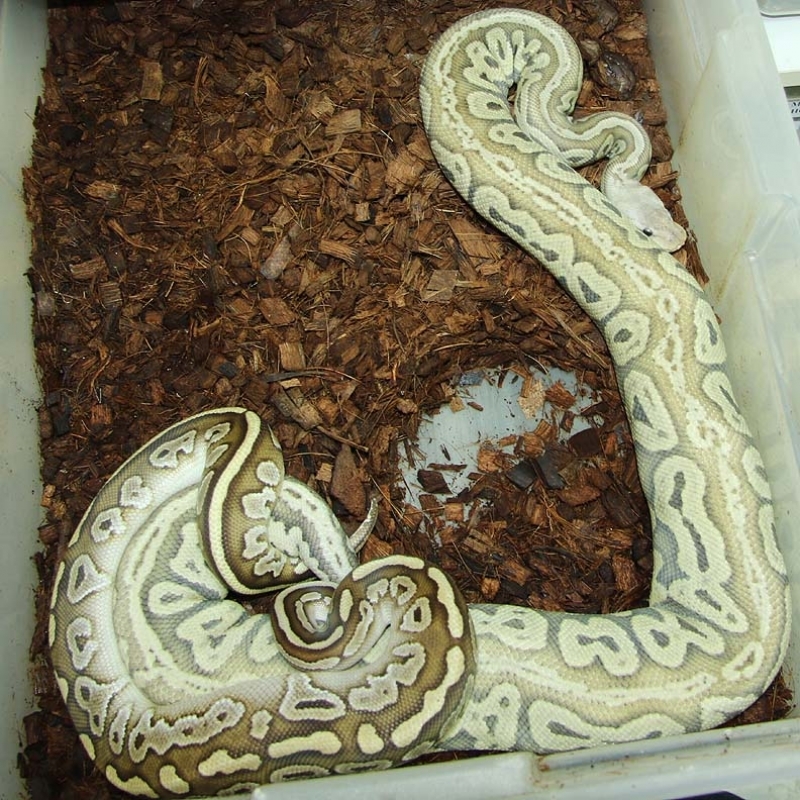 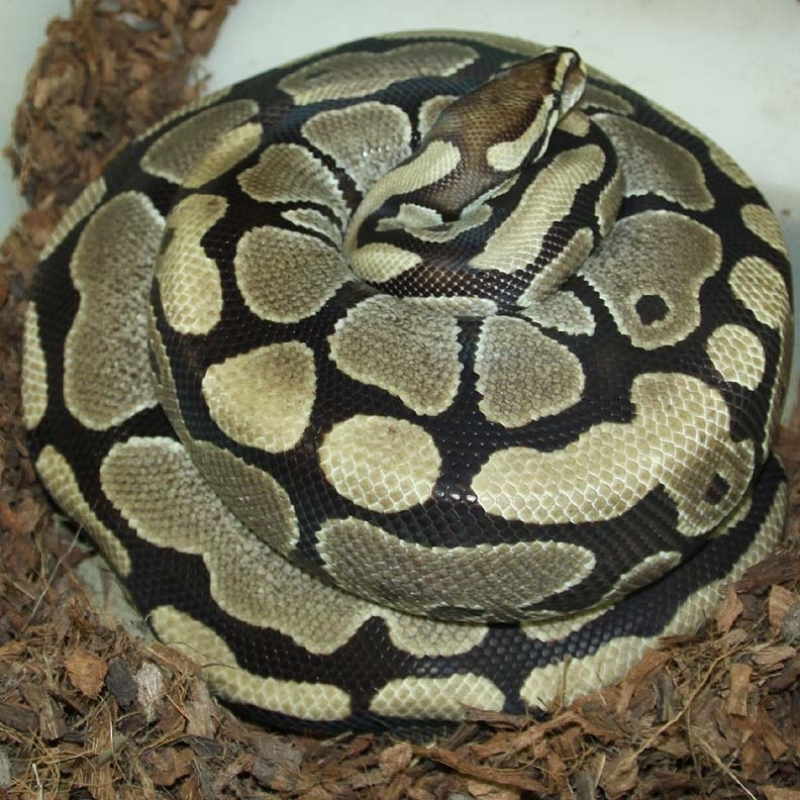 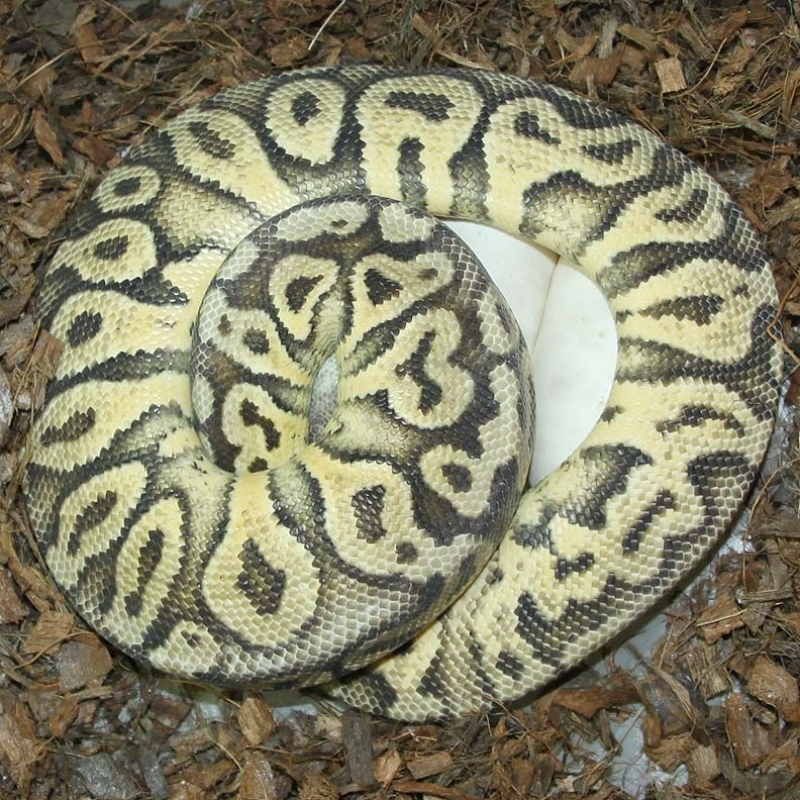 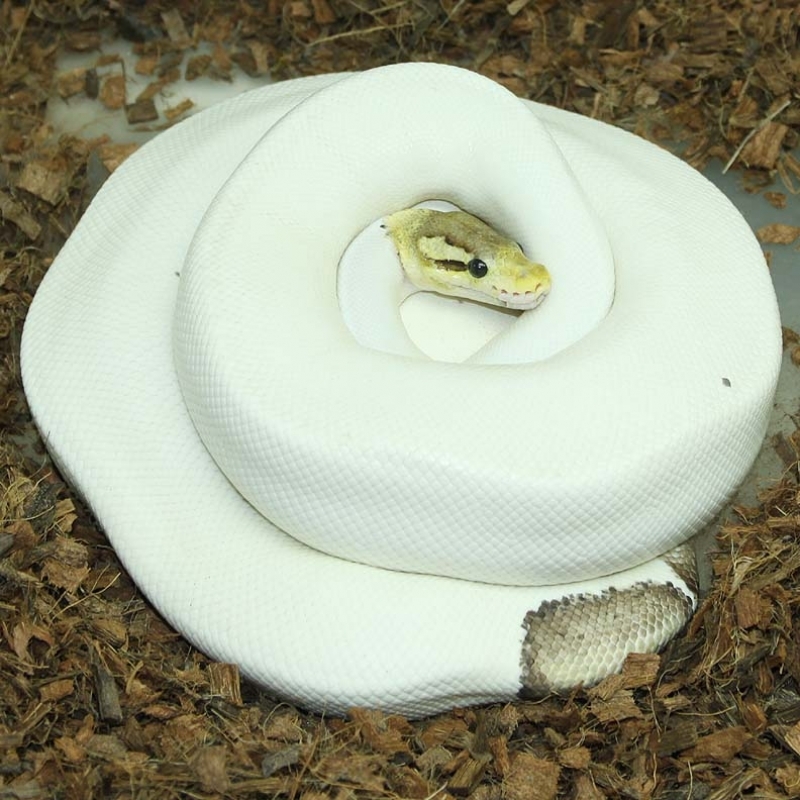 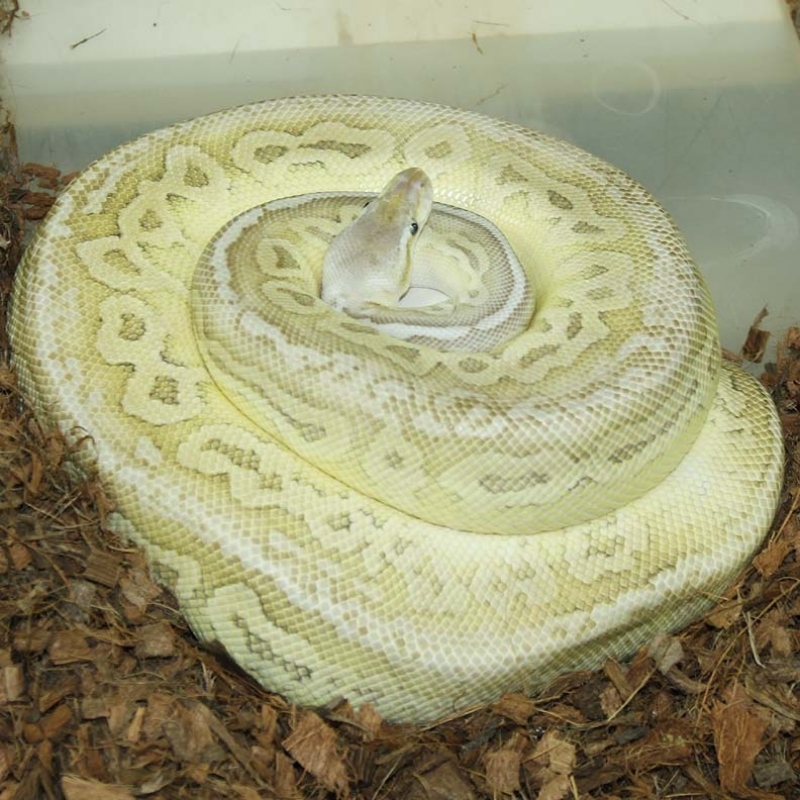 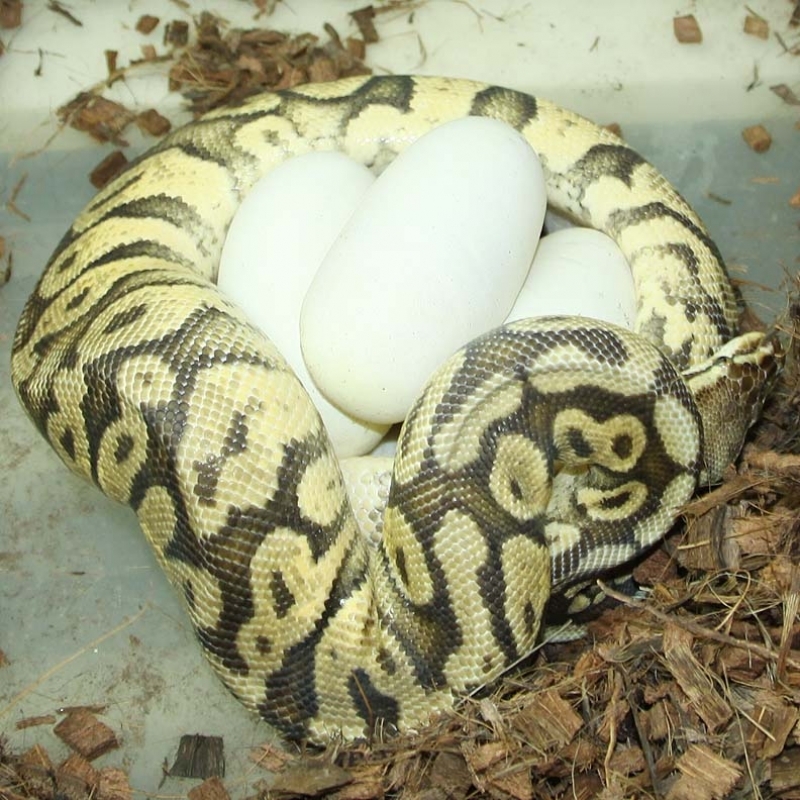 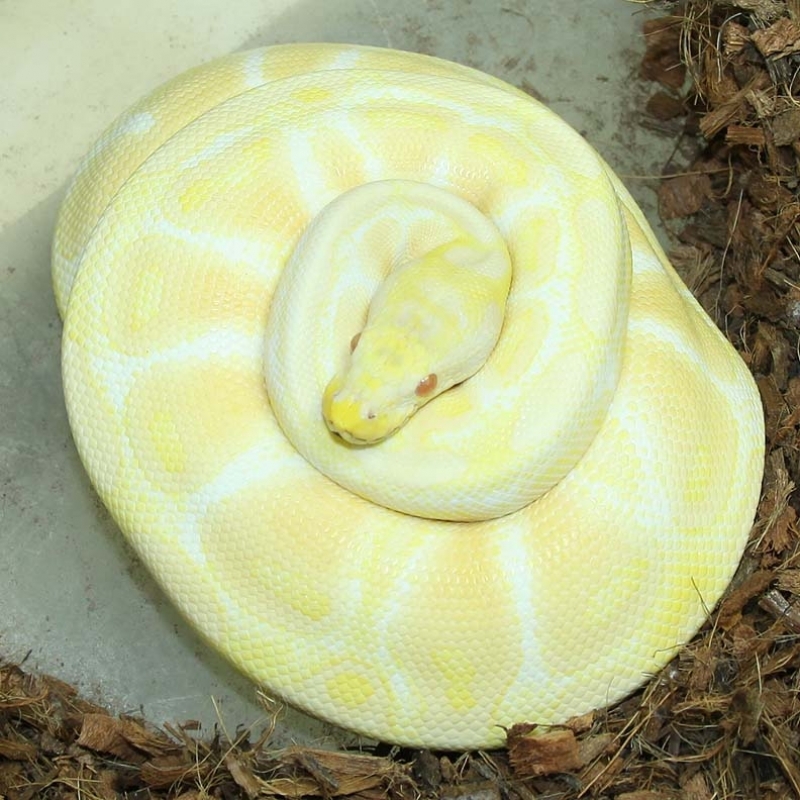 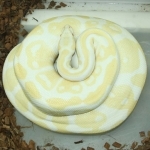 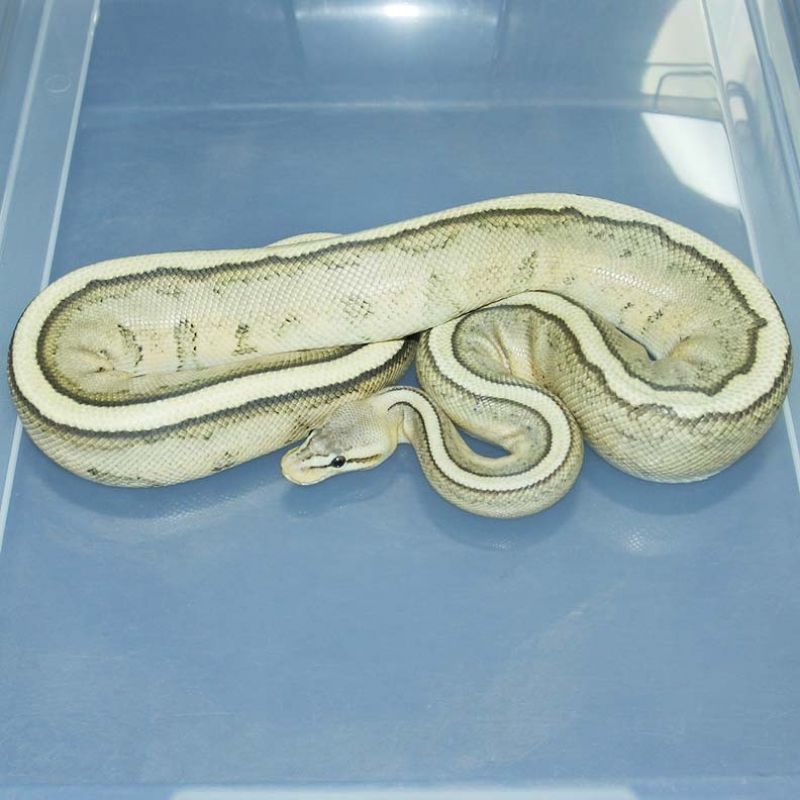 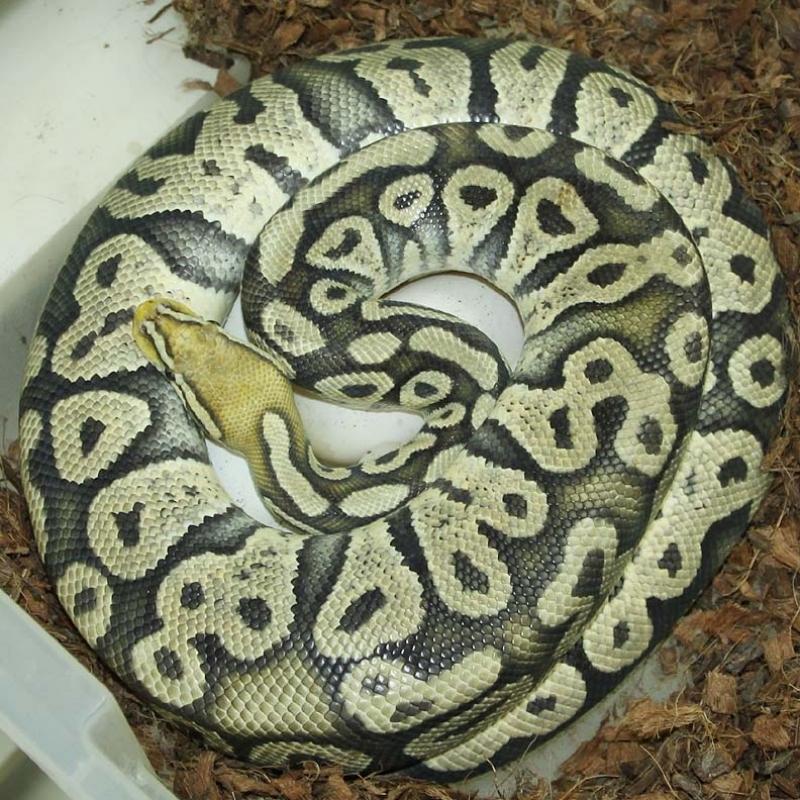 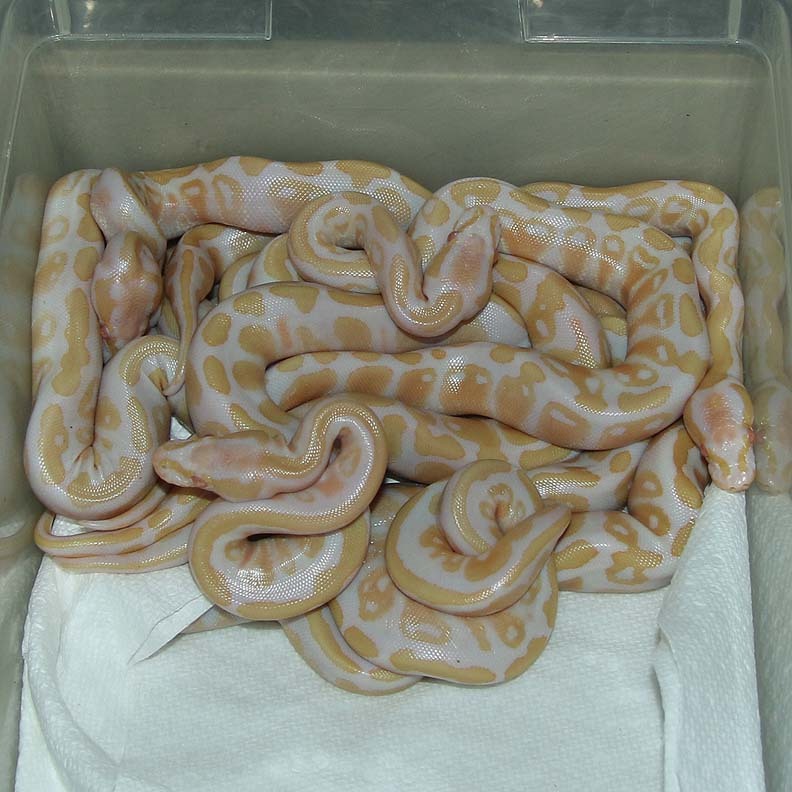 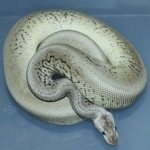 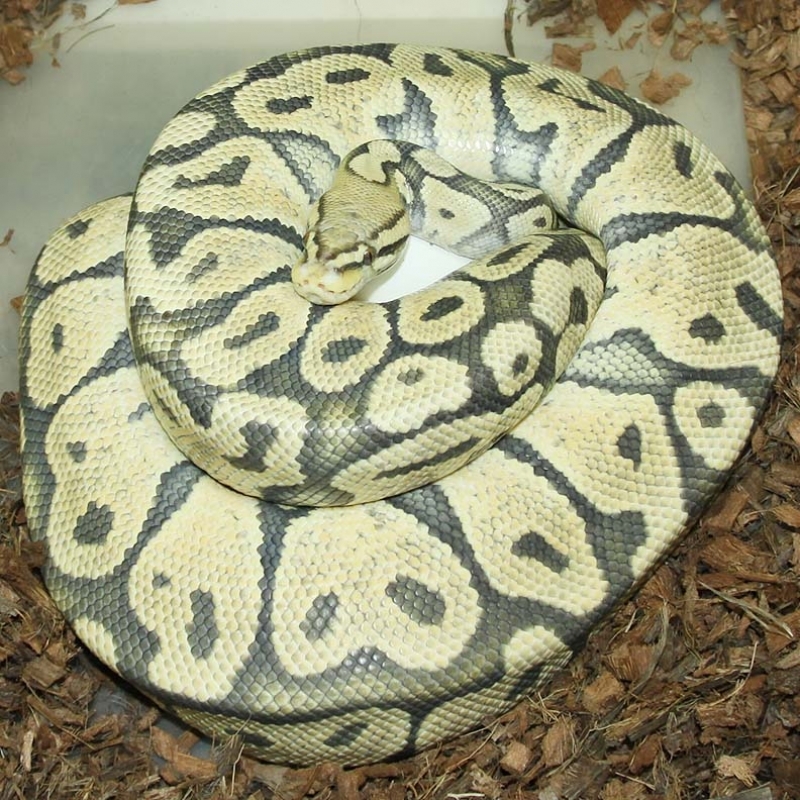 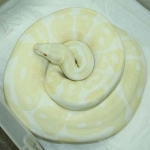 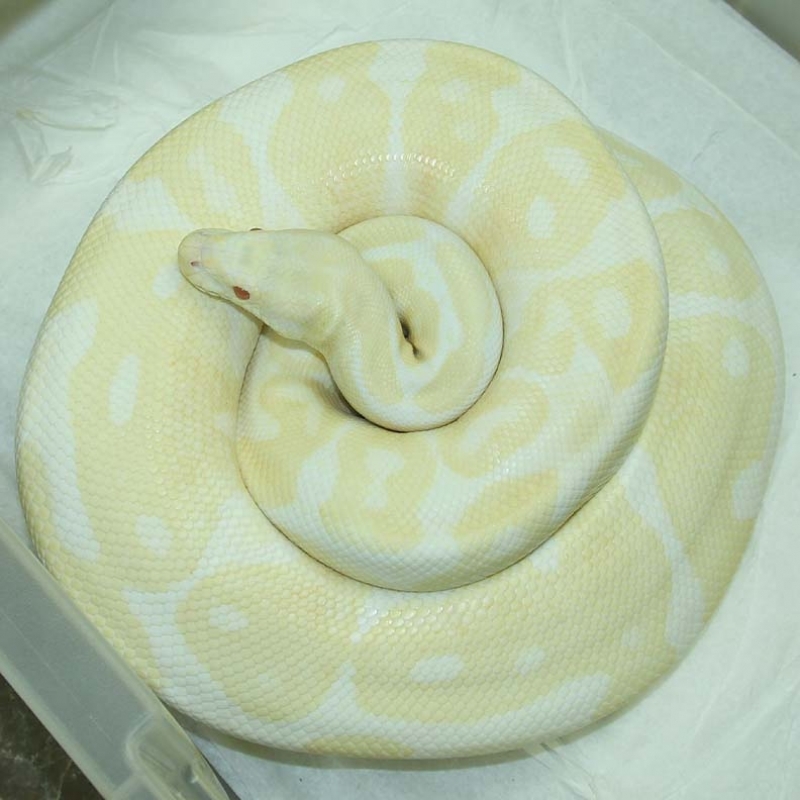 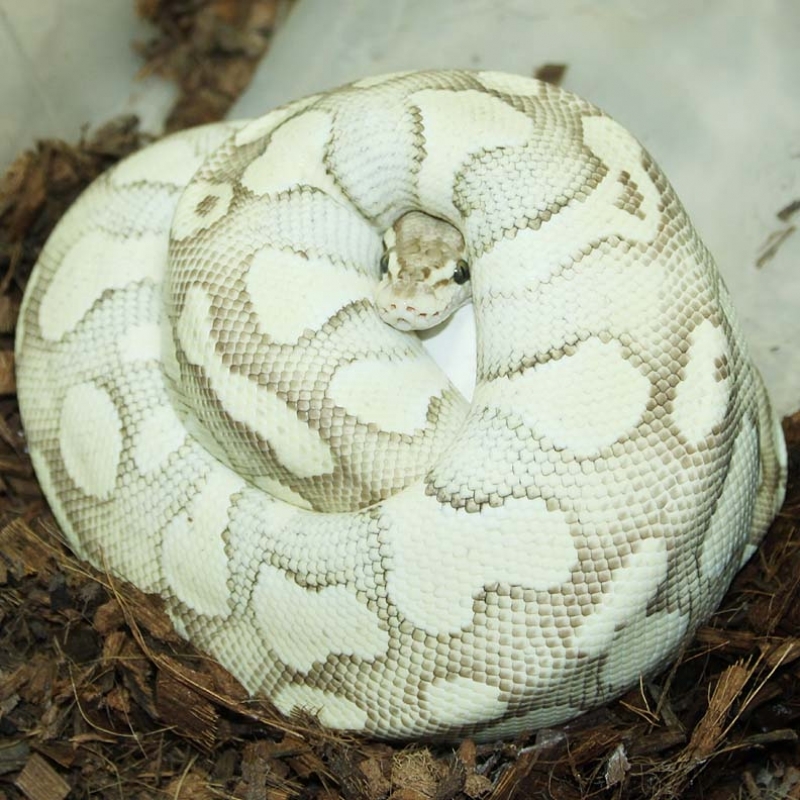 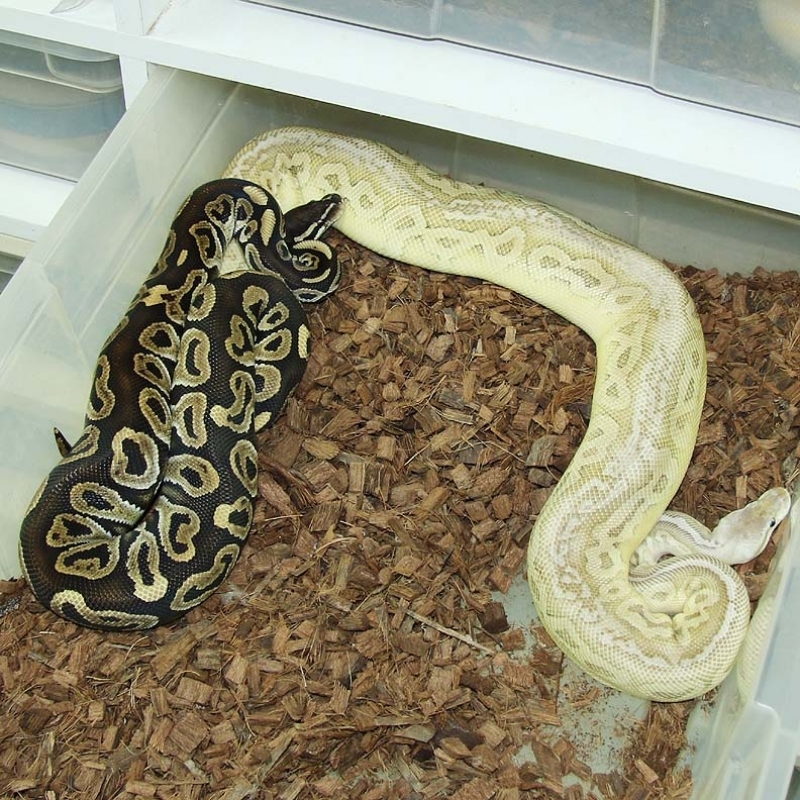 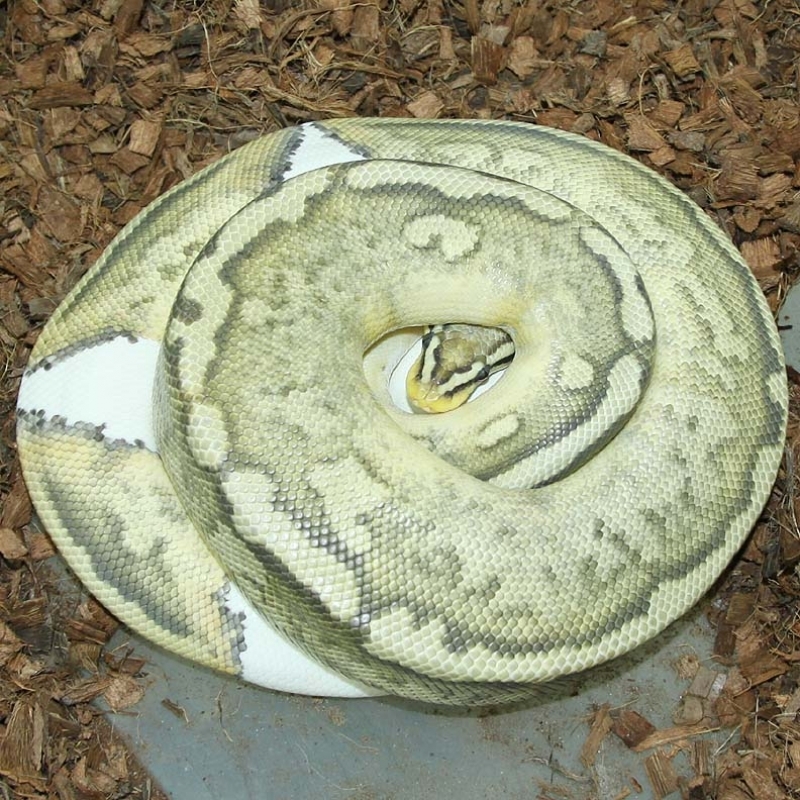 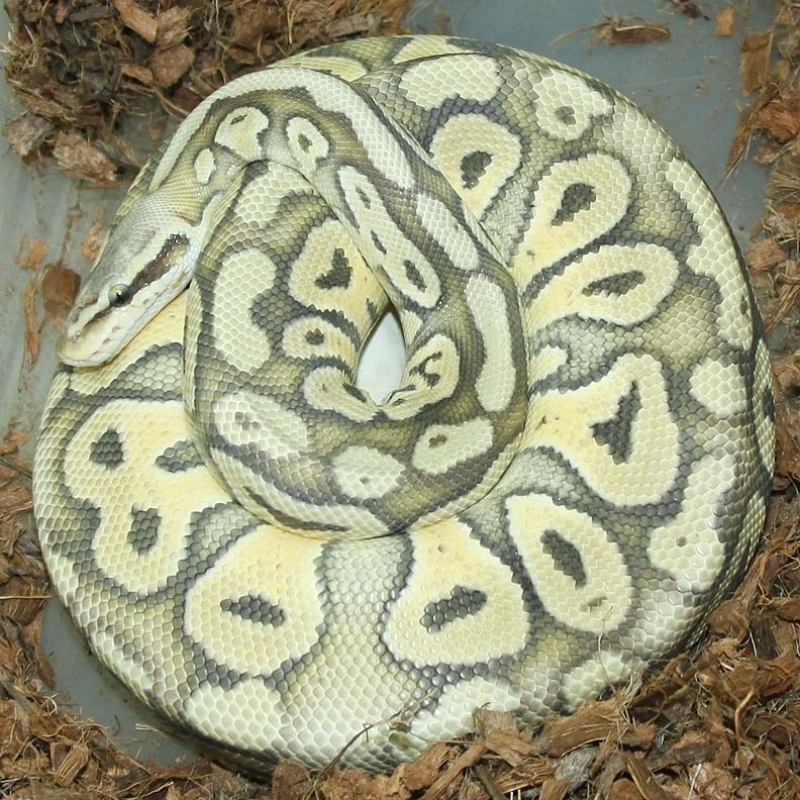 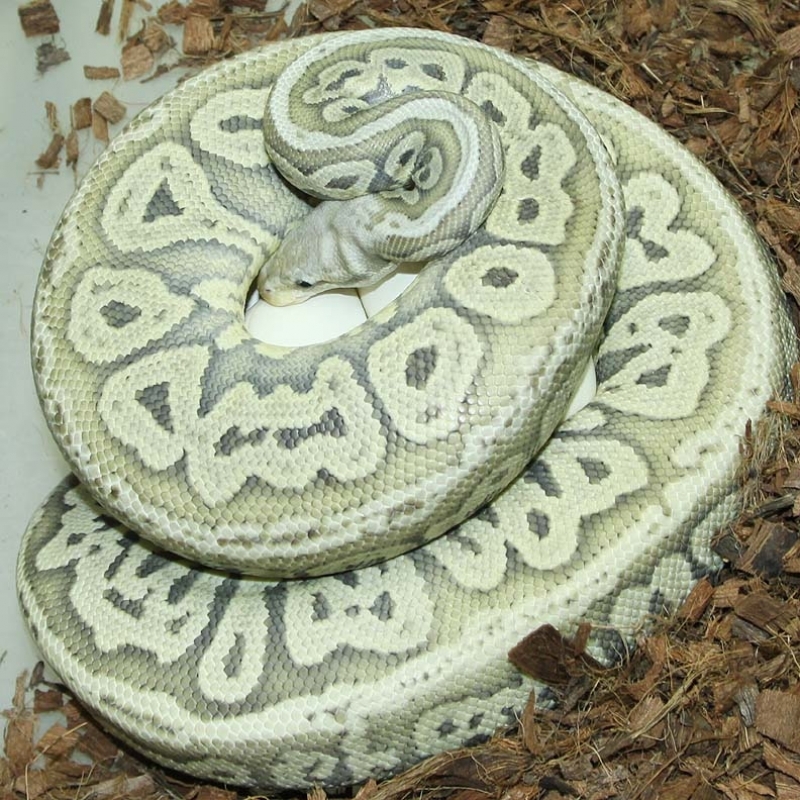 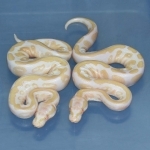 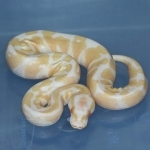 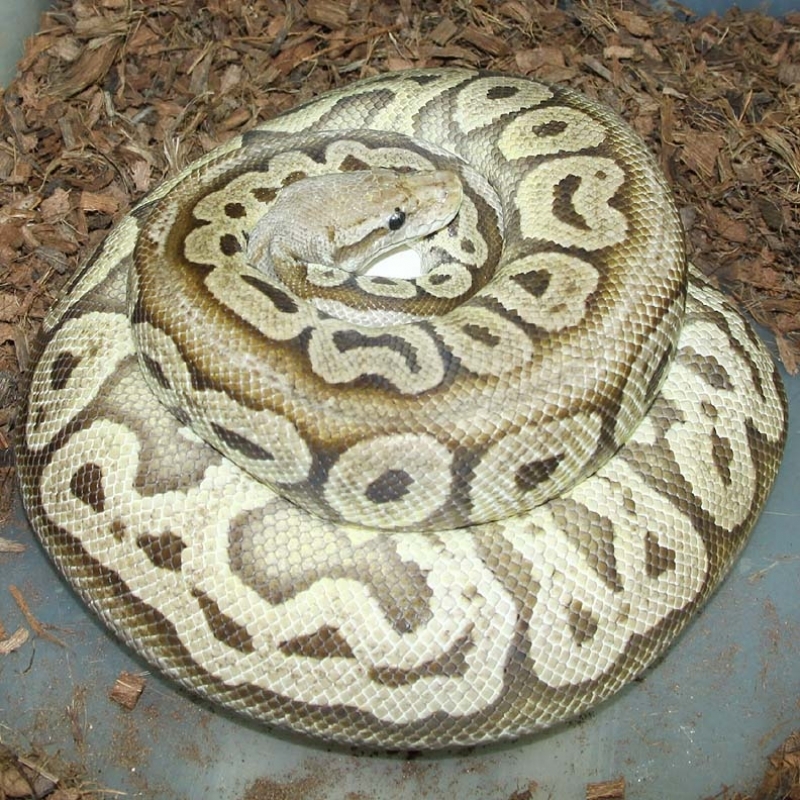 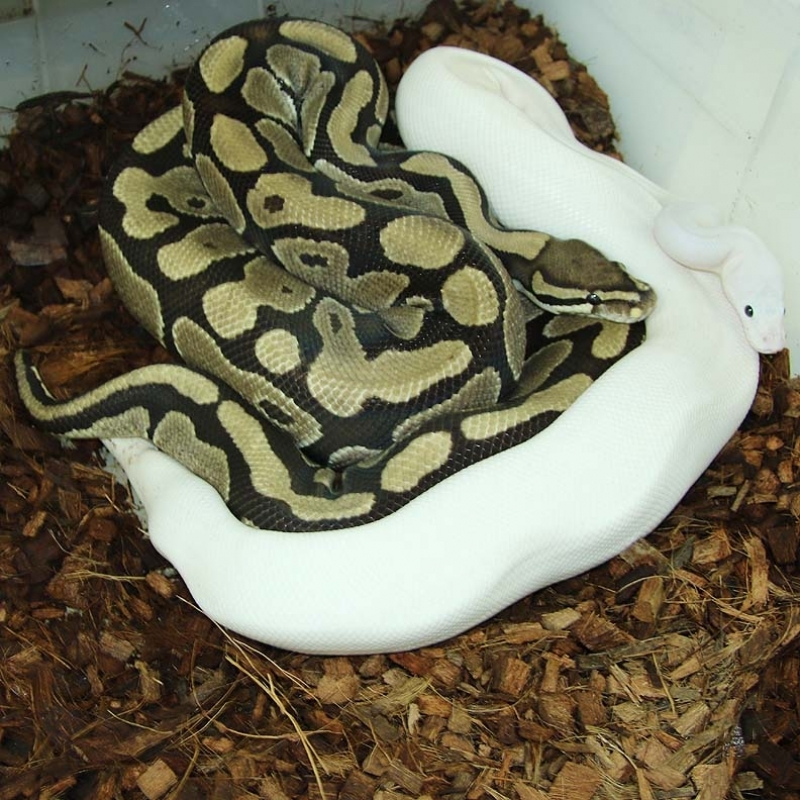 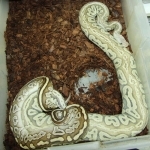 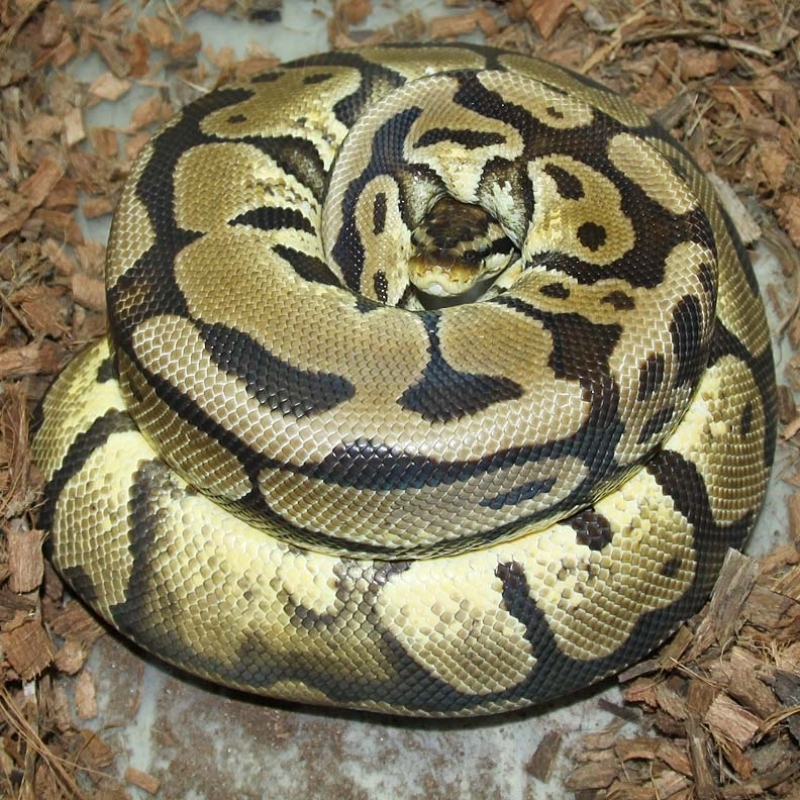 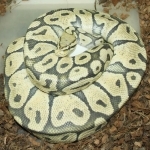 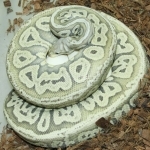 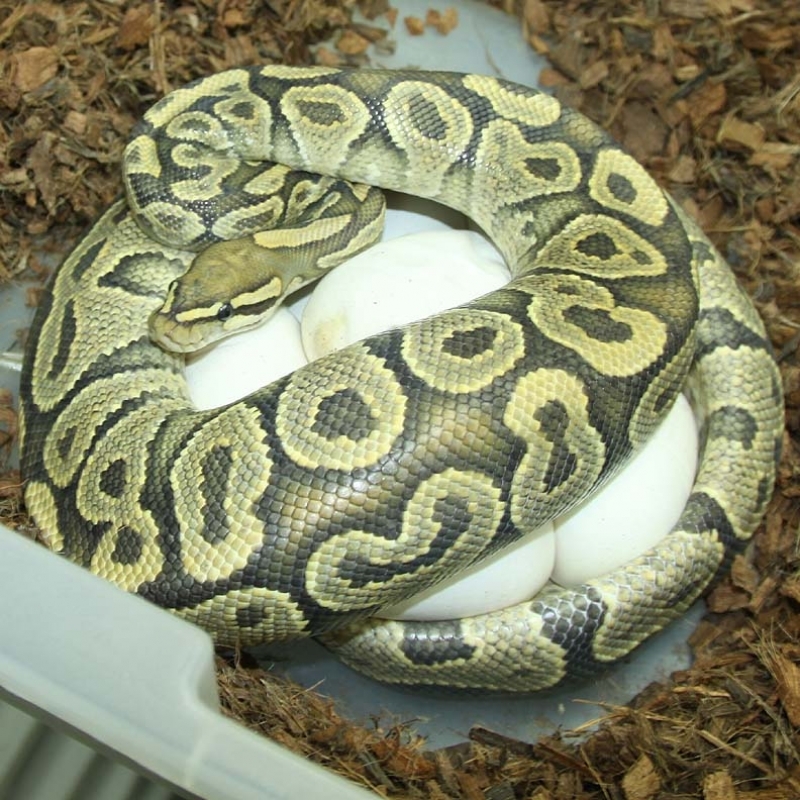 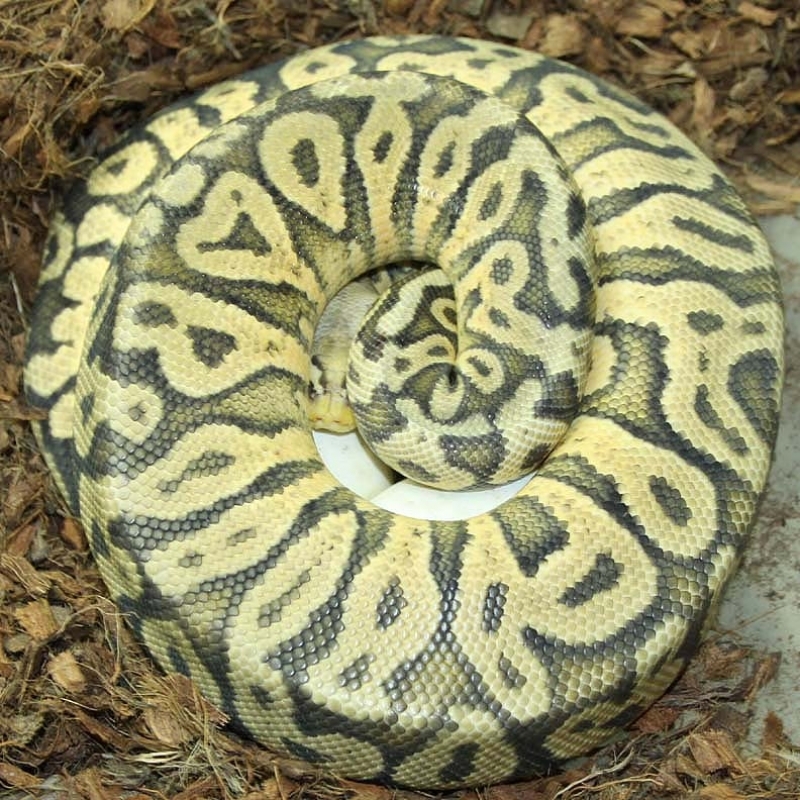 Description: Pastel Spark Het RA/Albino 1/15 x YB Het Albino 8/14. 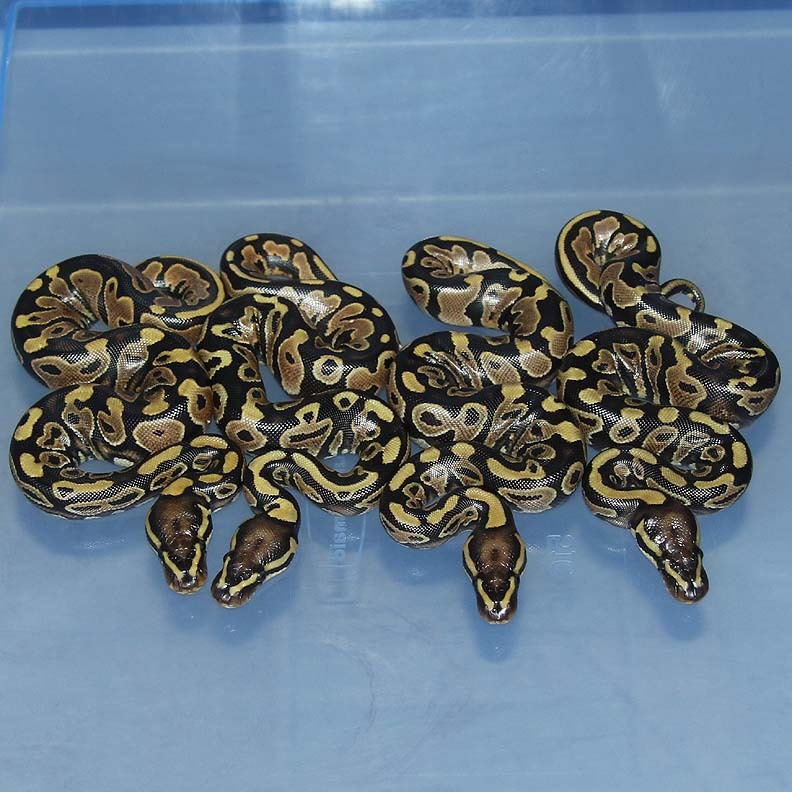 If you are interested in animals from clutch #40 please email or call 519-824-7377. 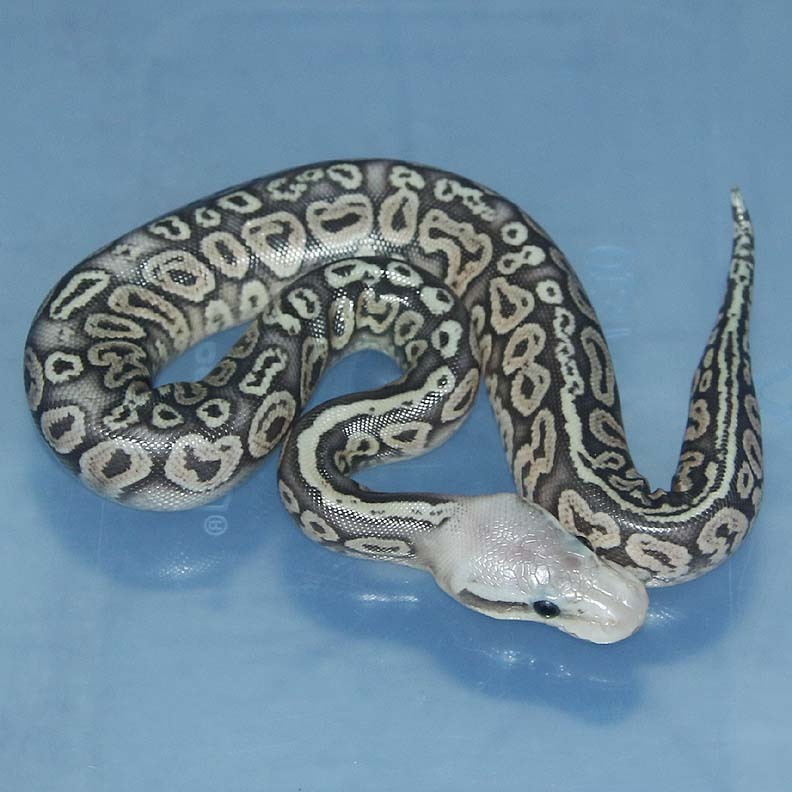 Description: Lesser Mahogany Het Green Ghost 1/15 x Red Axanthic Green Ghost 1/13. 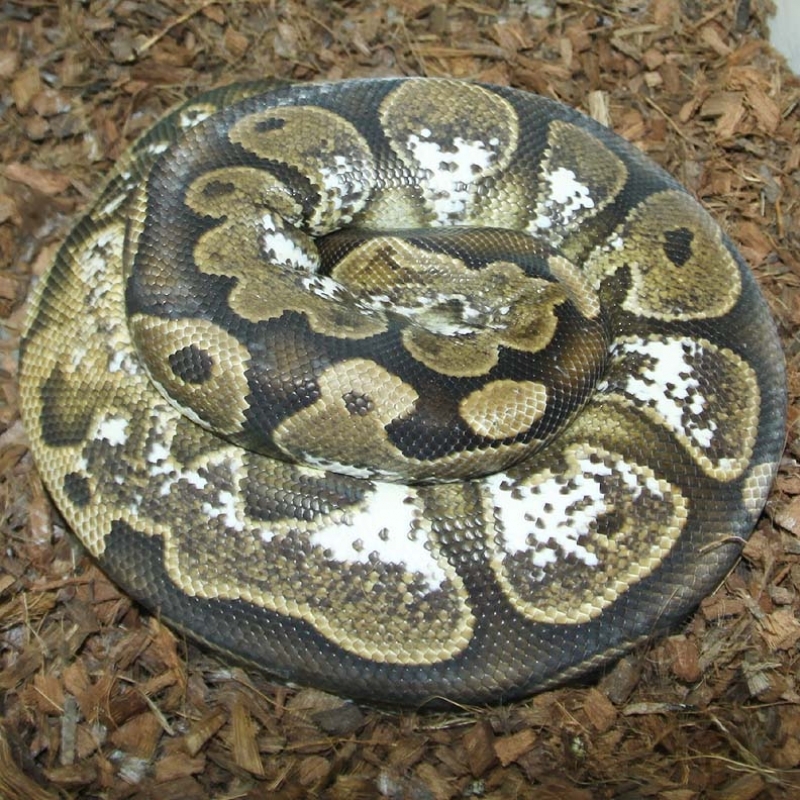 If you are interested in animals from clutch #41 please email or call 519-824-7377. 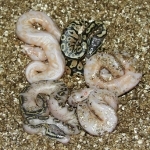 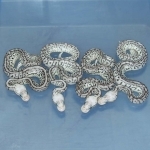 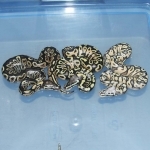 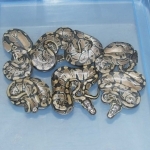 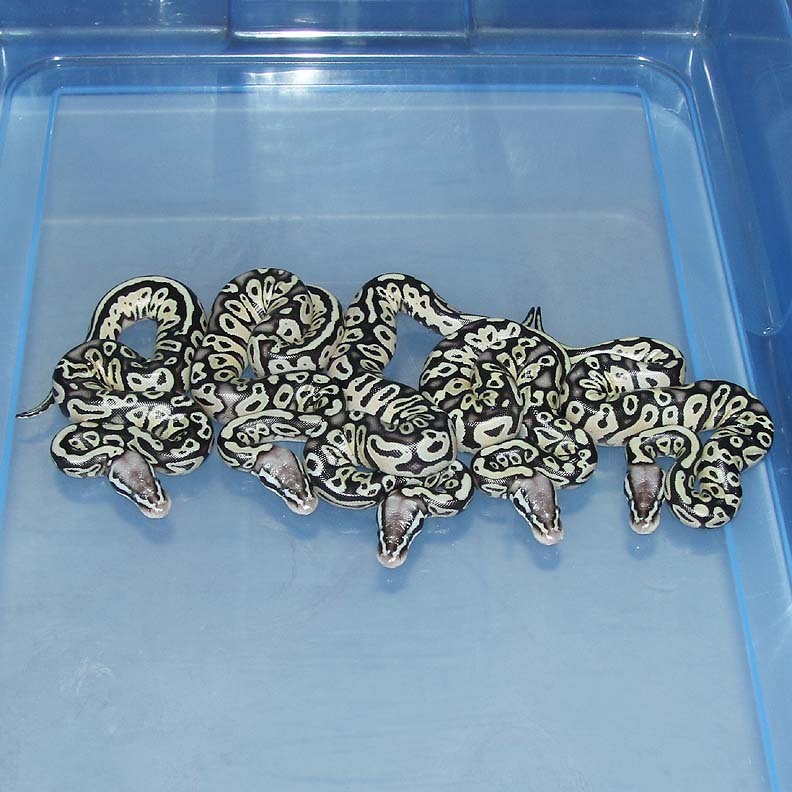 Description: Super Lesser Banded 2/13 x Lesser Banded 1/10. 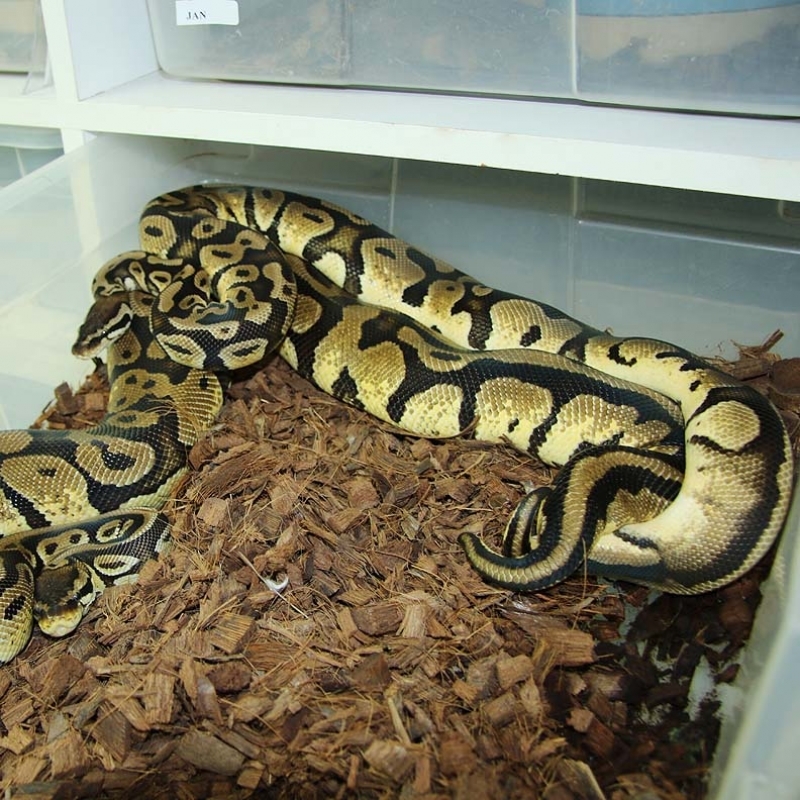 If you are interested in animals from clutch #42 please email or call 519-824-7377. Description: Lesser Super Chocolate 1/15 x Sugar HRA 1/13. 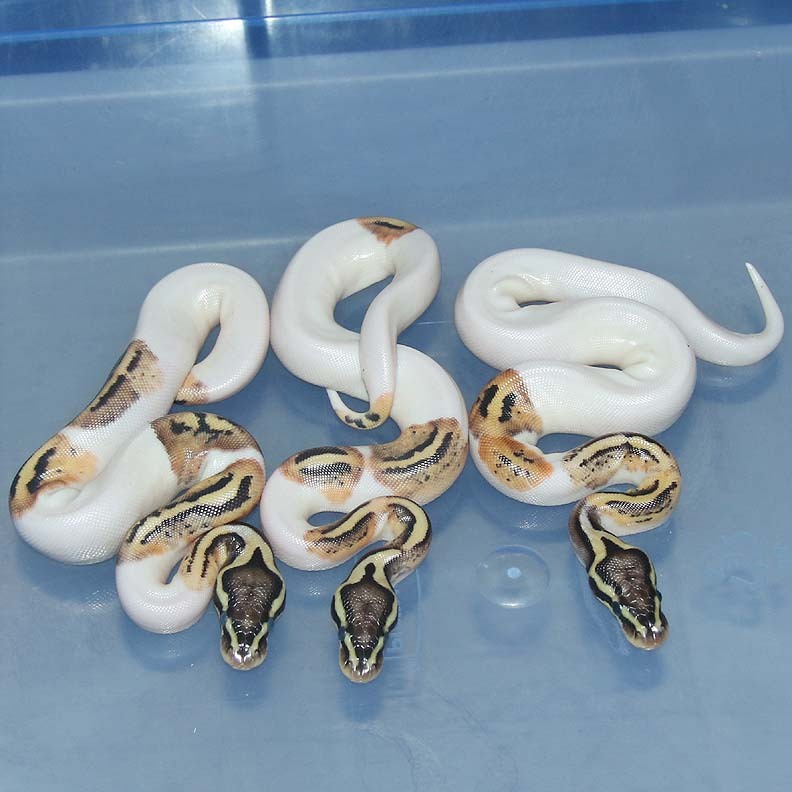 If you are interested in animals from clutch #43 please email or call 519-824-7377. 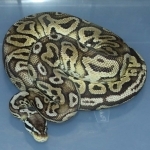 If you are interested in animals from clutch #44 please email or call 519-824-7377. 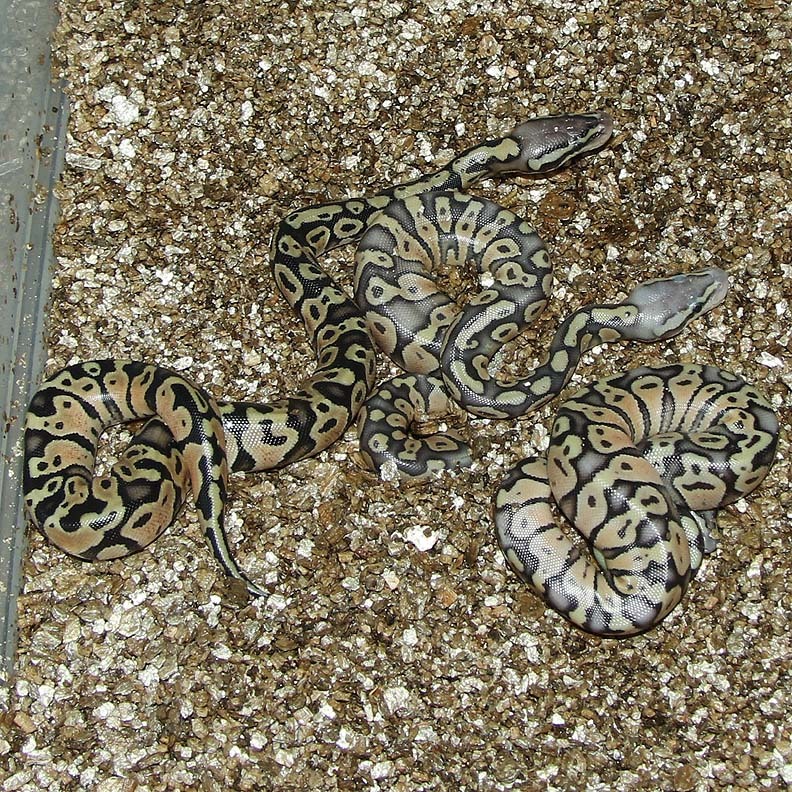 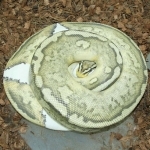 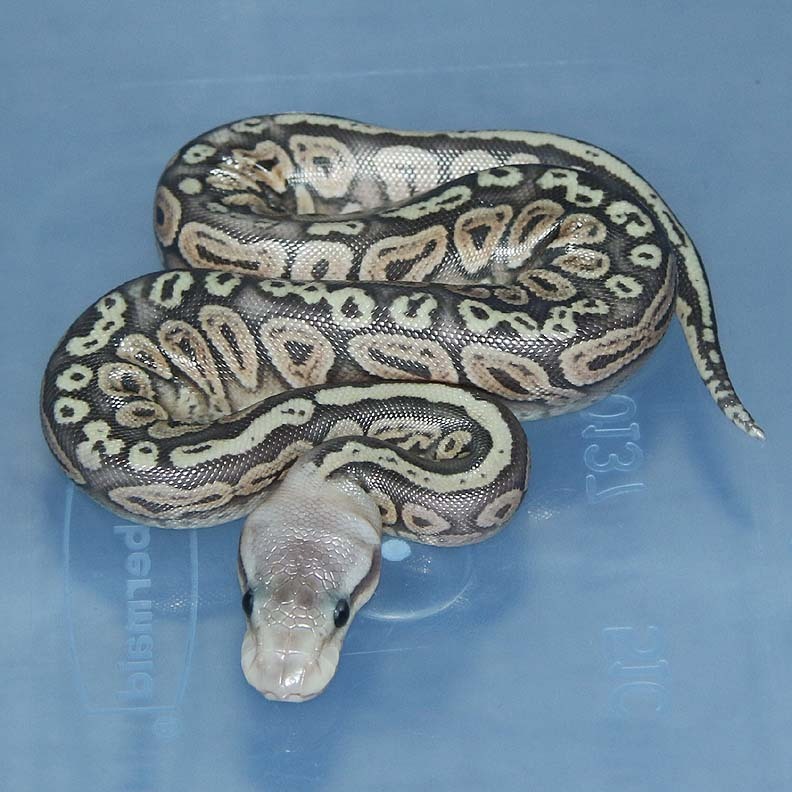 Description: Pastel Gravel Spark 1/15 x Pastel Lesser Spark Het Green Ghost 1/13. 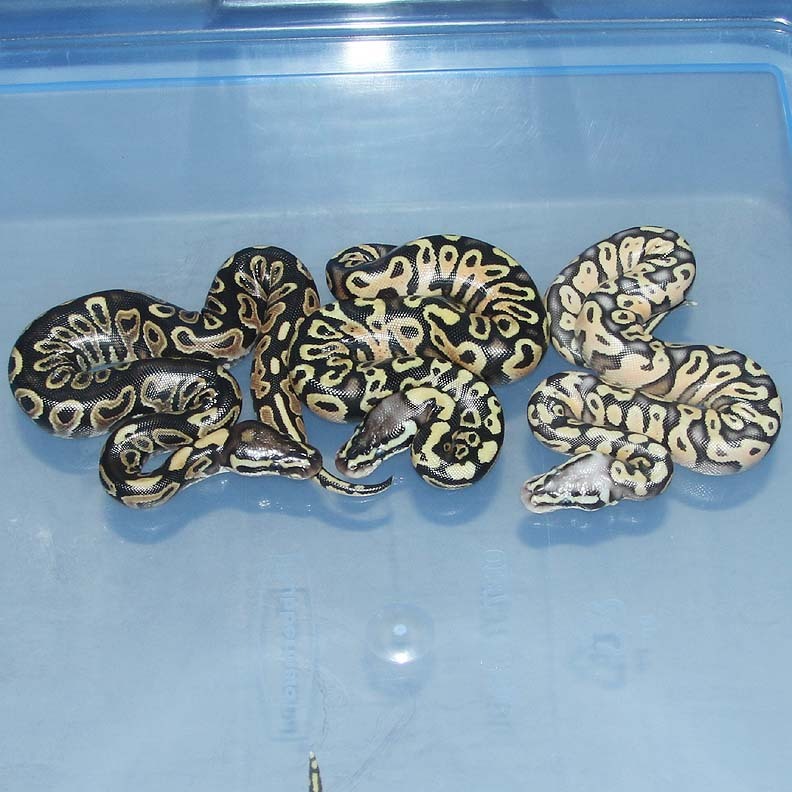 If you are interested in animals from clutch #45 please email or call 519-824-7377. 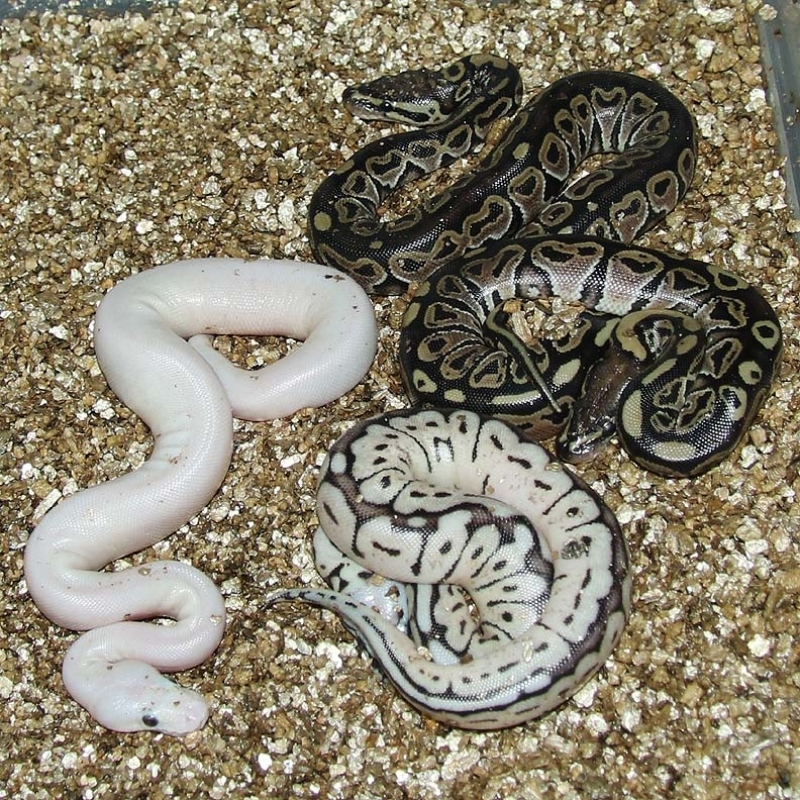 Description: POG Chocolate 1/15 x Pastel Chocolate HOG 1/12. If you are interested in animals from clutch #46 please email or call 519-824-7377. 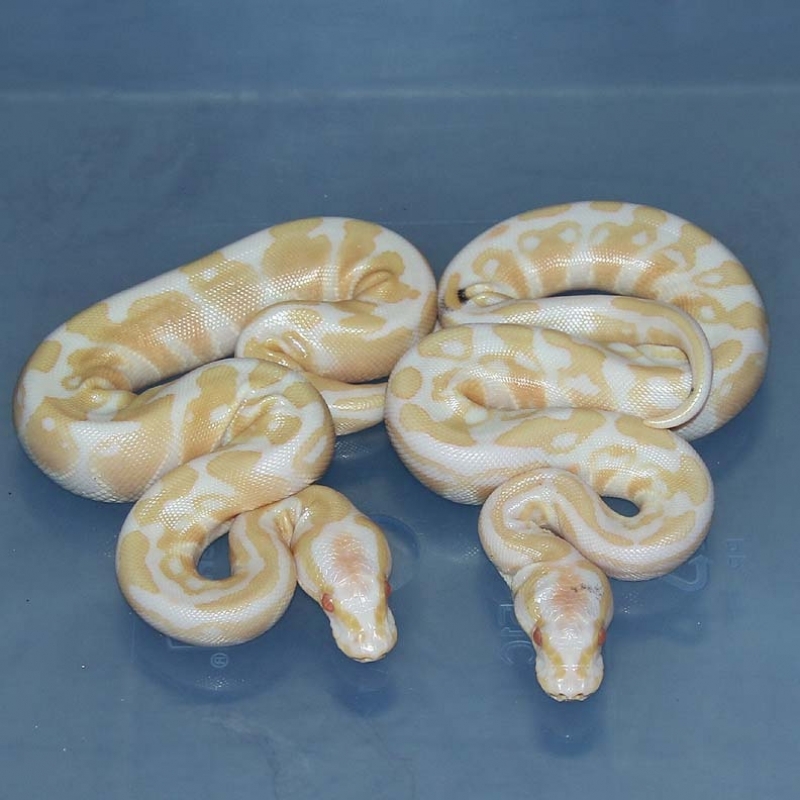 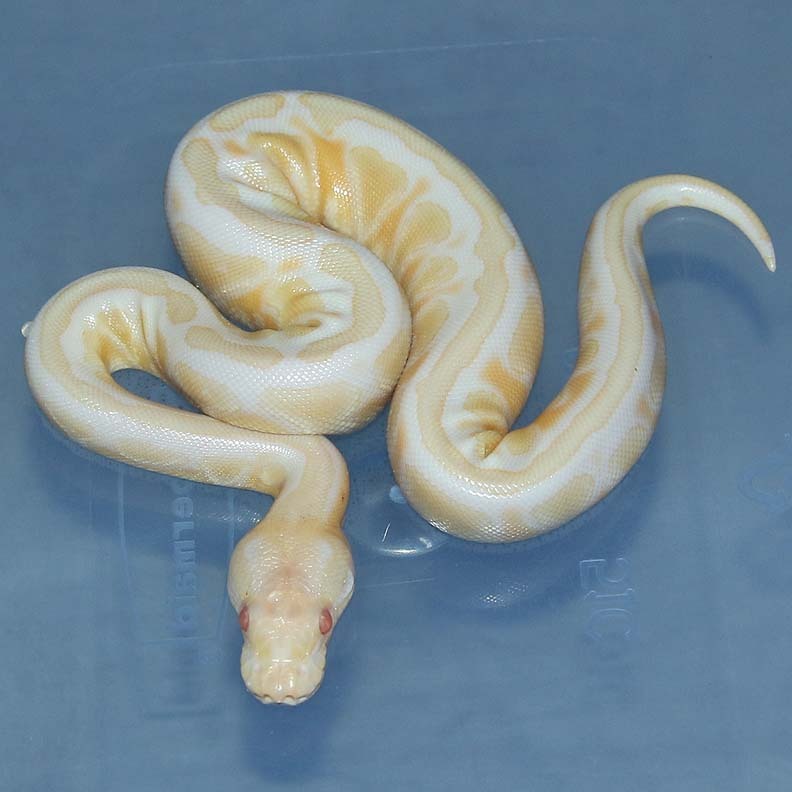 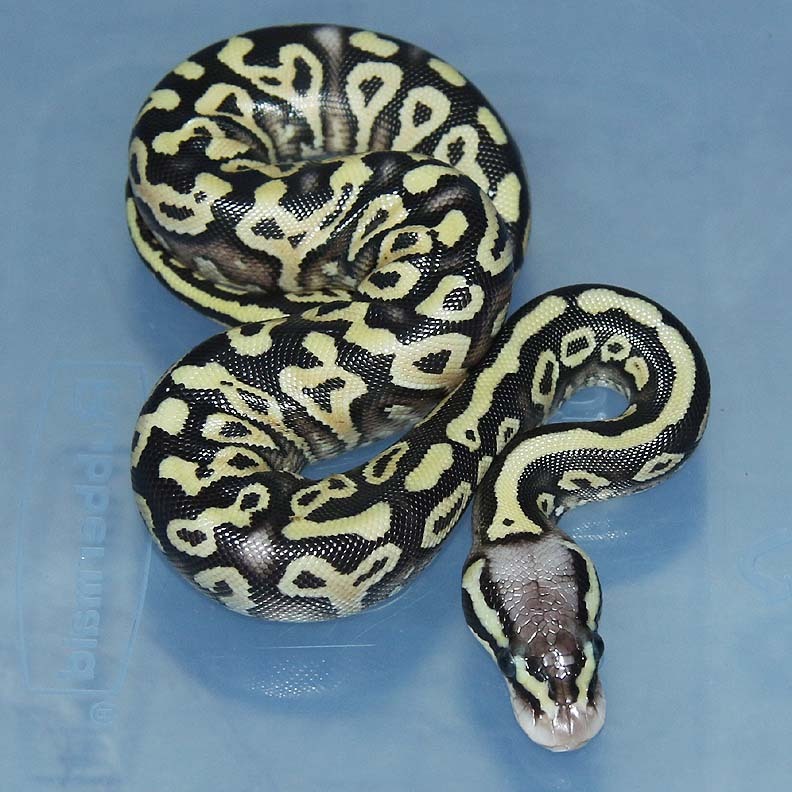 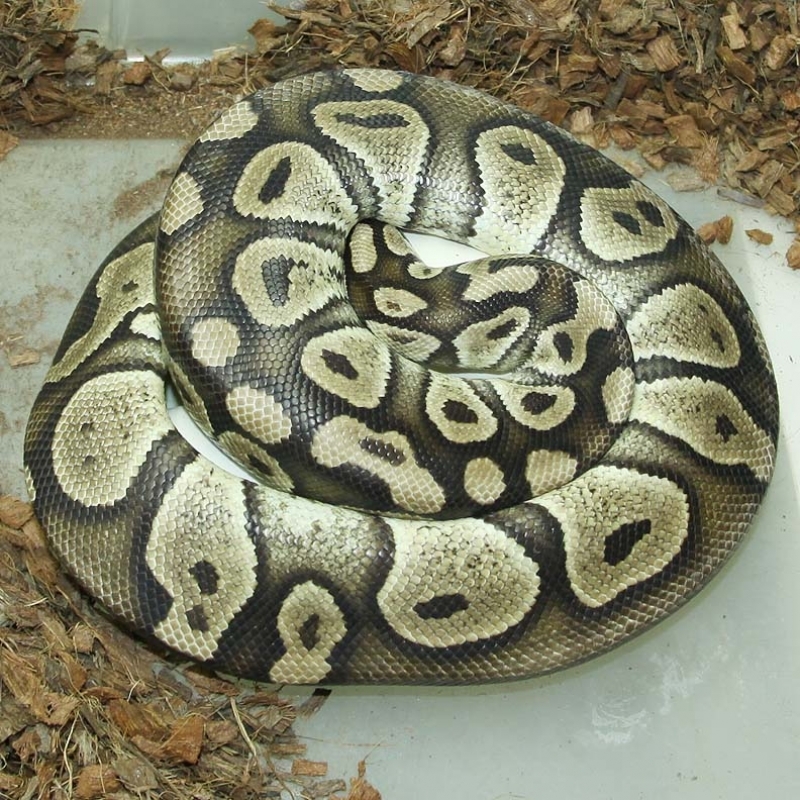 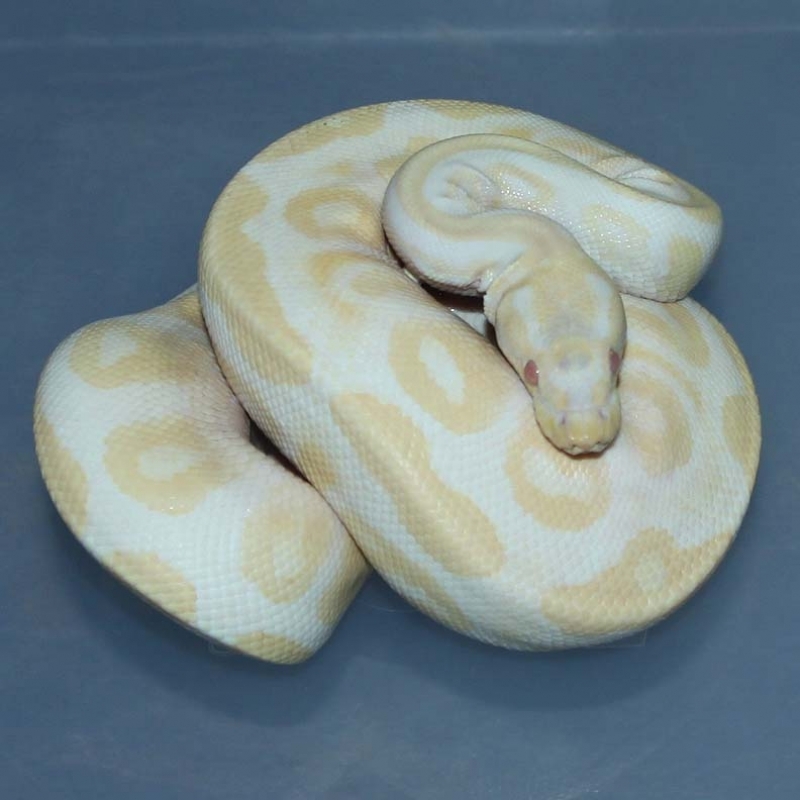 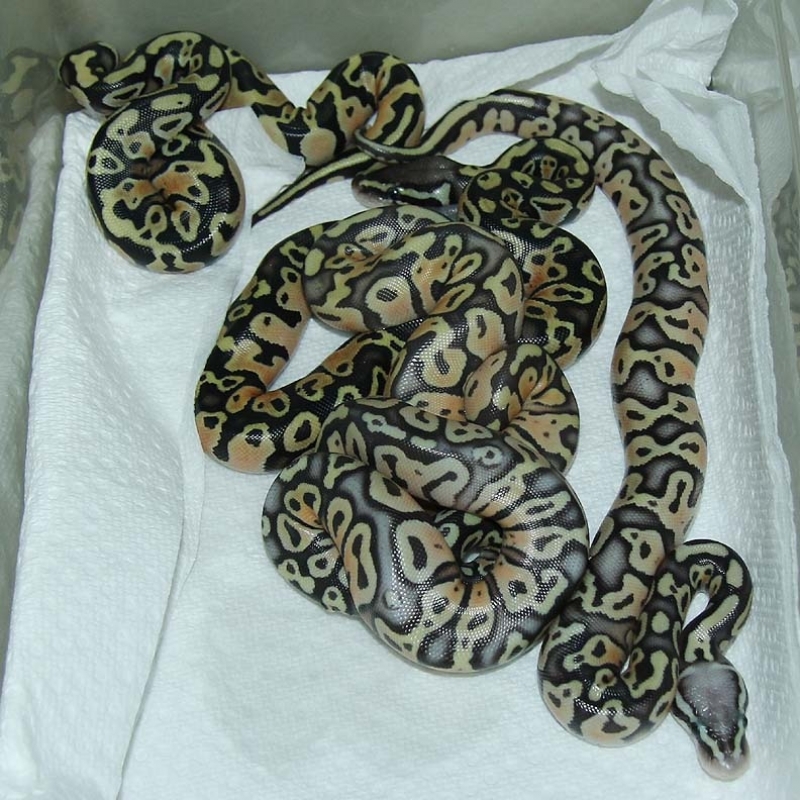 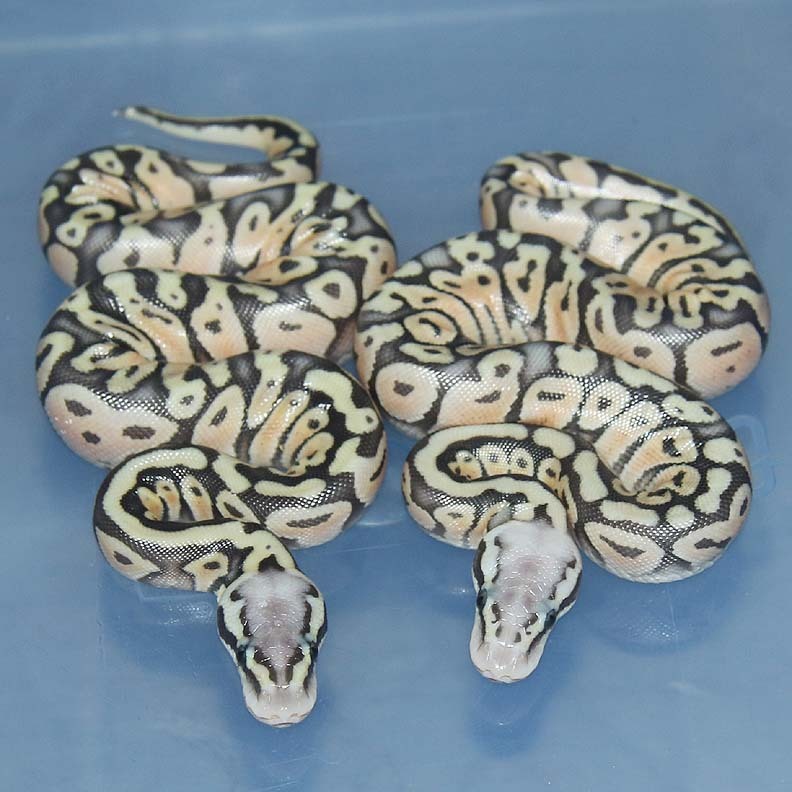 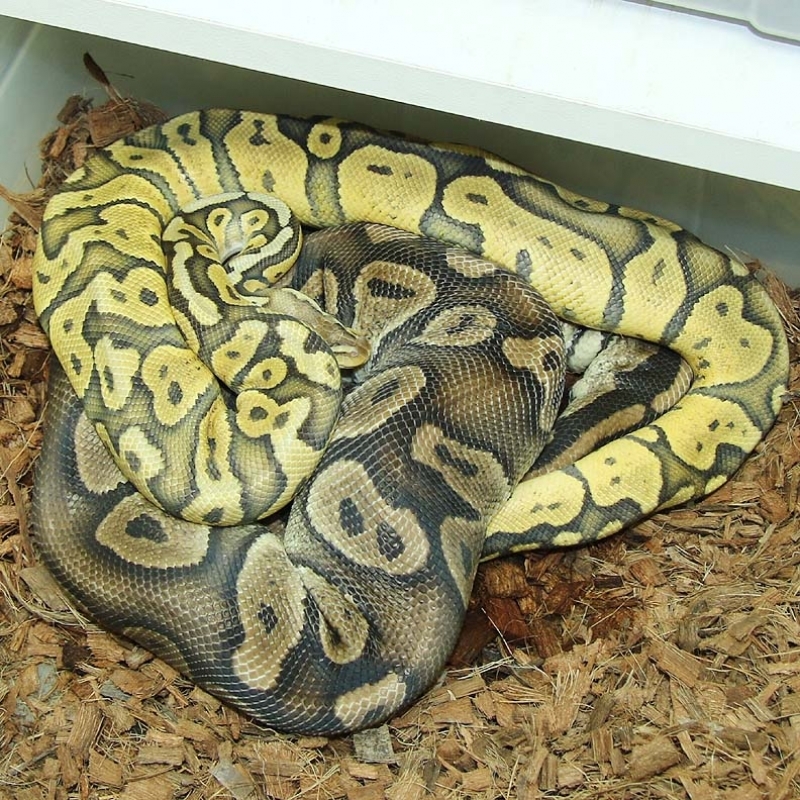 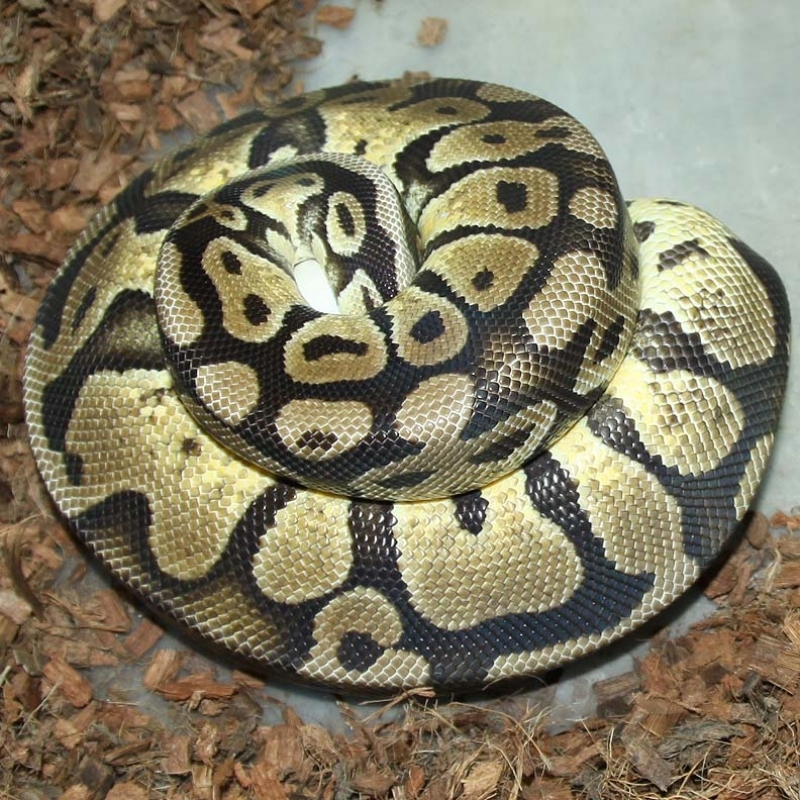 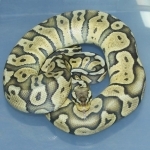 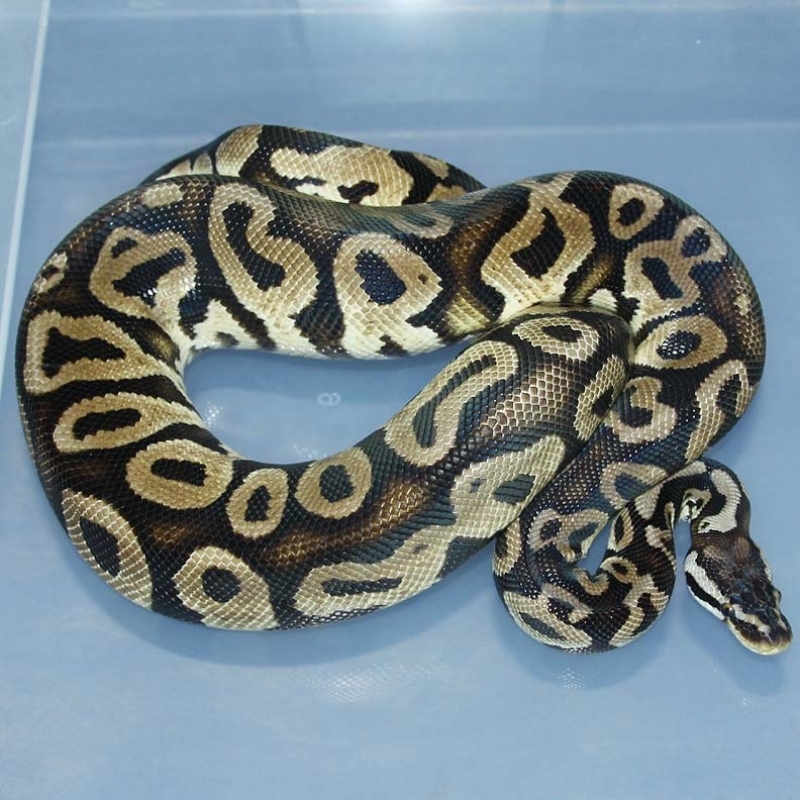 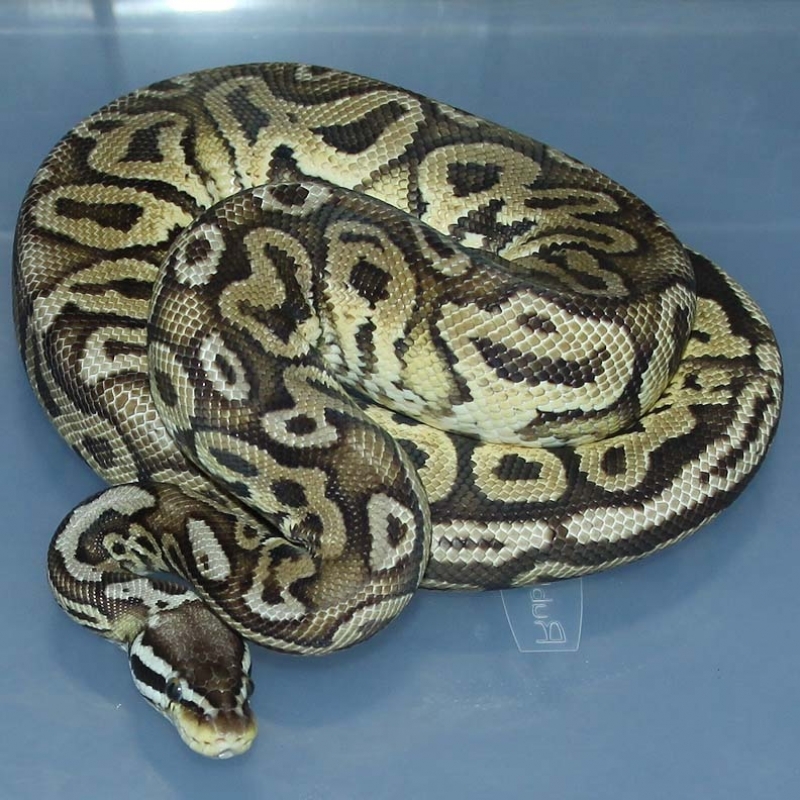 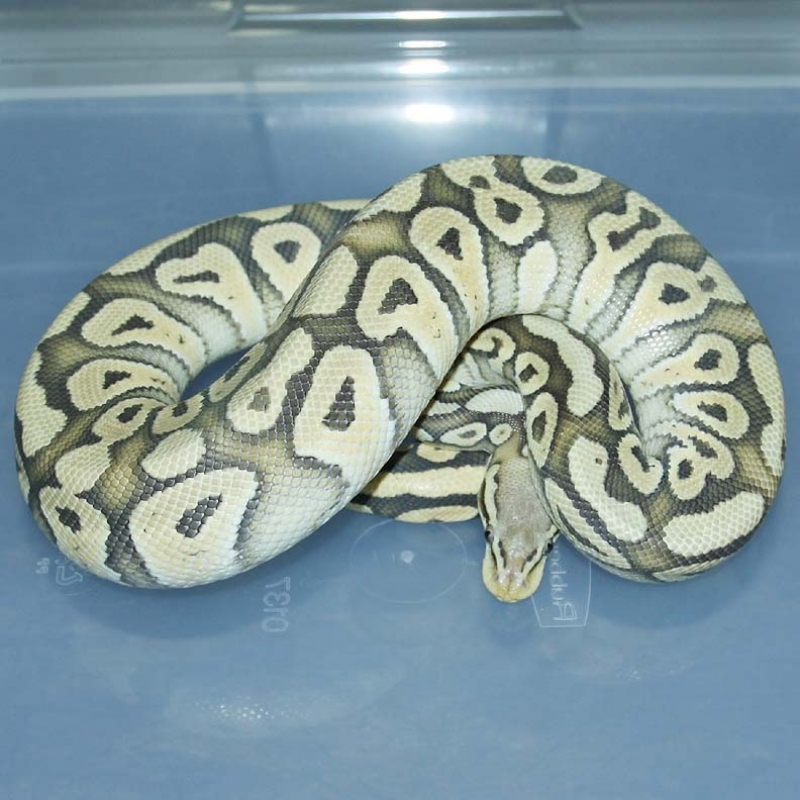 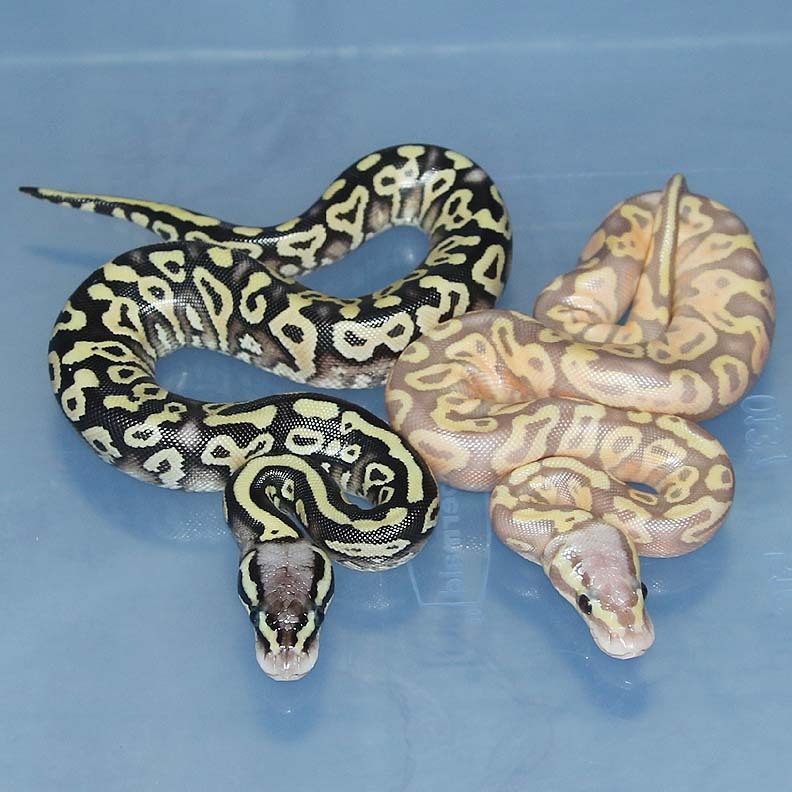 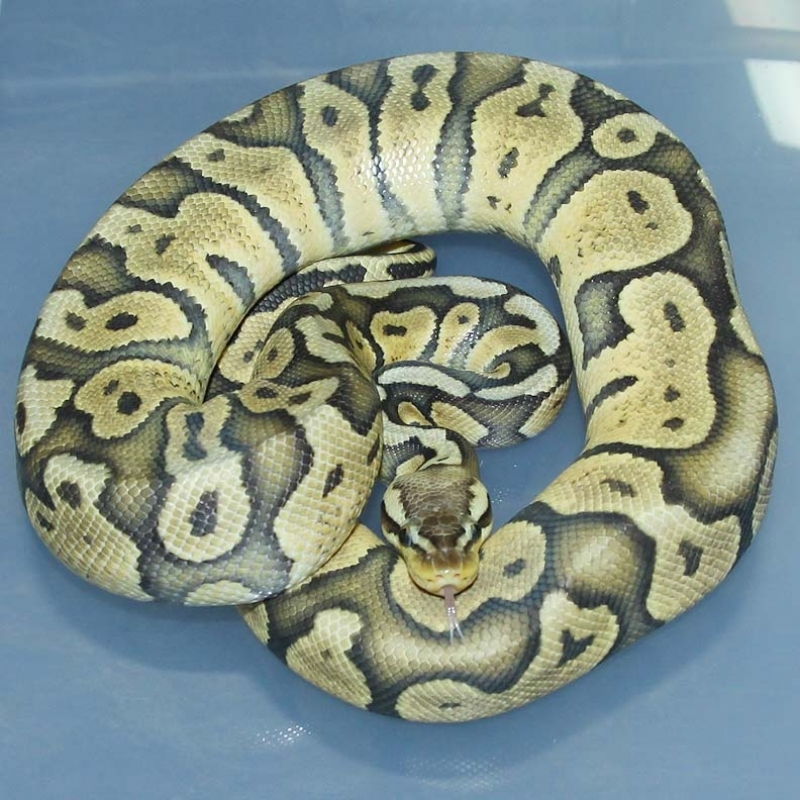 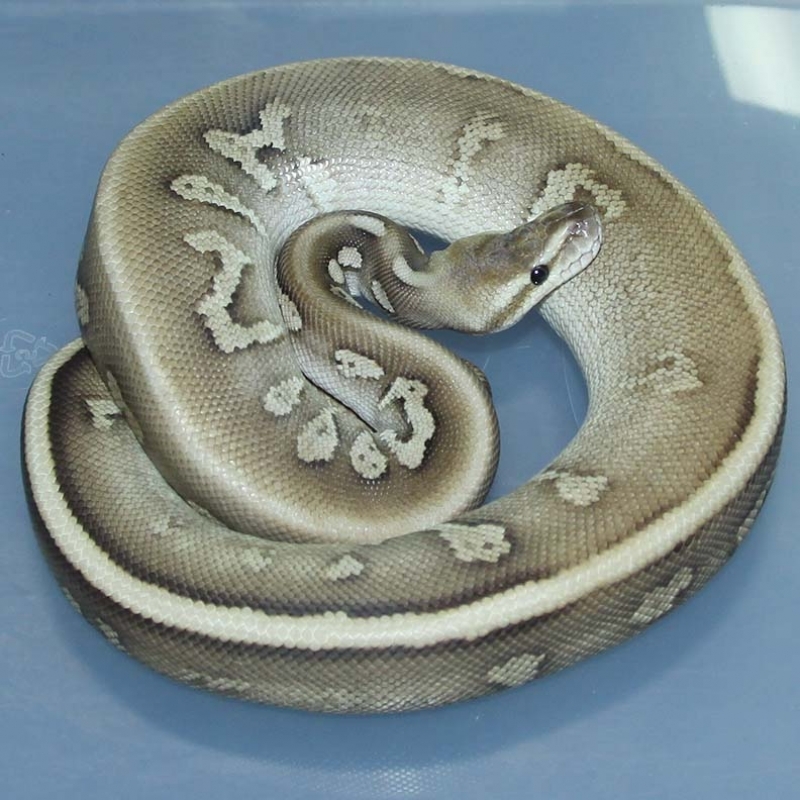 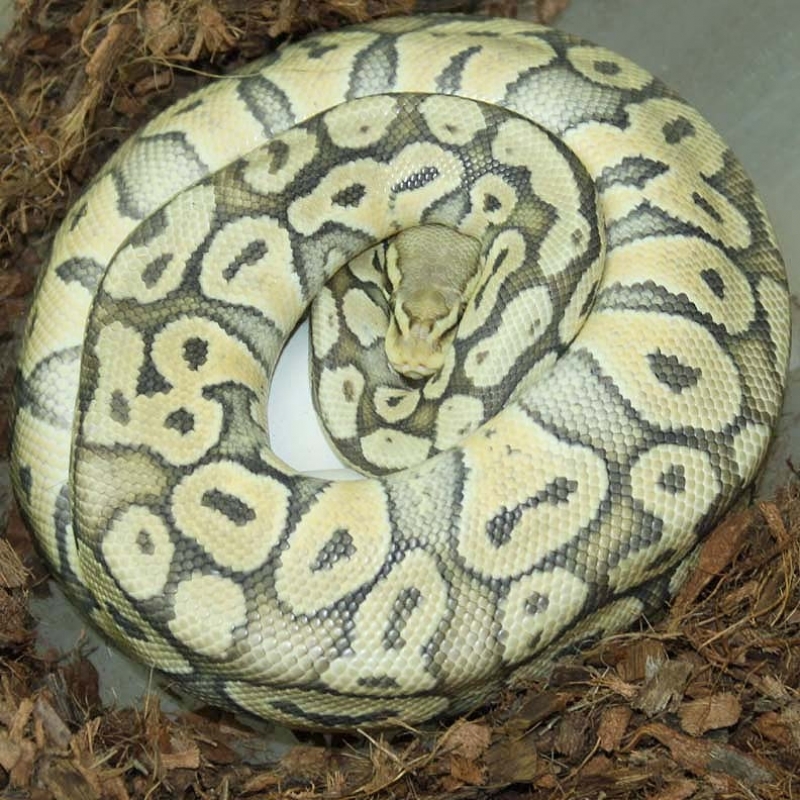 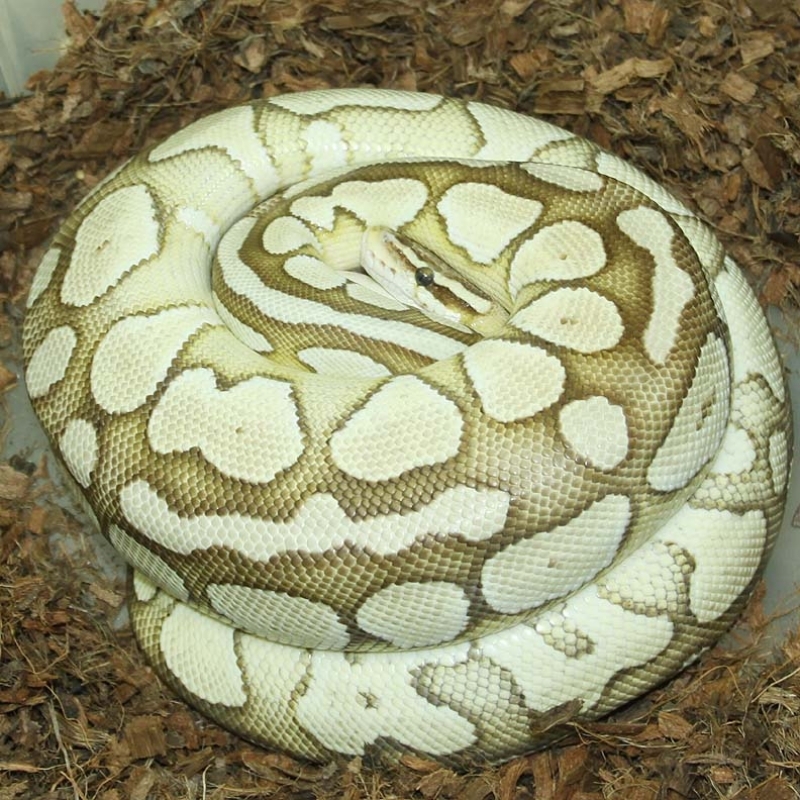 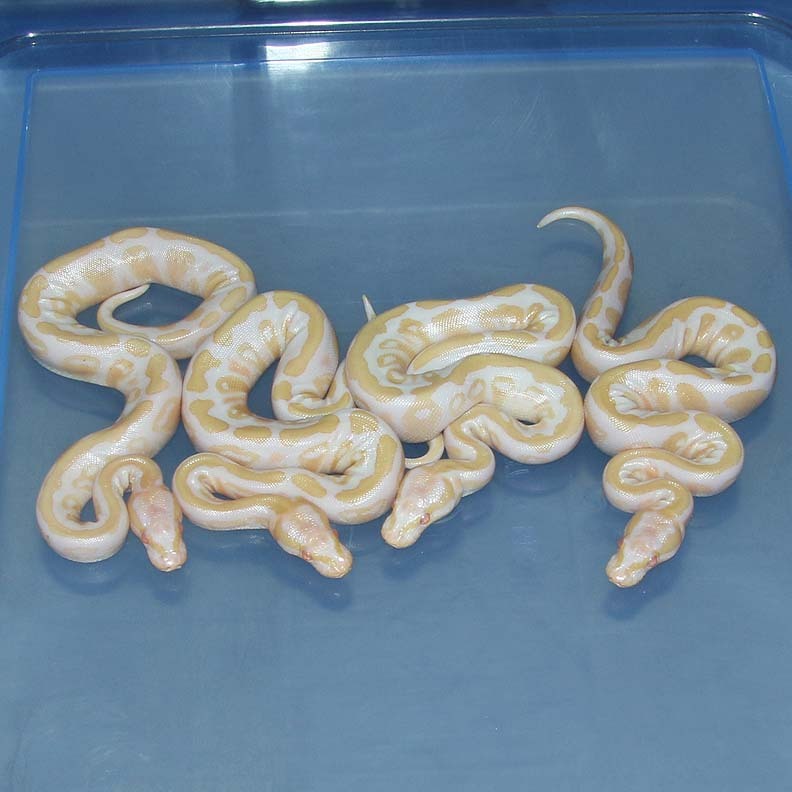 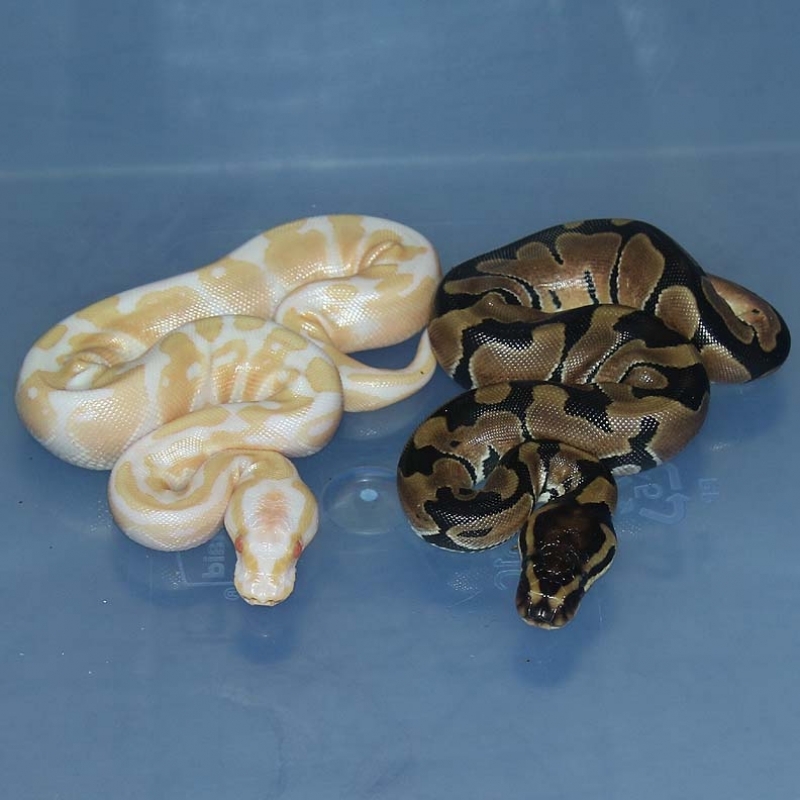 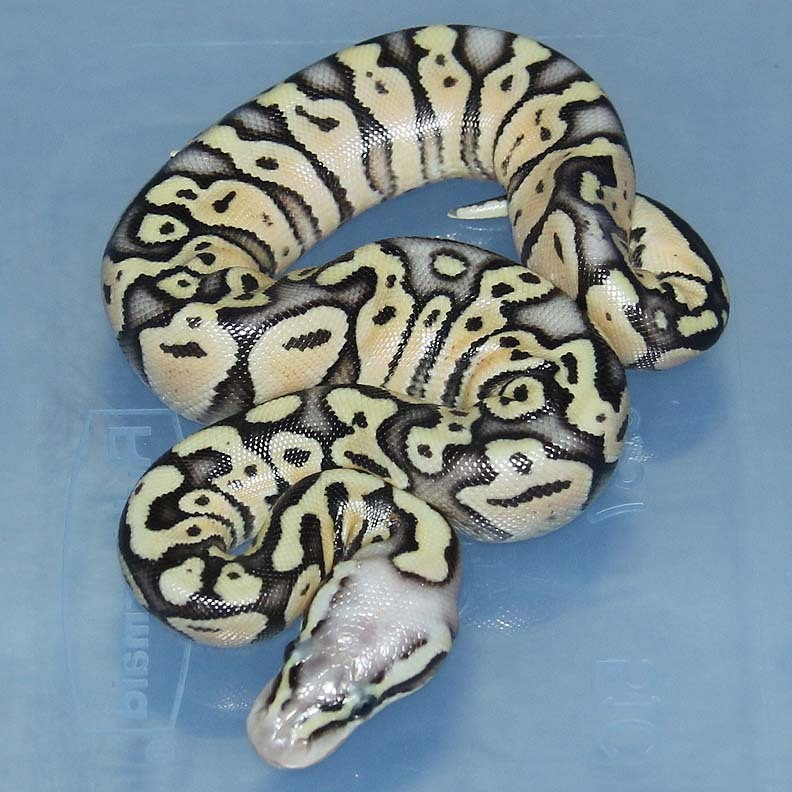 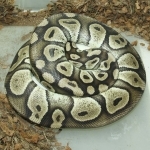 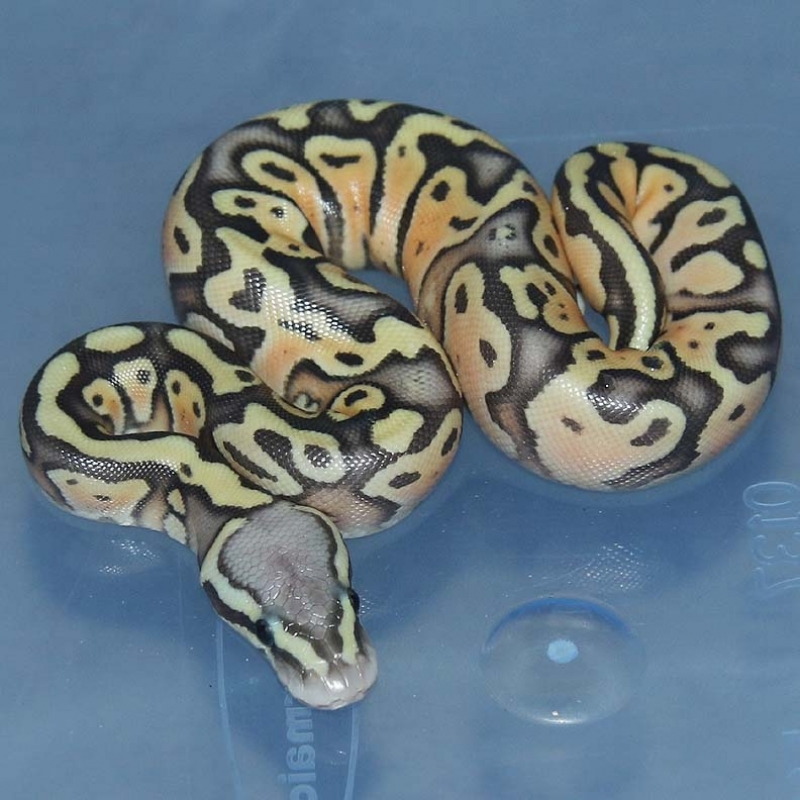 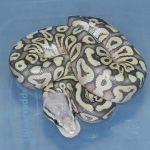 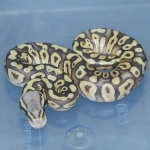 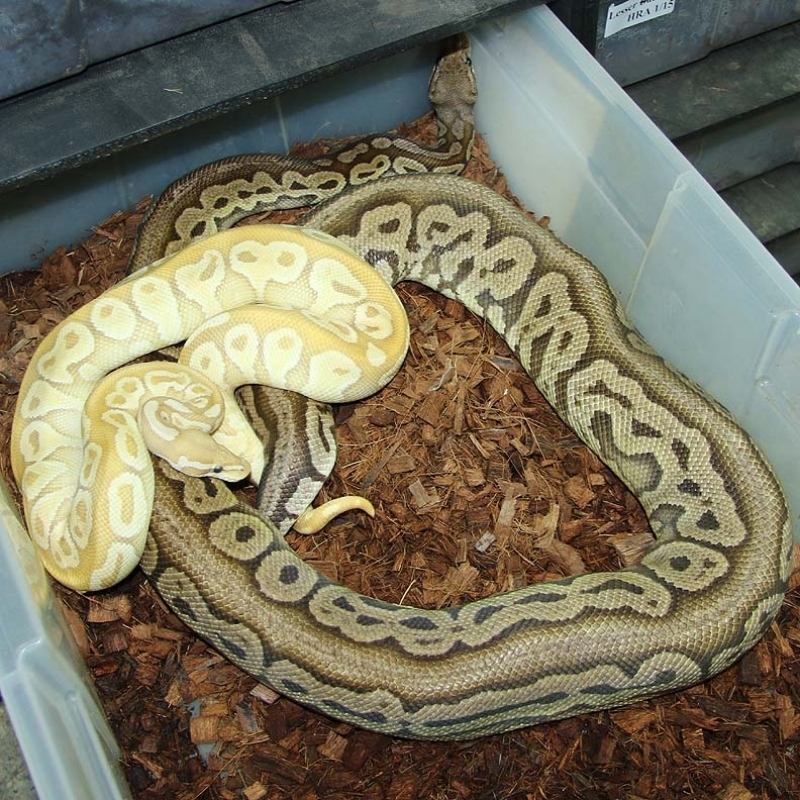 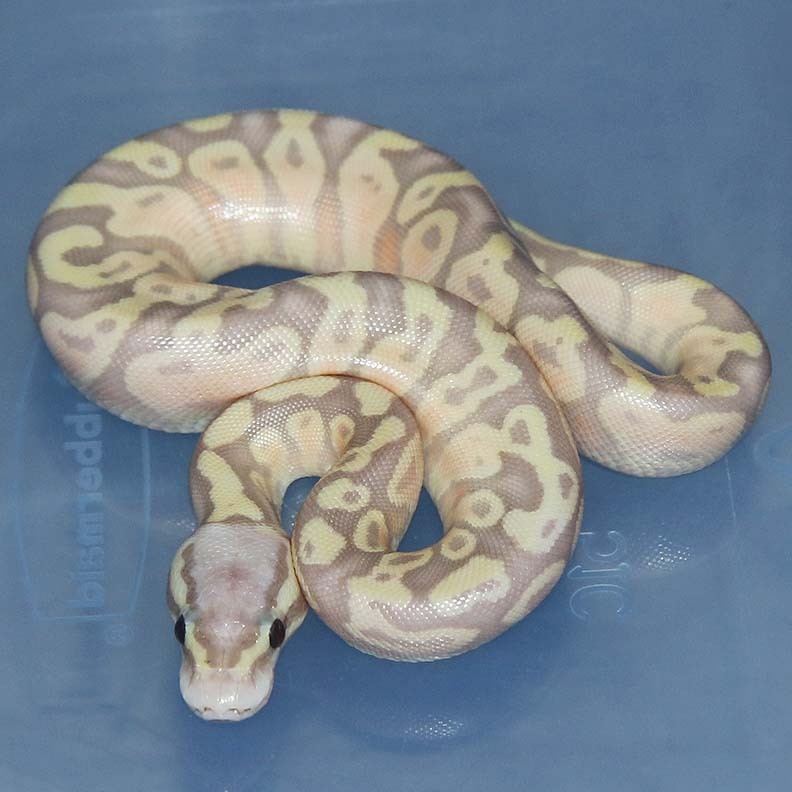 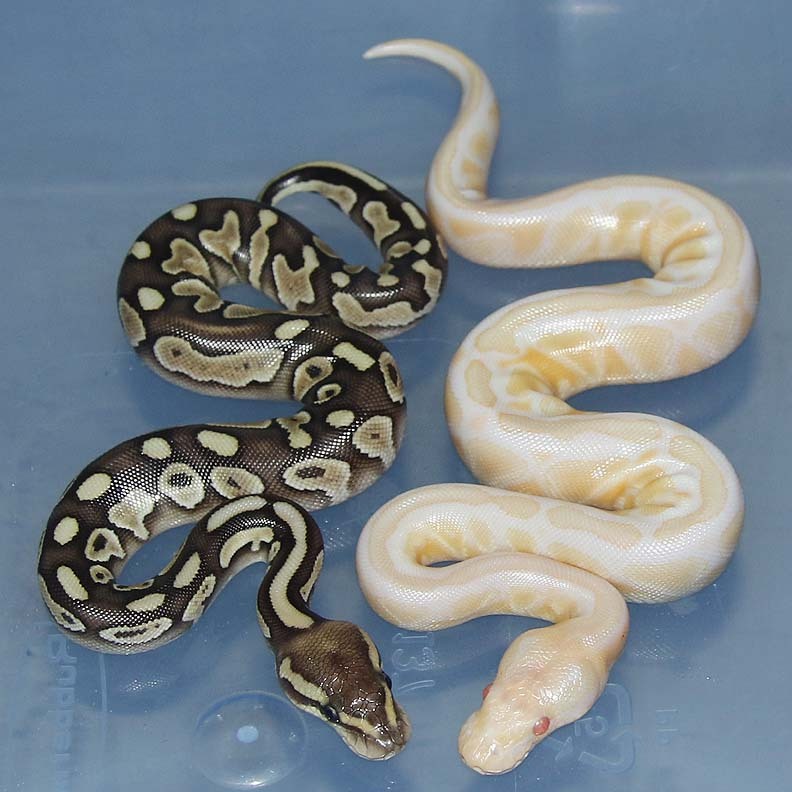 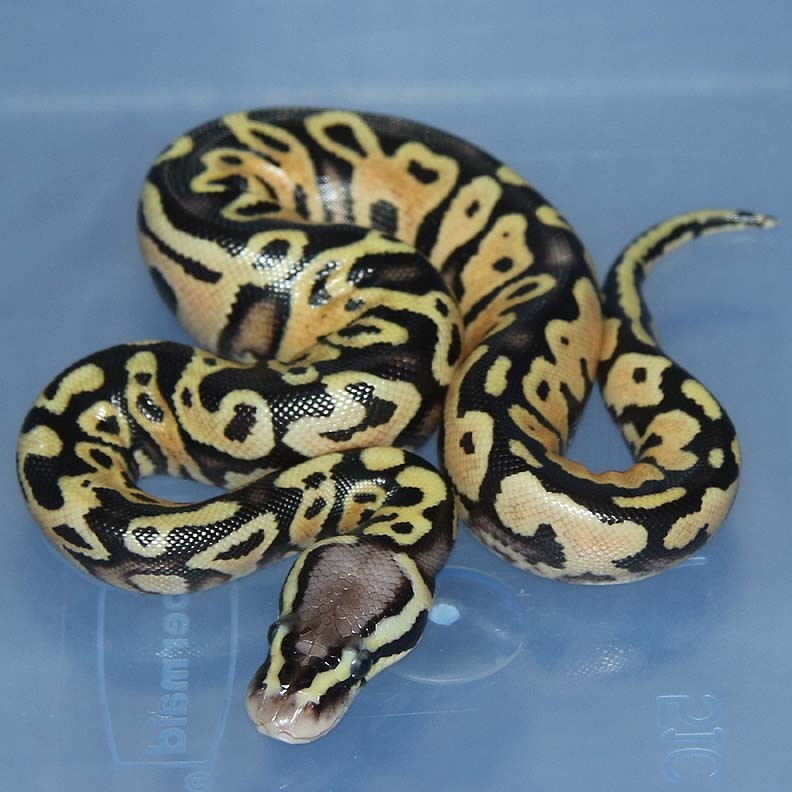 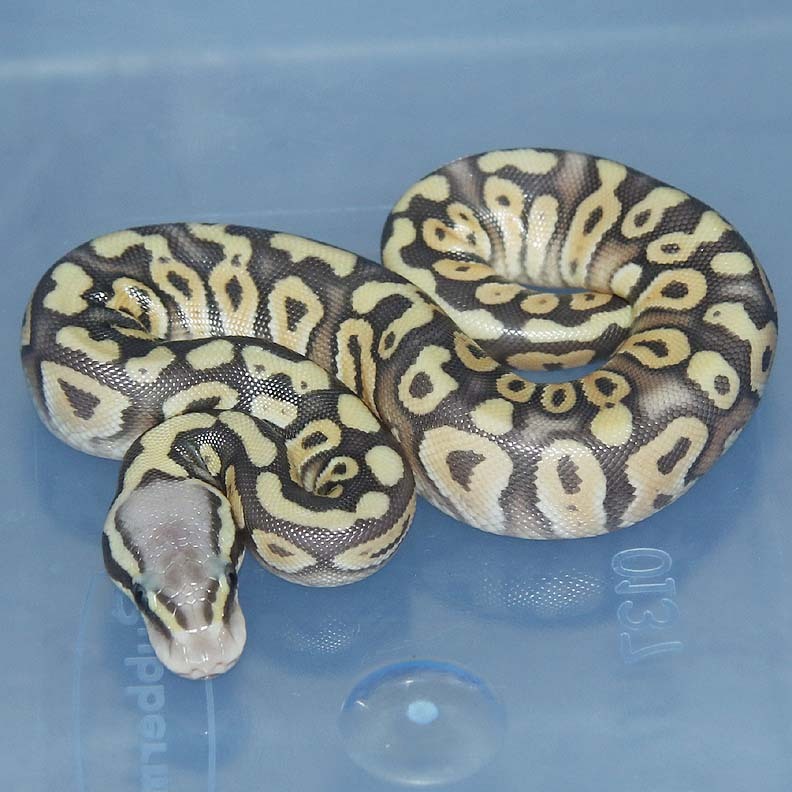 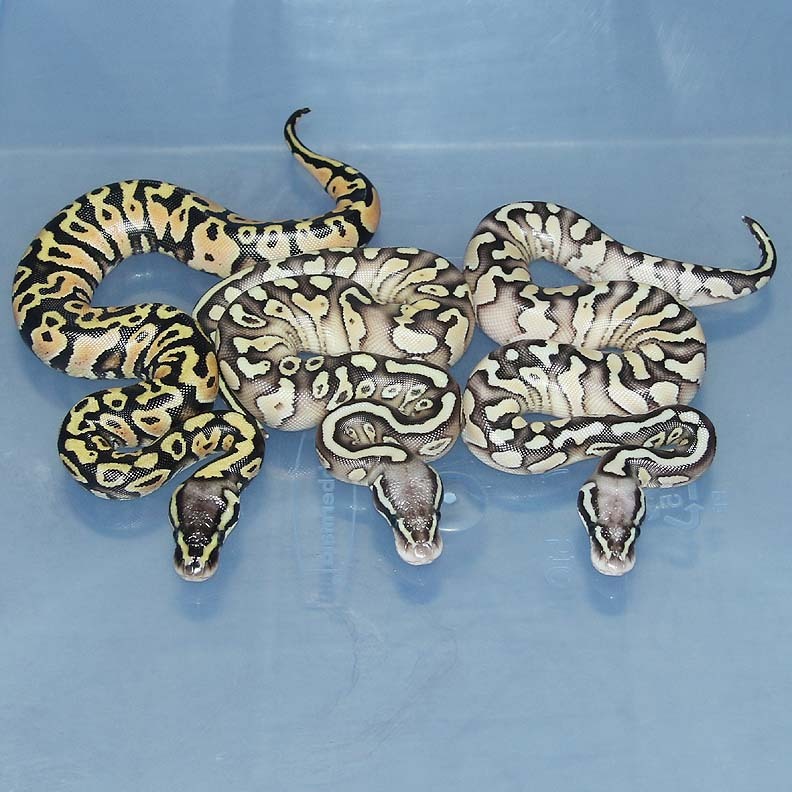 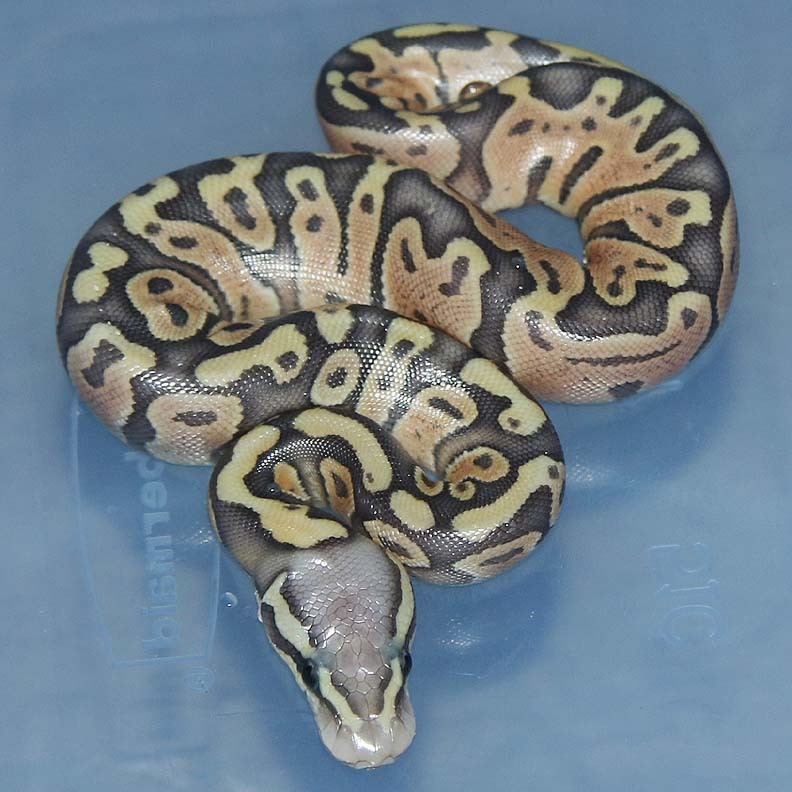 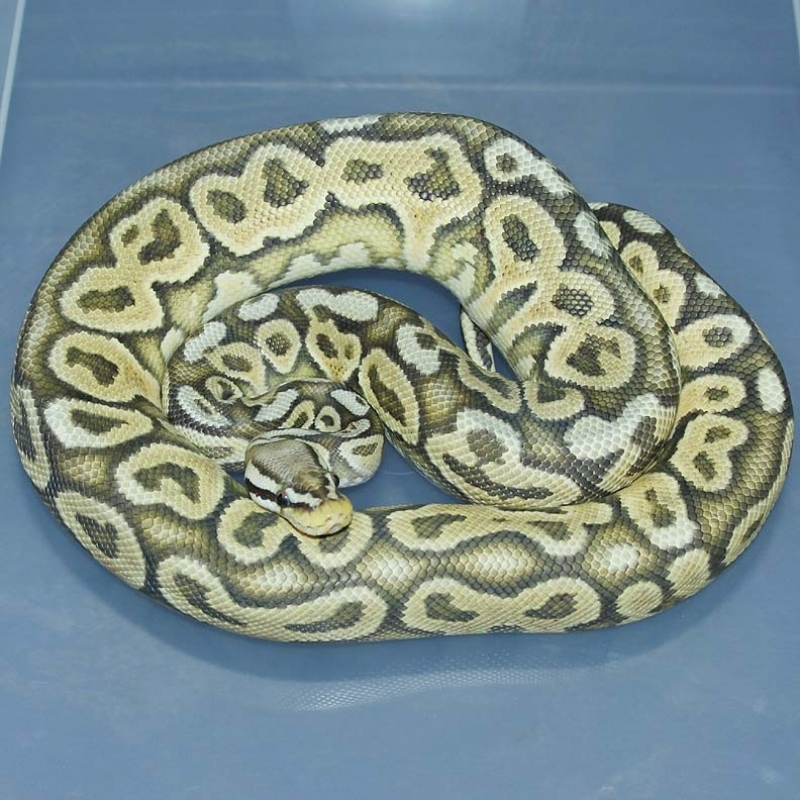 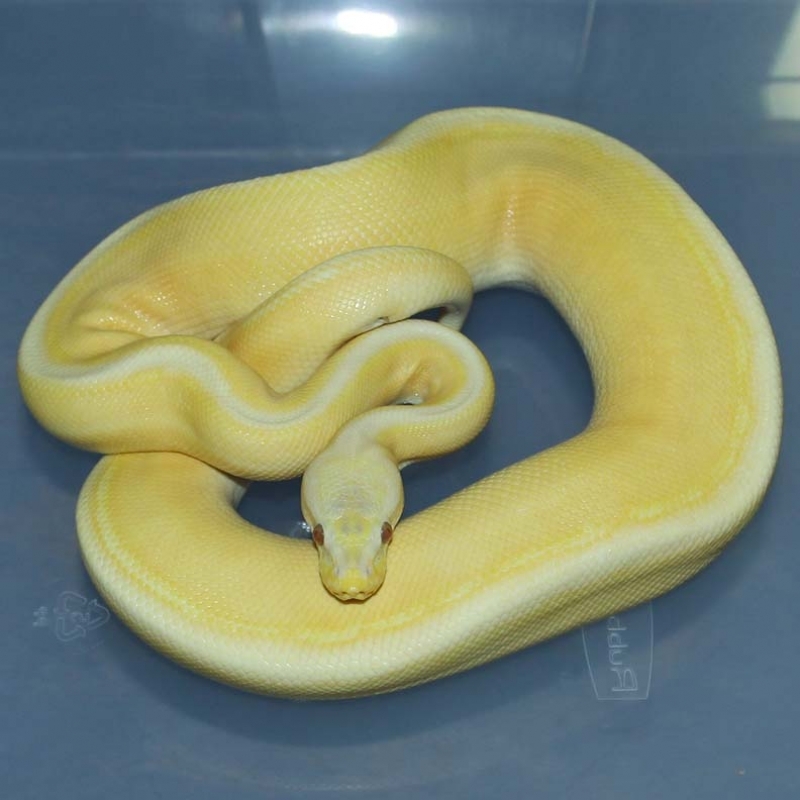 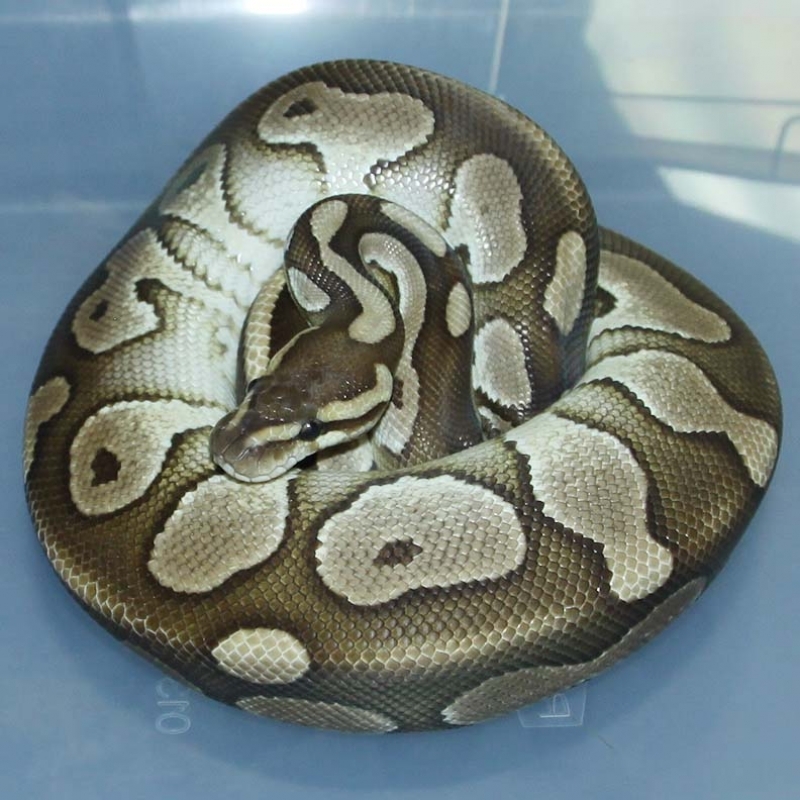 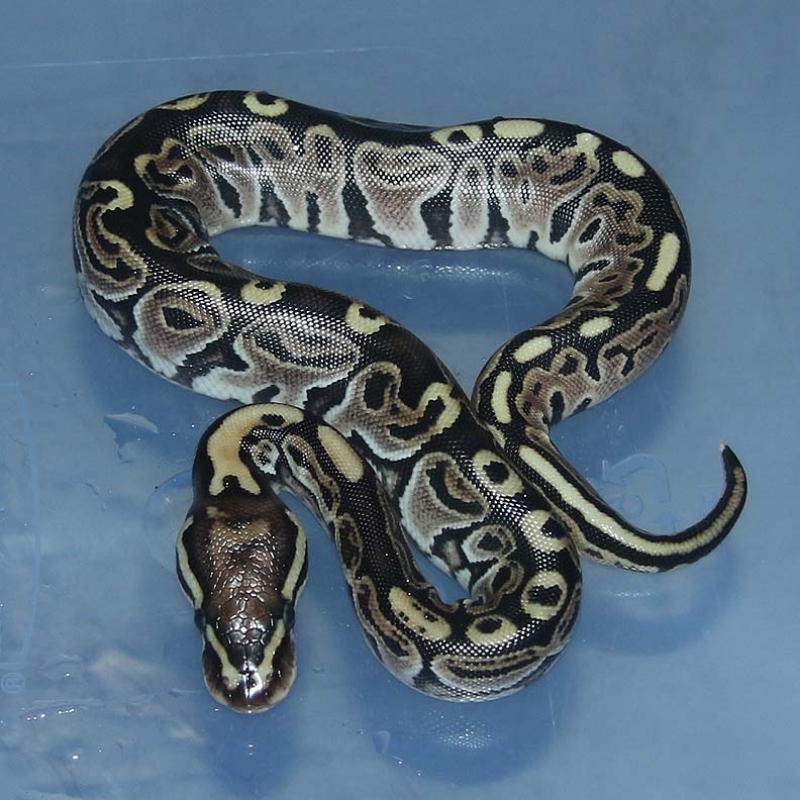 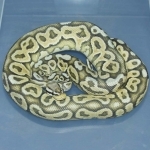 Description: Pastel Gravel Spark 1/15 x Super Pastel YB Het Orange Ghost 2/13. 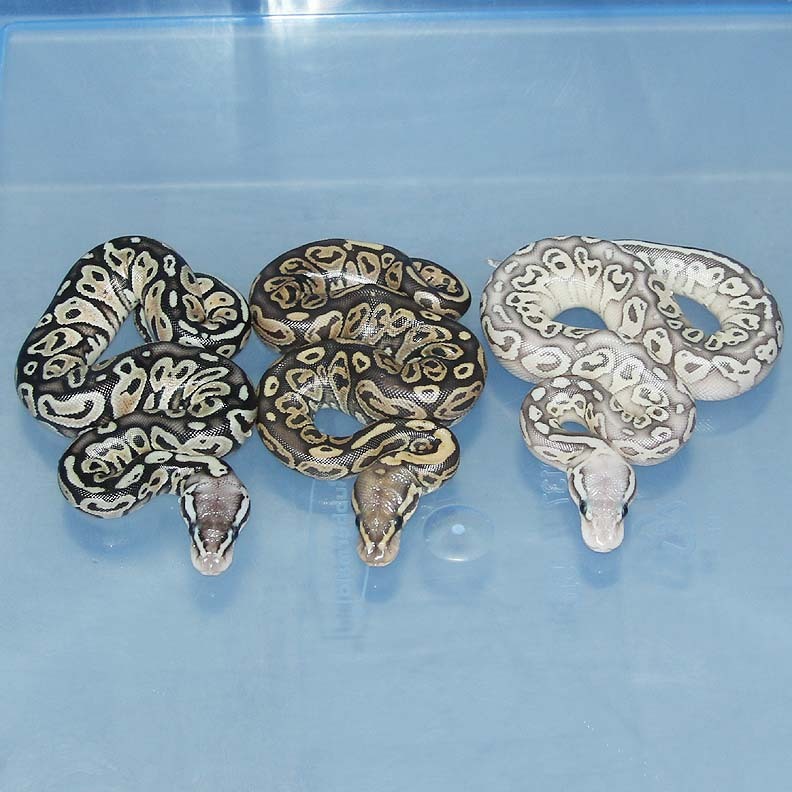 If you are interested in animals from clutch #47 please email or call 519-824-7377. 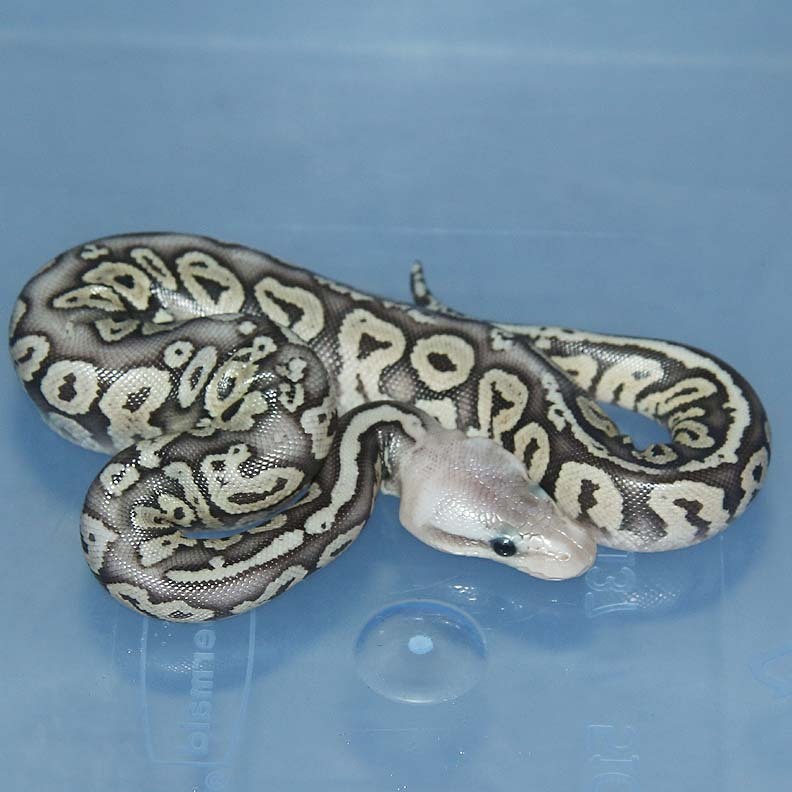 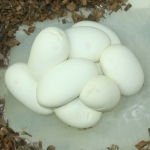 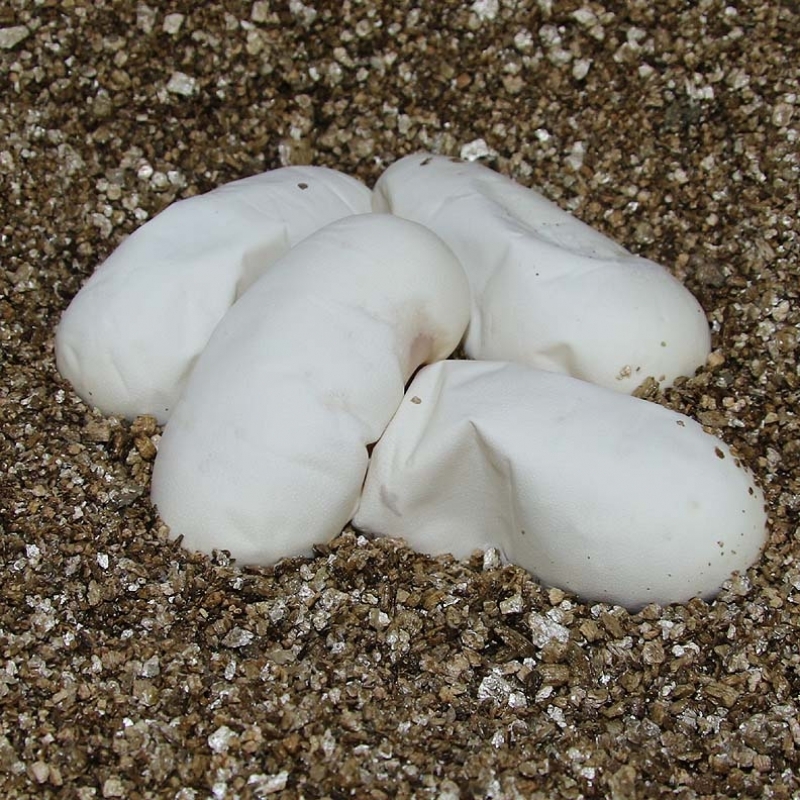 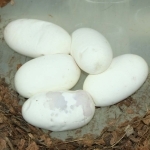 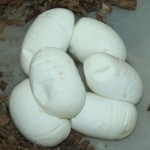 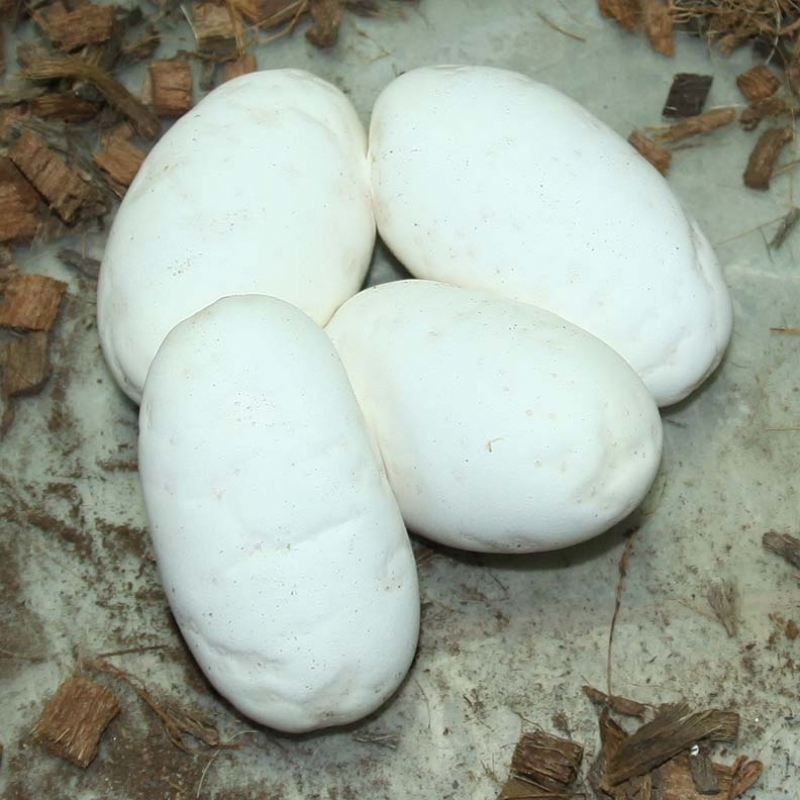 Description: Lesser Chocolate Het Albino 1/14 x Pastel Albino 1/14. 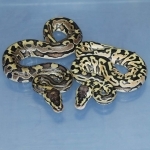 If you are interested in animals from clutch #48 please email or call 519-824-7377. 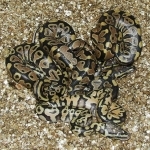 Description: POG HRA YB 1/13 x Pastel YB HOG 6/11. 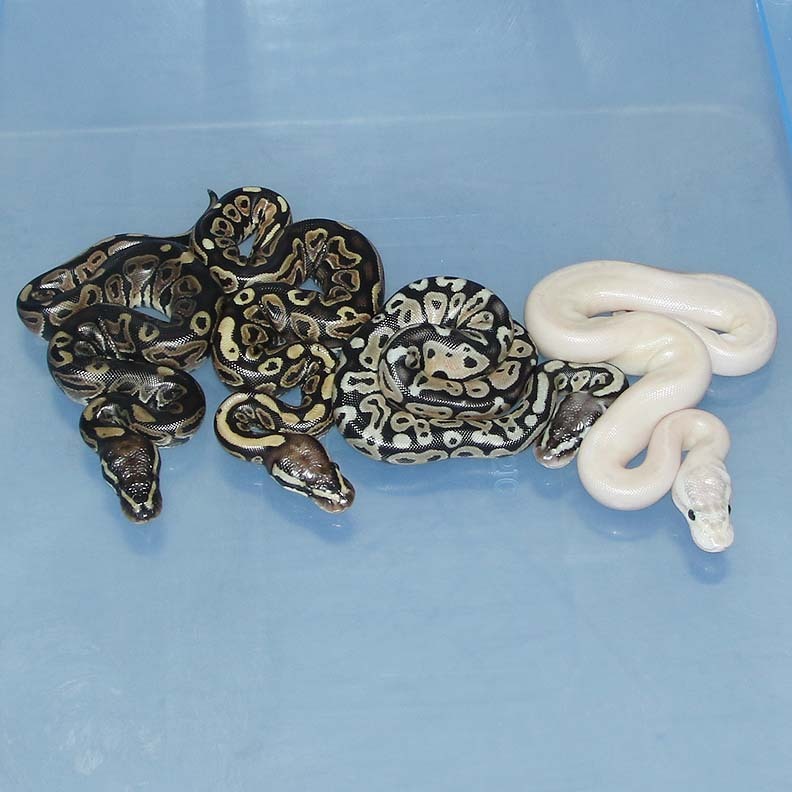 If you are interested in animals from clutch #49 please email or call 519-824-7377. 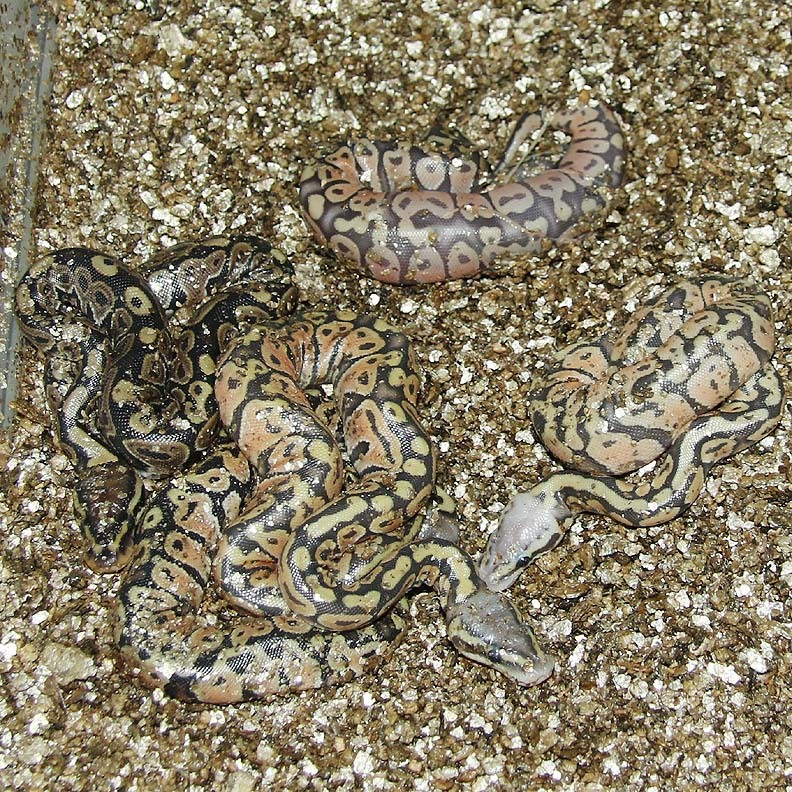 If you are interested in animals from clutch #50 please email or call 519-824-7377.